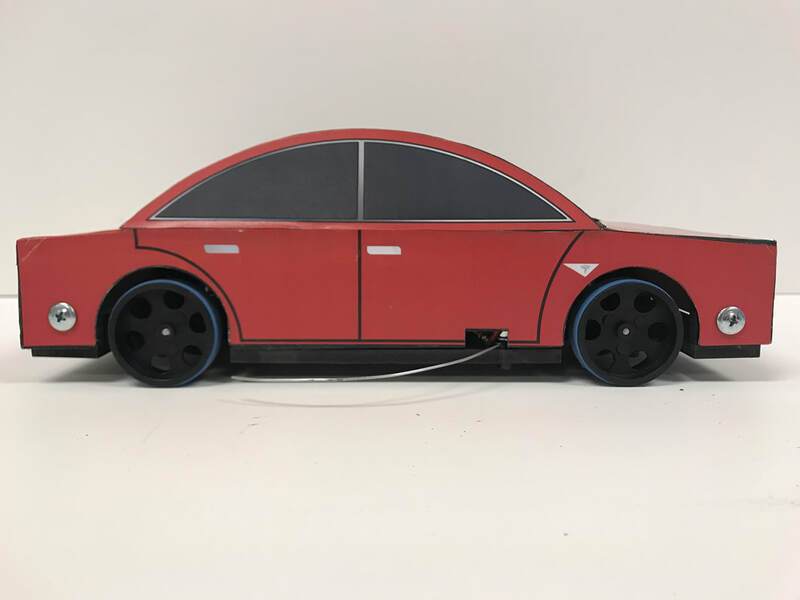 Everyone is trying to go green these days, and automakers are listening. Concerns about the environment and rising costs of fossil fuels are driving automakers to design and build cleaner, more energy efficient vehicles. Much of the focus is on electric vehicles (EVs). 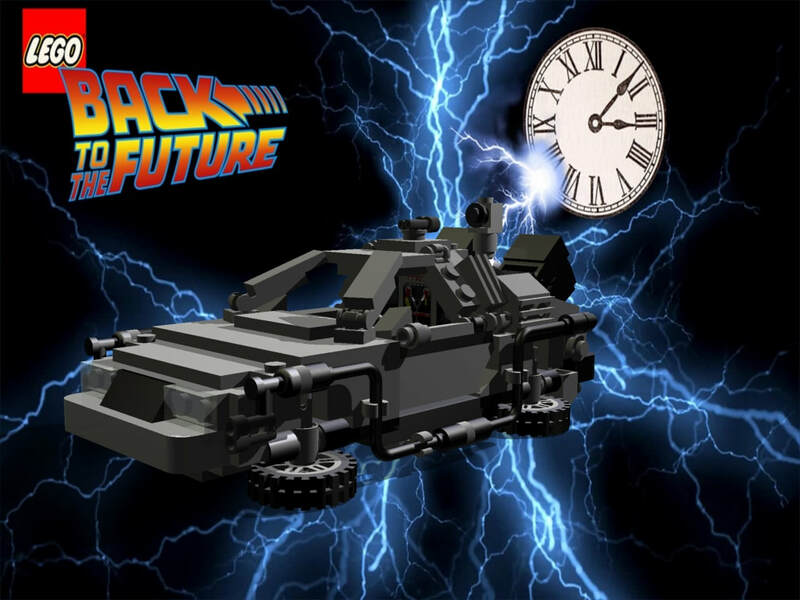 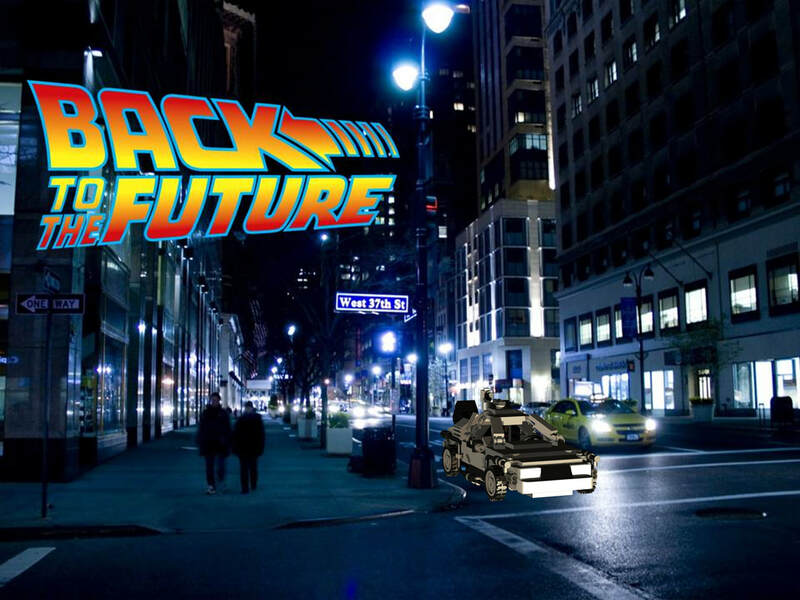 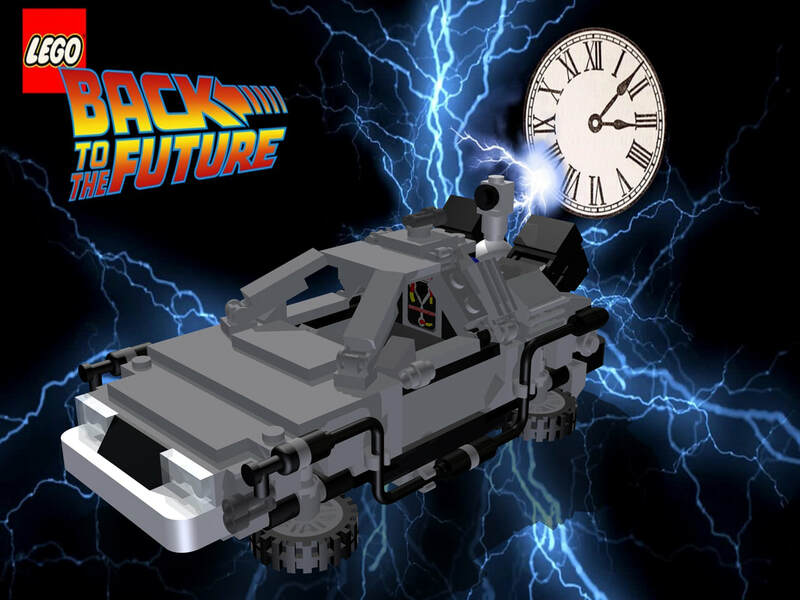 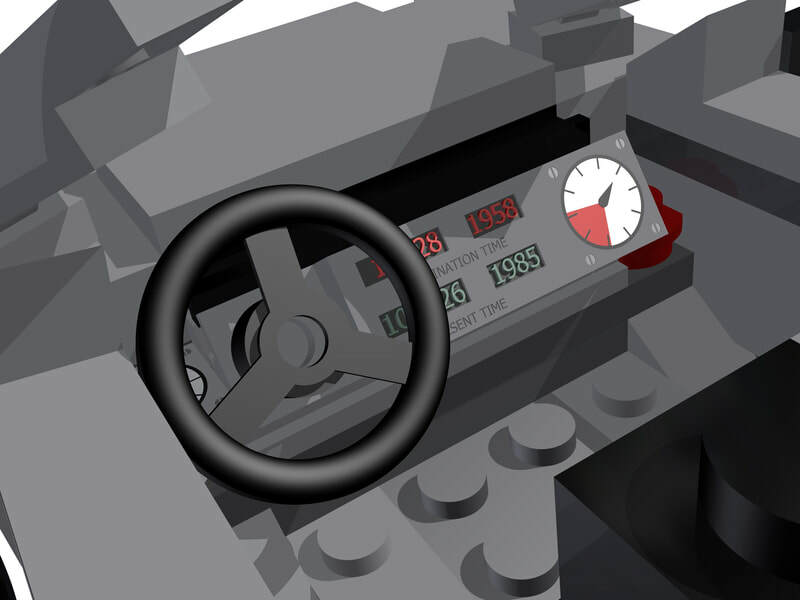 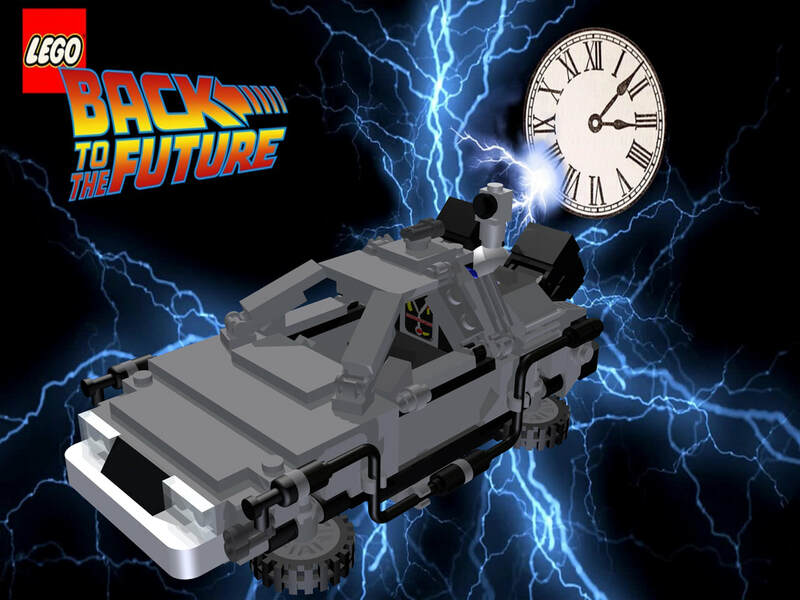 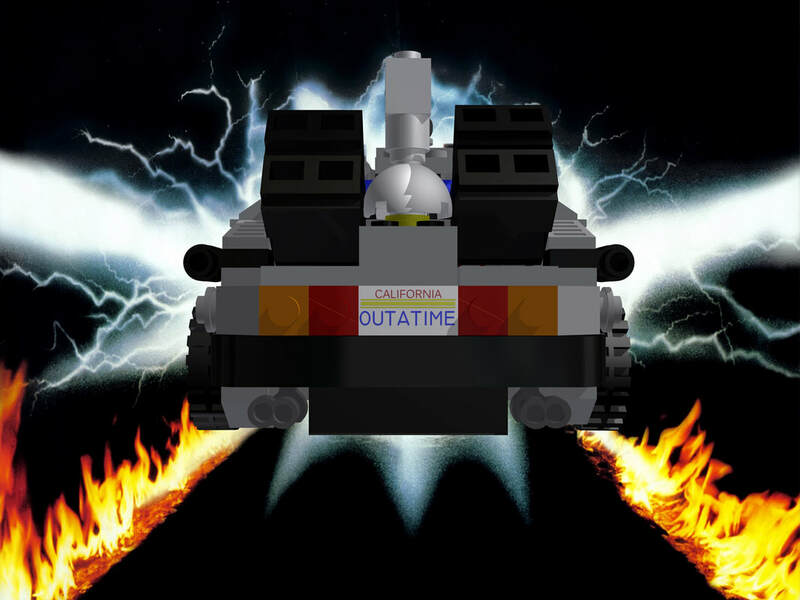 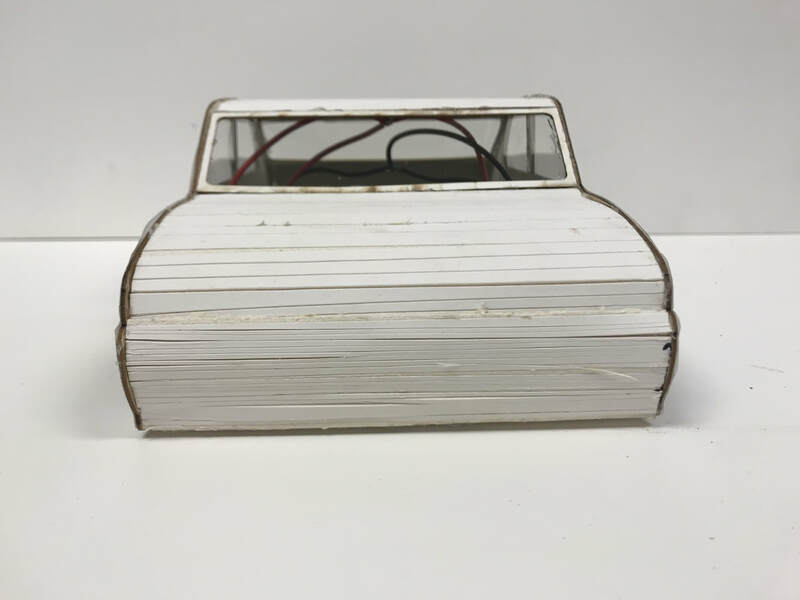 Did you know the electric car was older than the gas-powered car? 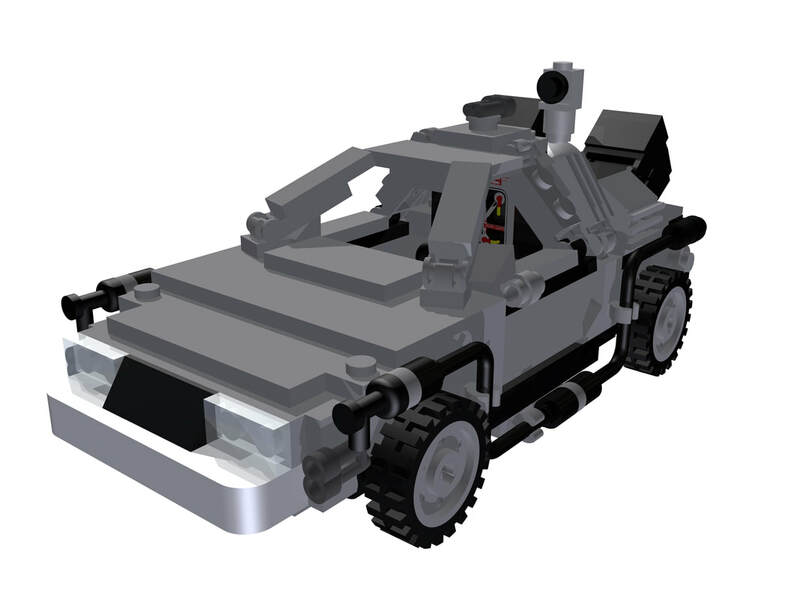 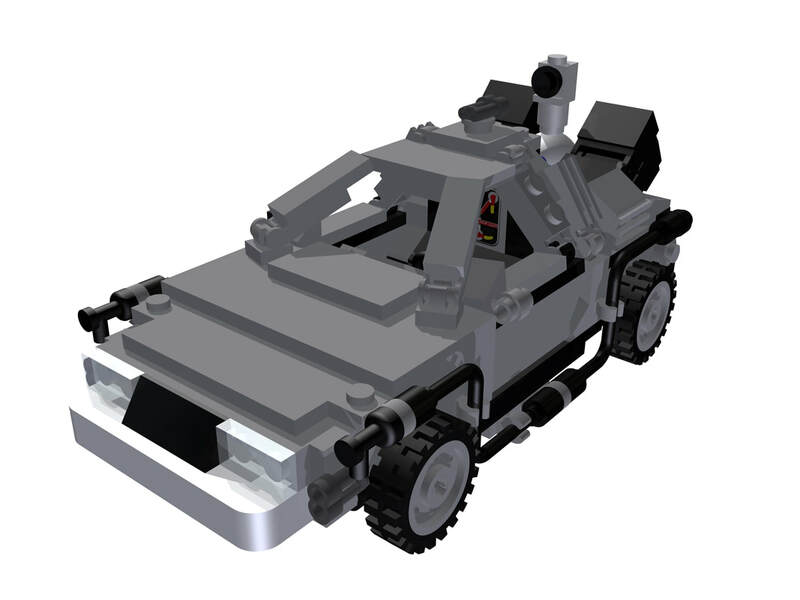 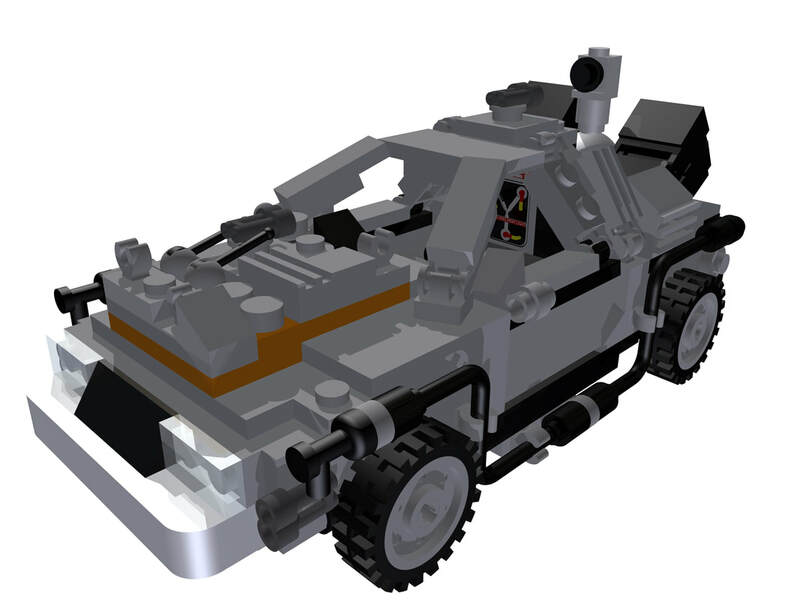 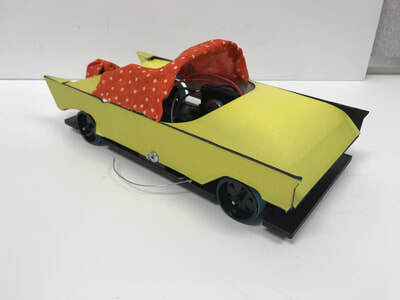 It is believed that the first electric car was invented between 1832 and 1839 by Scottish inventor Robert Anderson. 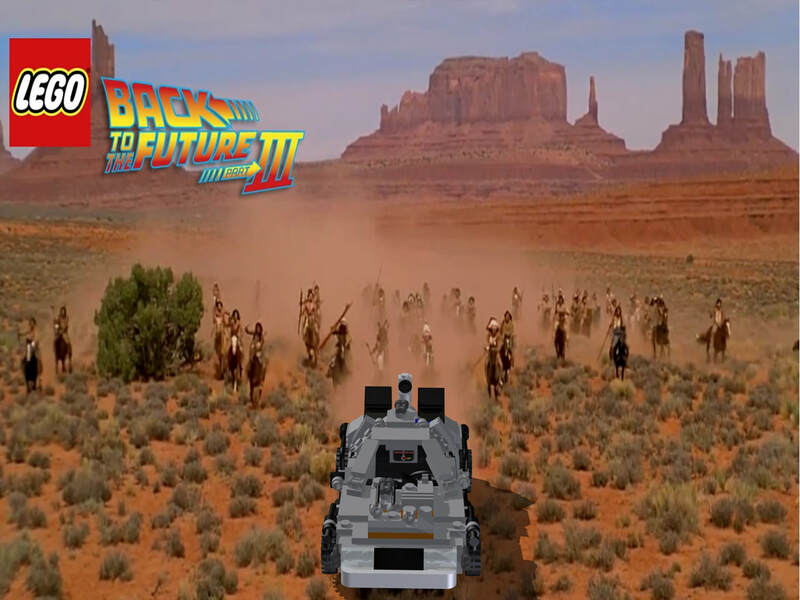 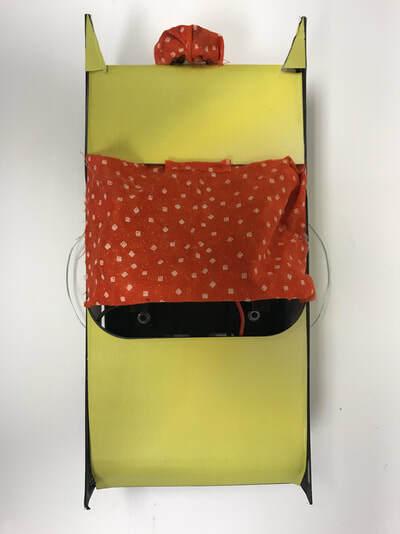 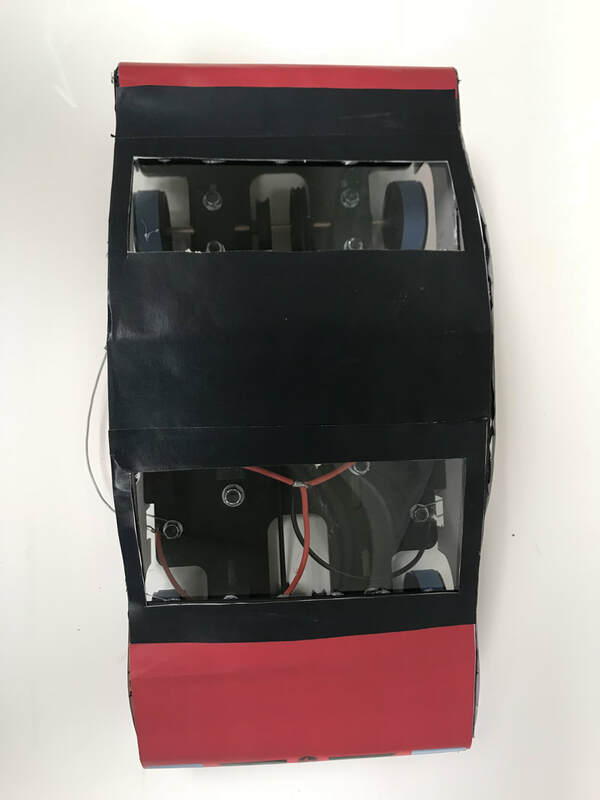 The contraption was not more than a carriage with an electric motor and non-rechargeable batteries. 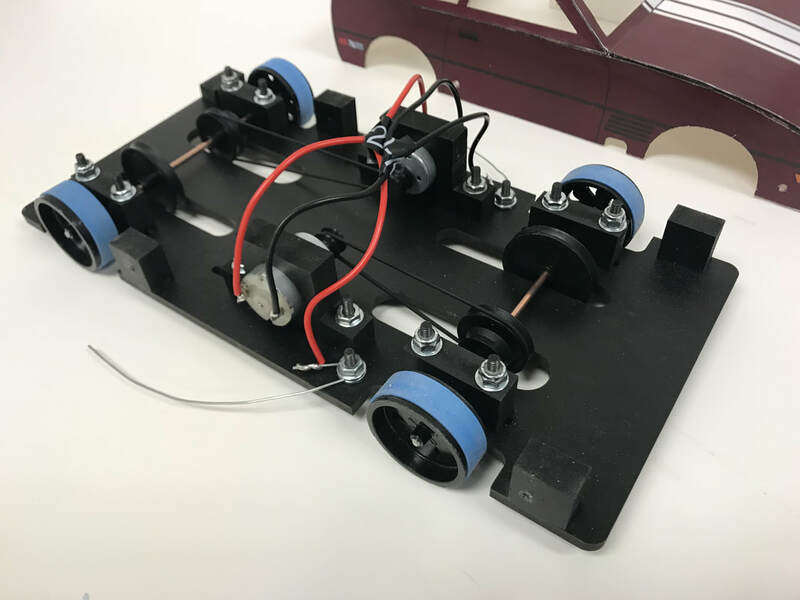 In 1835, American inventor Thomas Davenport is credited with building the first practical electric vehicle, a small locomotive. 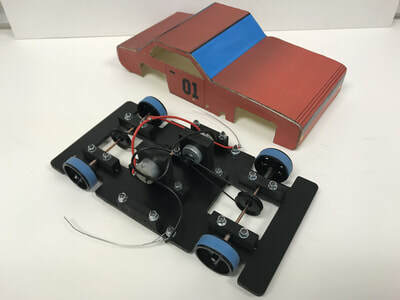 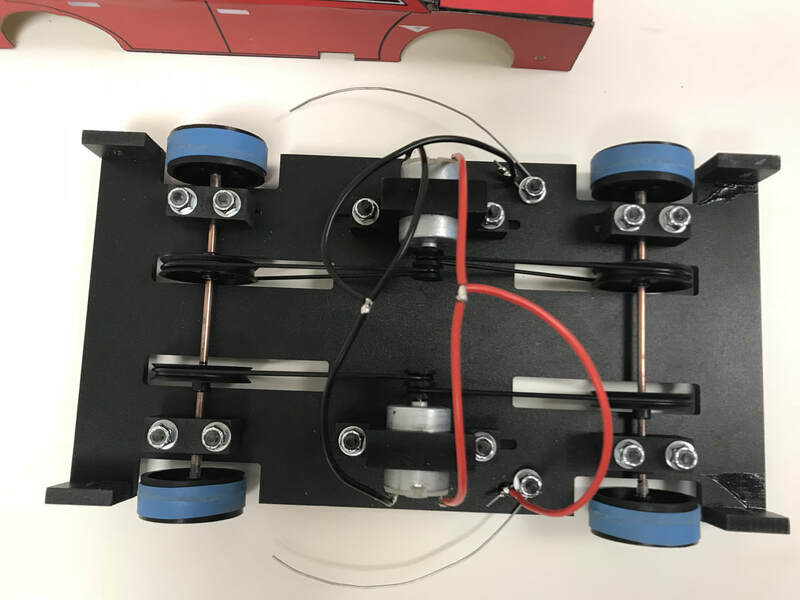 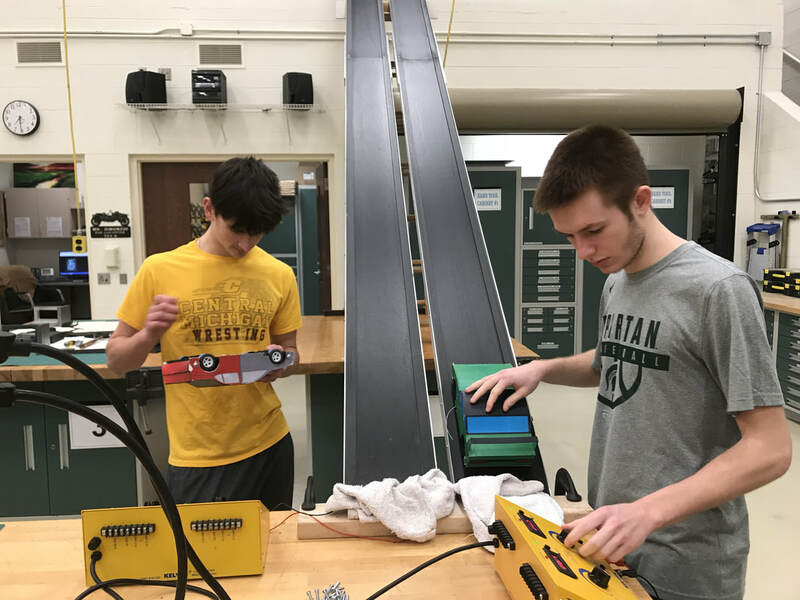 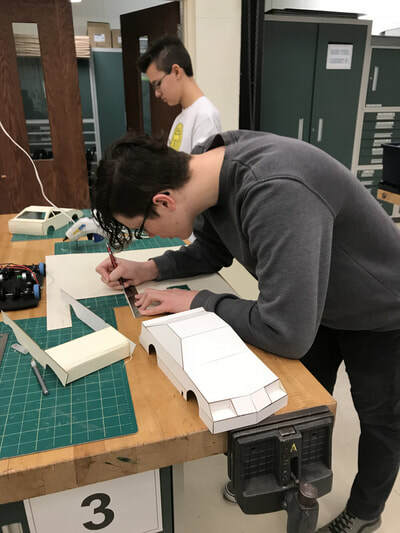 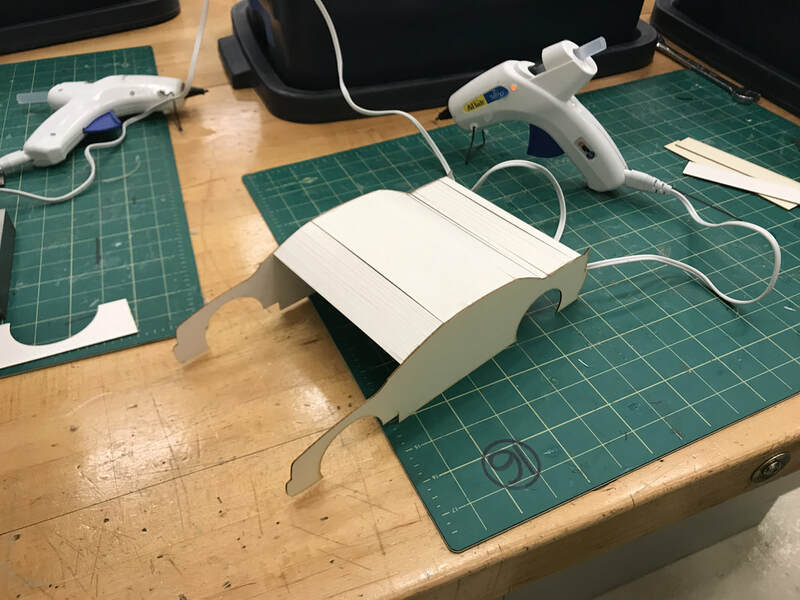 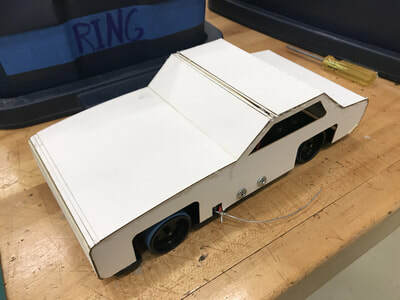 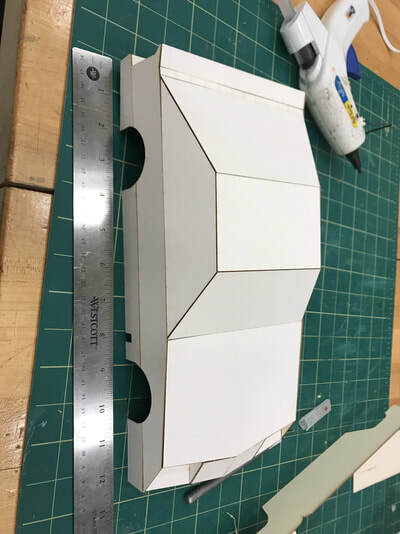 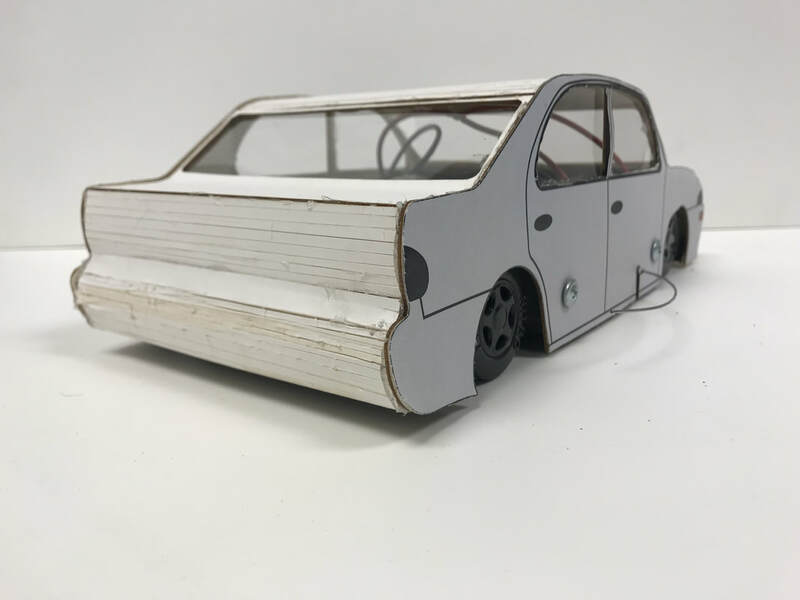 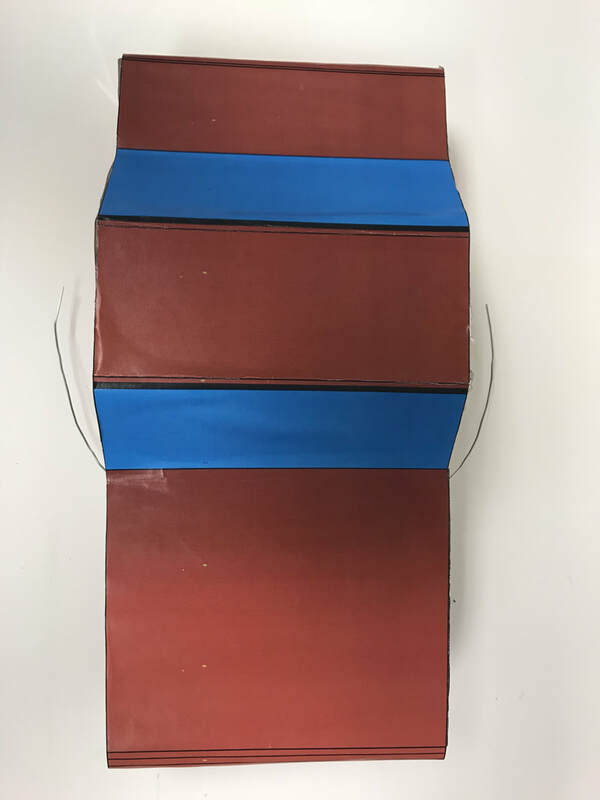 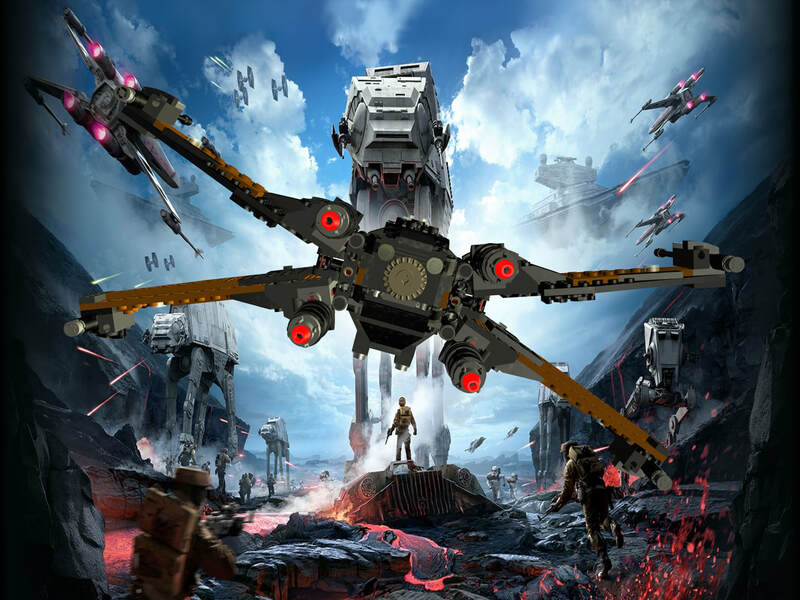 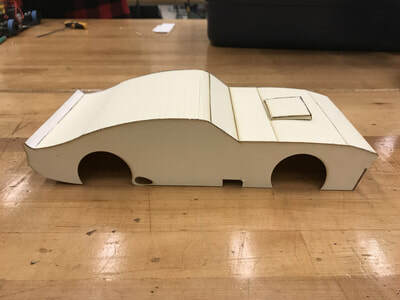 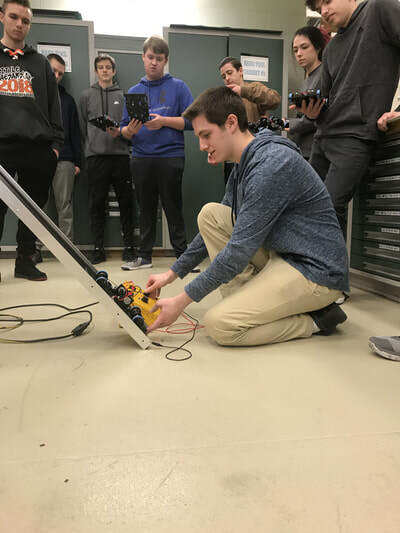 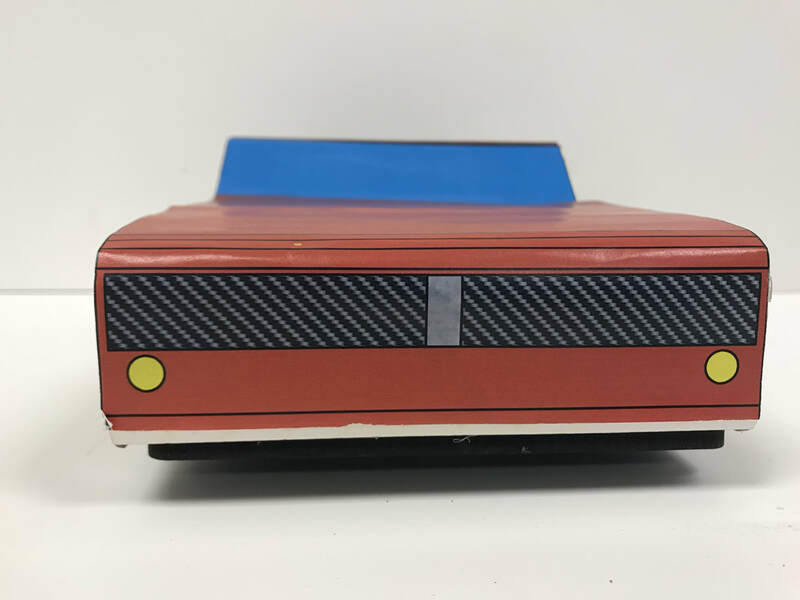 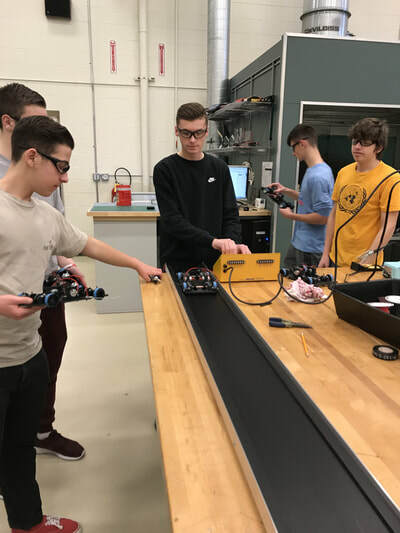 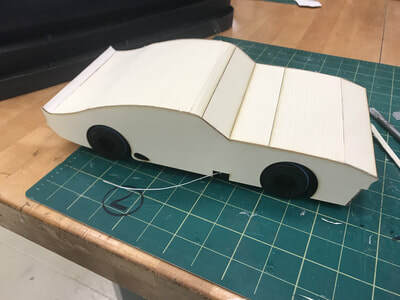 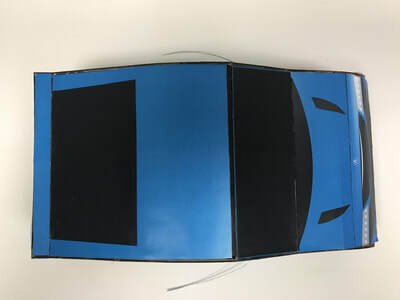 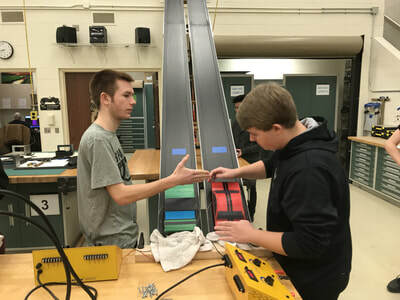 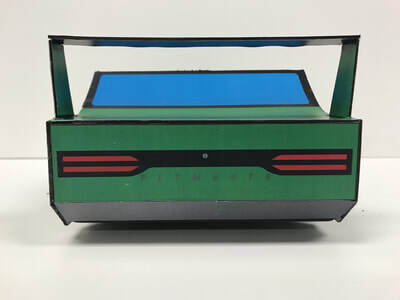 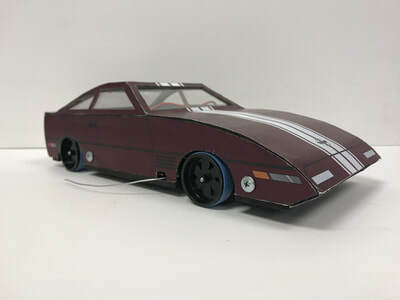 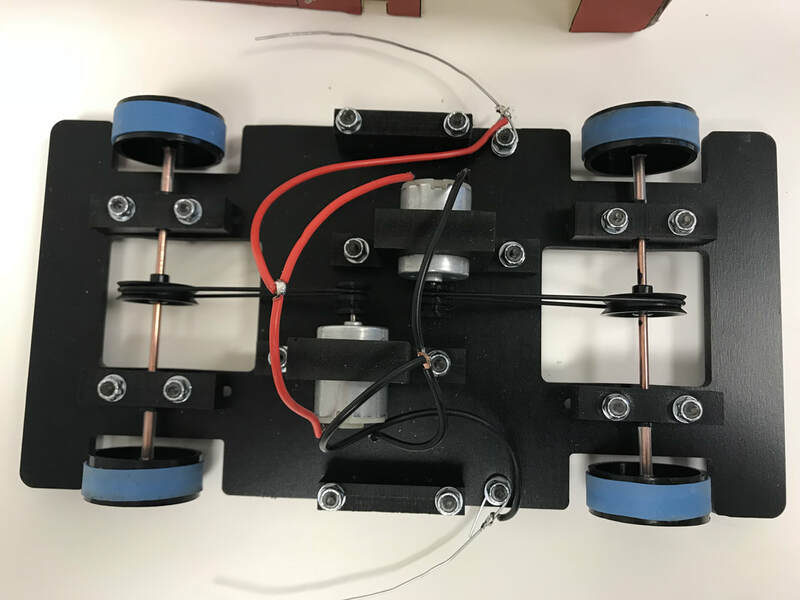 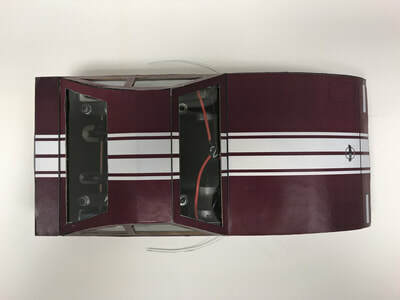 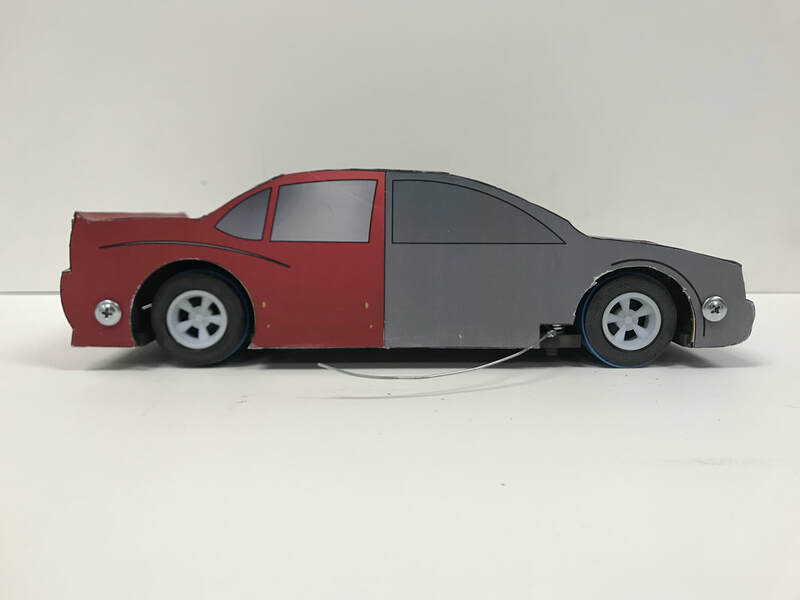 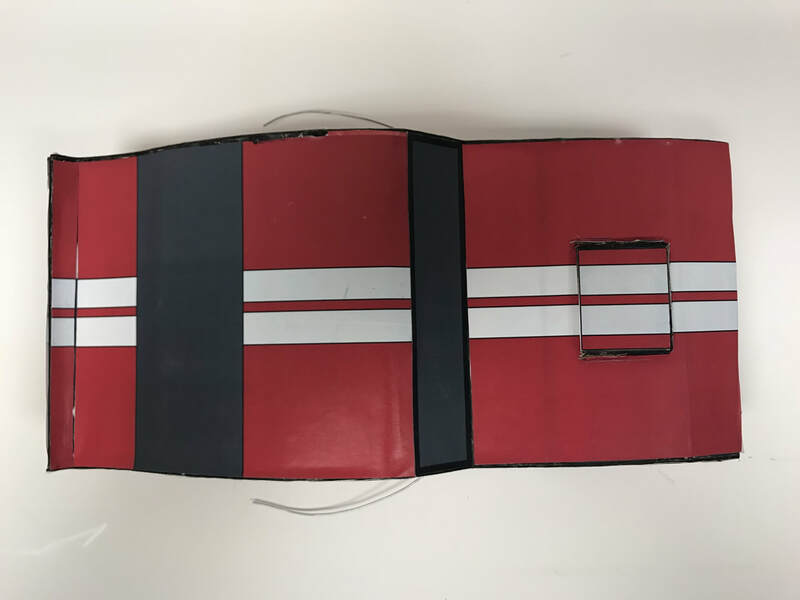 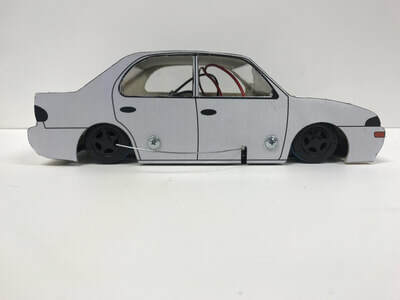 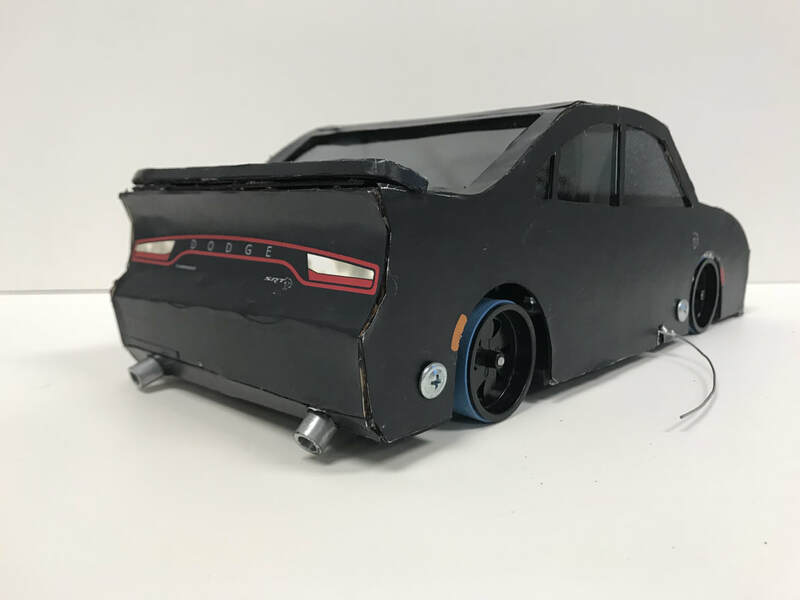 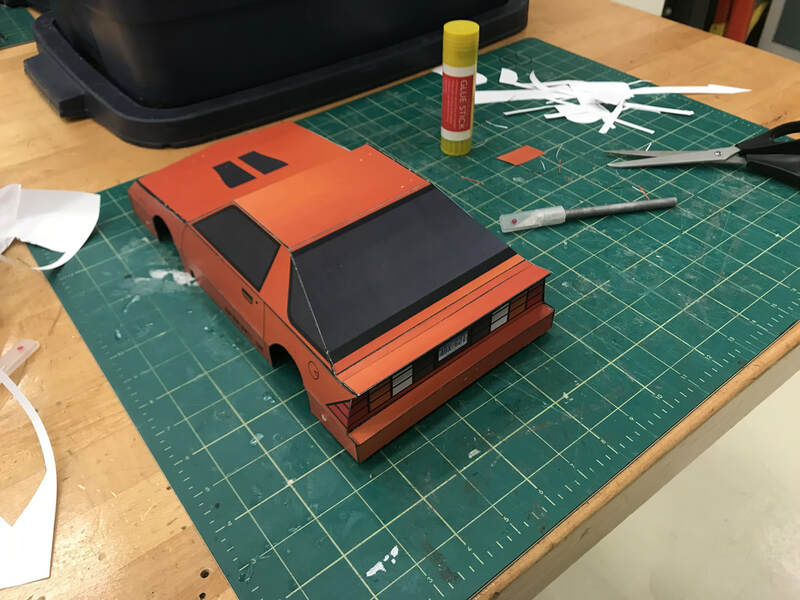 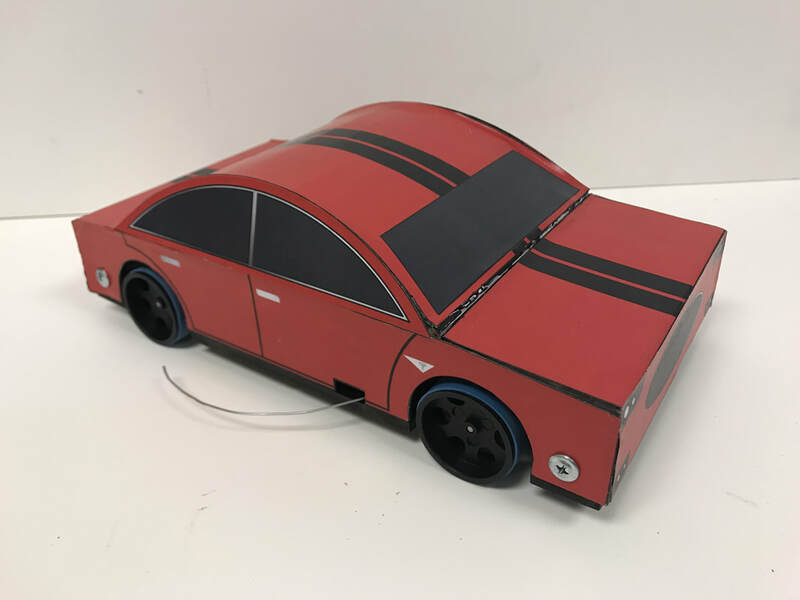 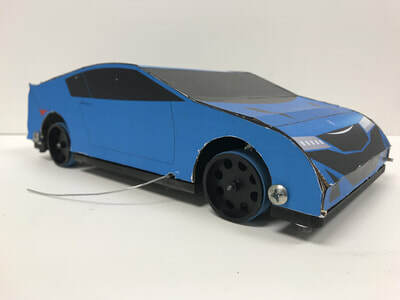 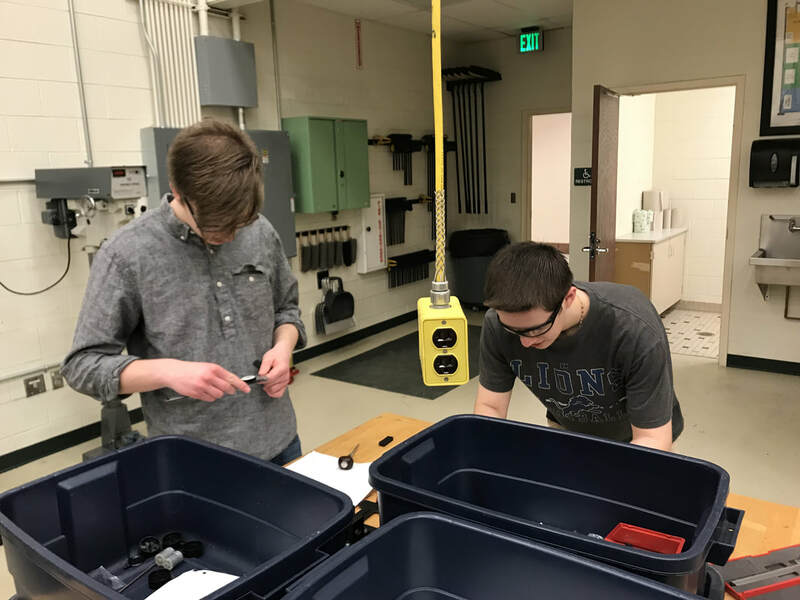 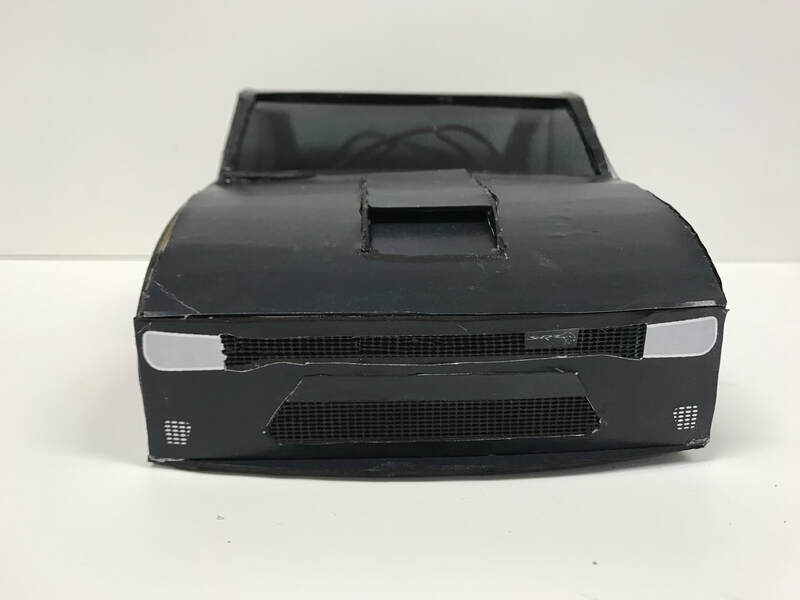 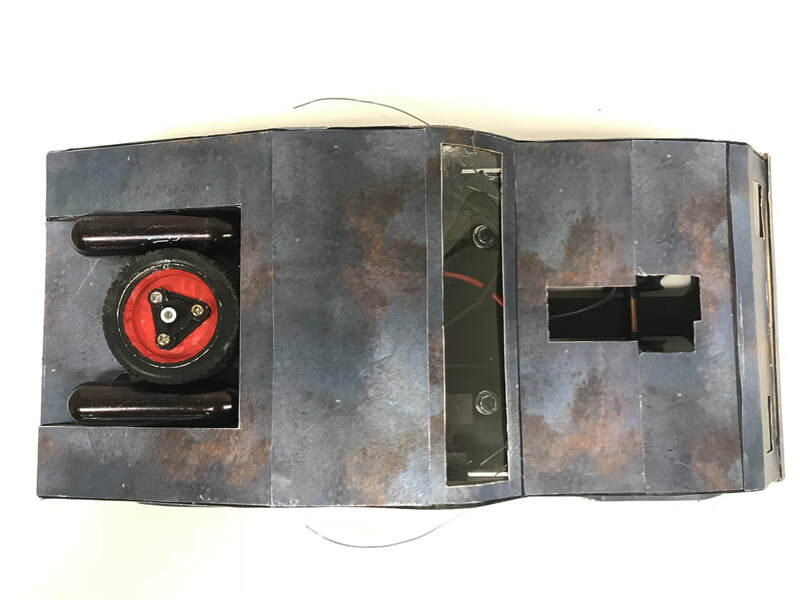 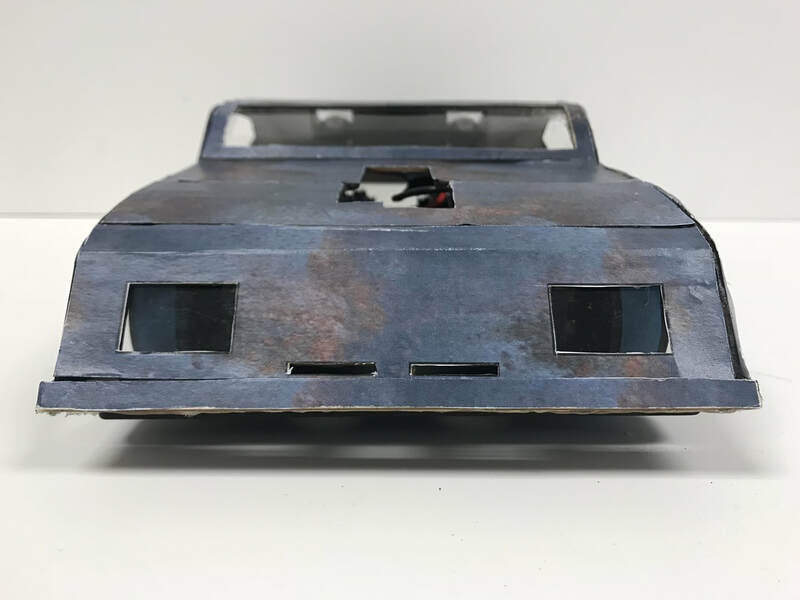 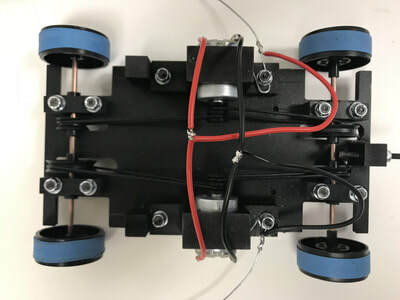 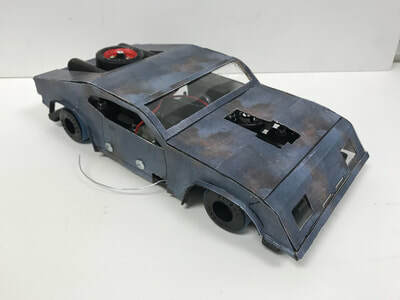 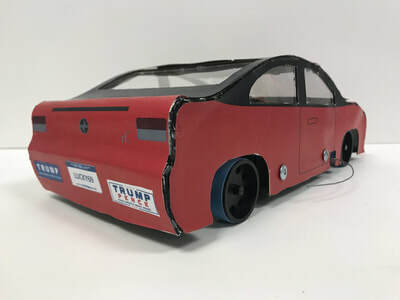 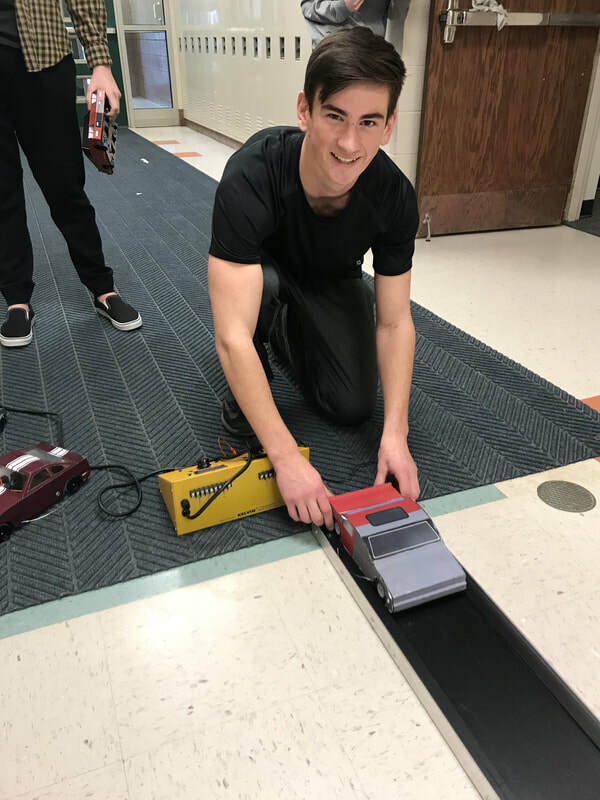 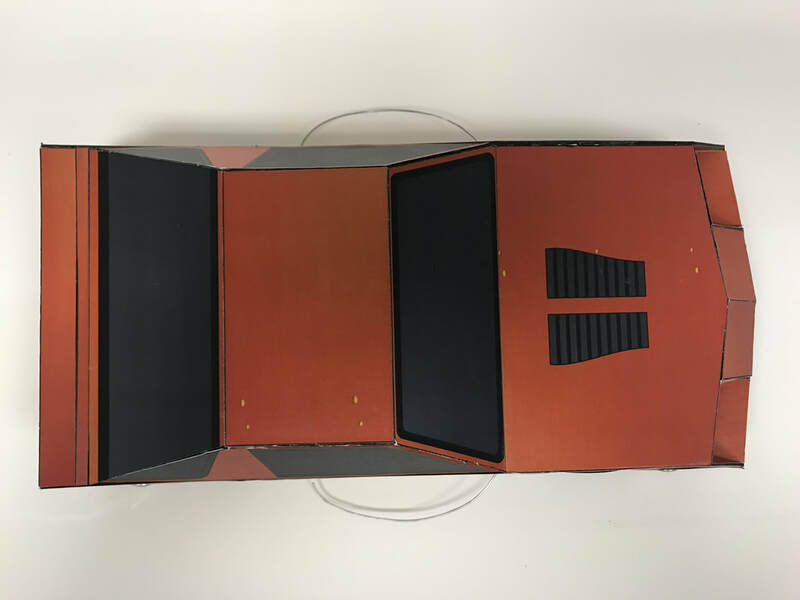 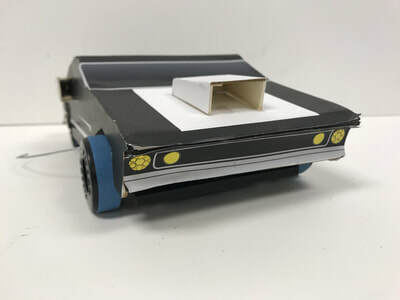 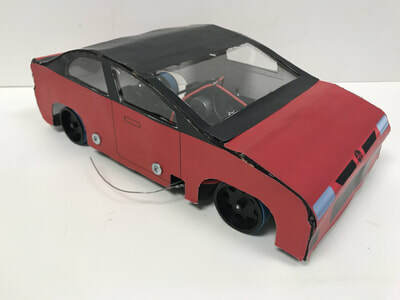 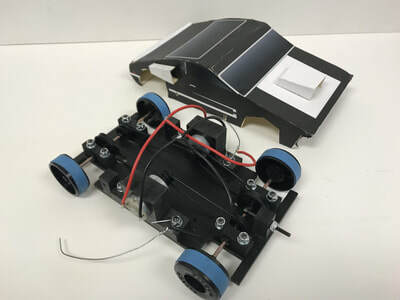 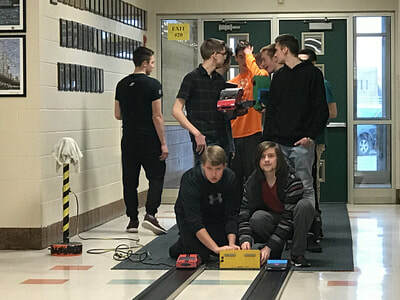 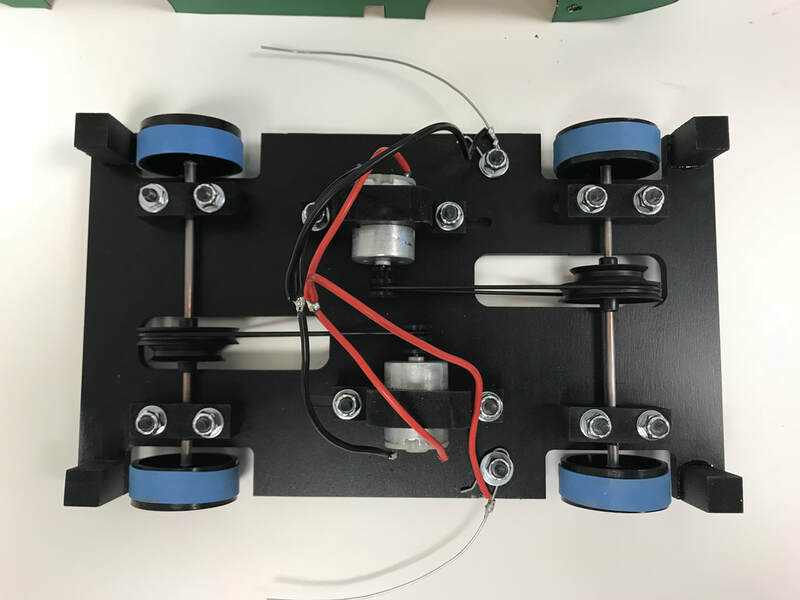 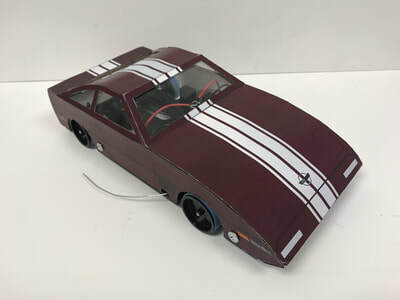 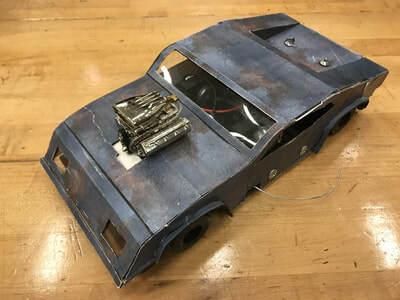 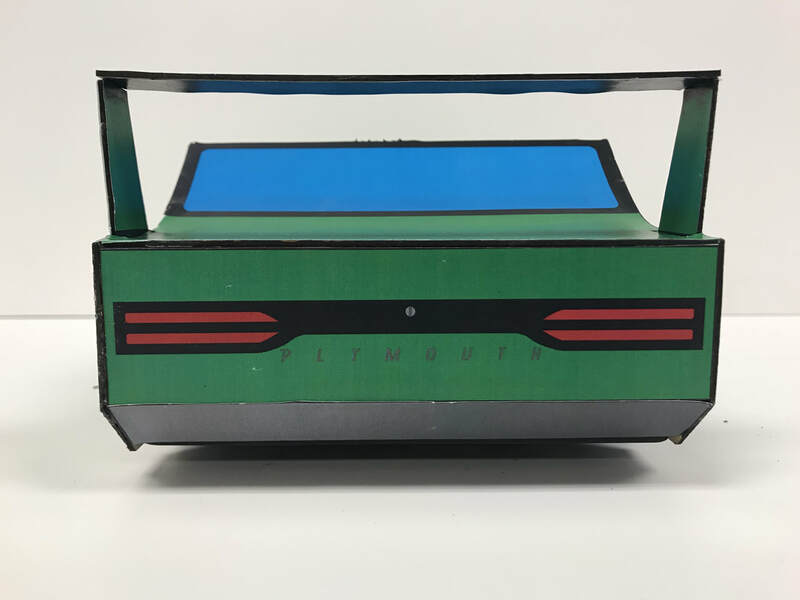 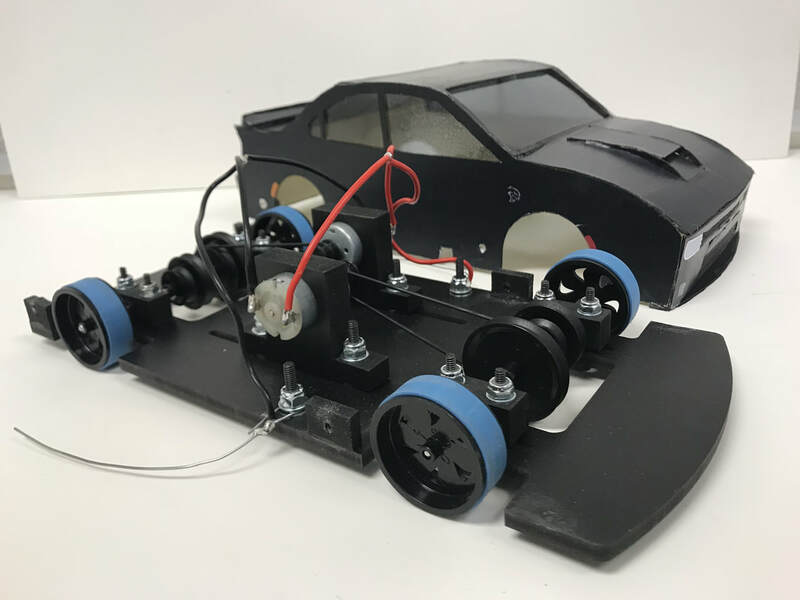 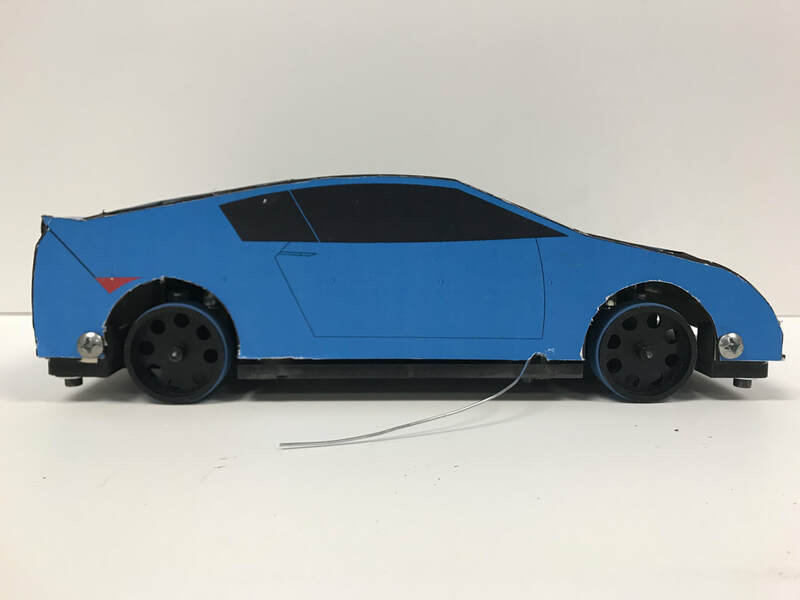 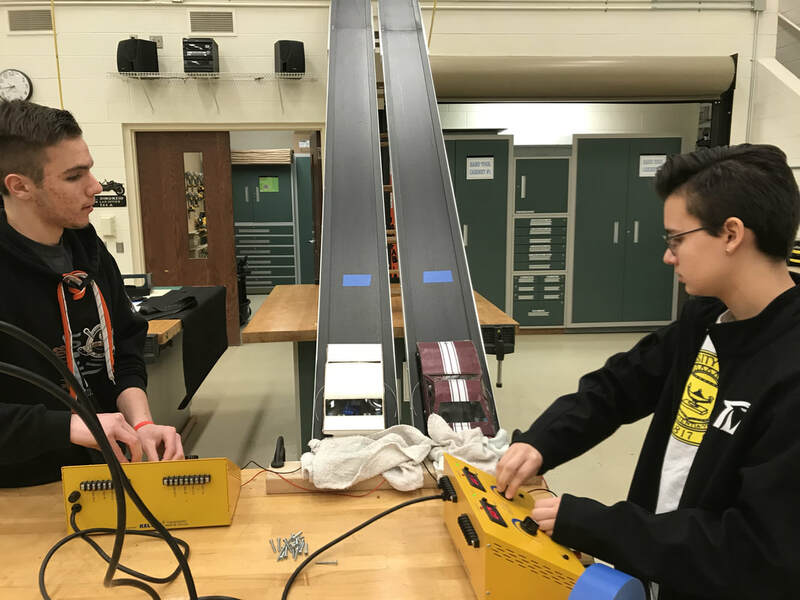 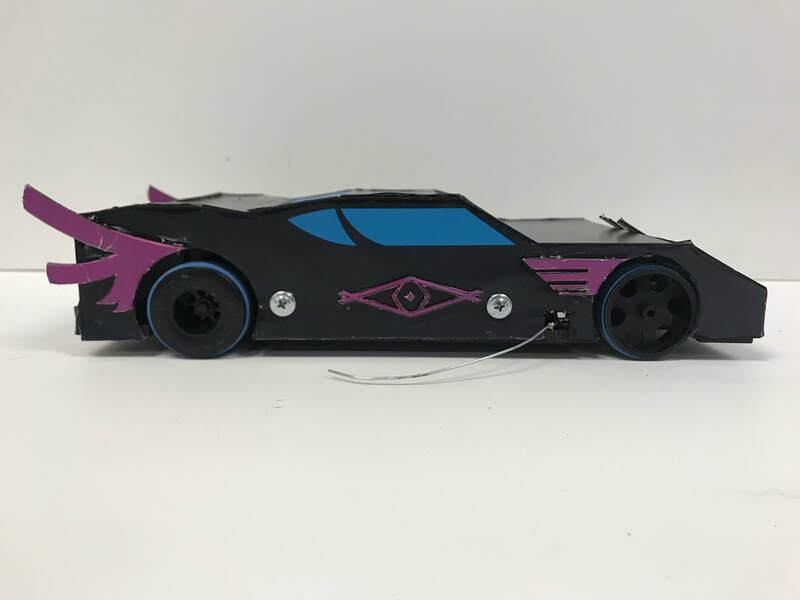 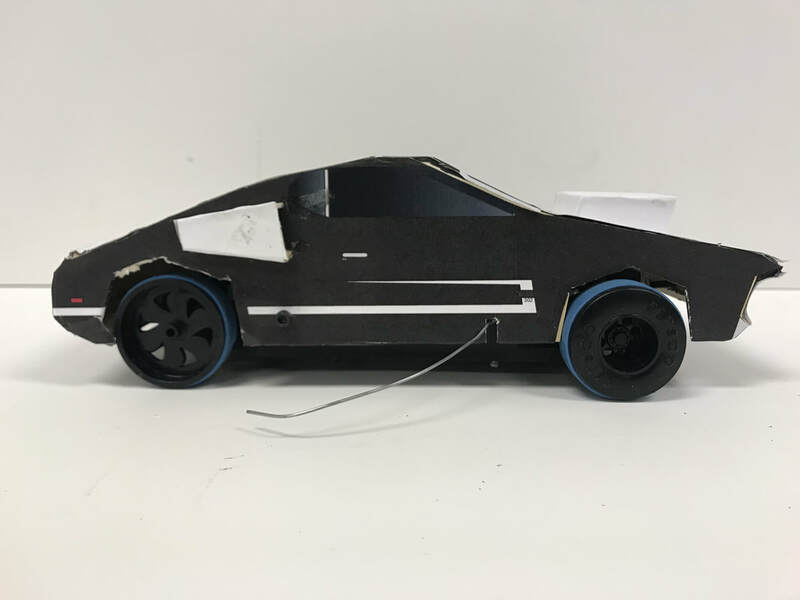 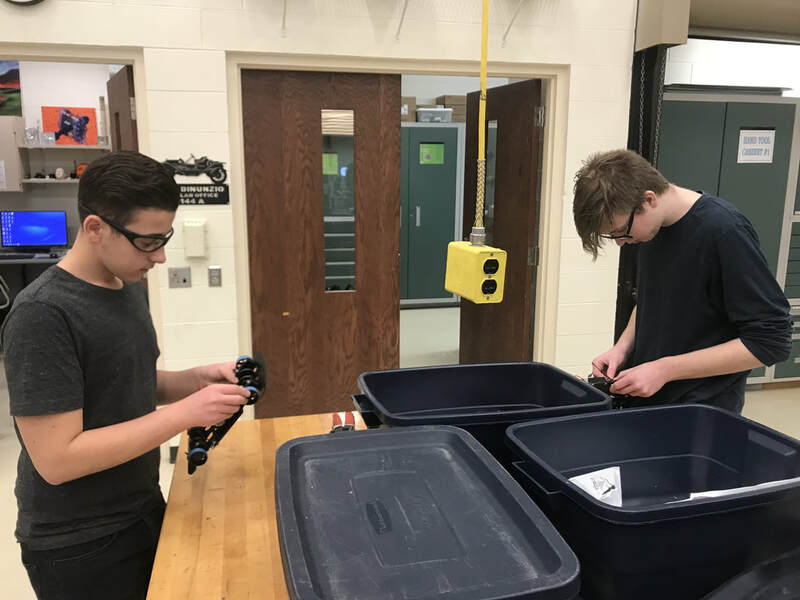 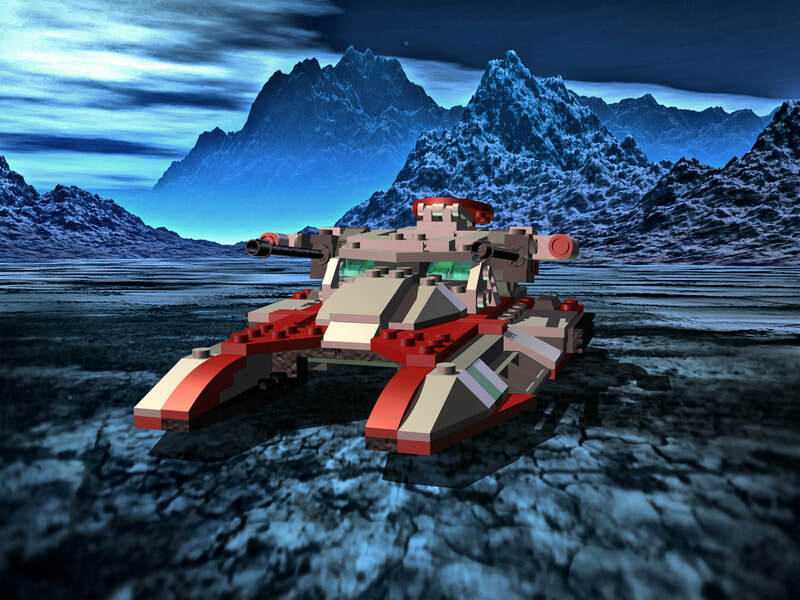 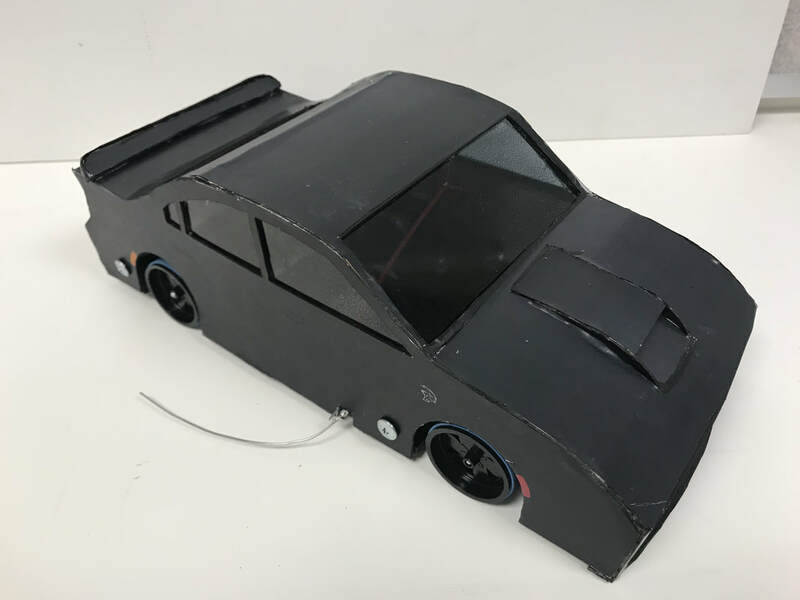 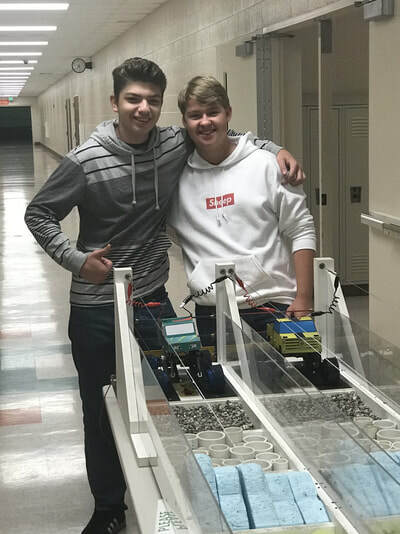 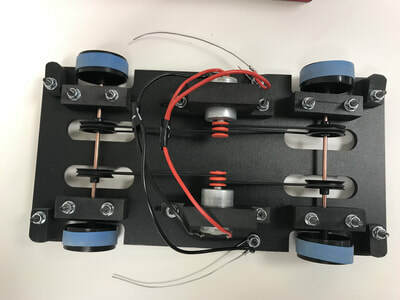 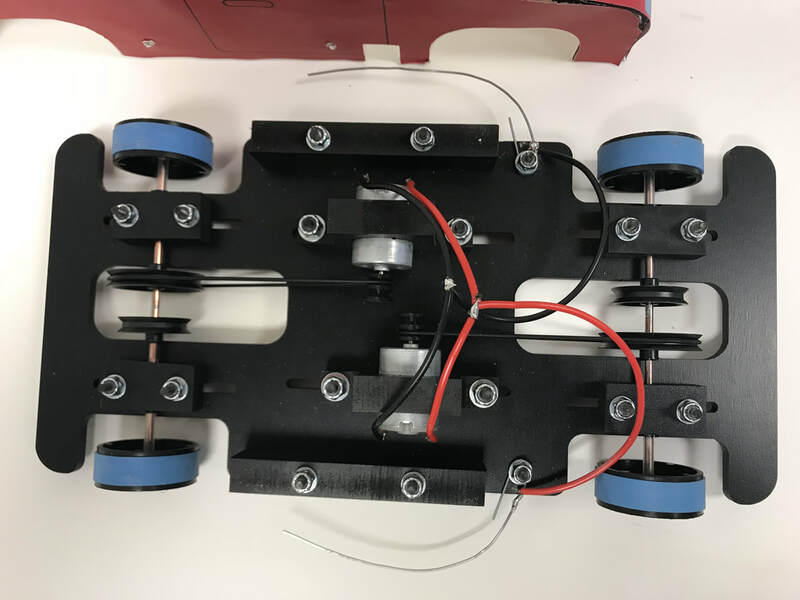 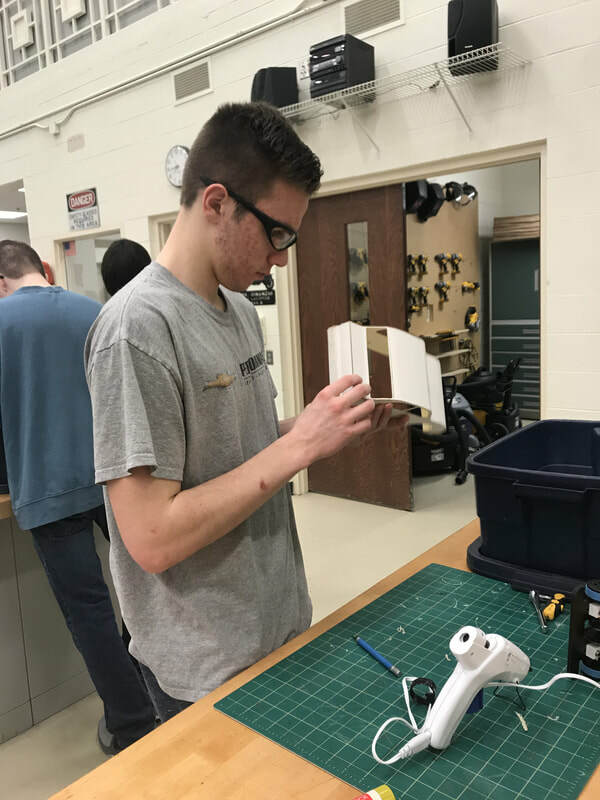 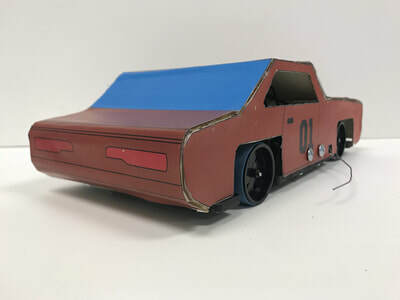 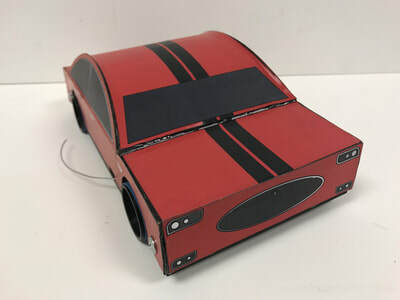 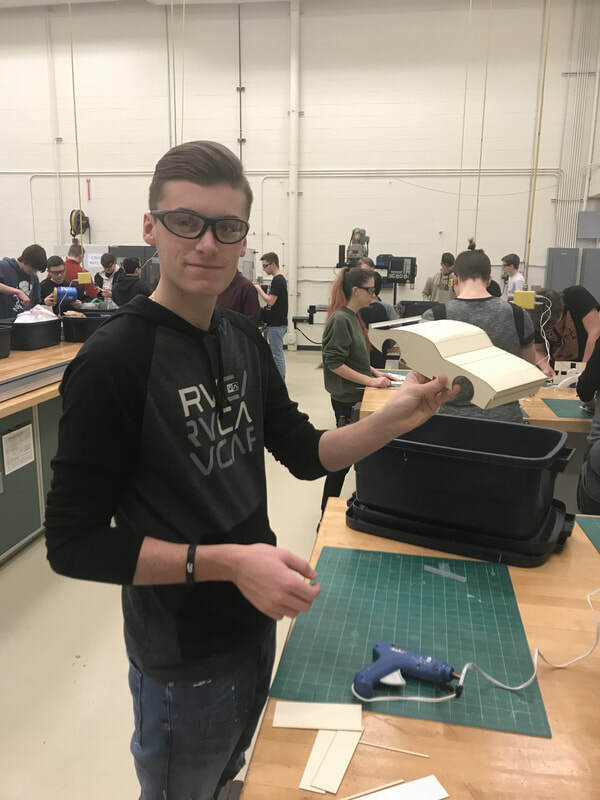 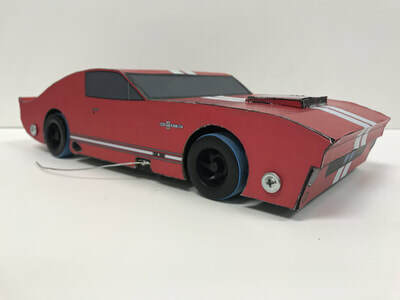 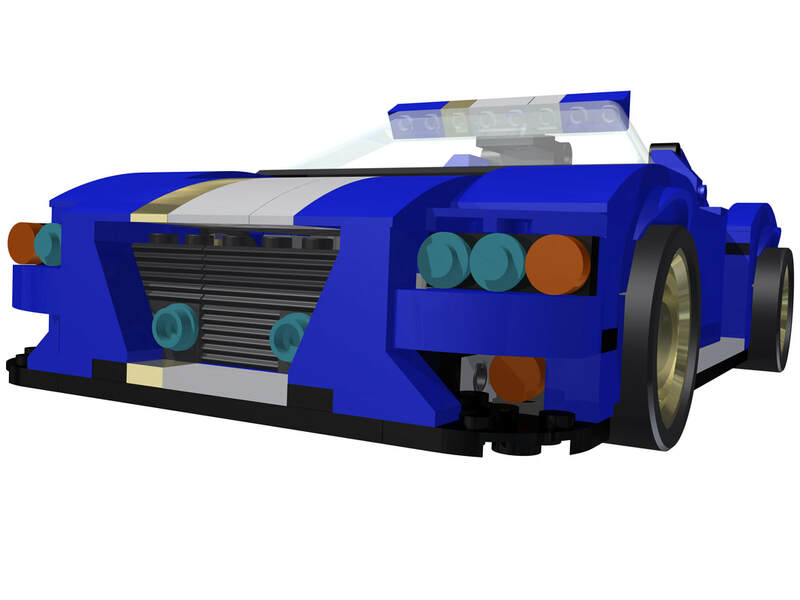 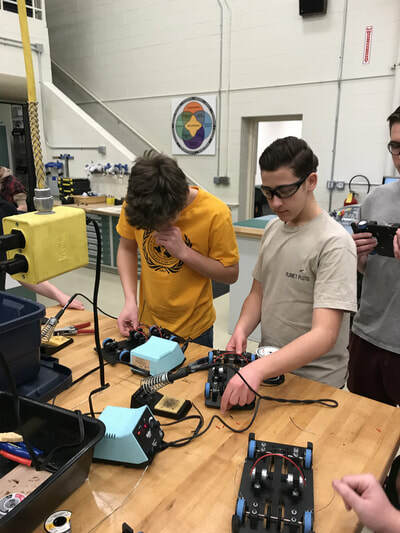 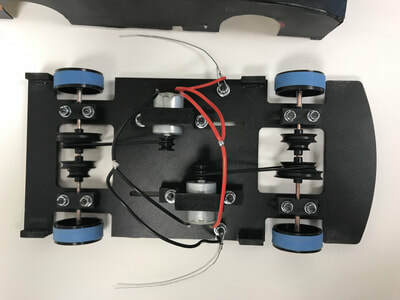 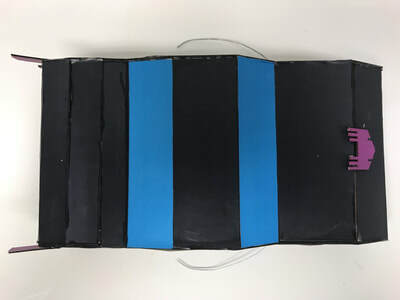 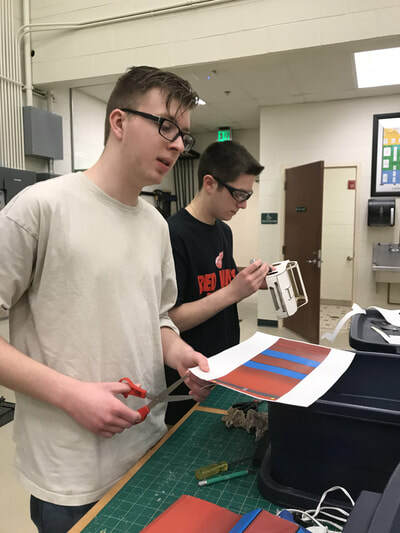 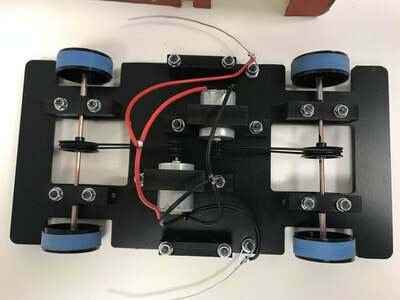 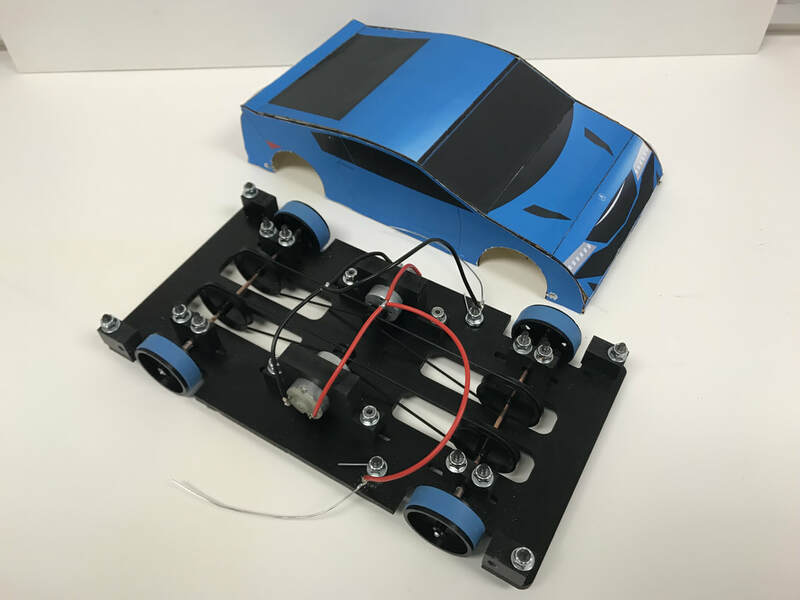 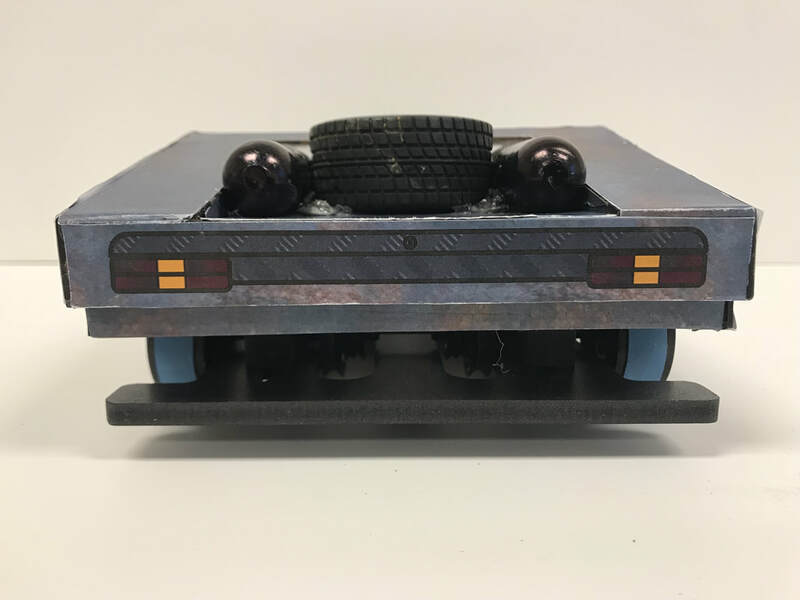 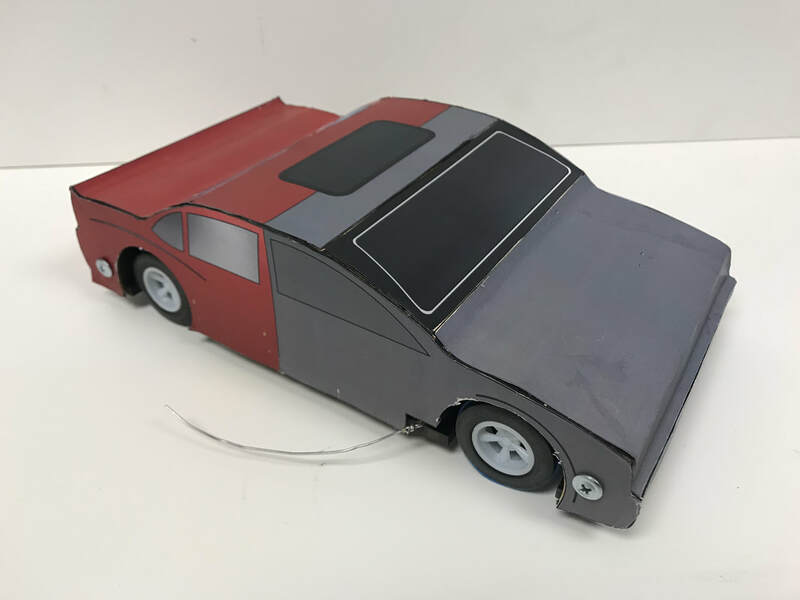 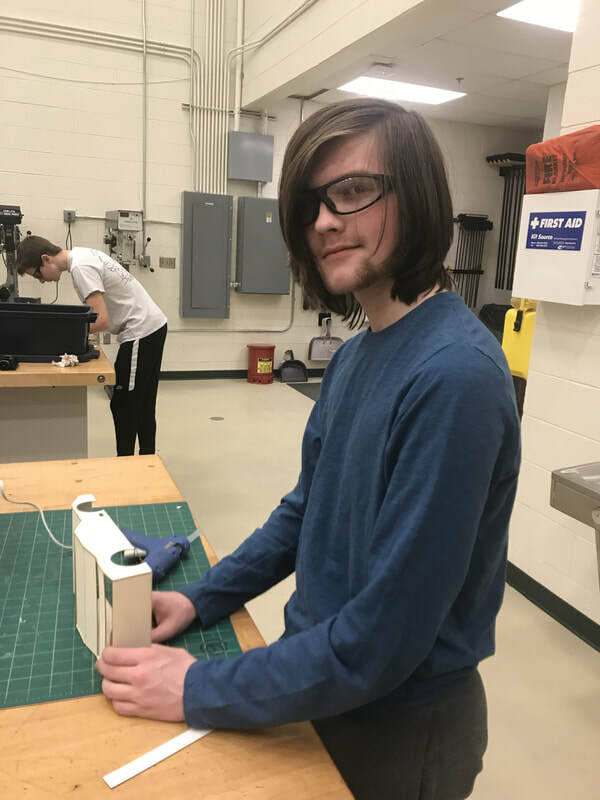 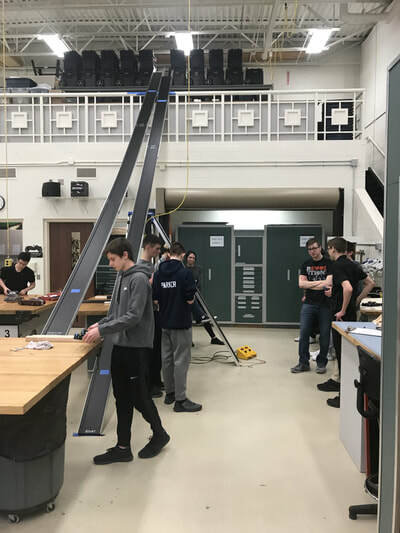 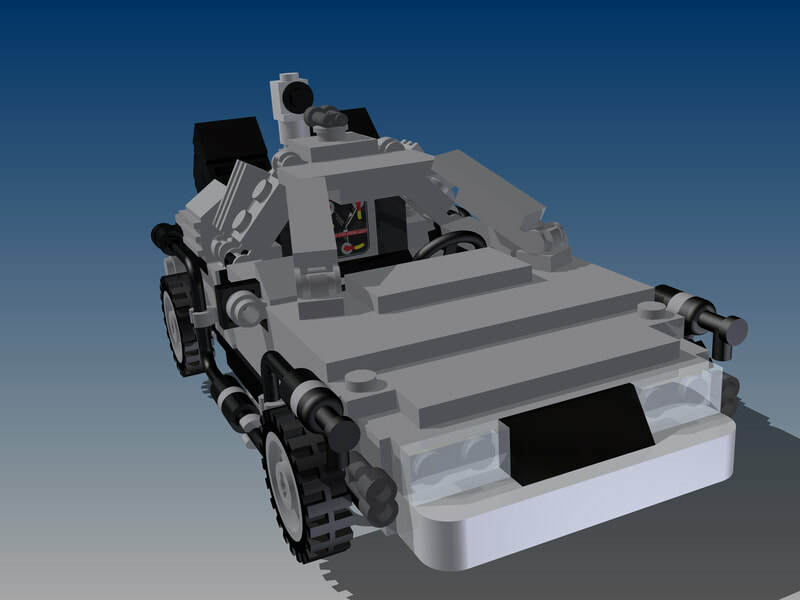 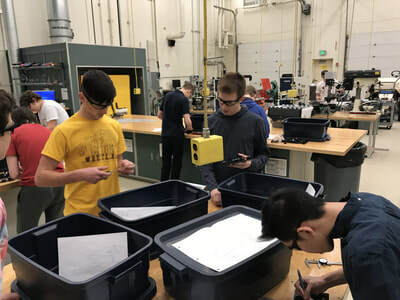 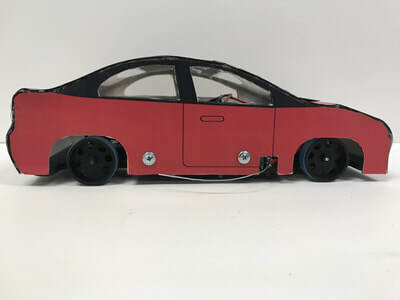 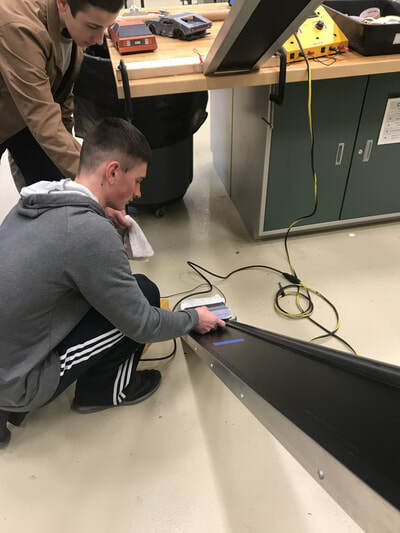 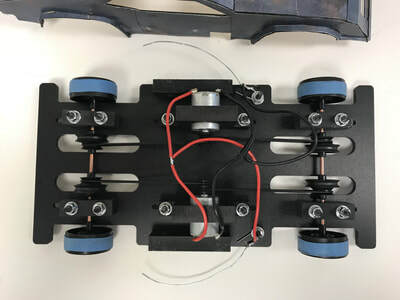 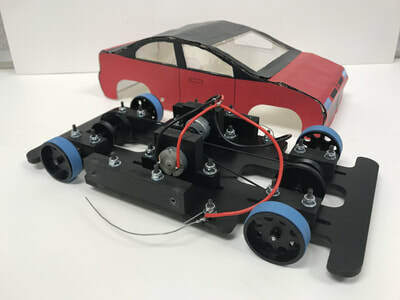 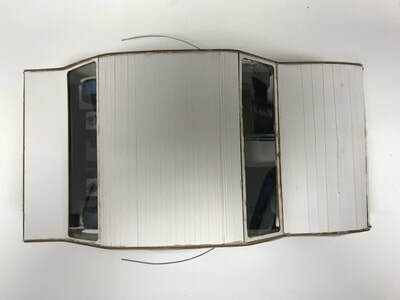 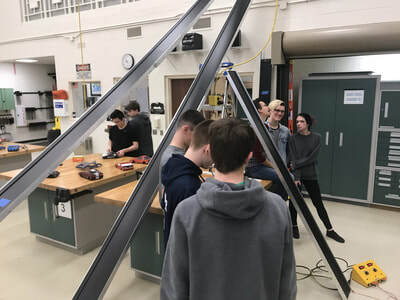 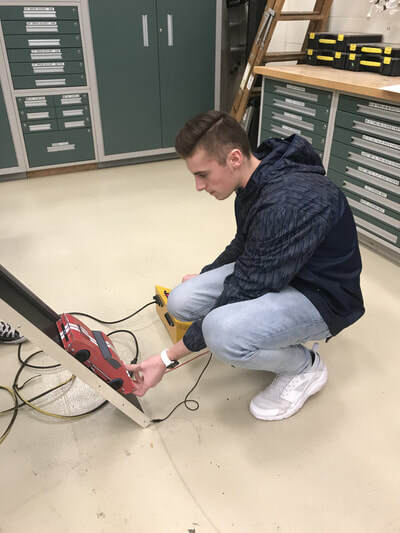 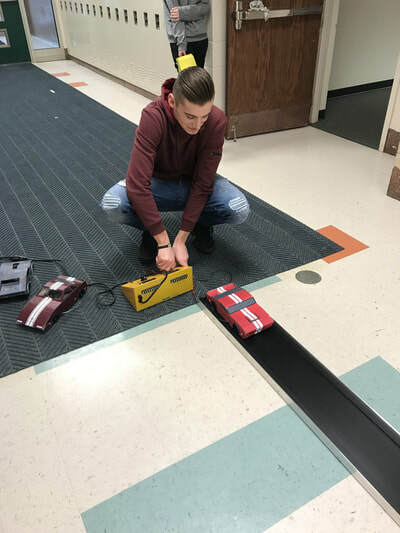 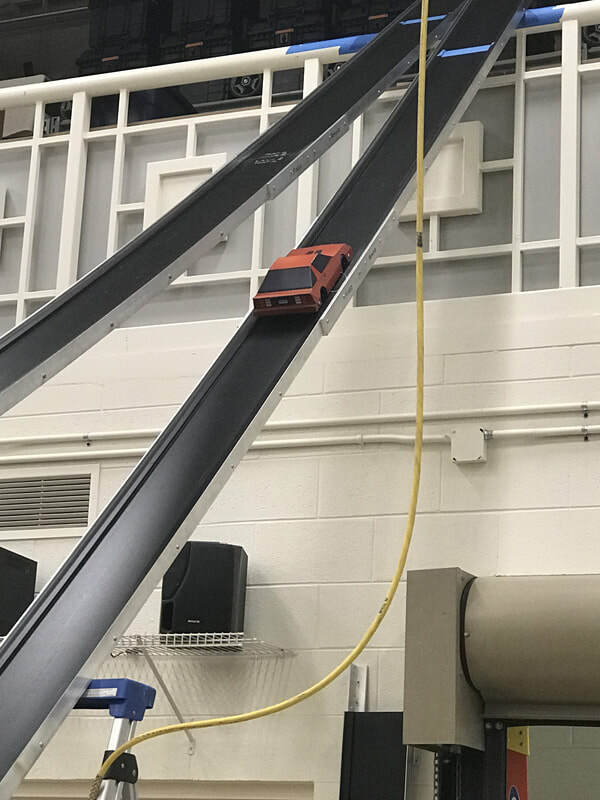 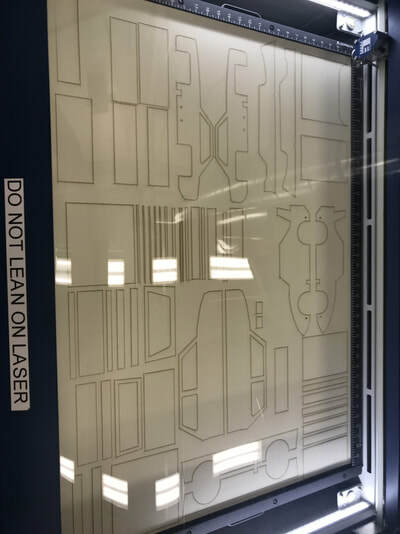 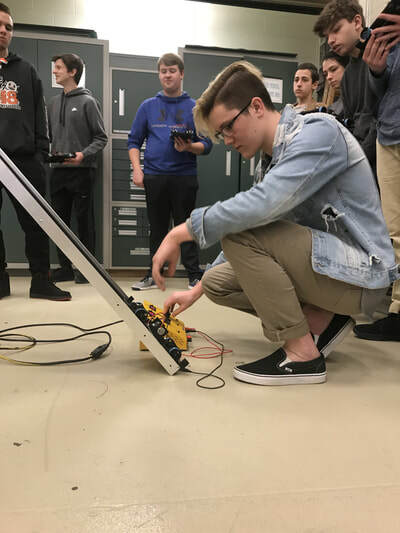 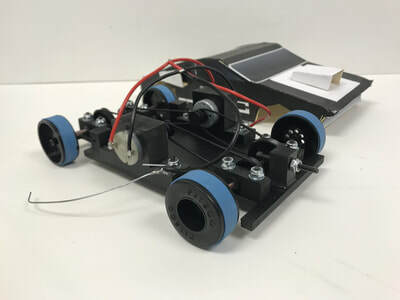 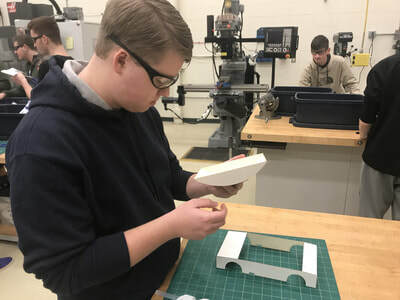 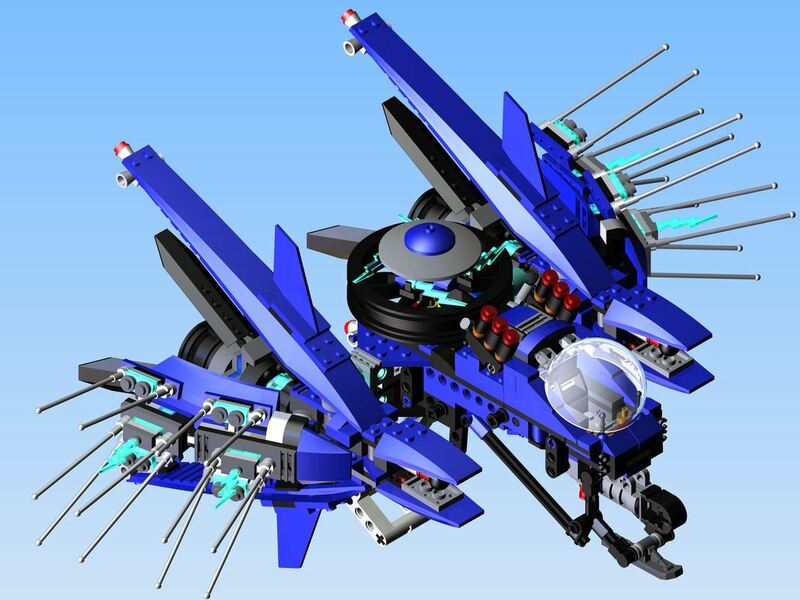 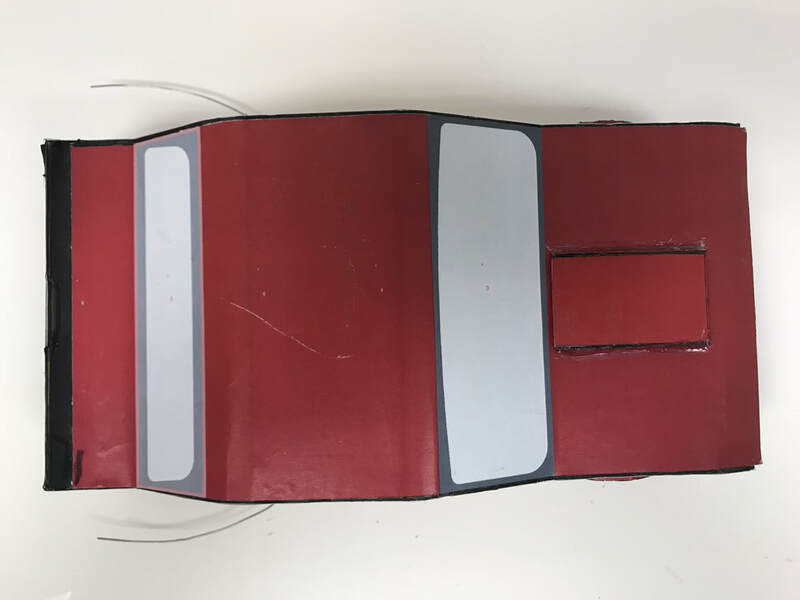 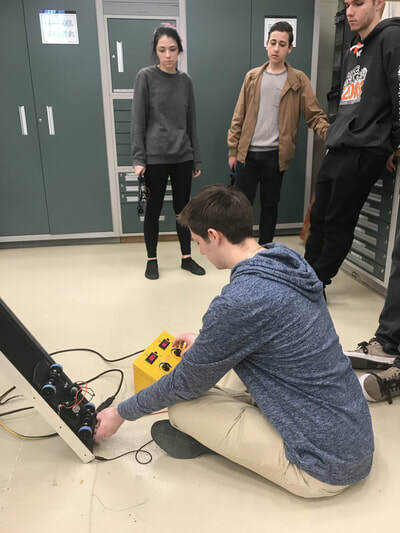 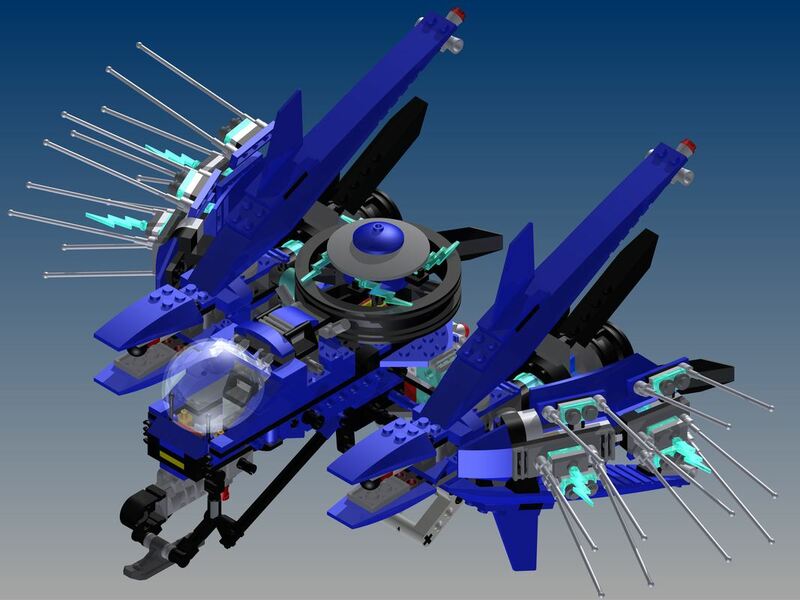 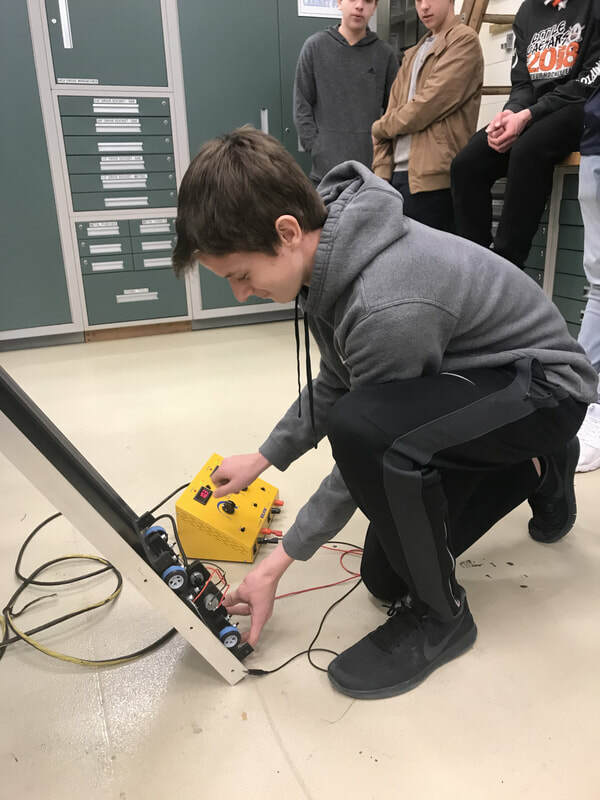 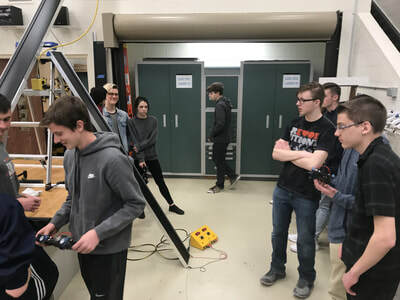 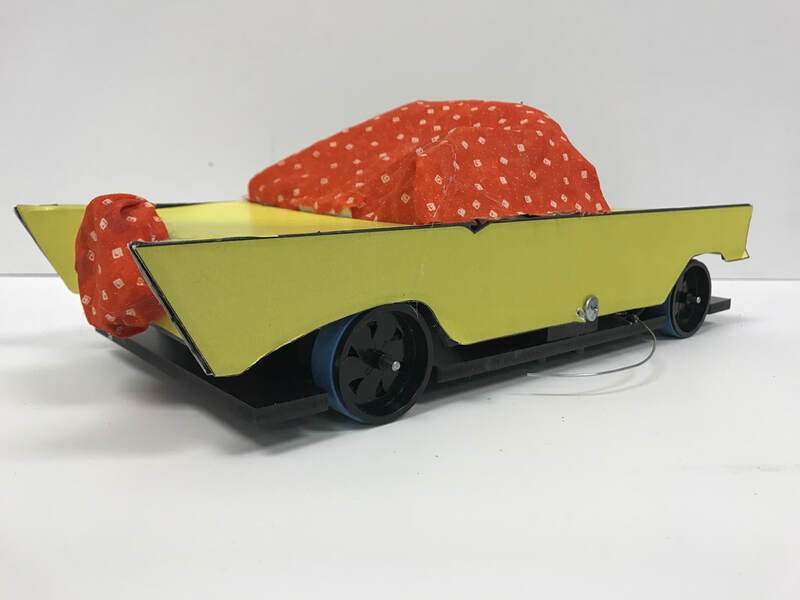 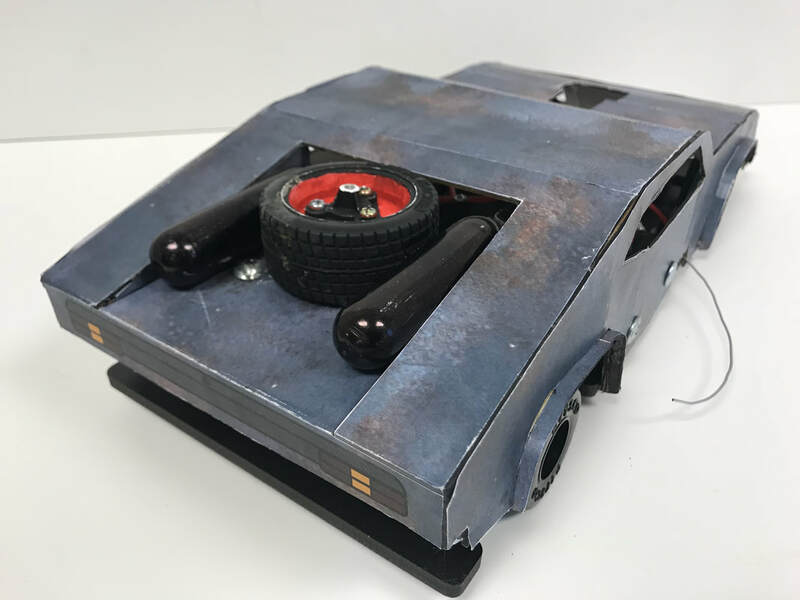 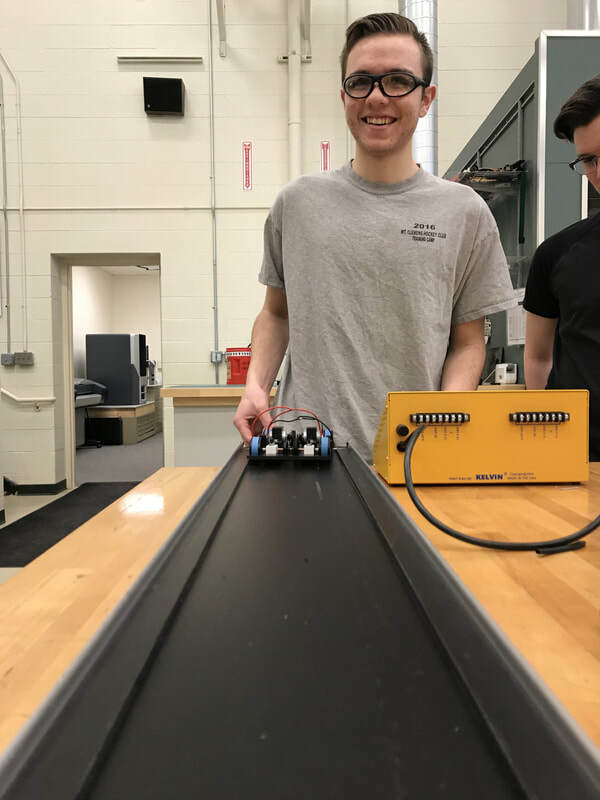 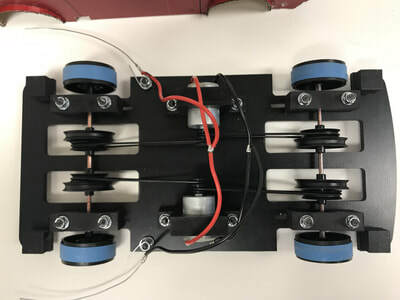 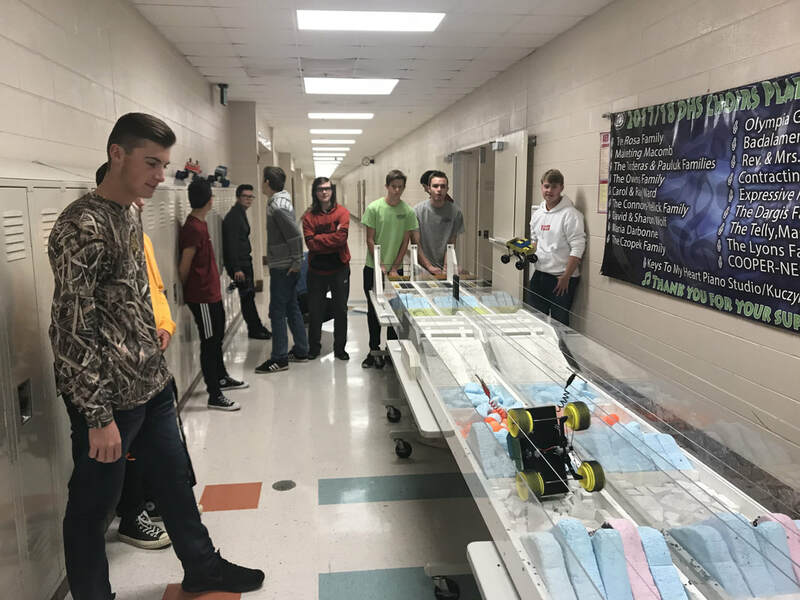 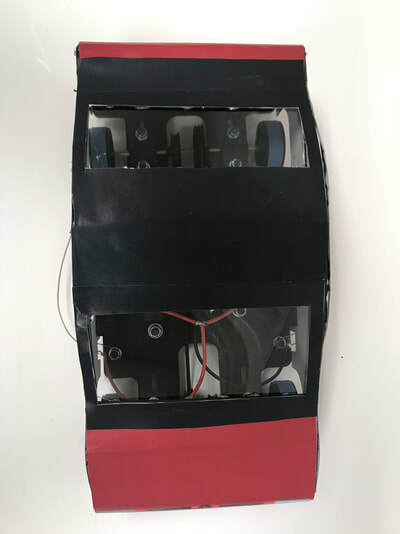 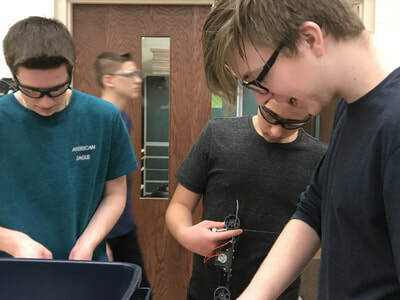 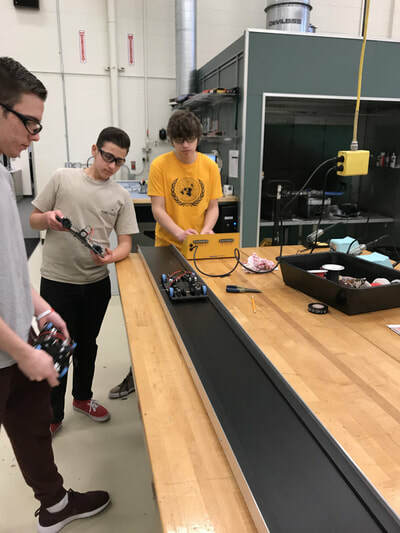 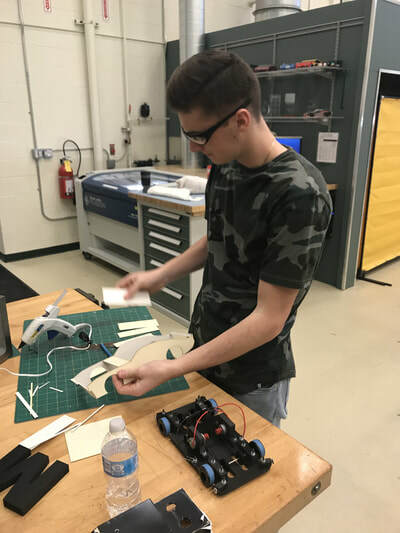 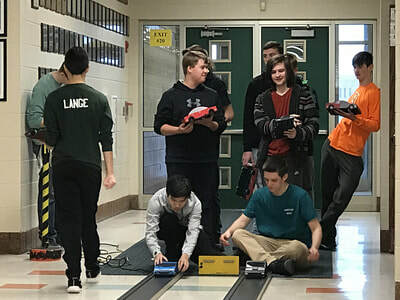 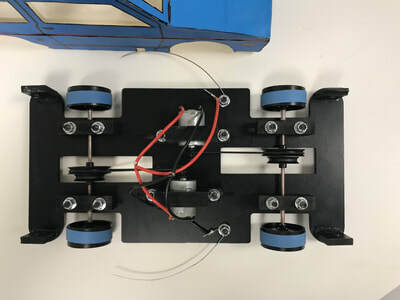 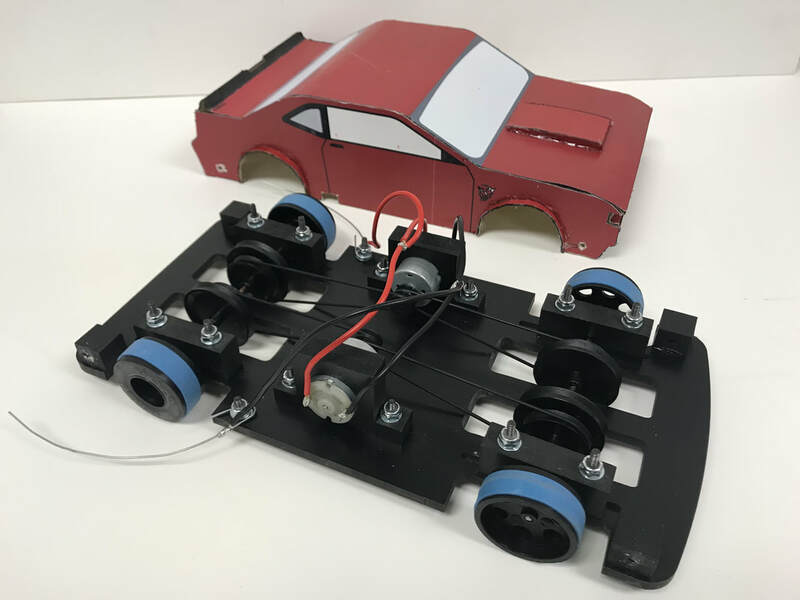 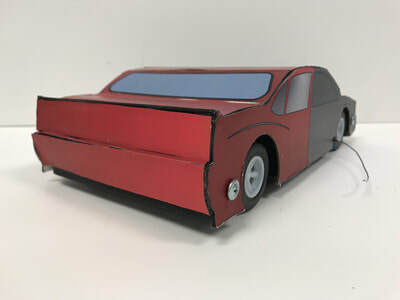 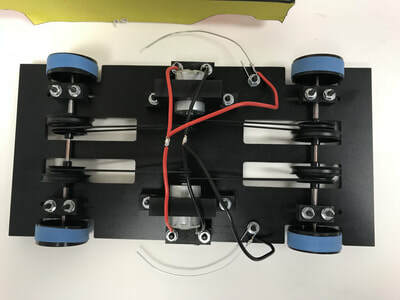 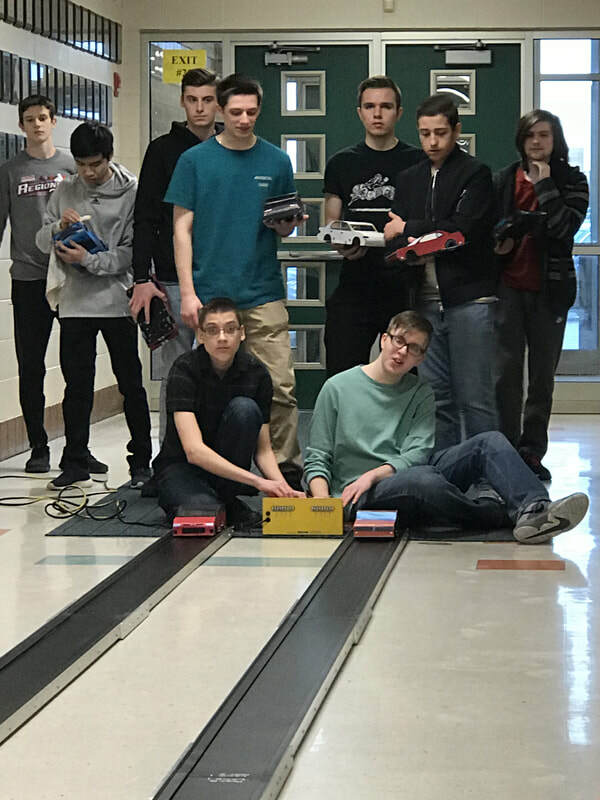 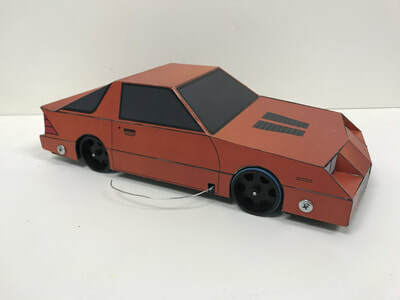 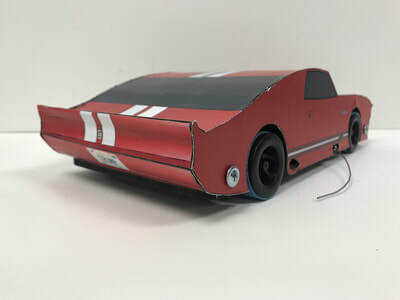 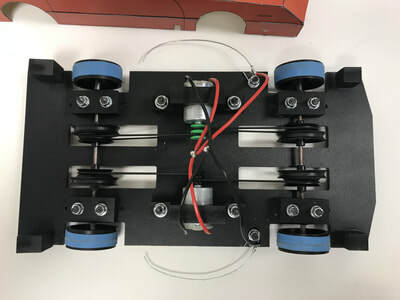 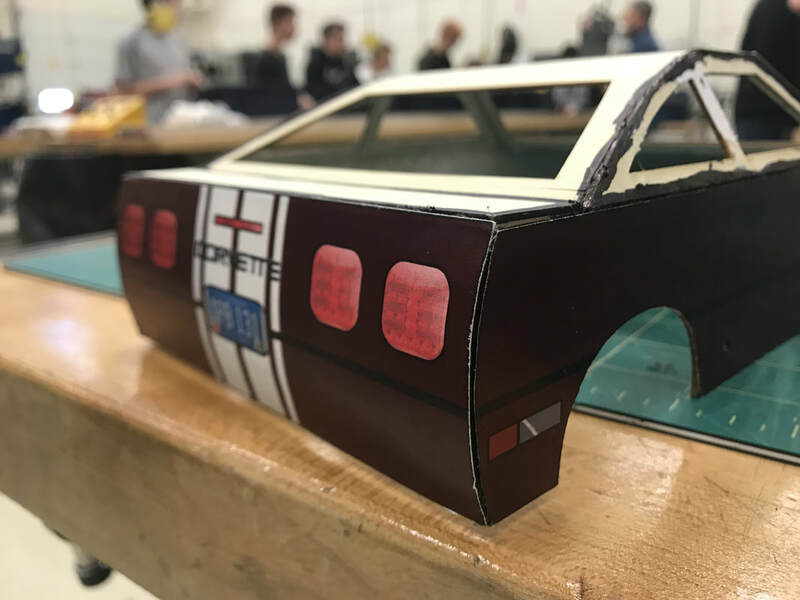 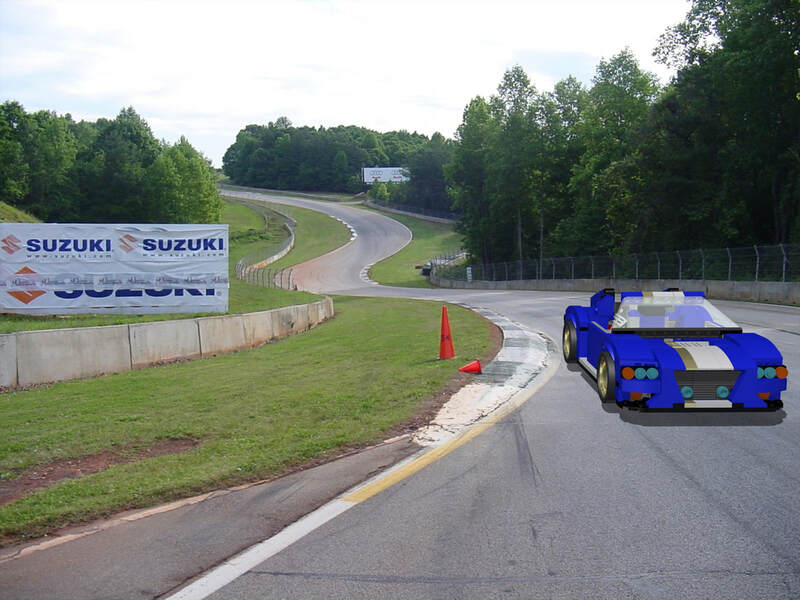 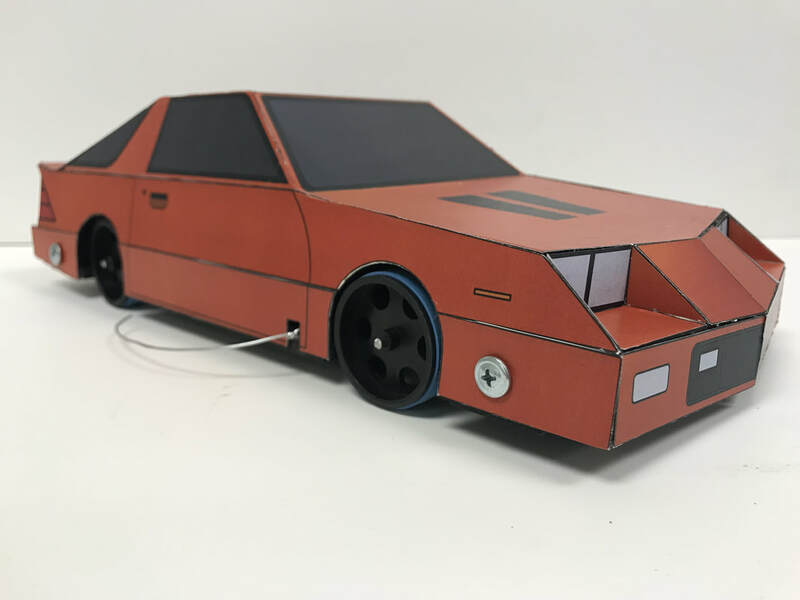 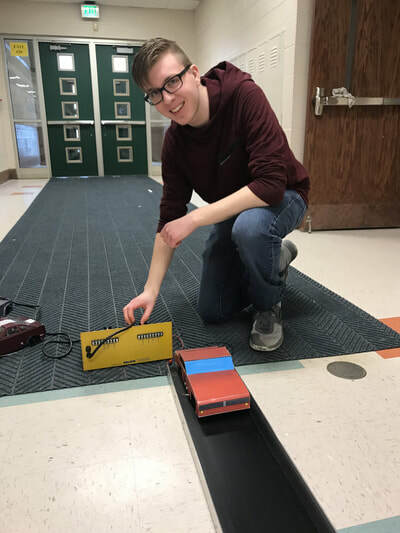 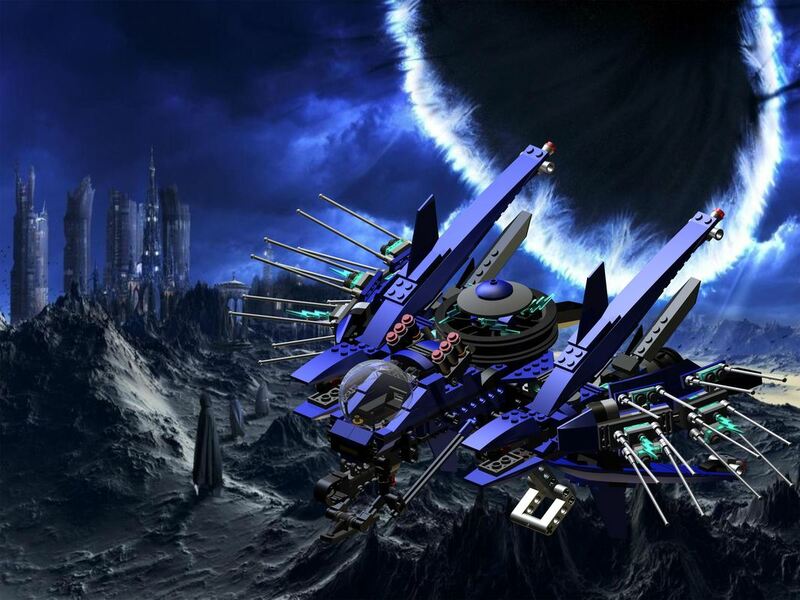 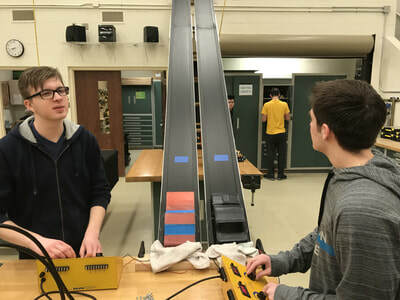 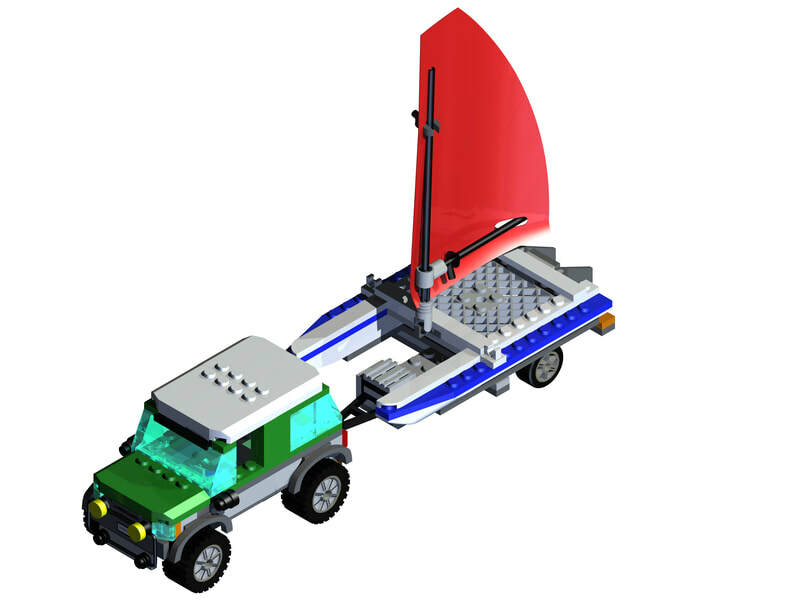 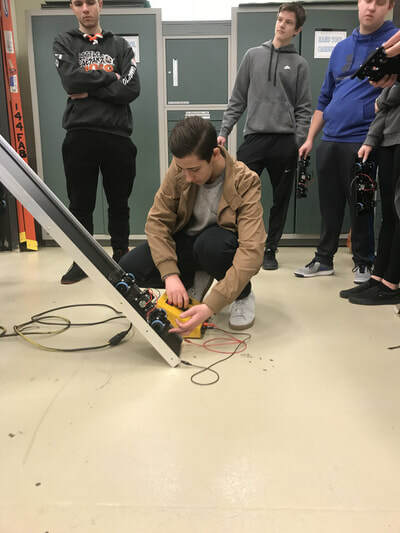 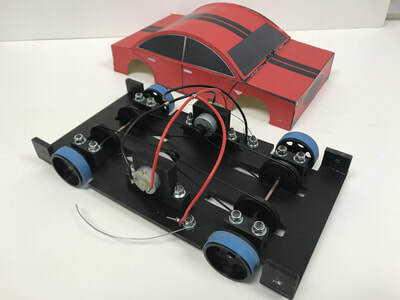 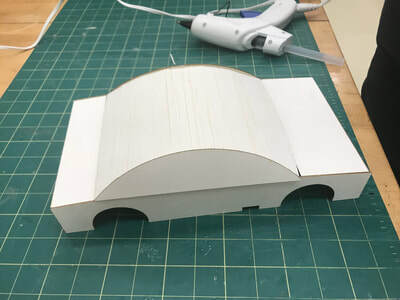 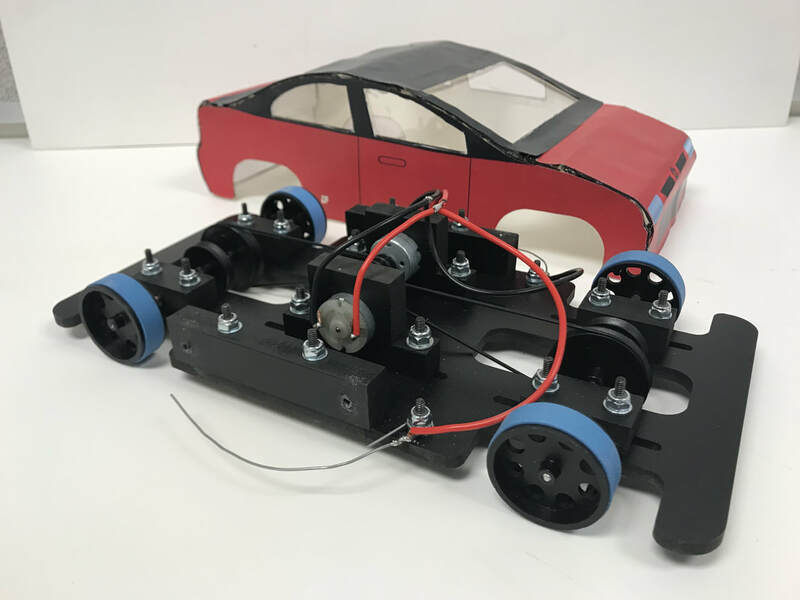 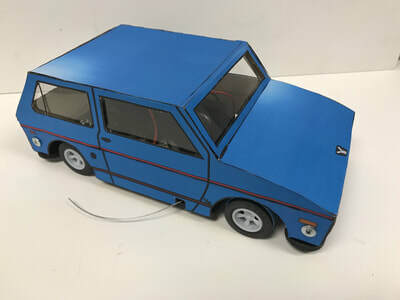 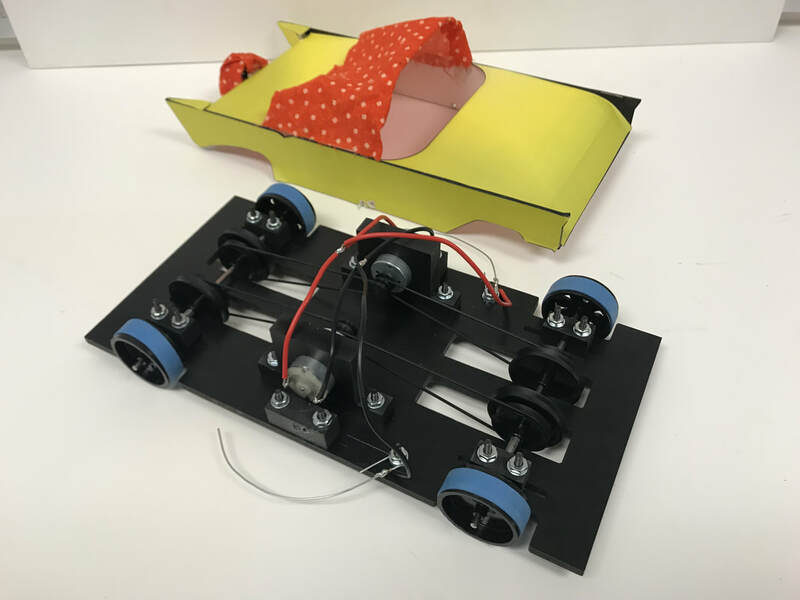 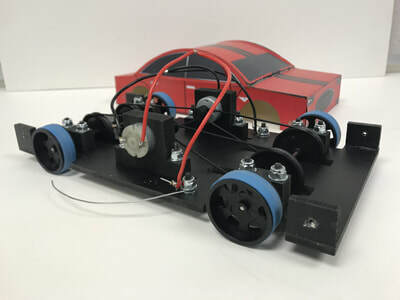 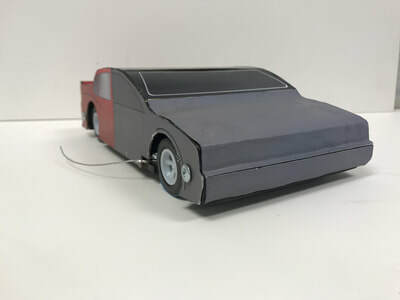 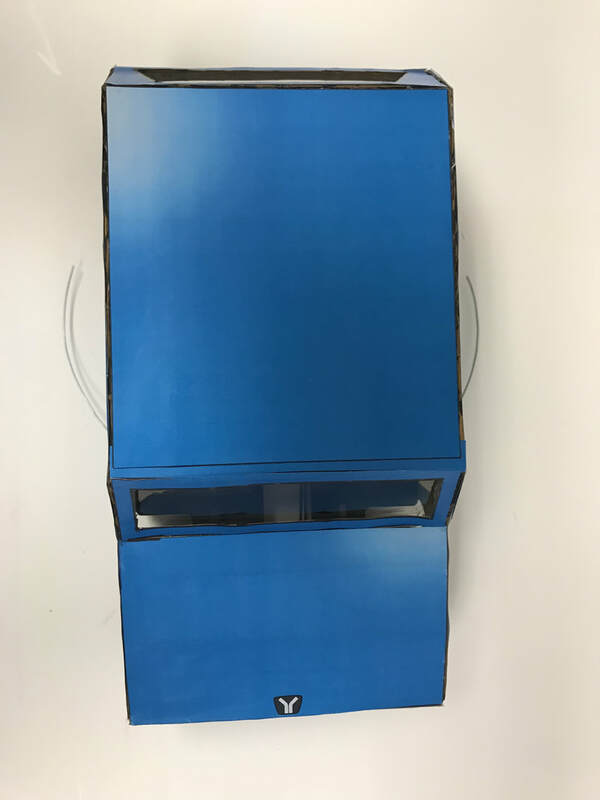 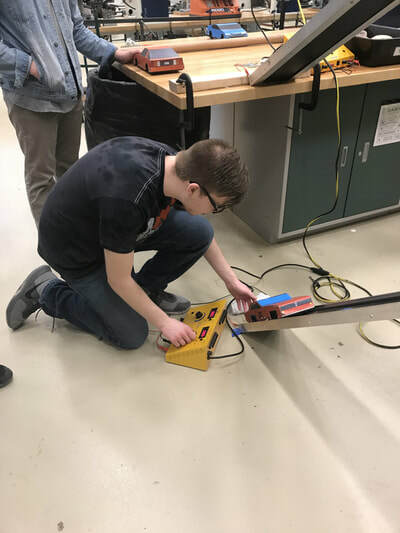 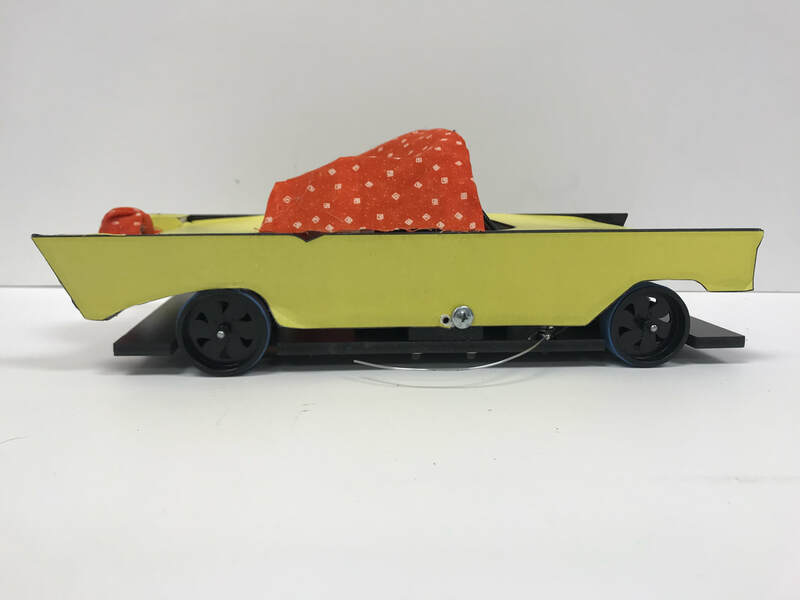 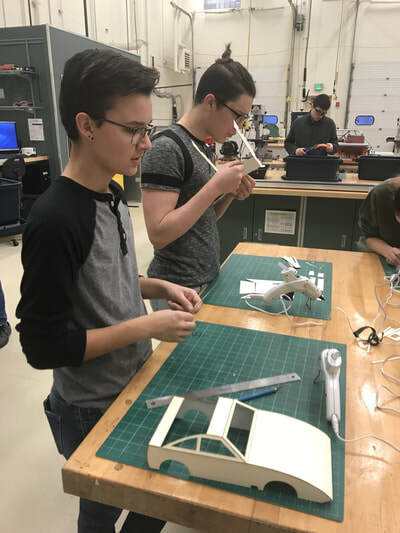 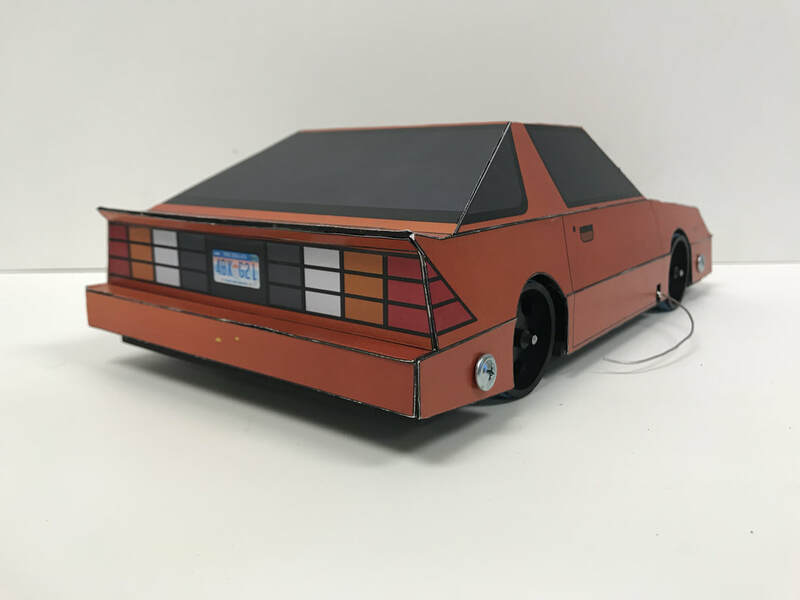 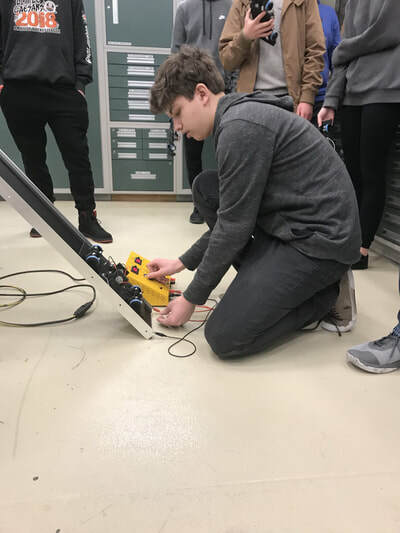 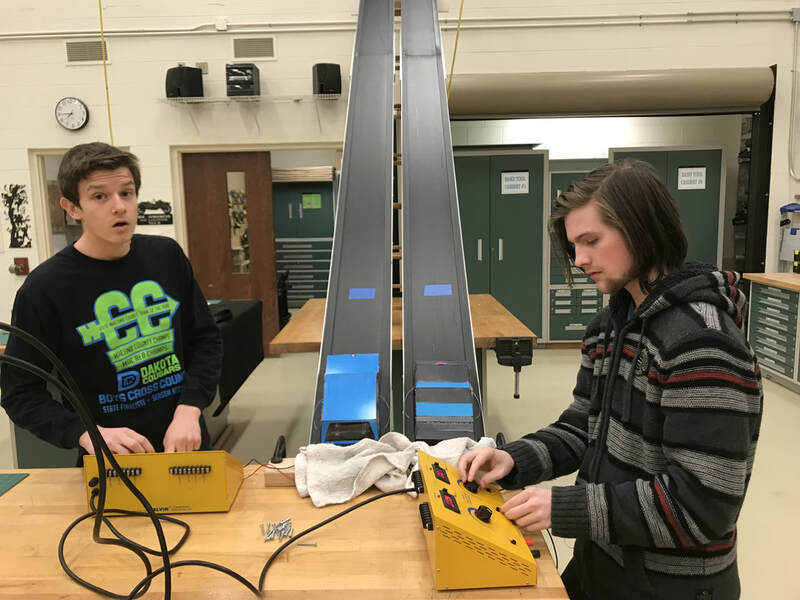 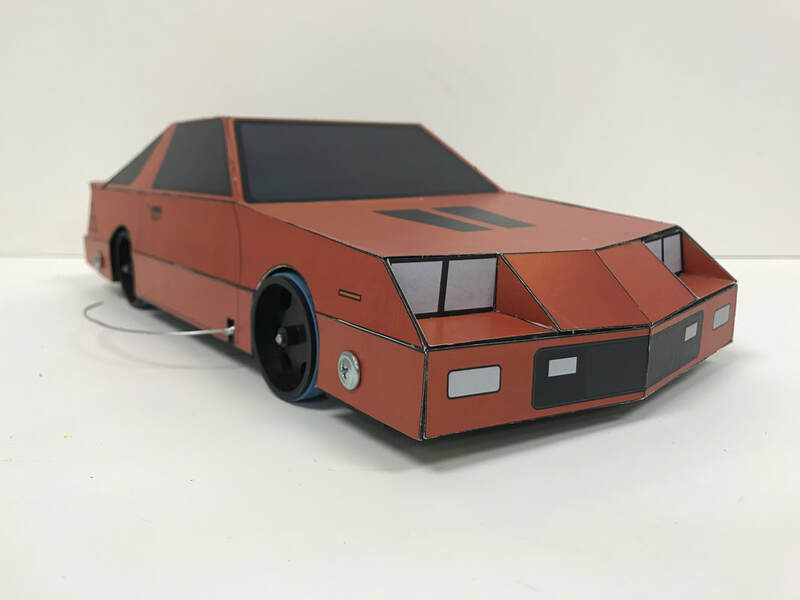 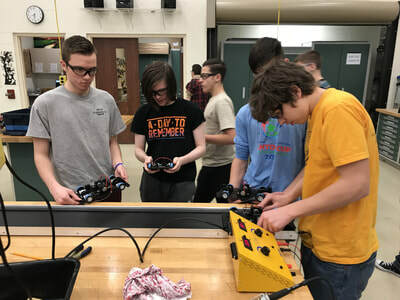 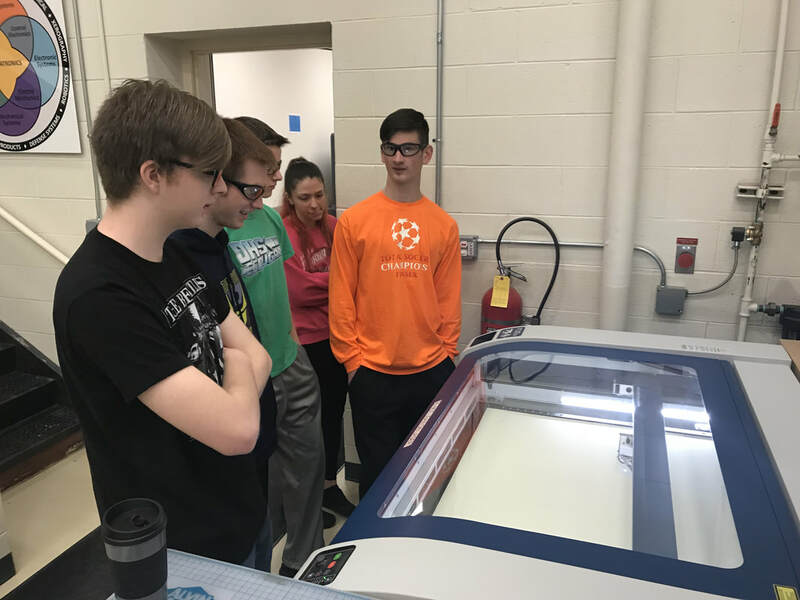 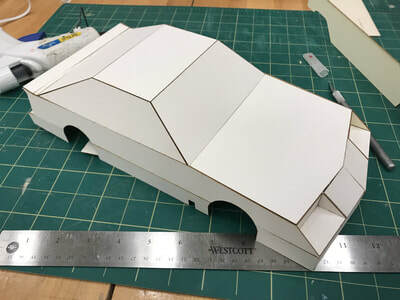 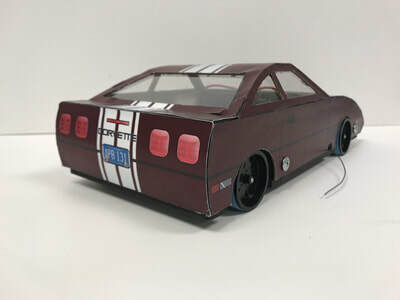 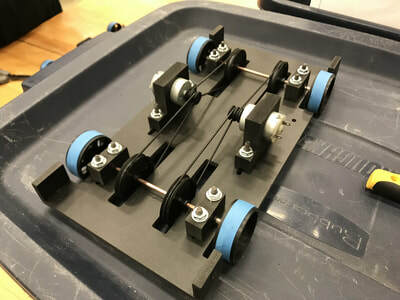 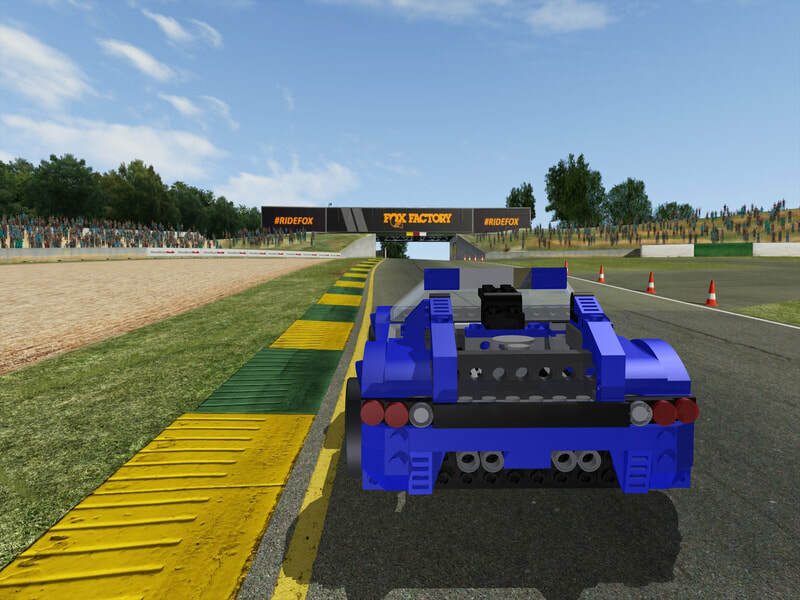 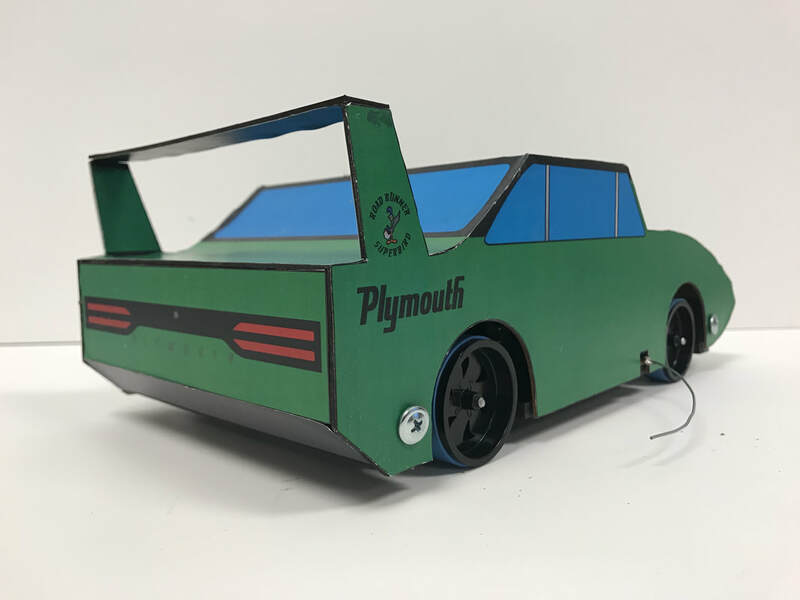 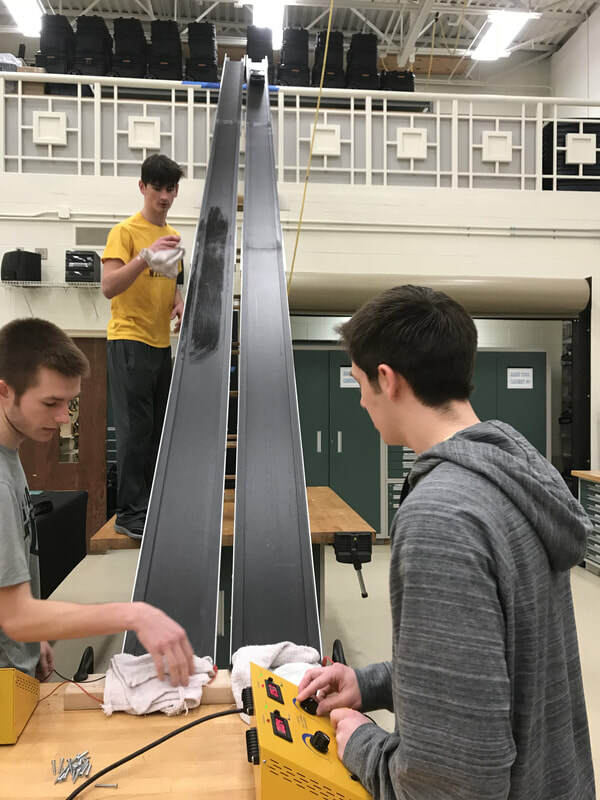 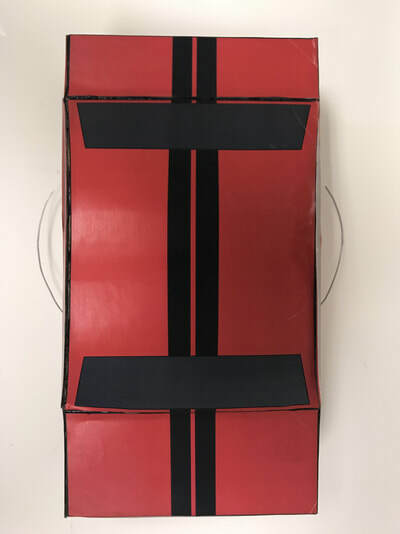 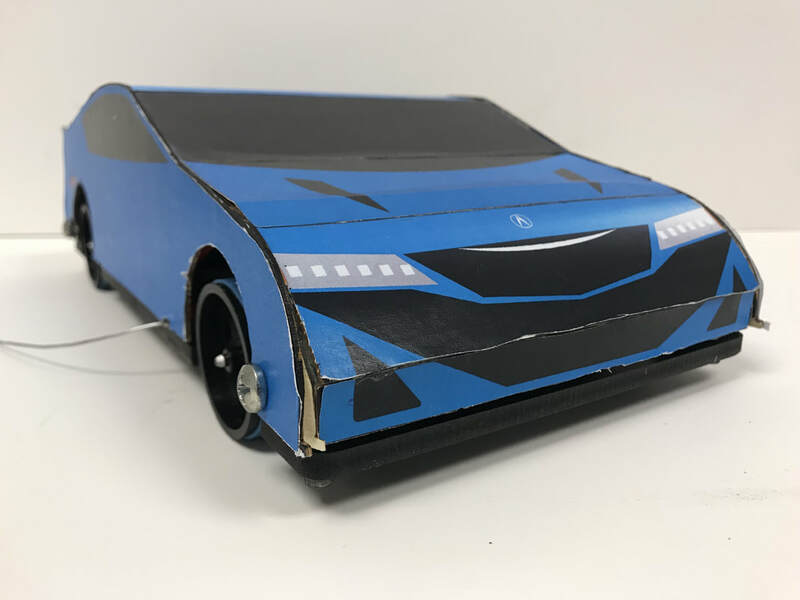 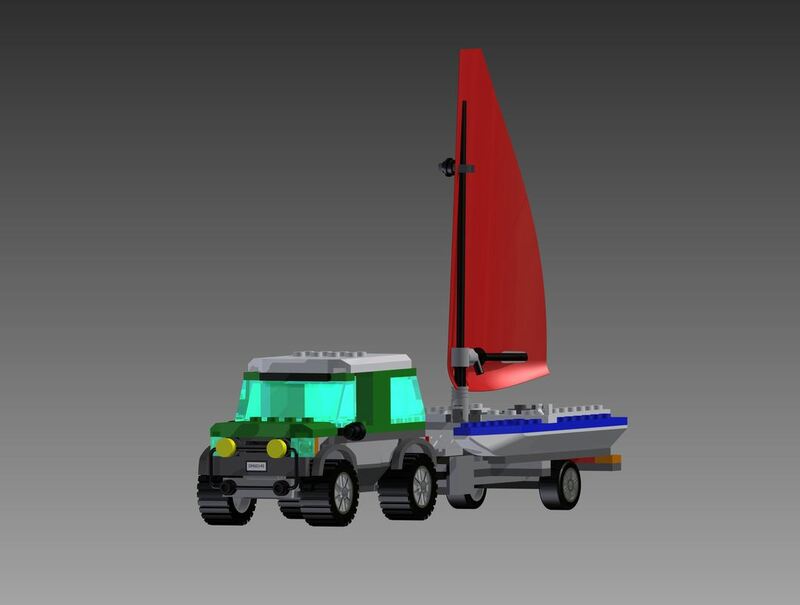 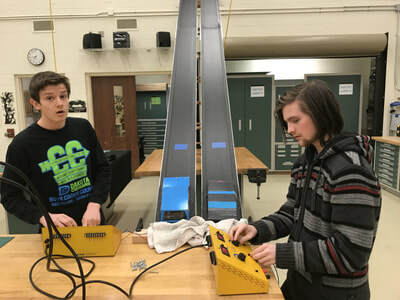 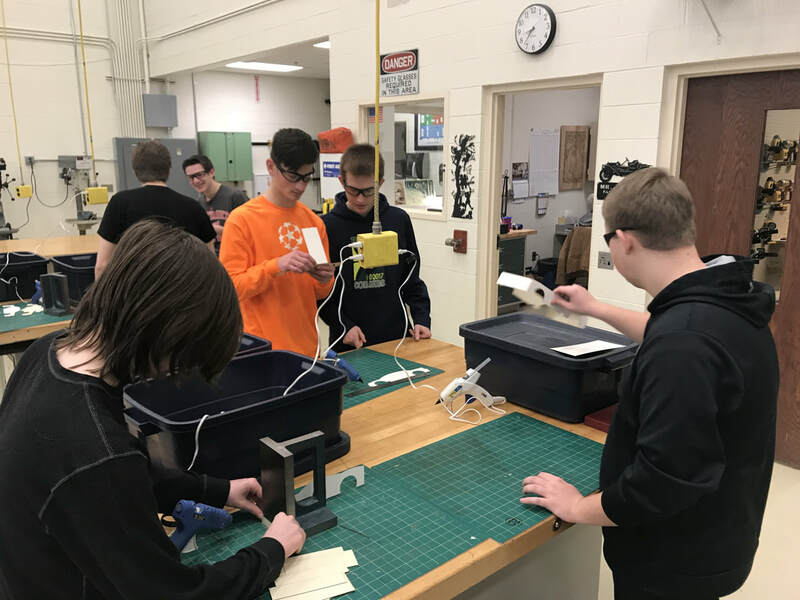 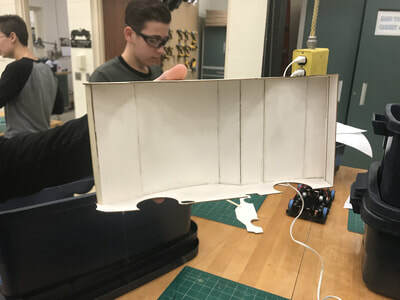 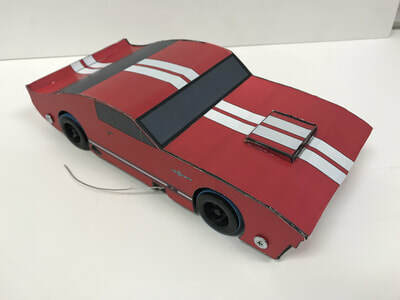 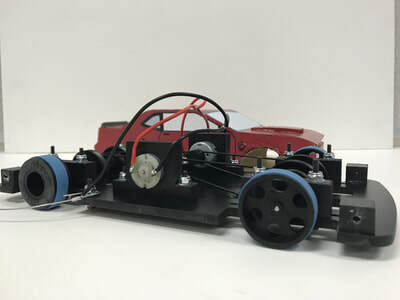 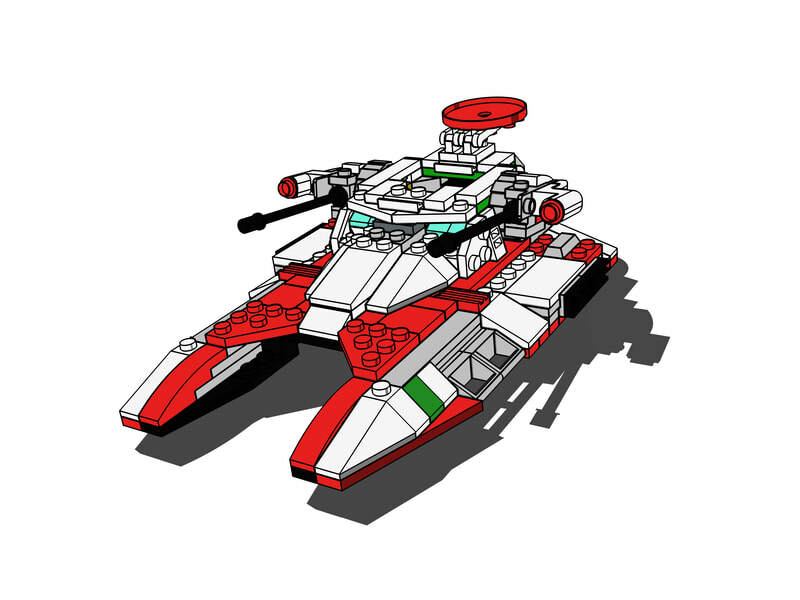 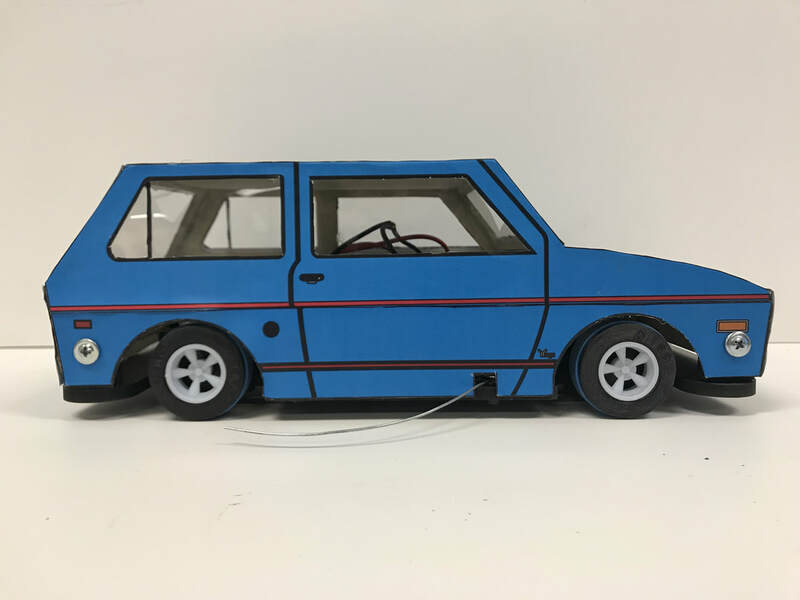 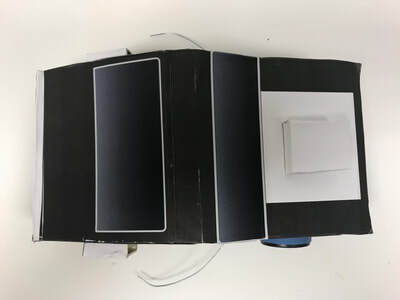 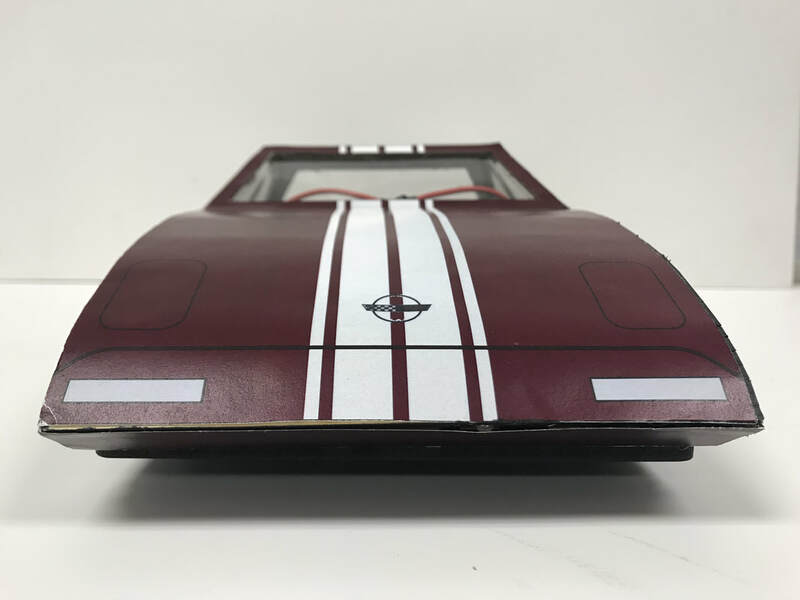 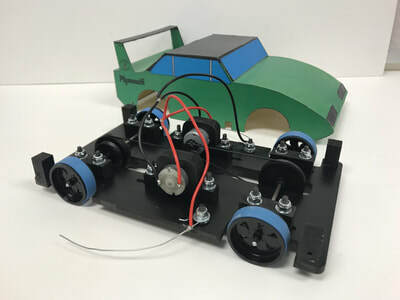 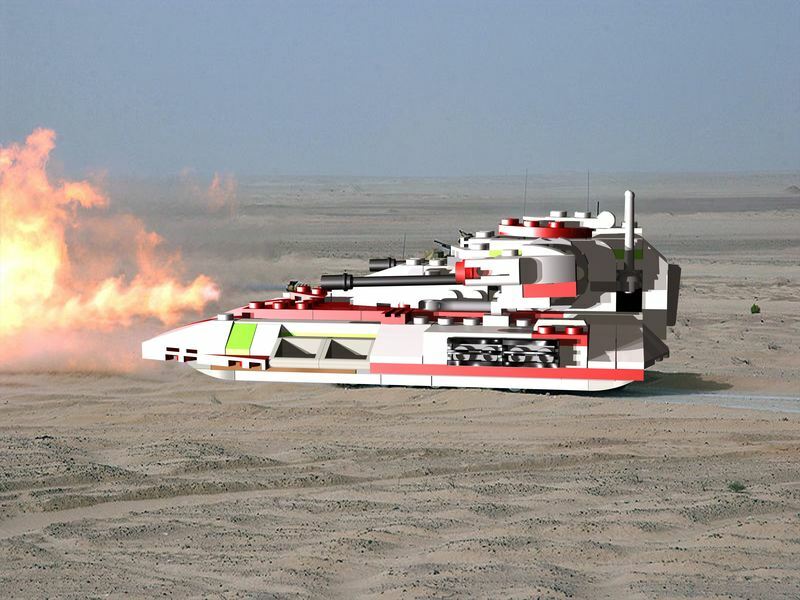 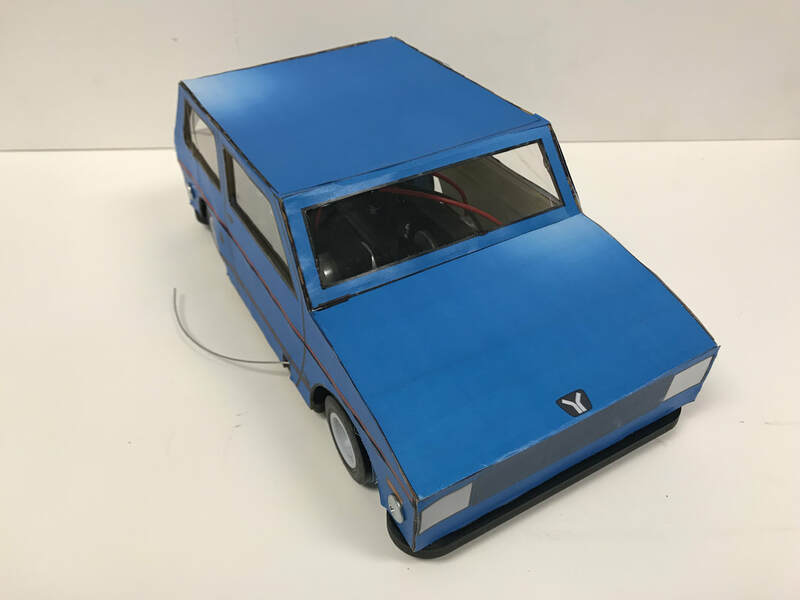 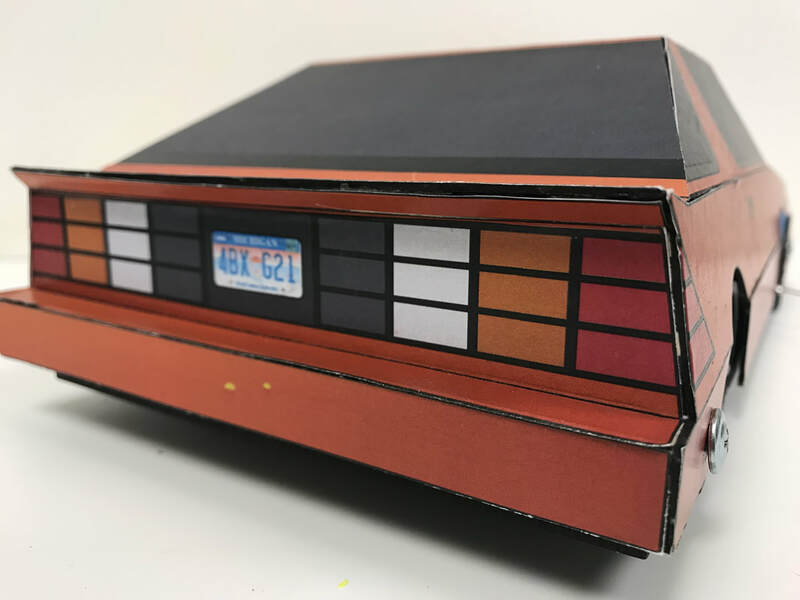 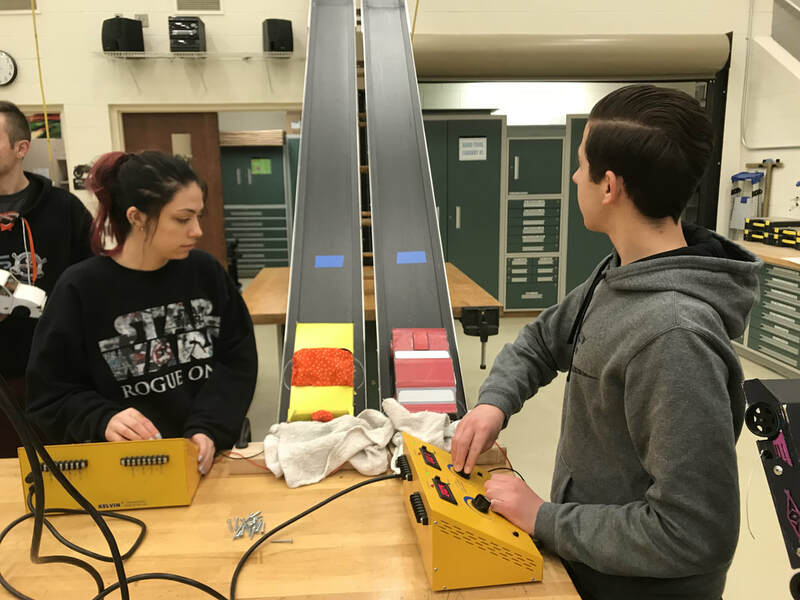 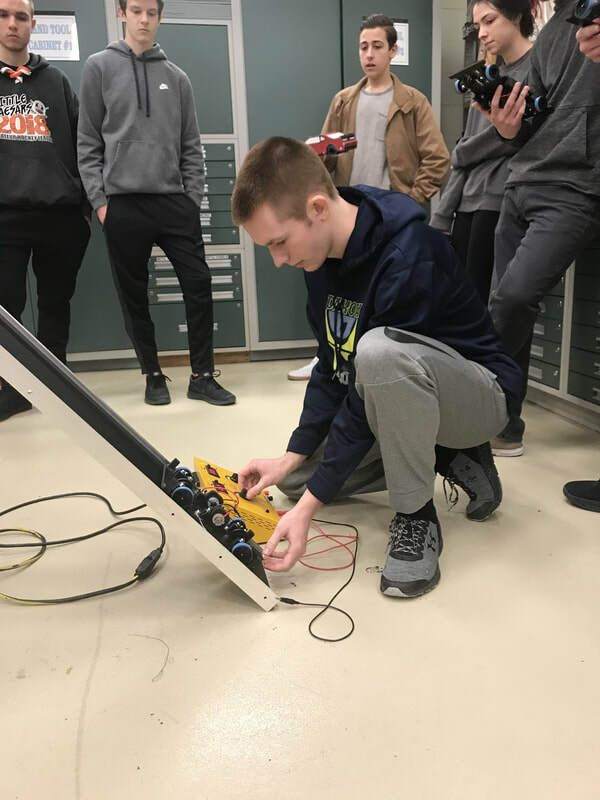 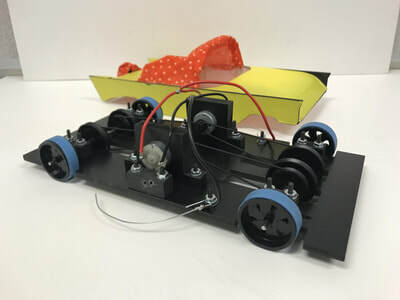 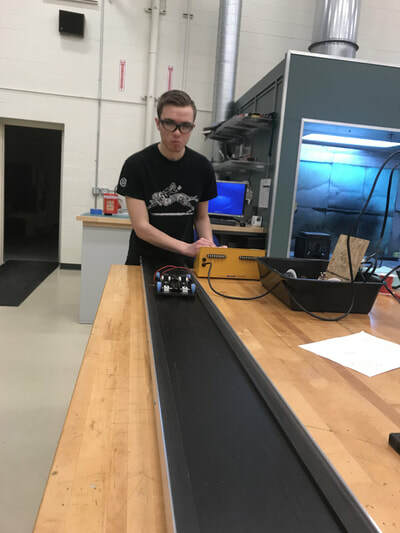 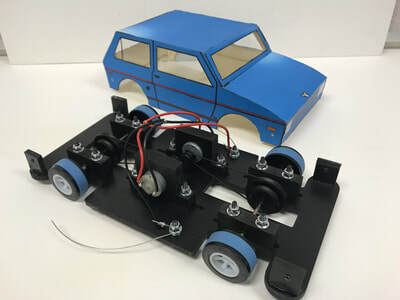 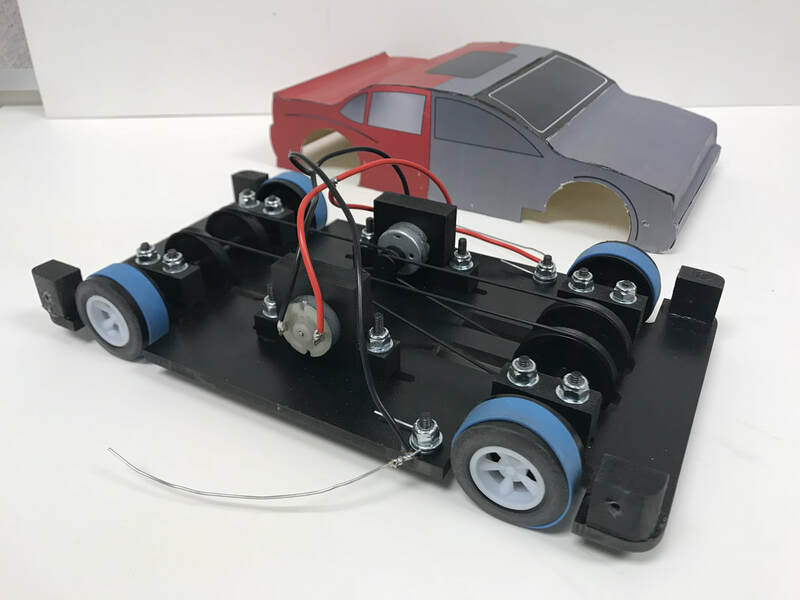 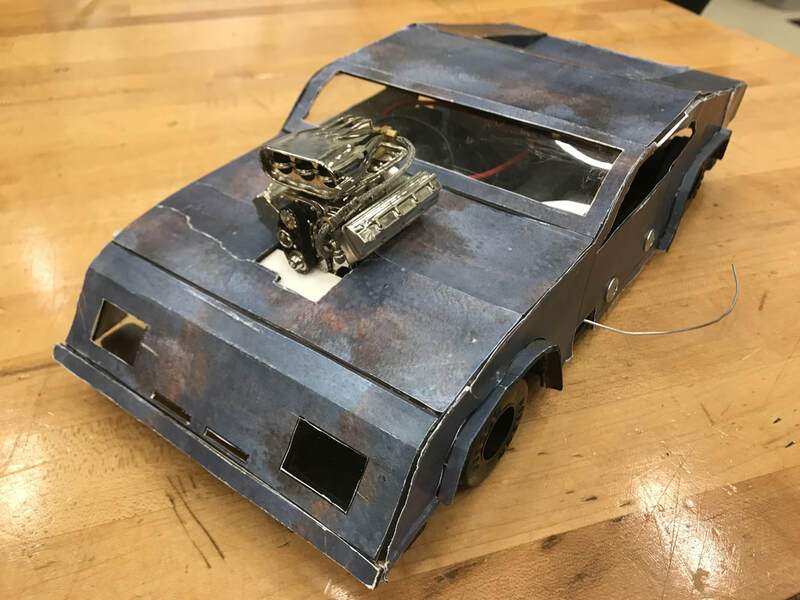 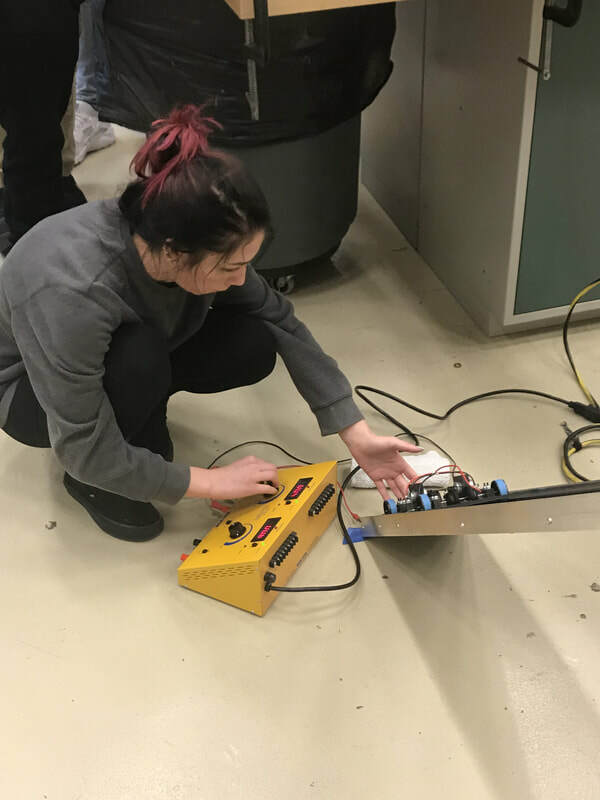 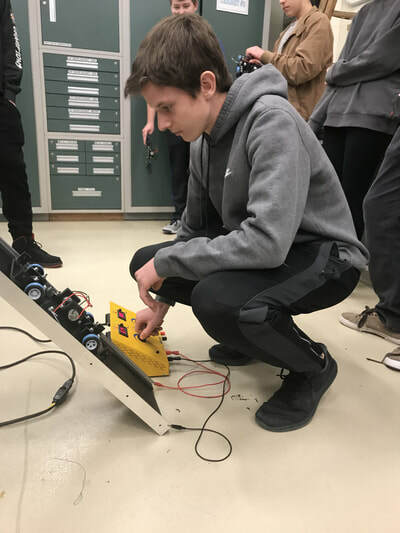 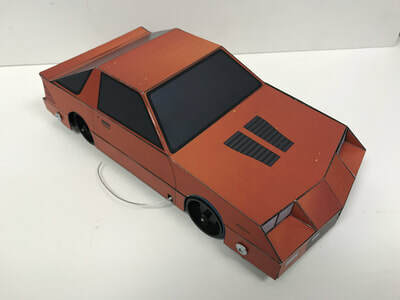 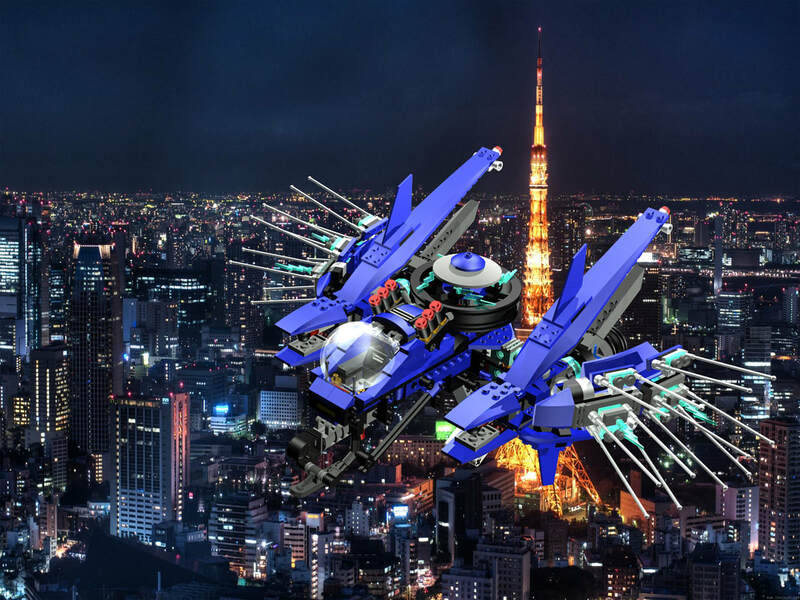 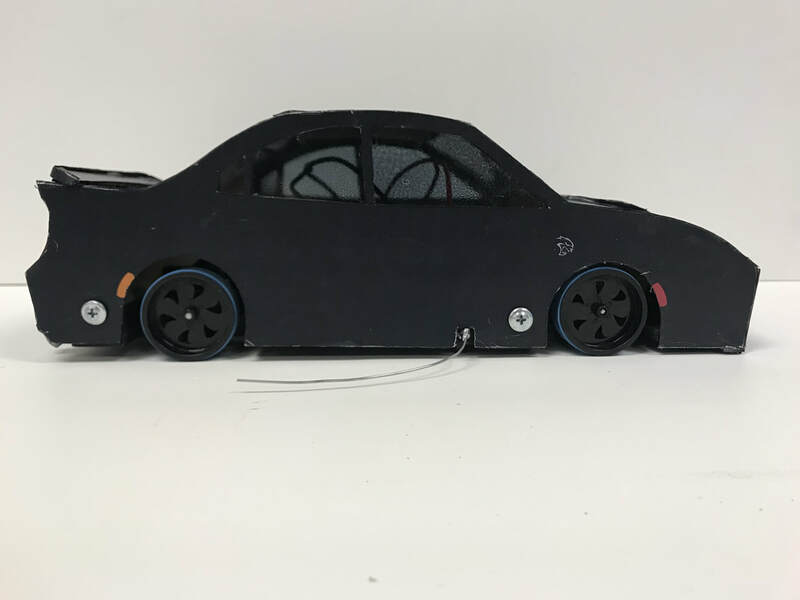 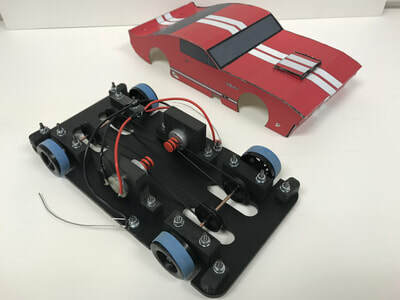 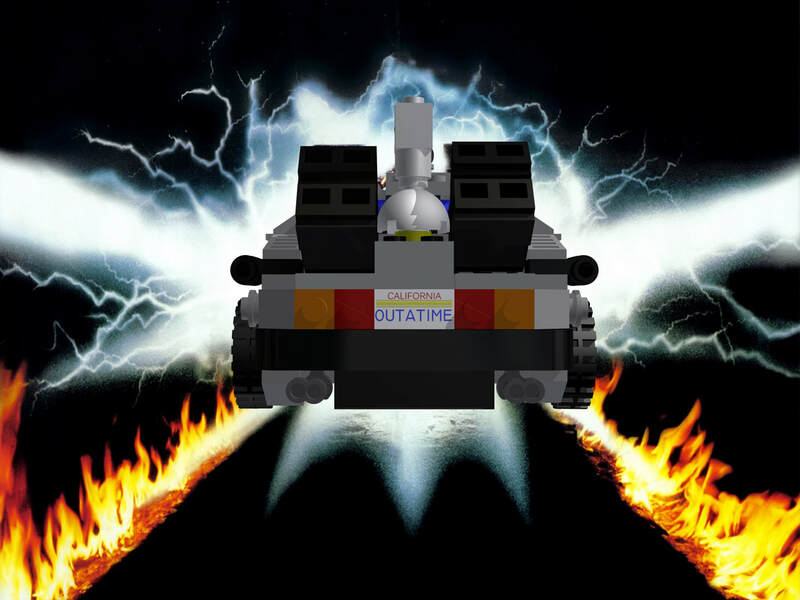 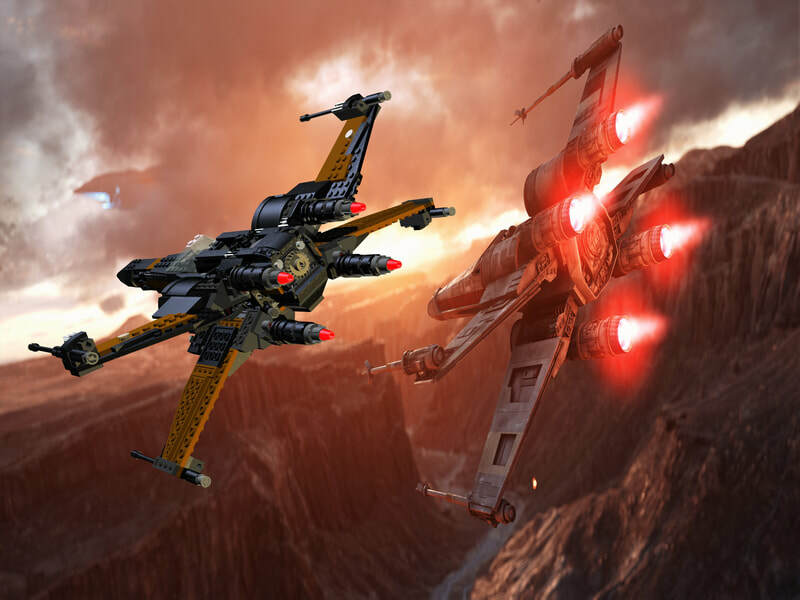 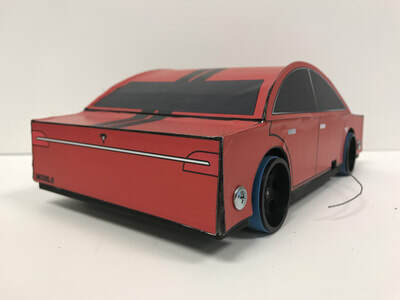 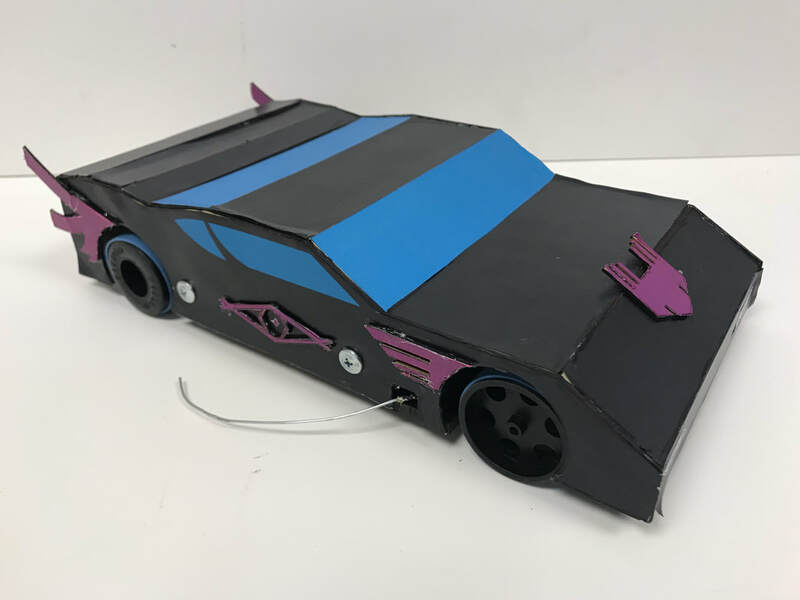 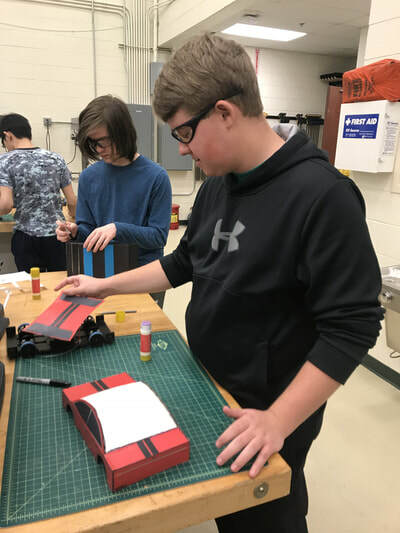 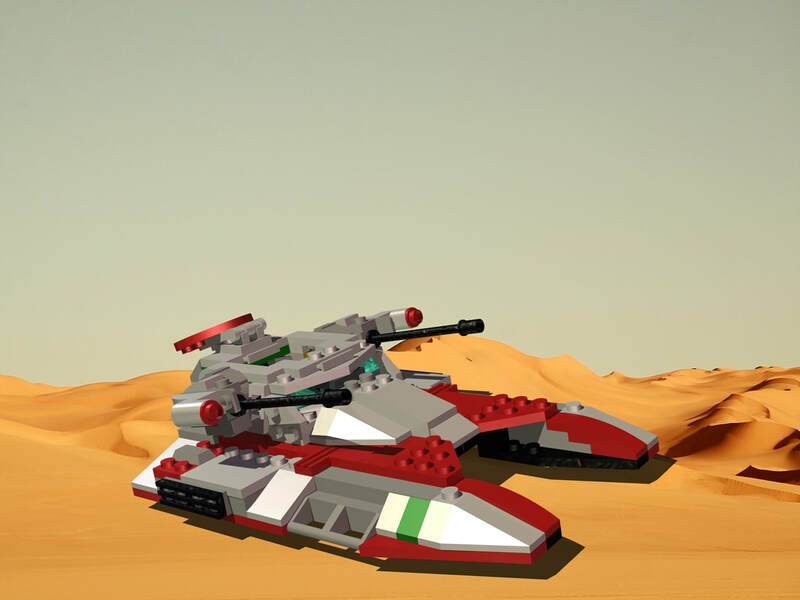 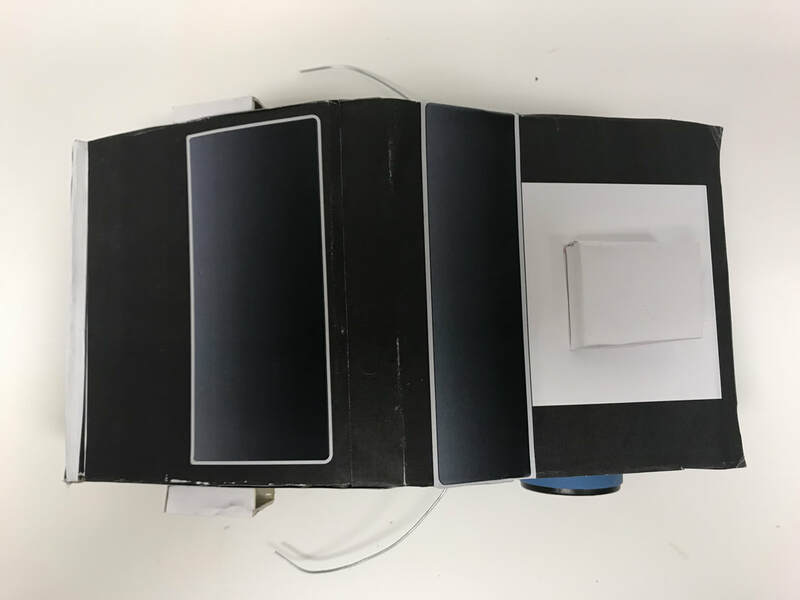 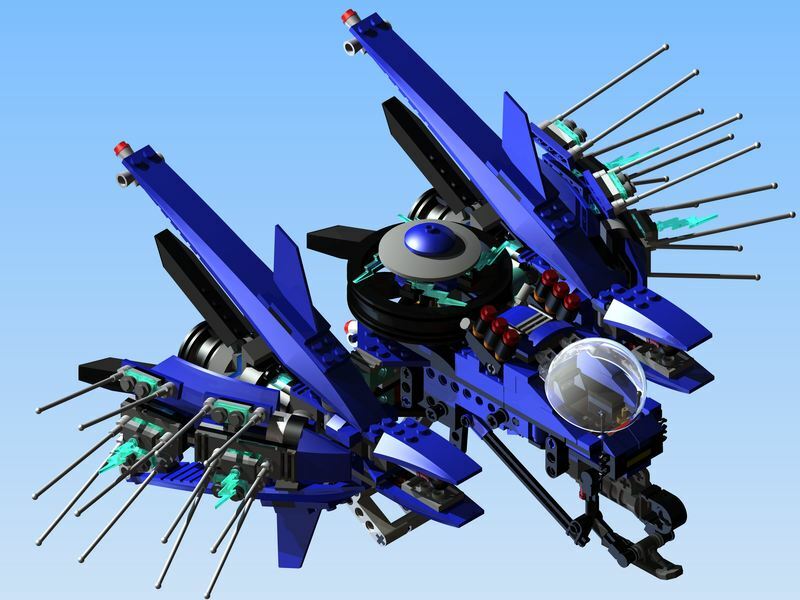 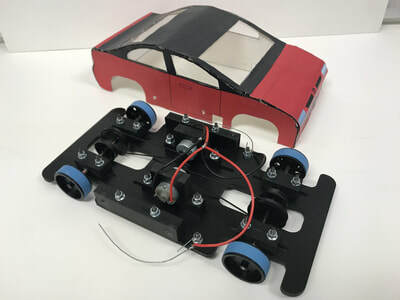 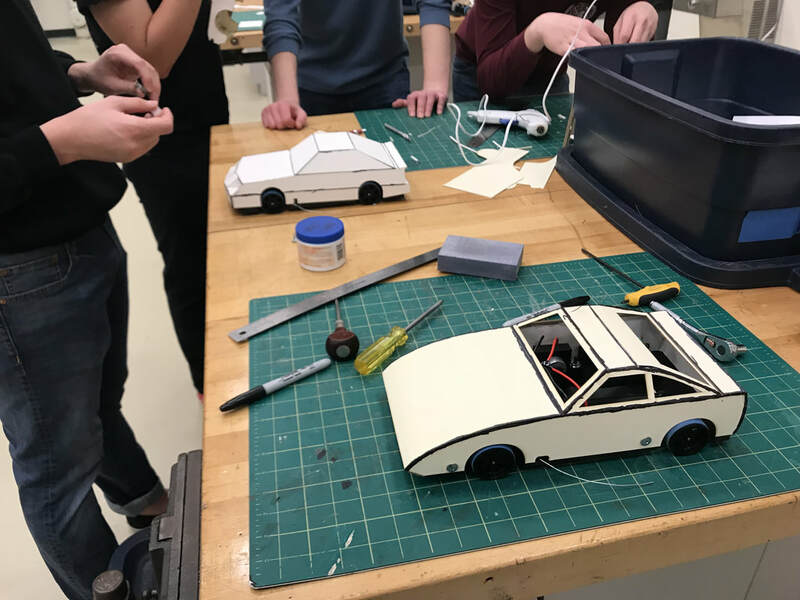 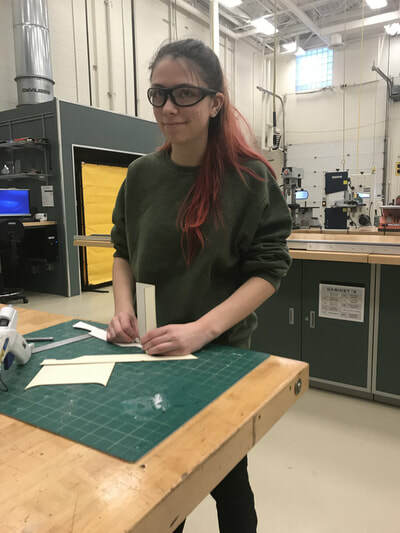 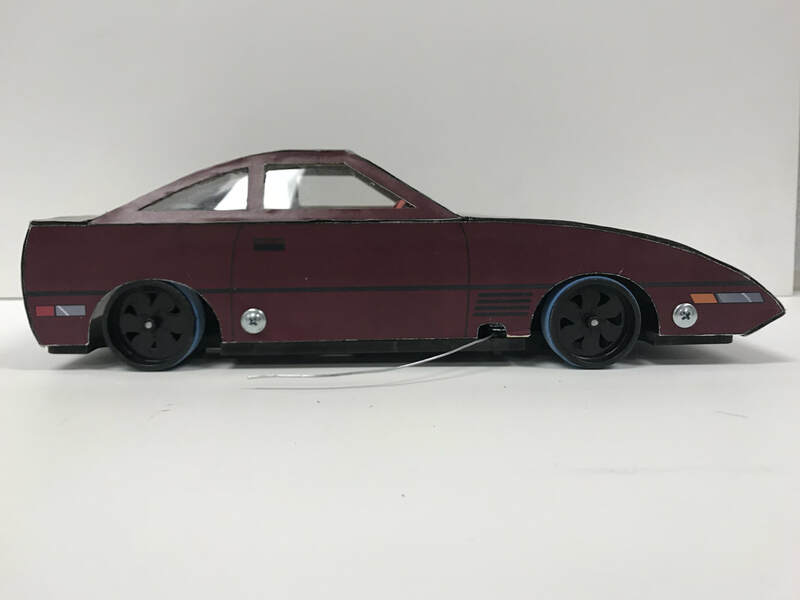 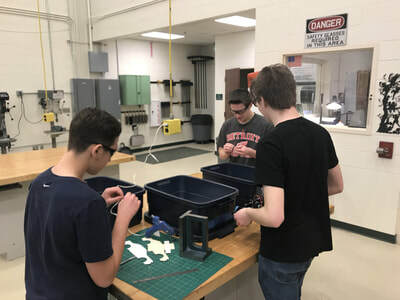 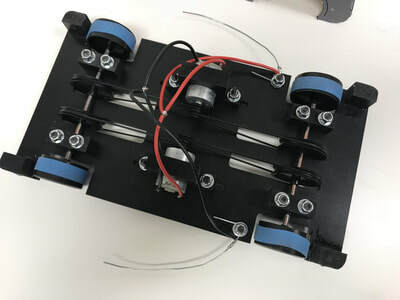 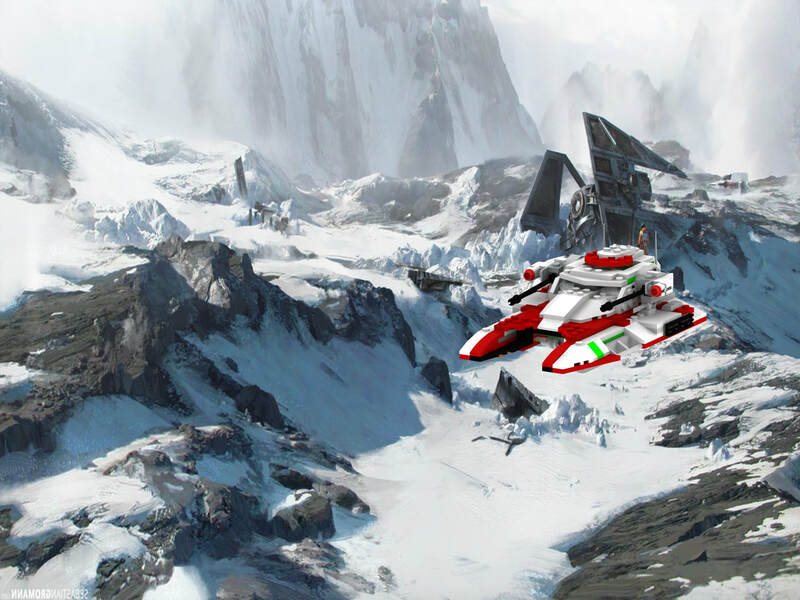 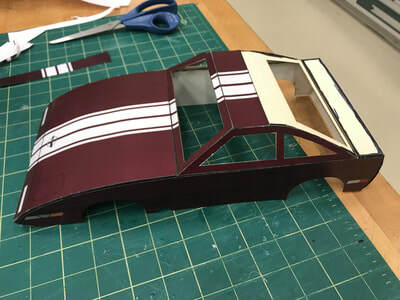 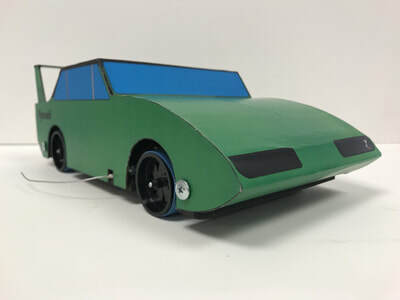 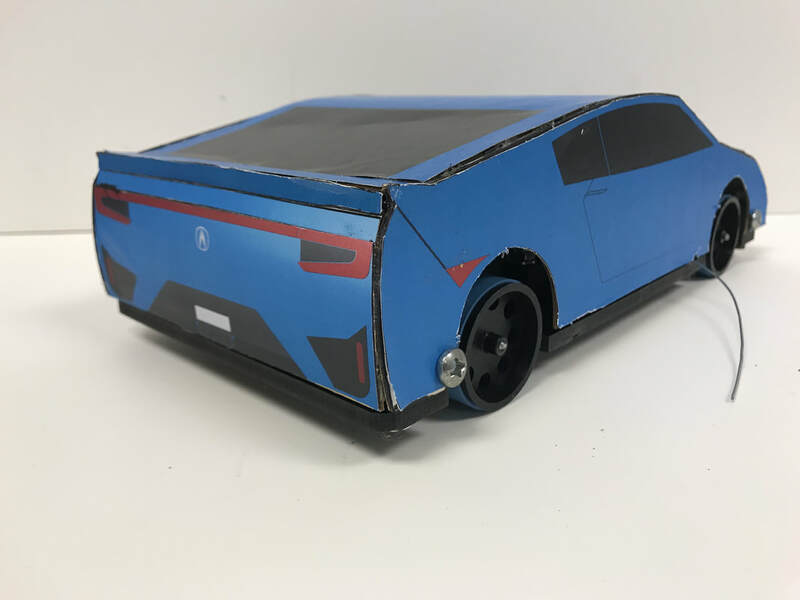 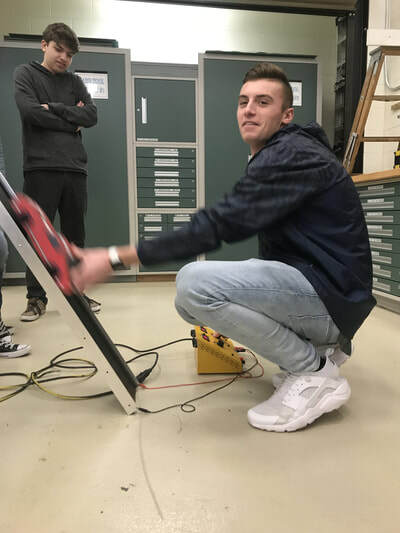 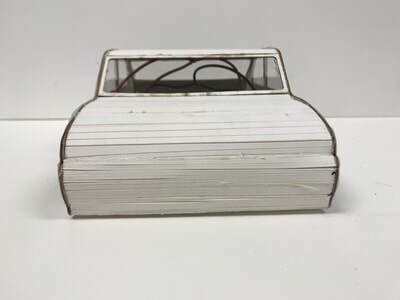 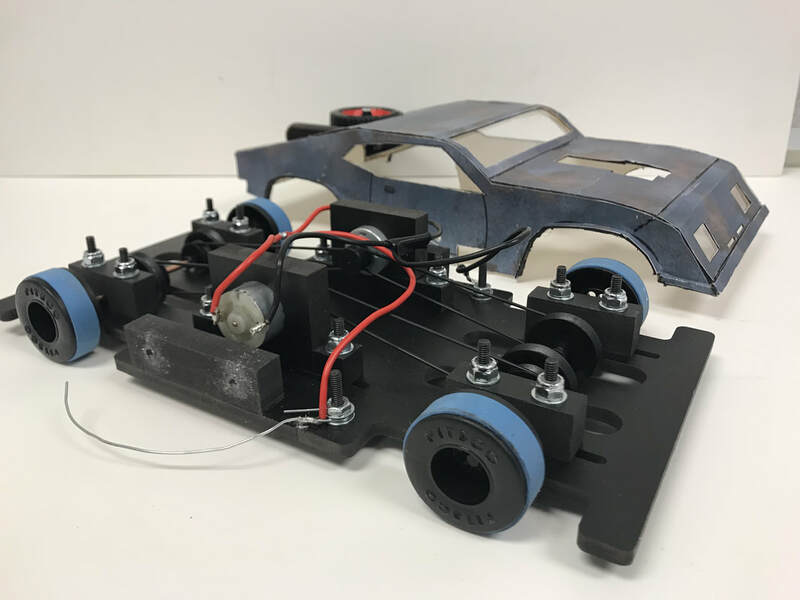 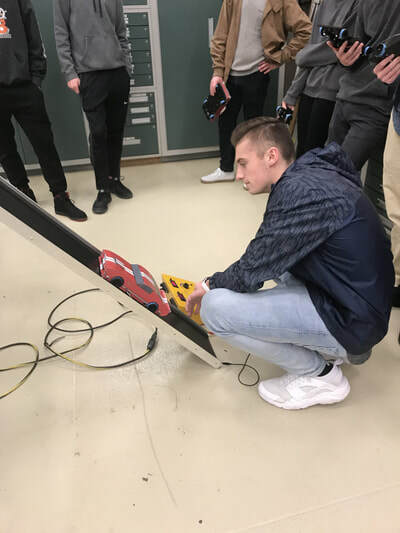 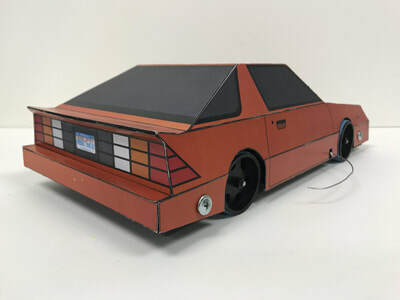 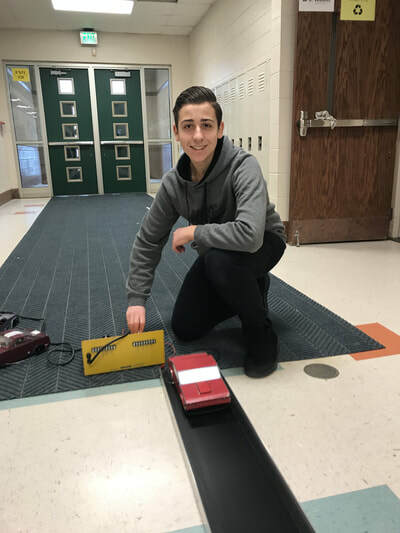 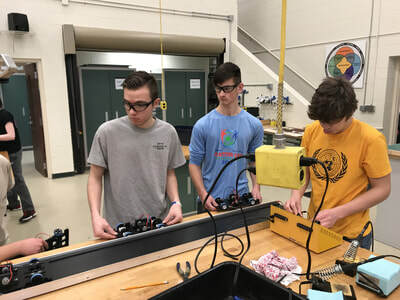 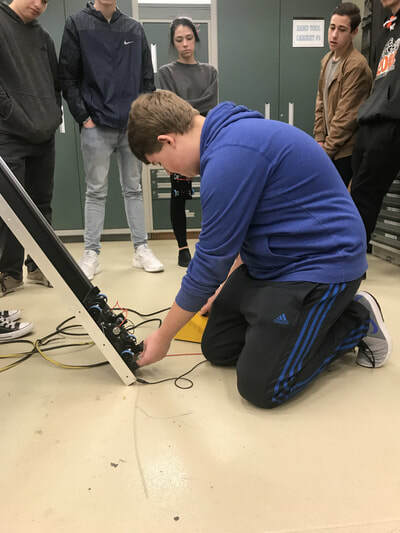 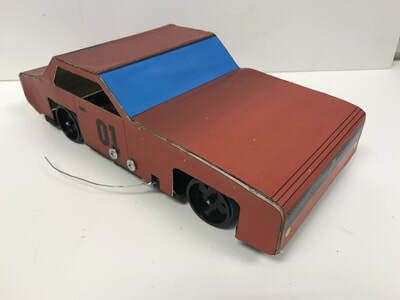 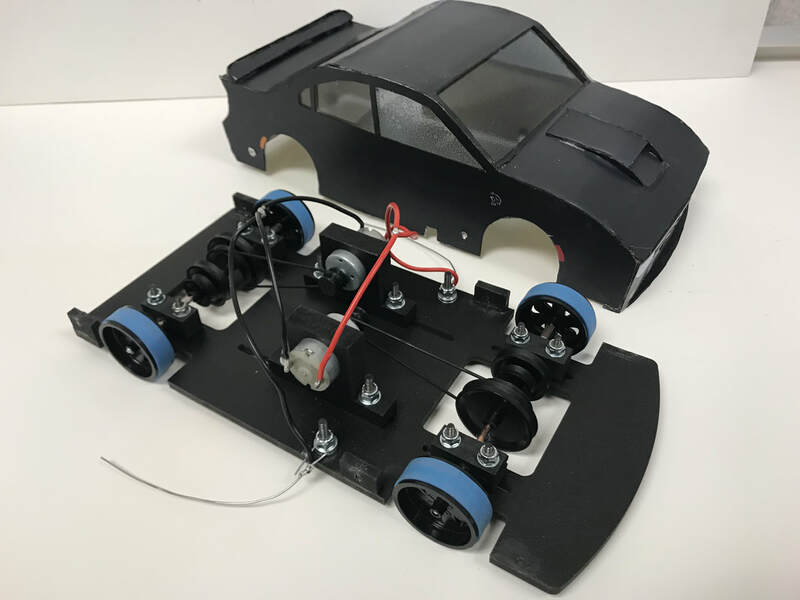 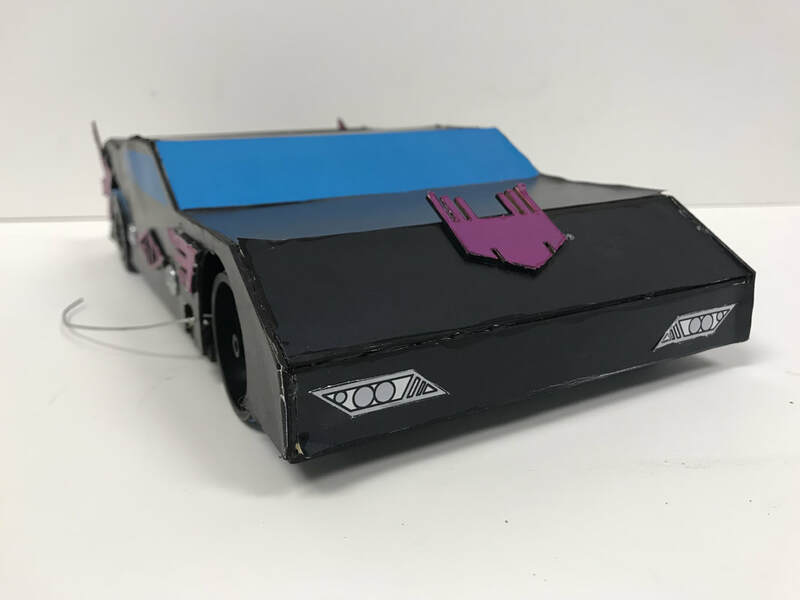 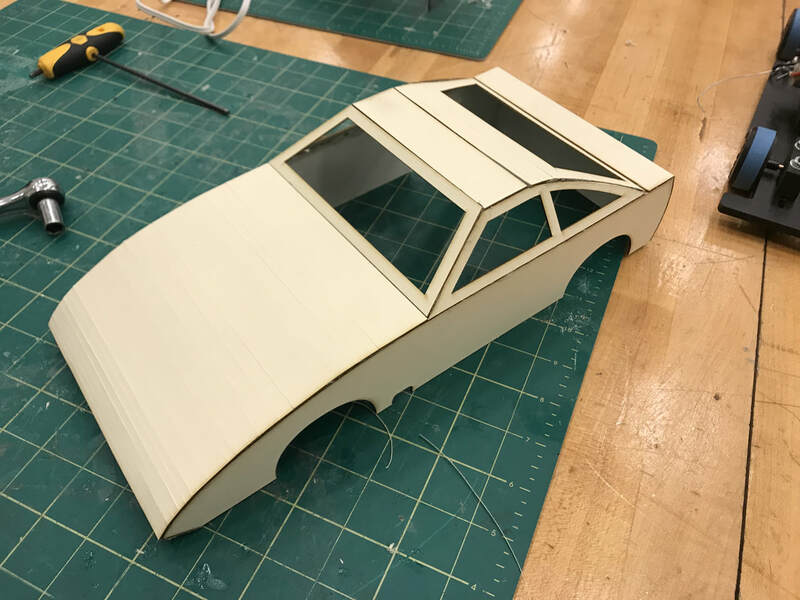 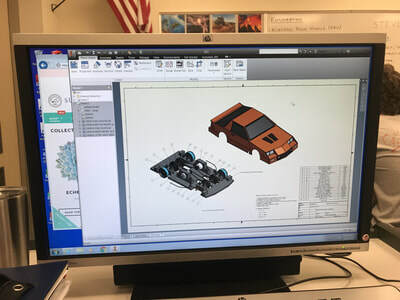 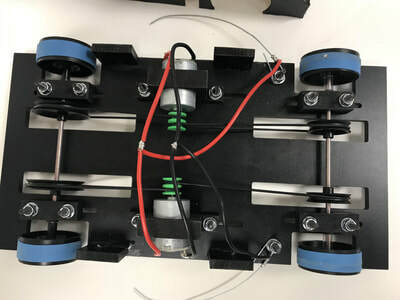 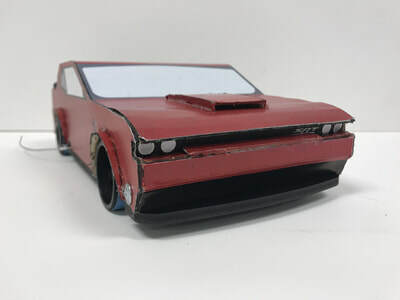 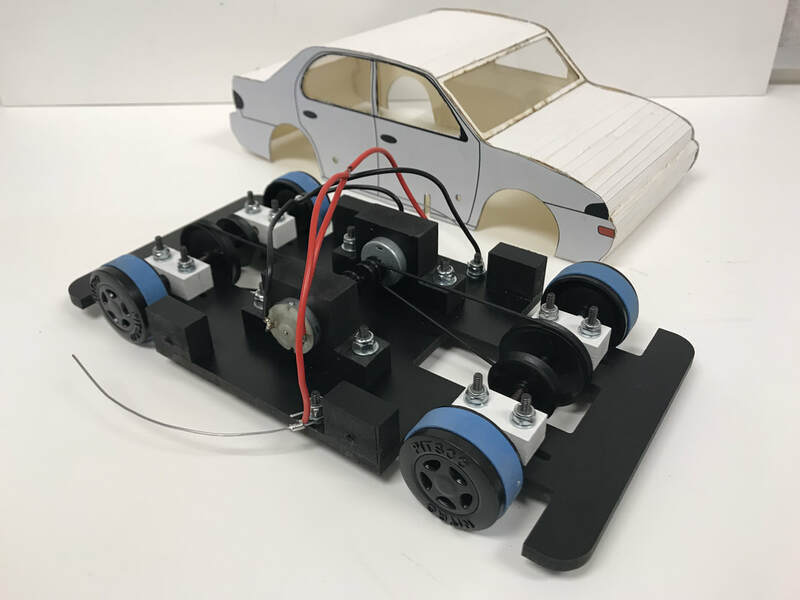 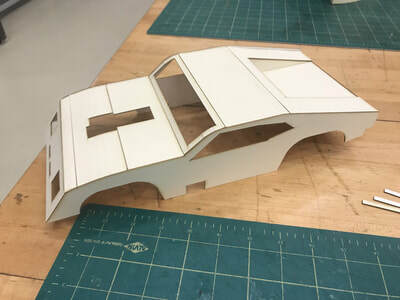 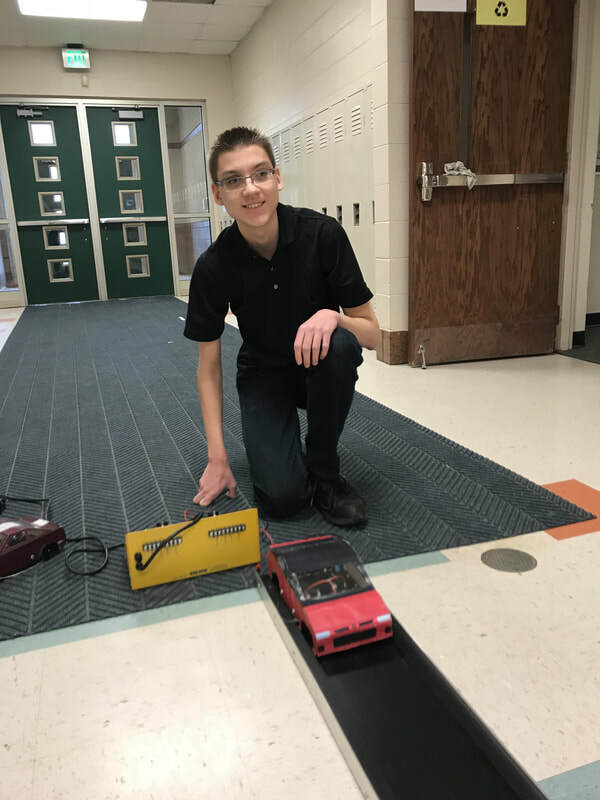 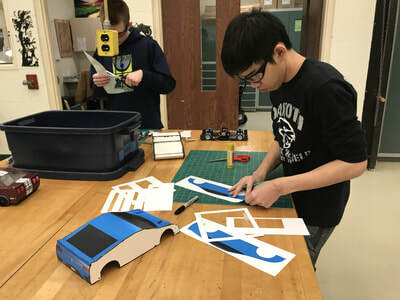 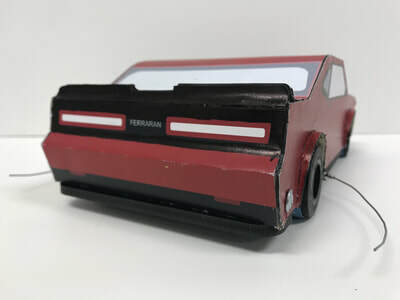 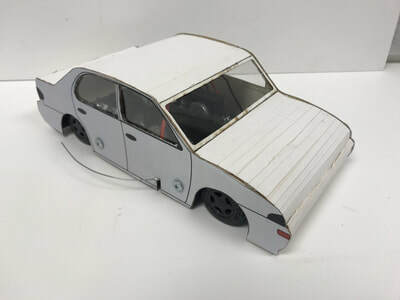 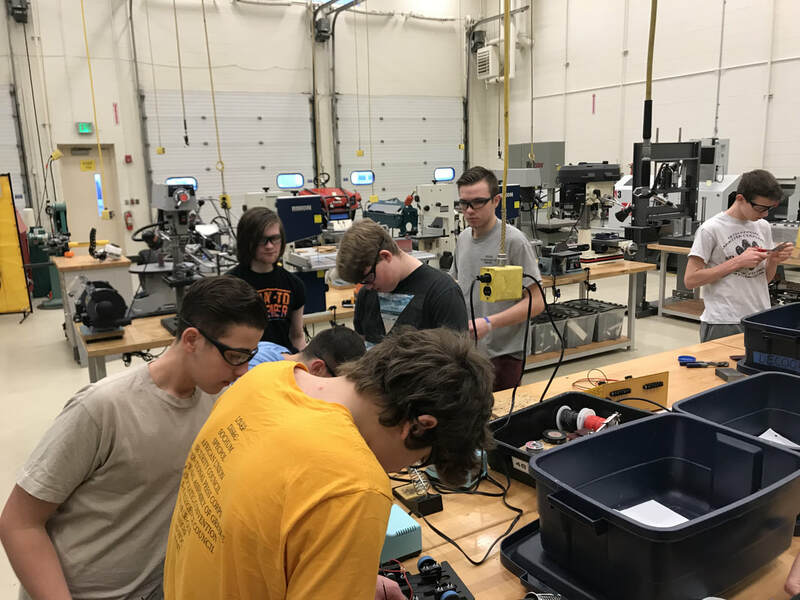 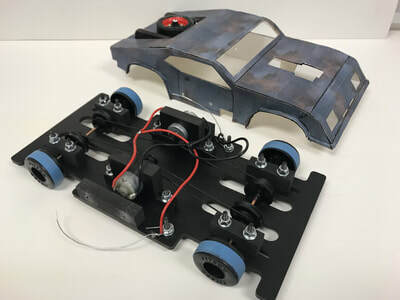 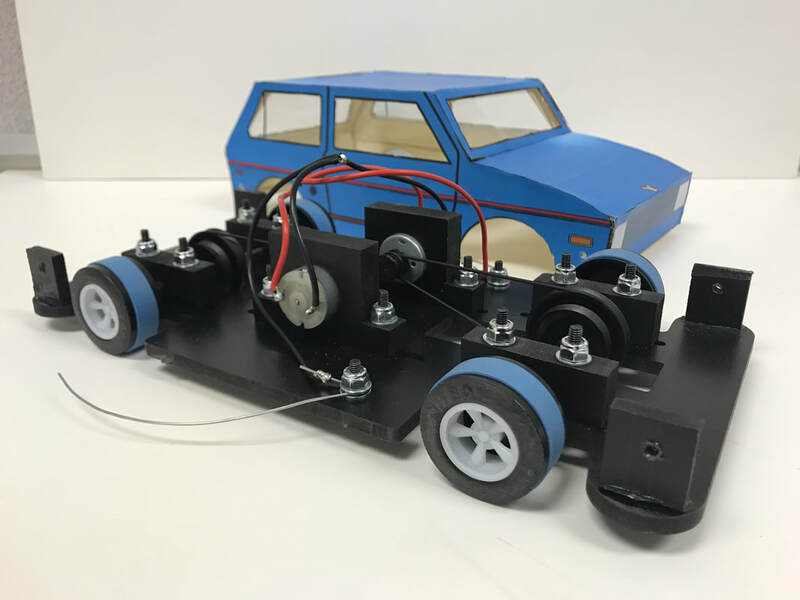 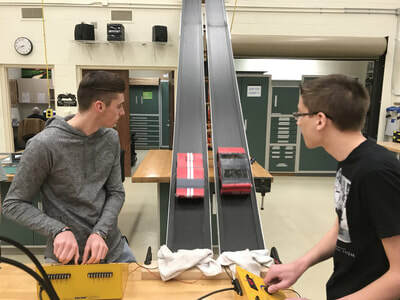 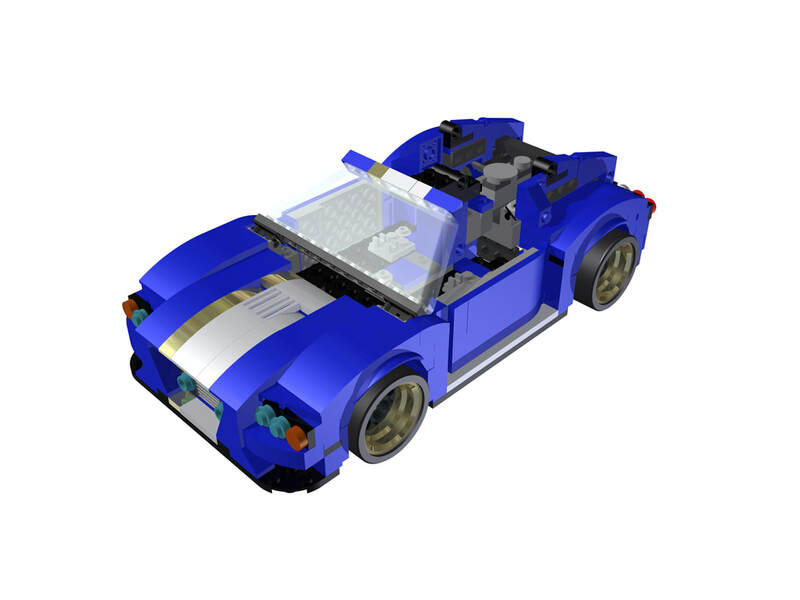 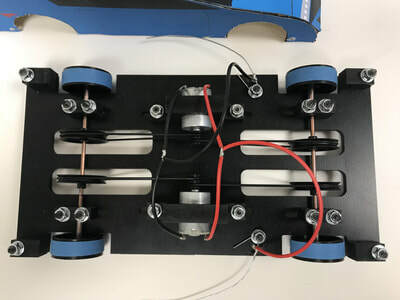 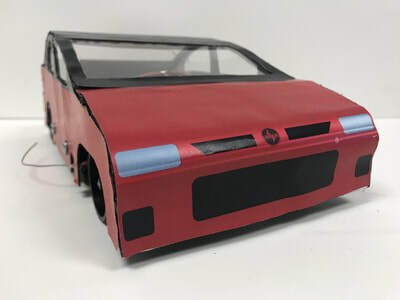 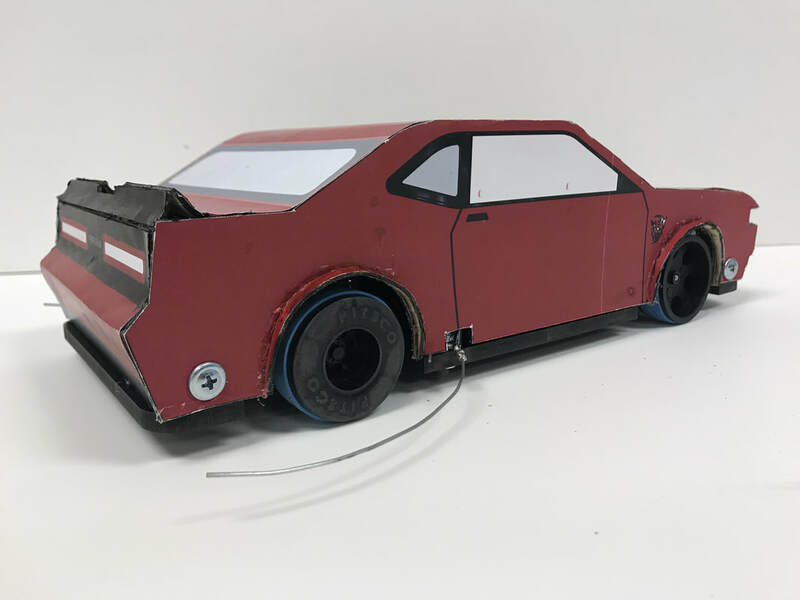 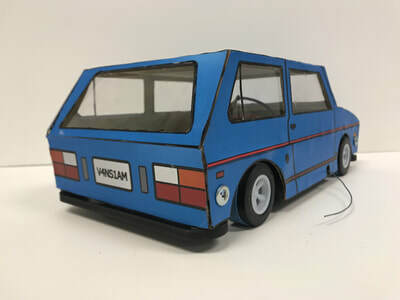 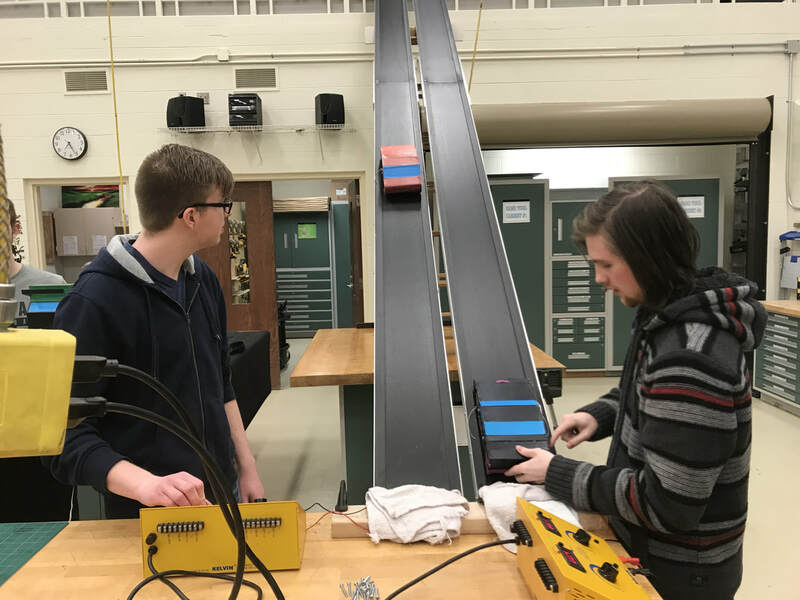 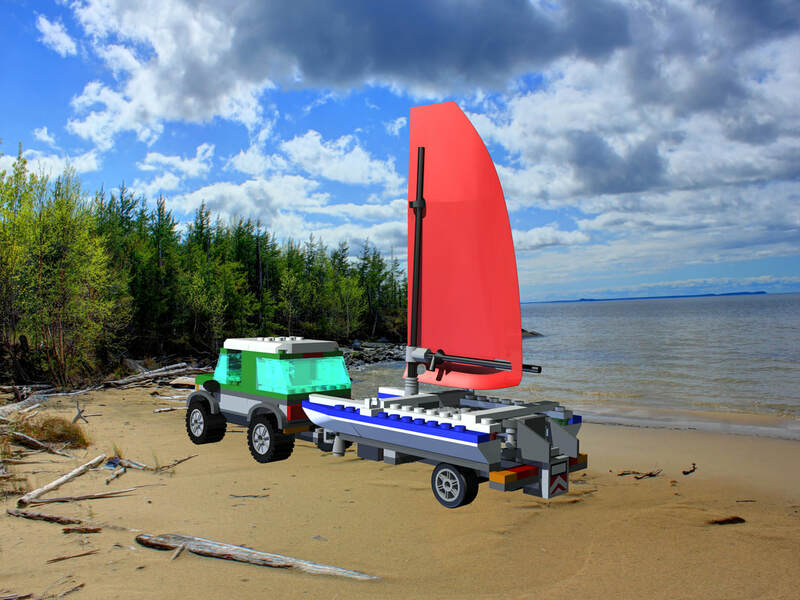 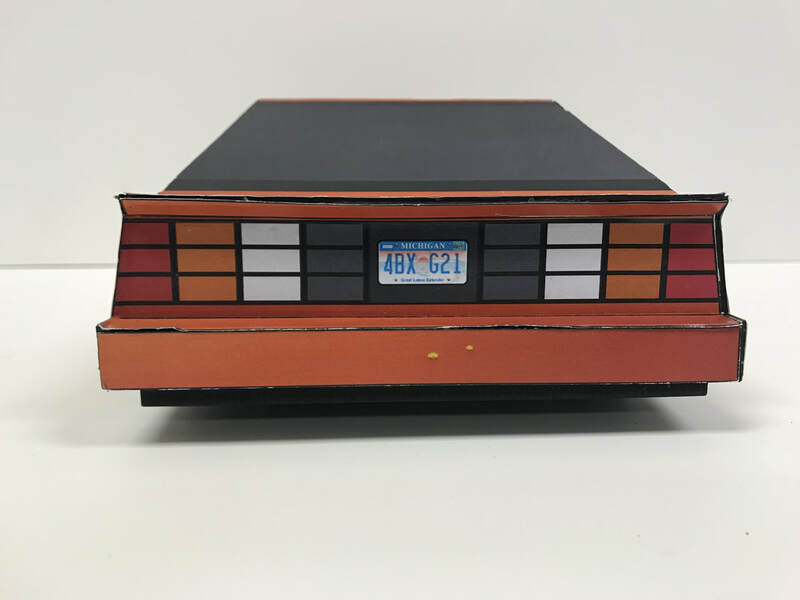 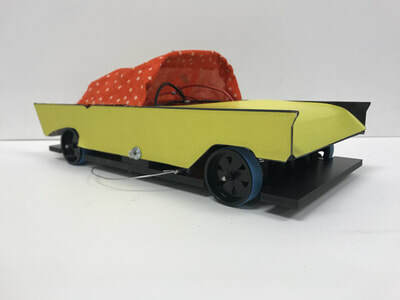 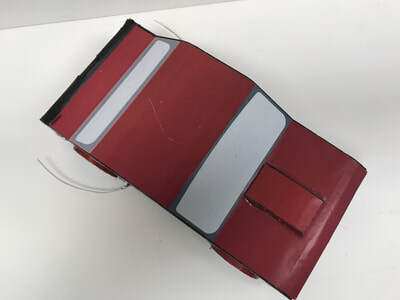 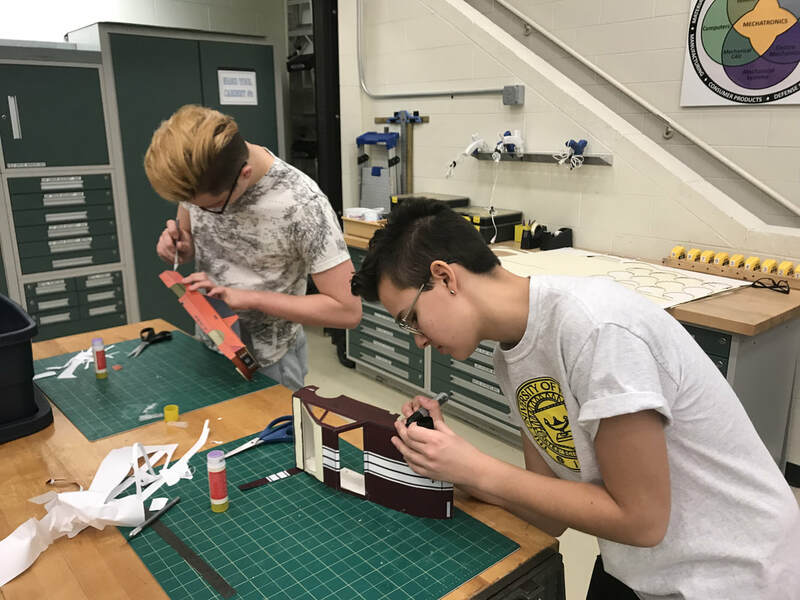 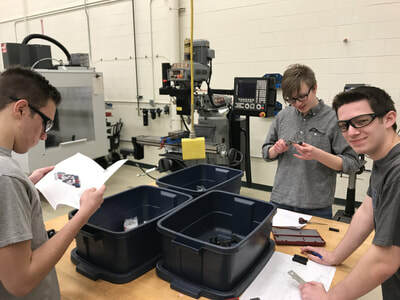 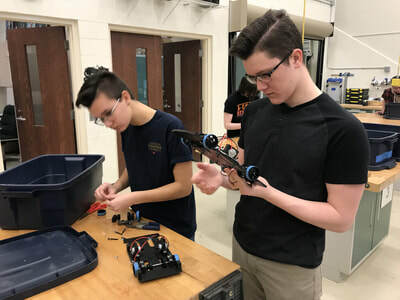 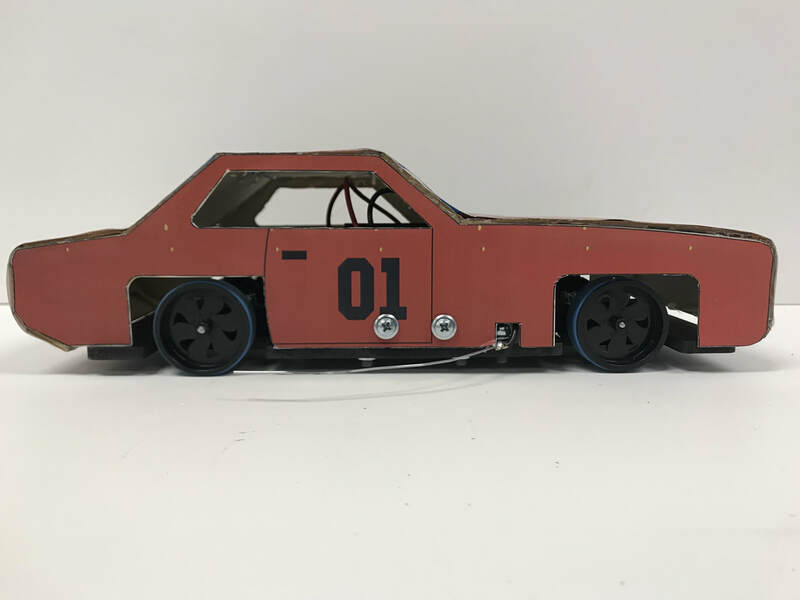 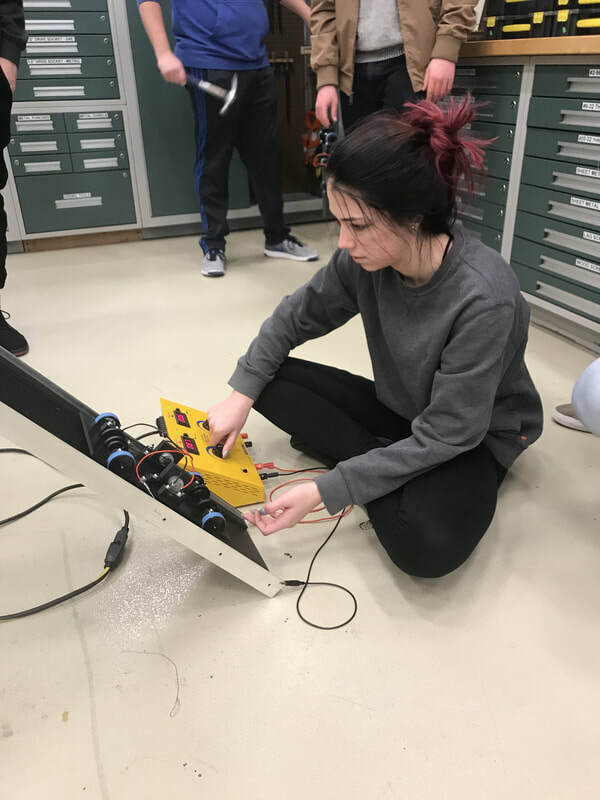 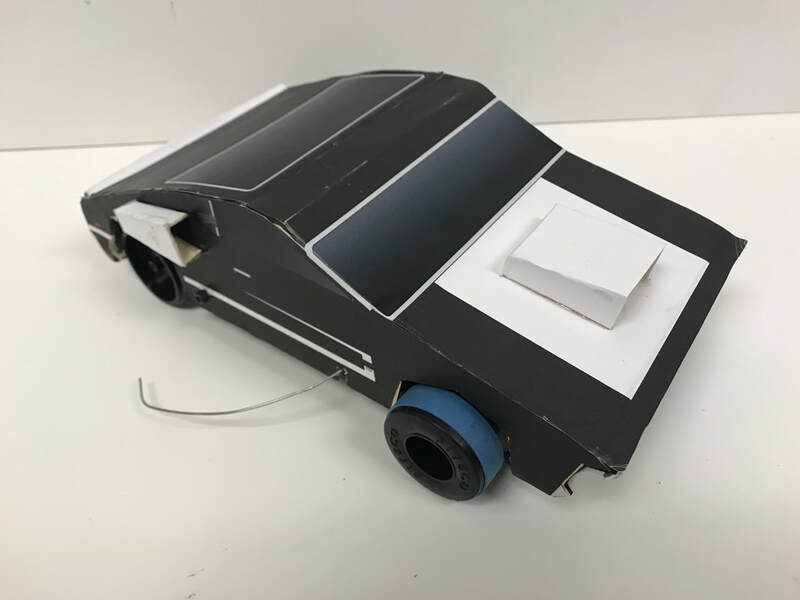 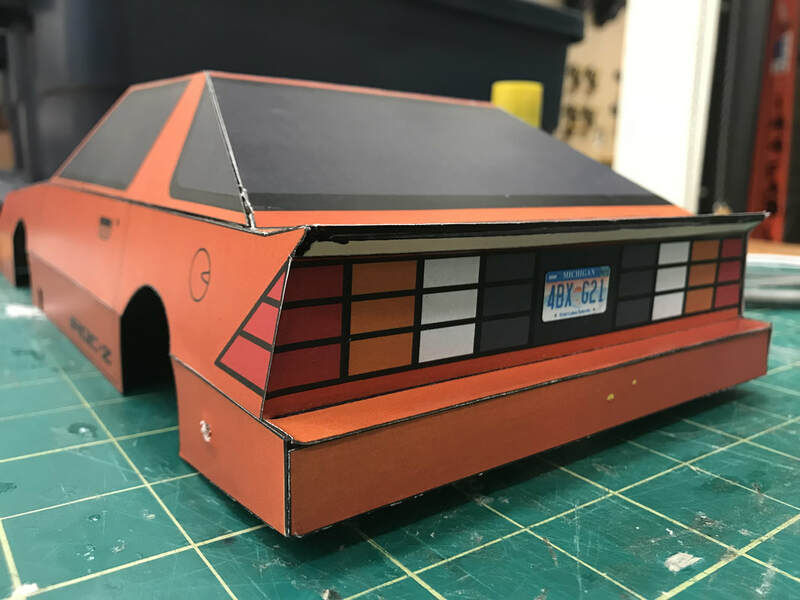 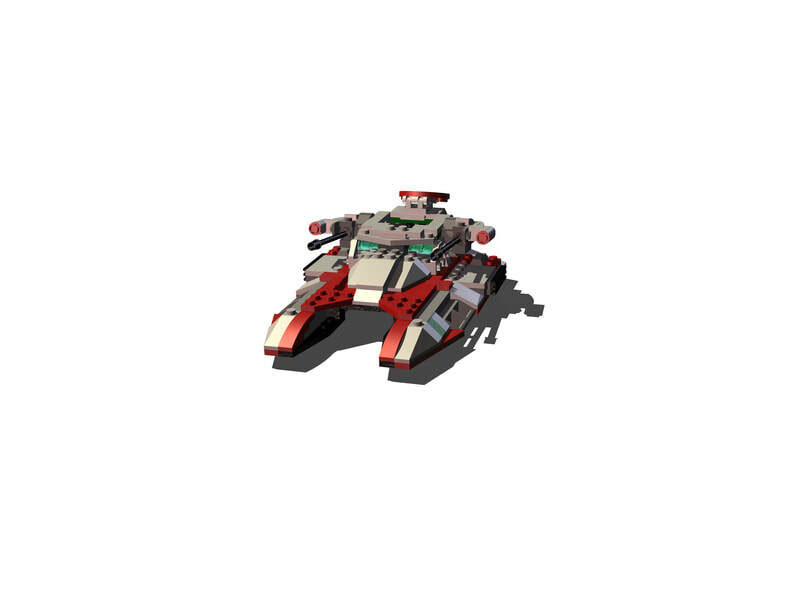 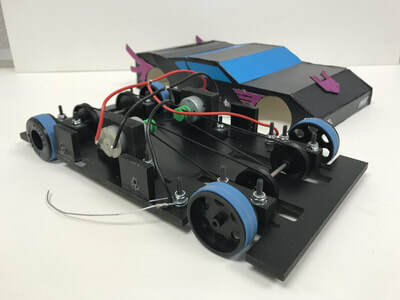 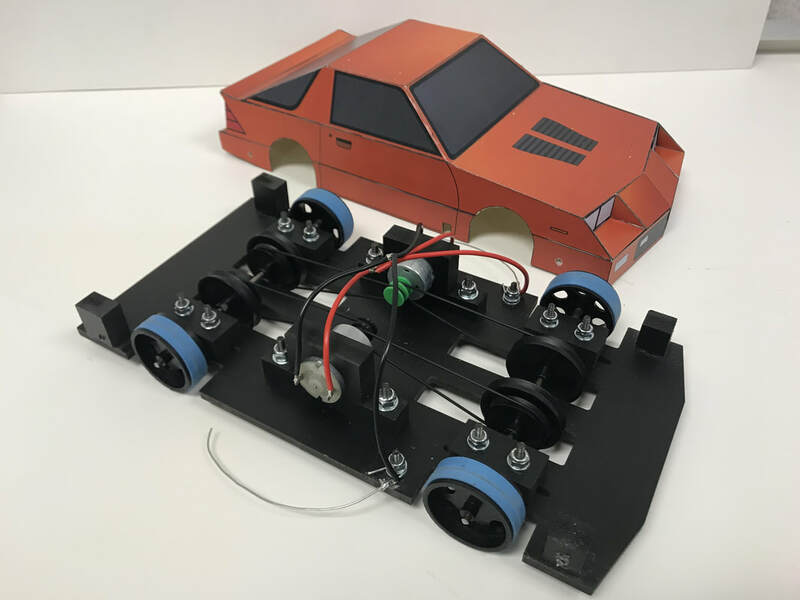 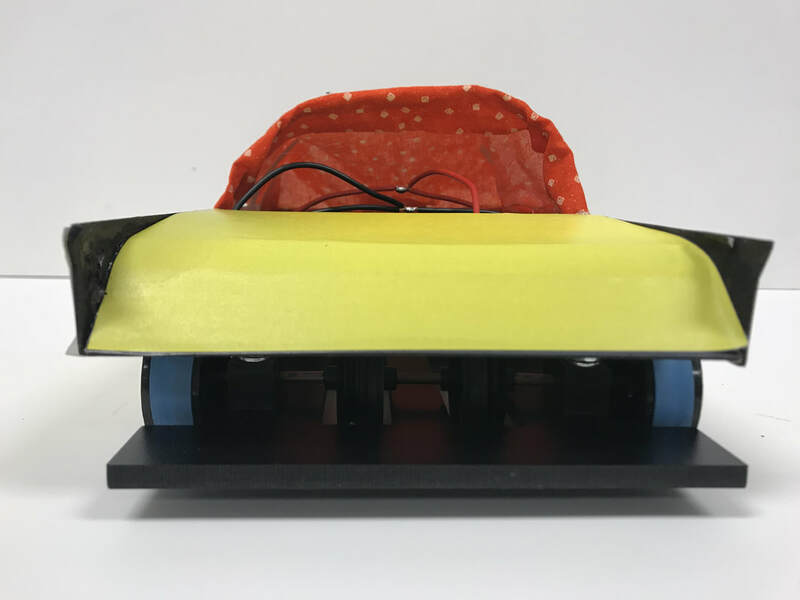 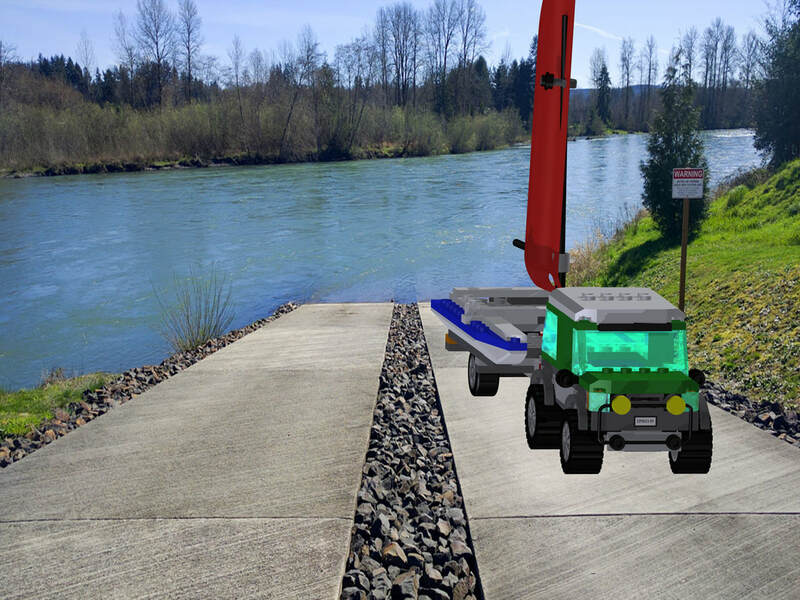 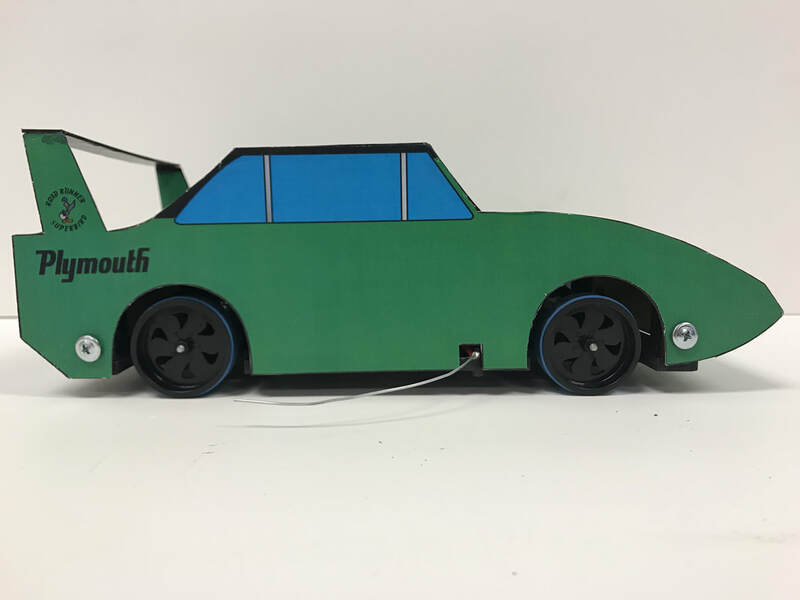 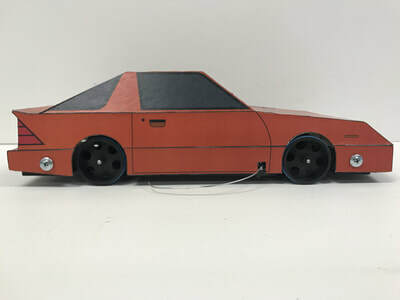 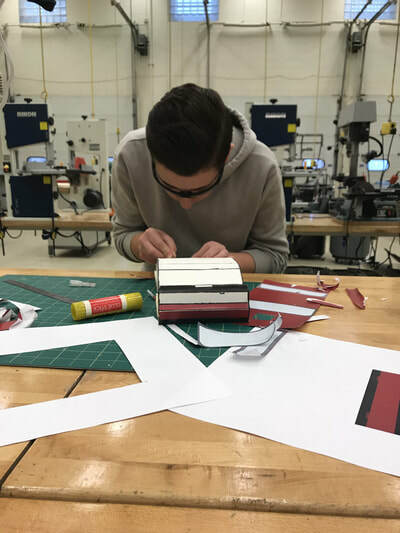 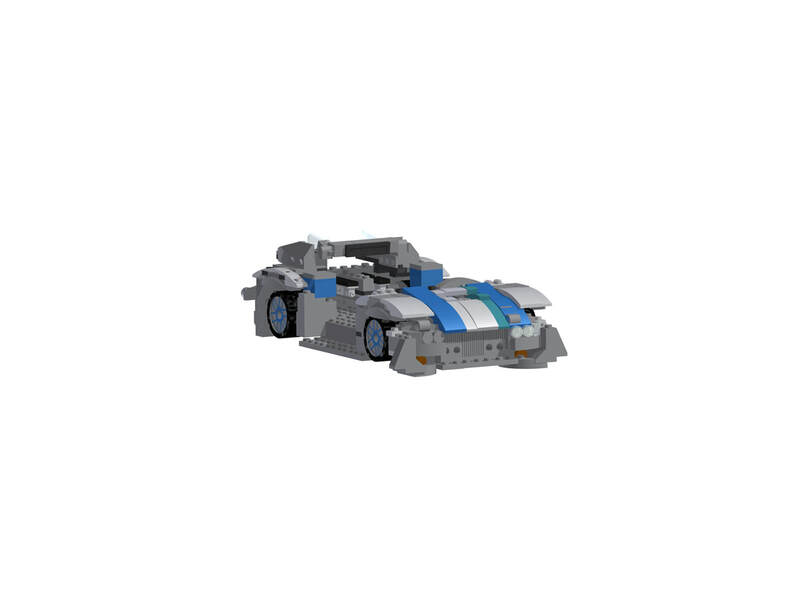 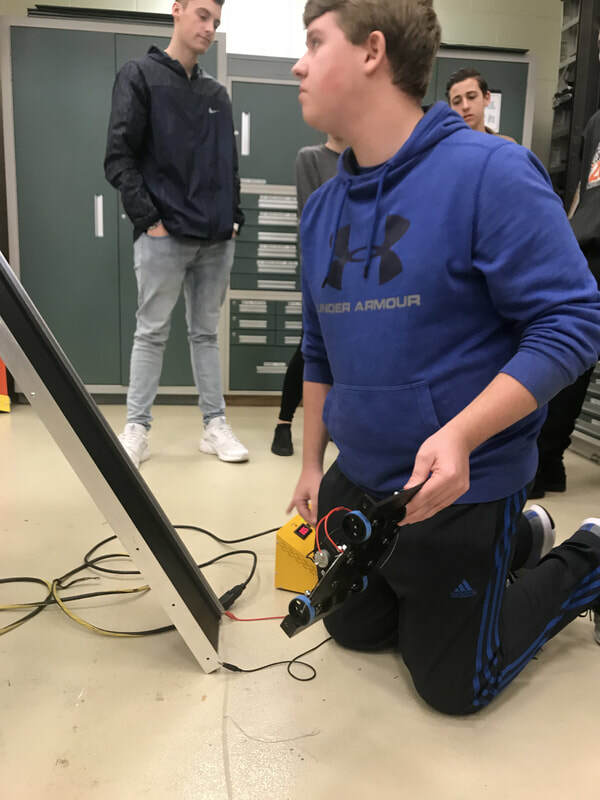 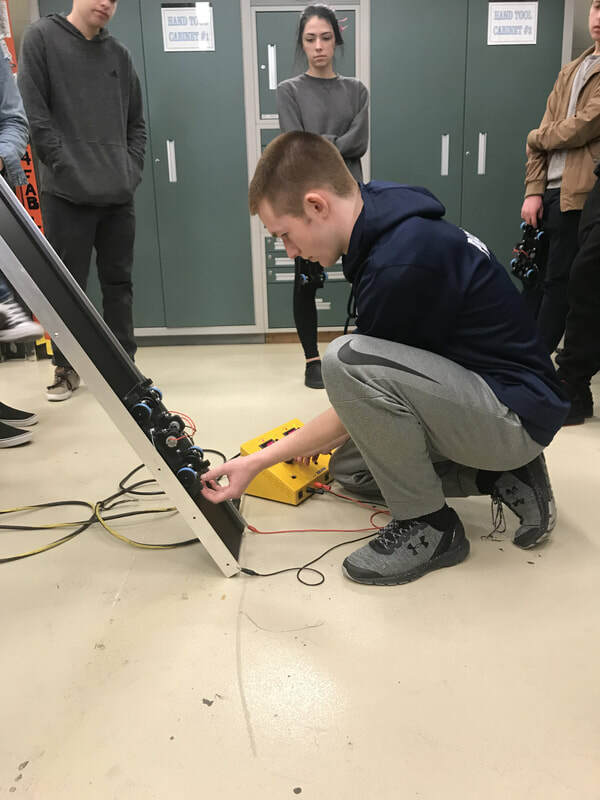 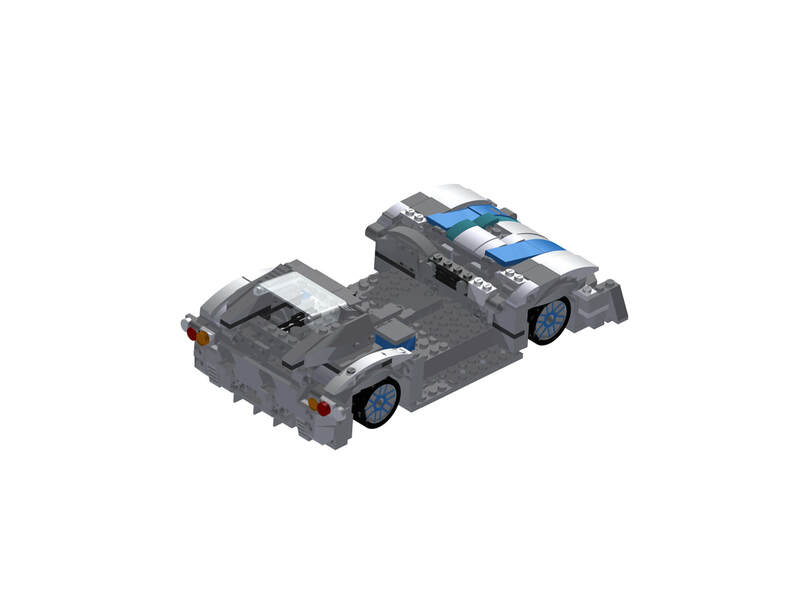 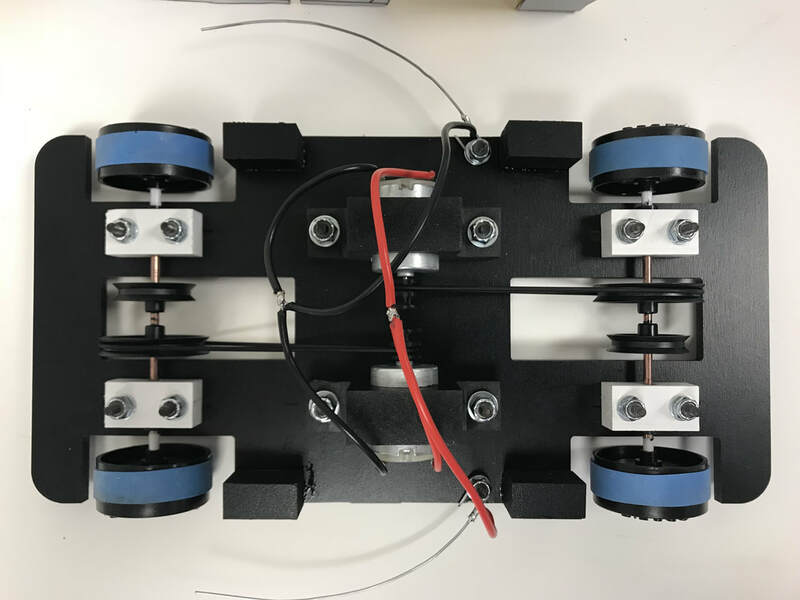 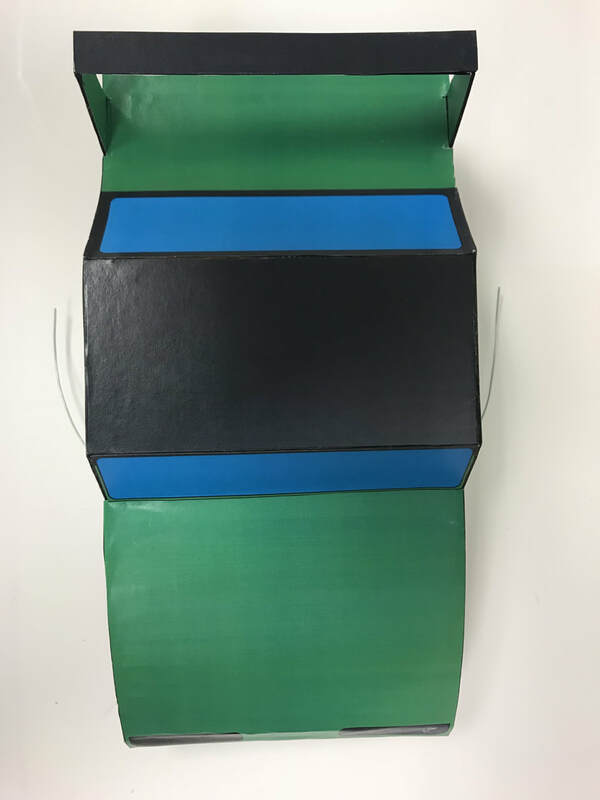 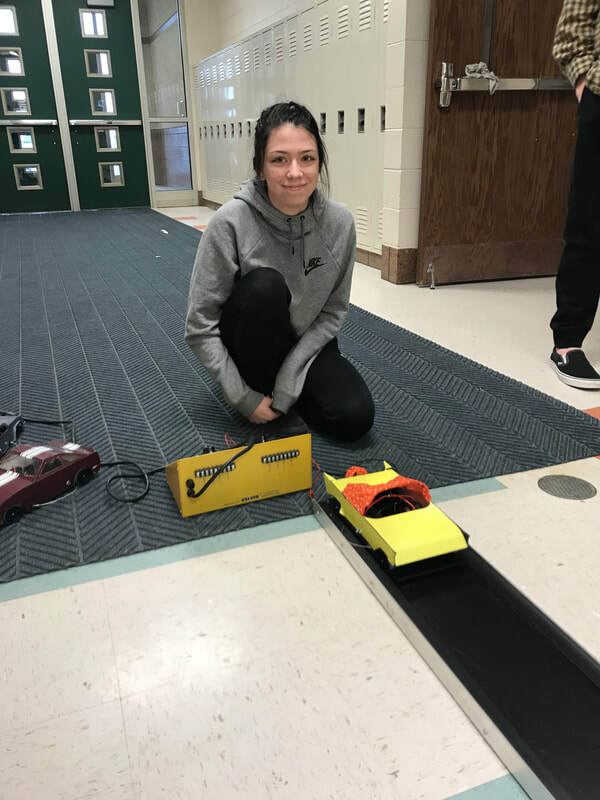 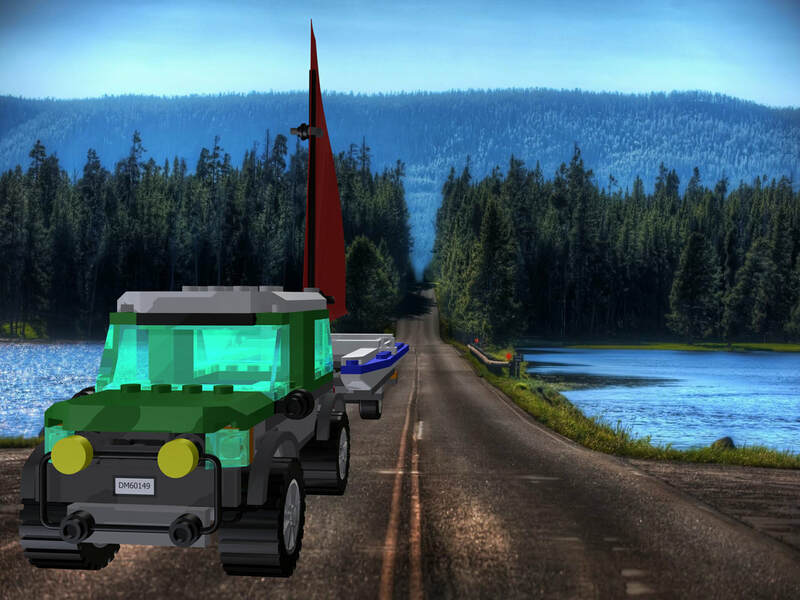 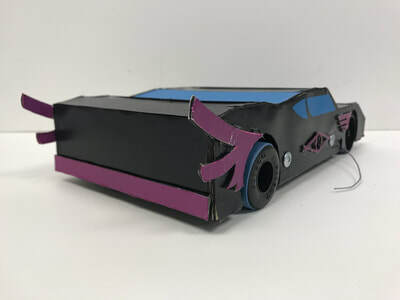 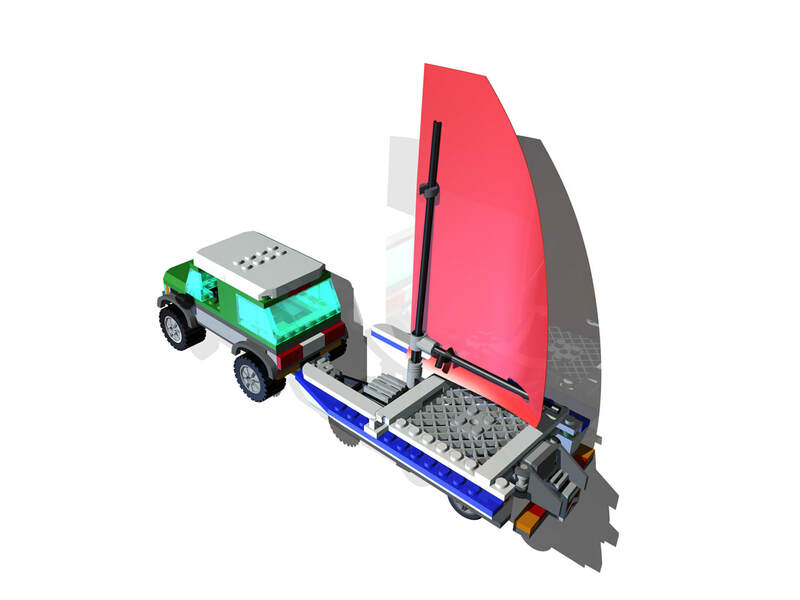 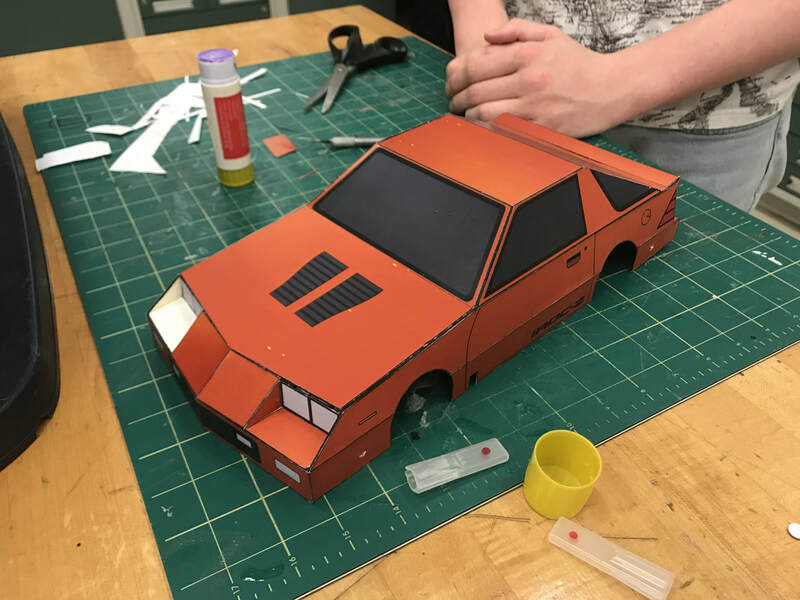 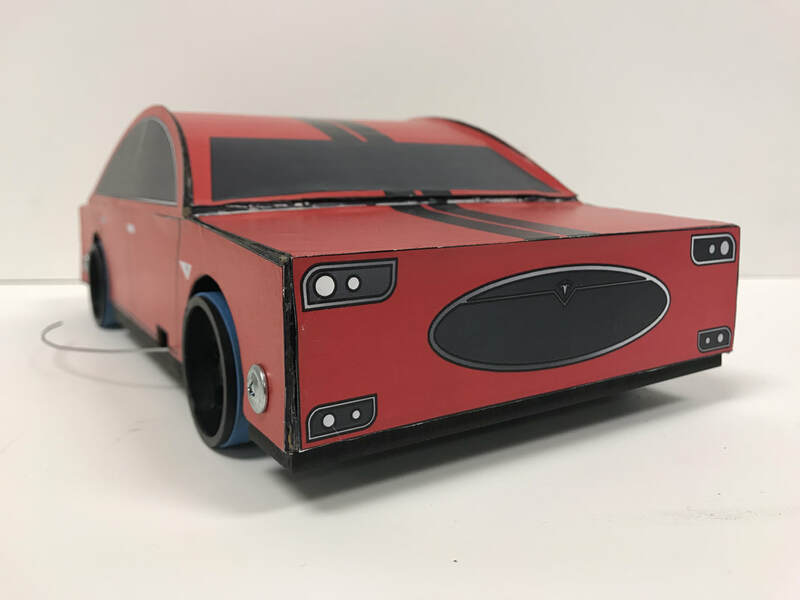 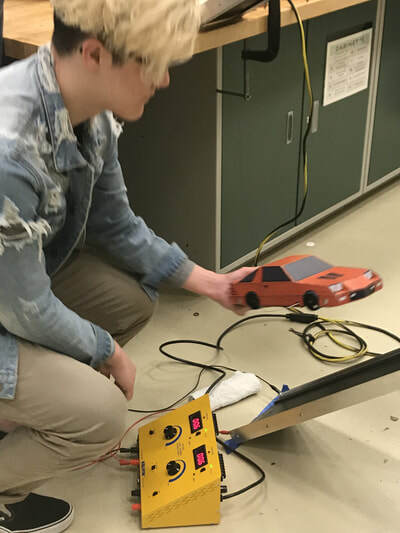 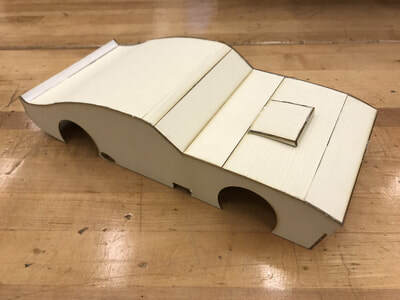 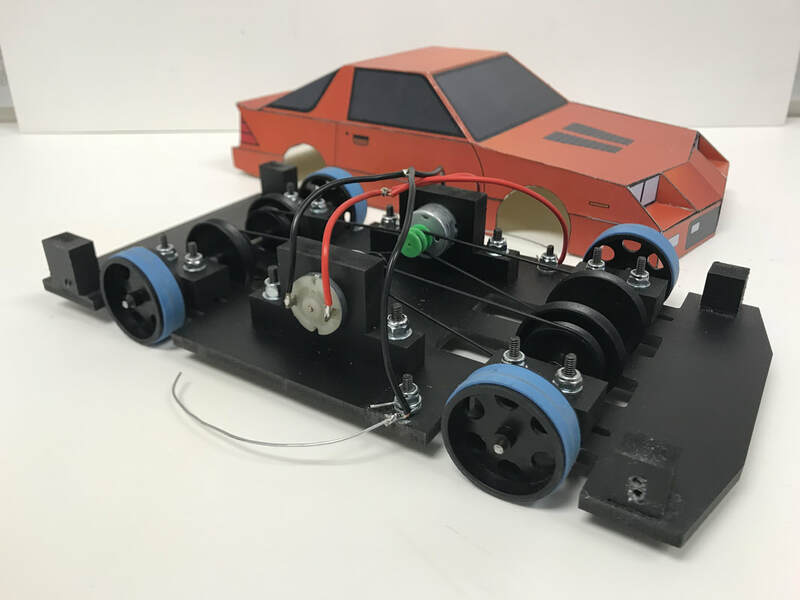 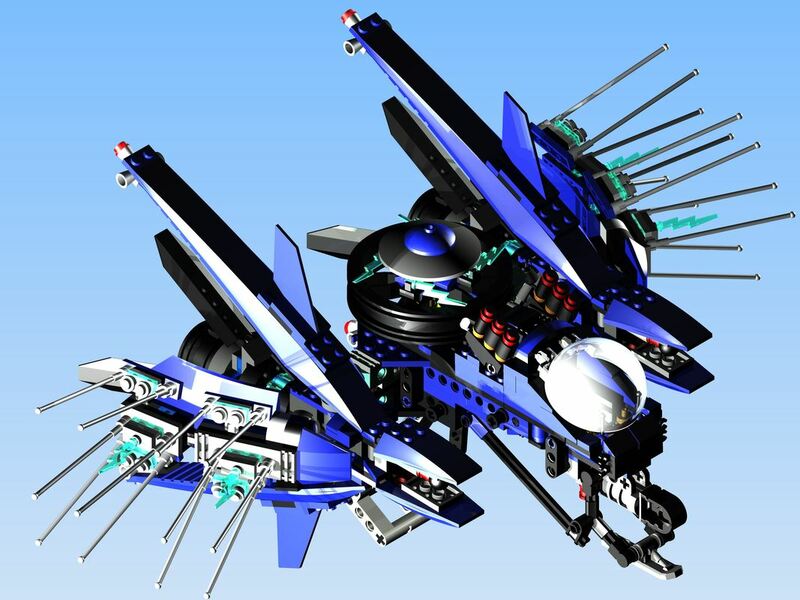 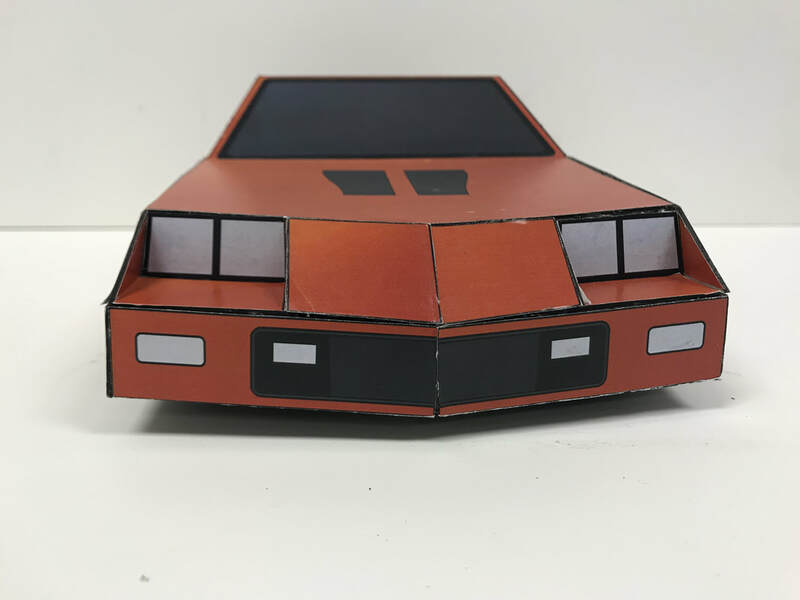 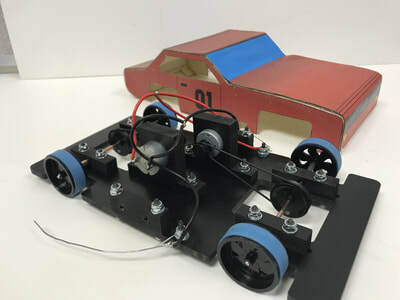 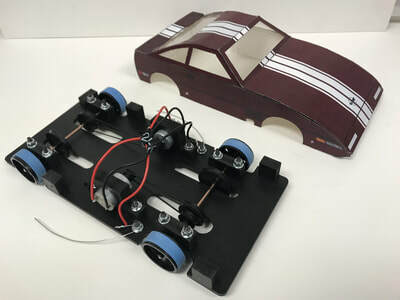 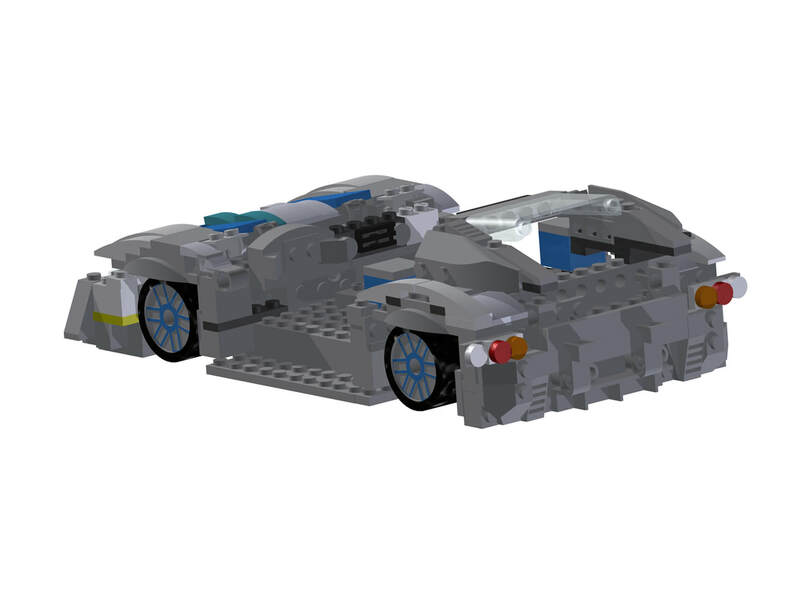 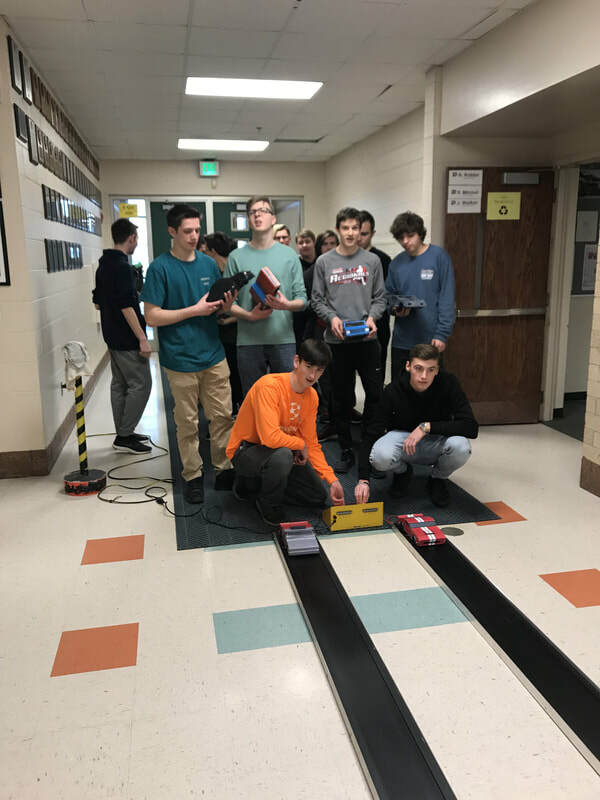 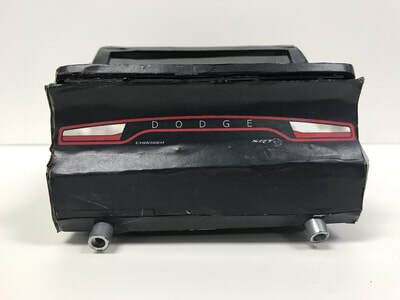 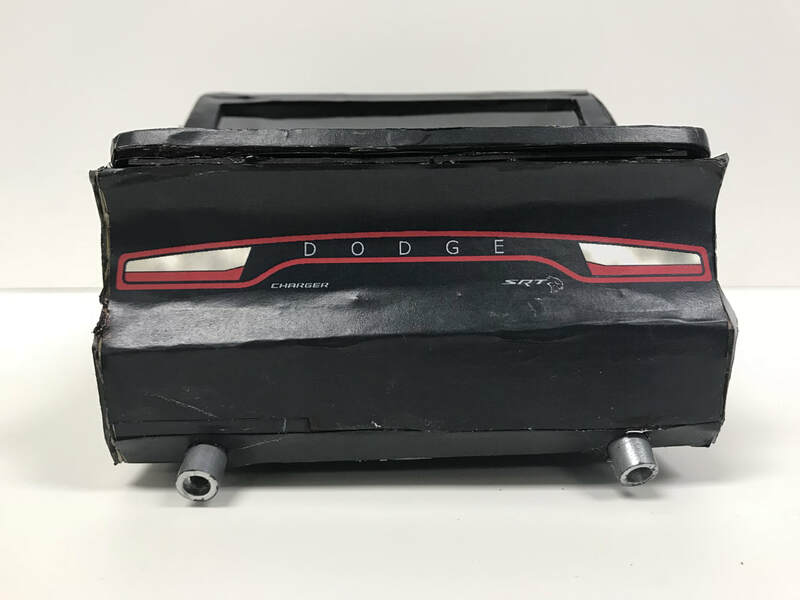 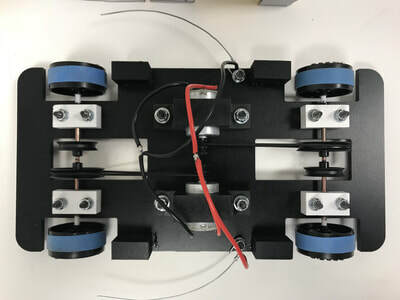 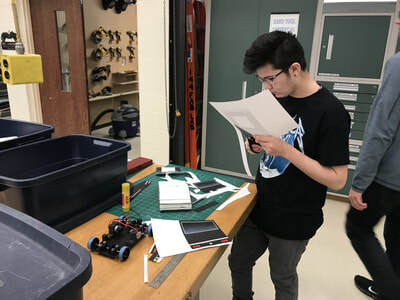 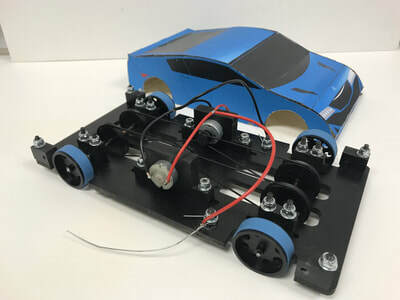 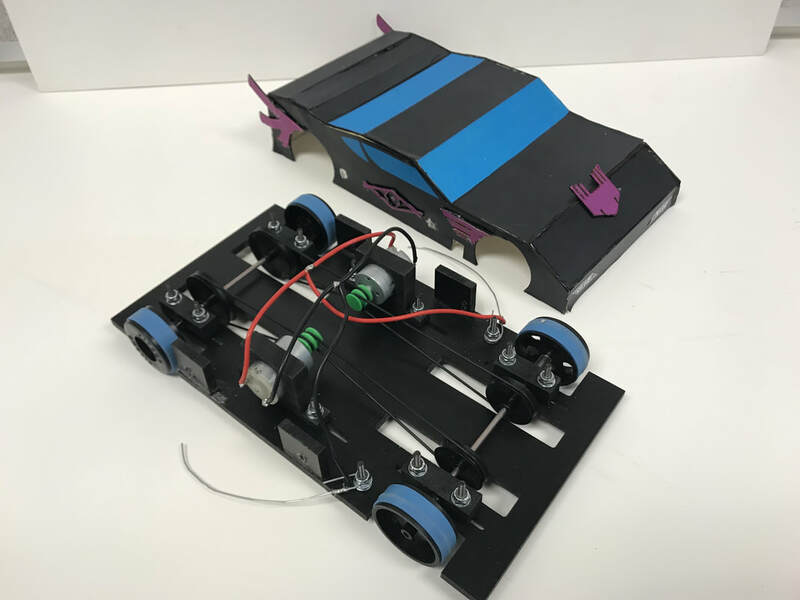 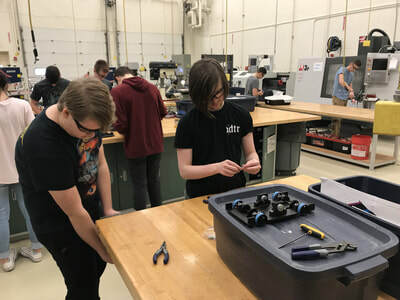 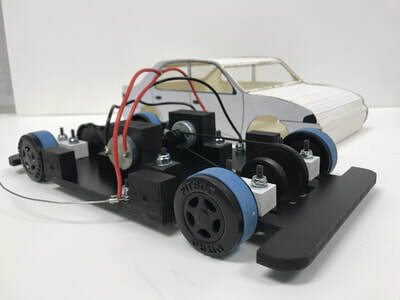 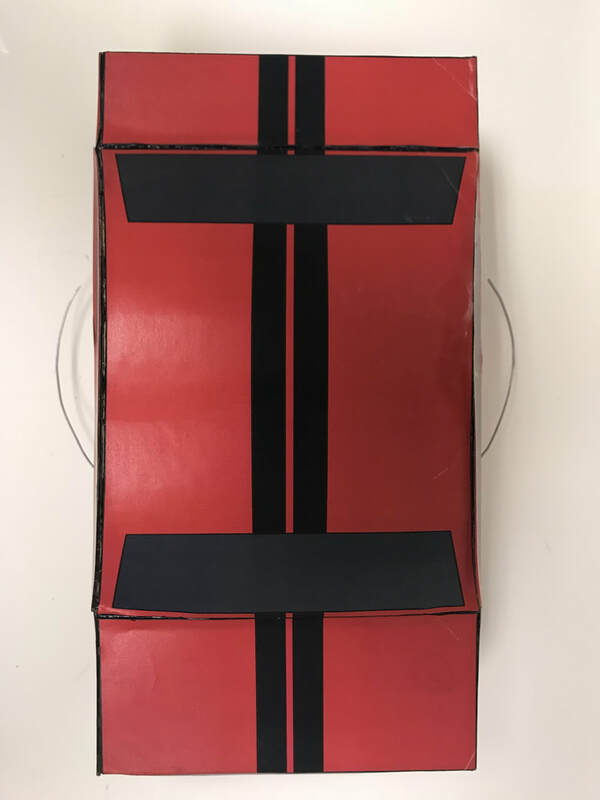 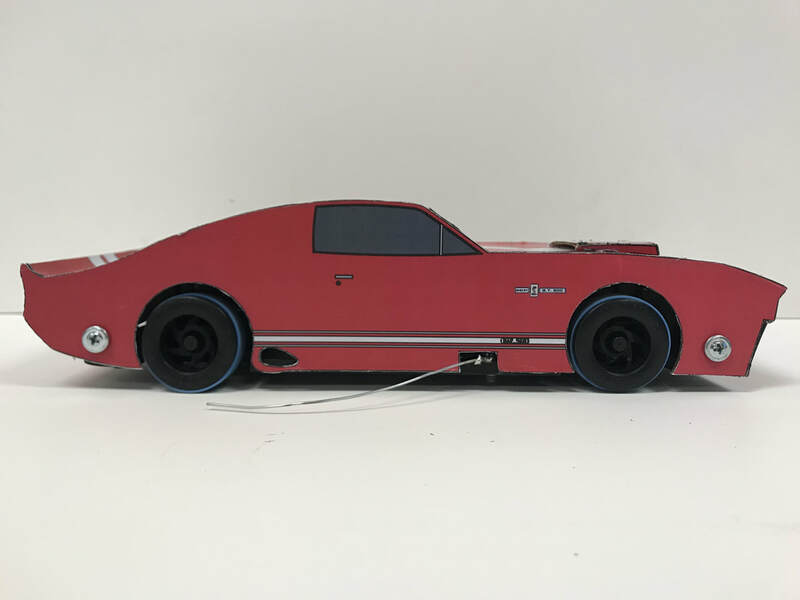 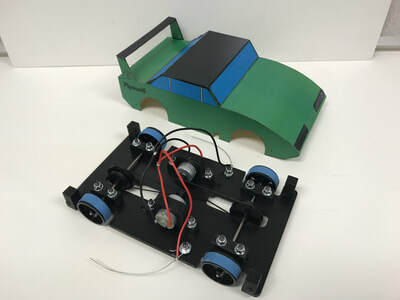 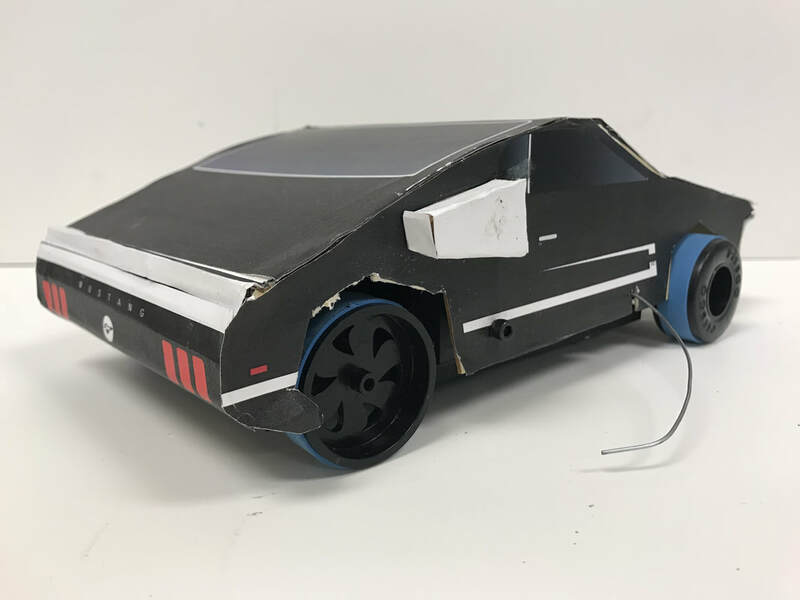 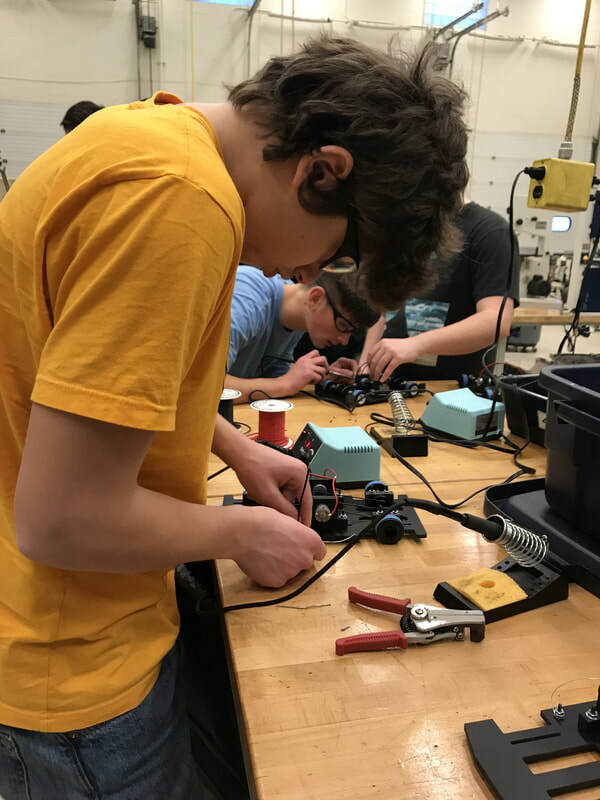 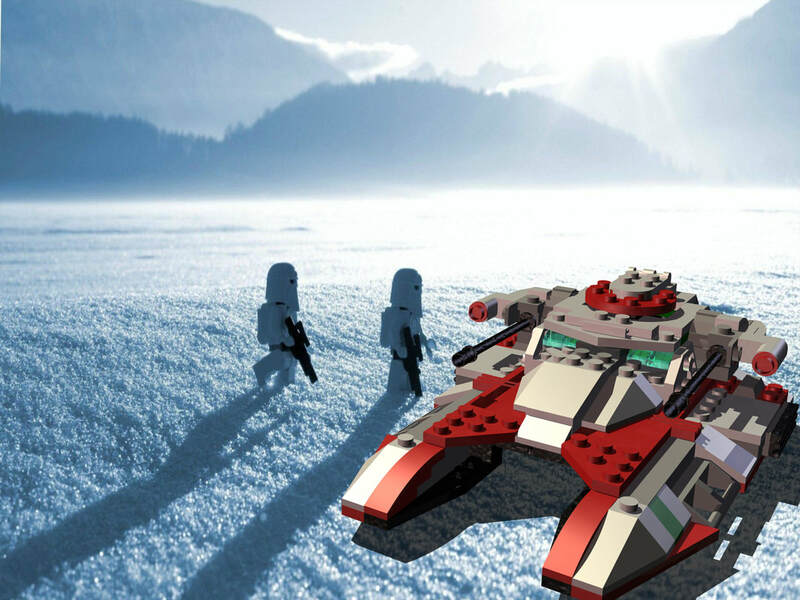 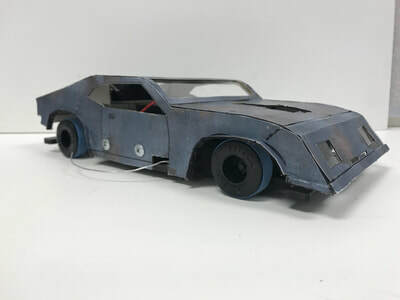 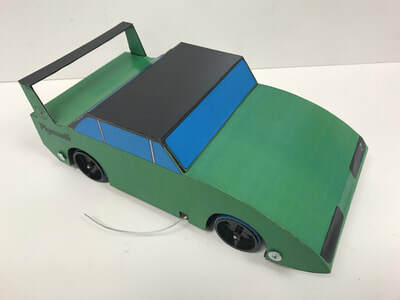 The student will design and fabricate a multi functional Electric Race Vehicle that will be able to travel down a track over a given distance, climb a hill, drag race or other specified events determined by the instructor. 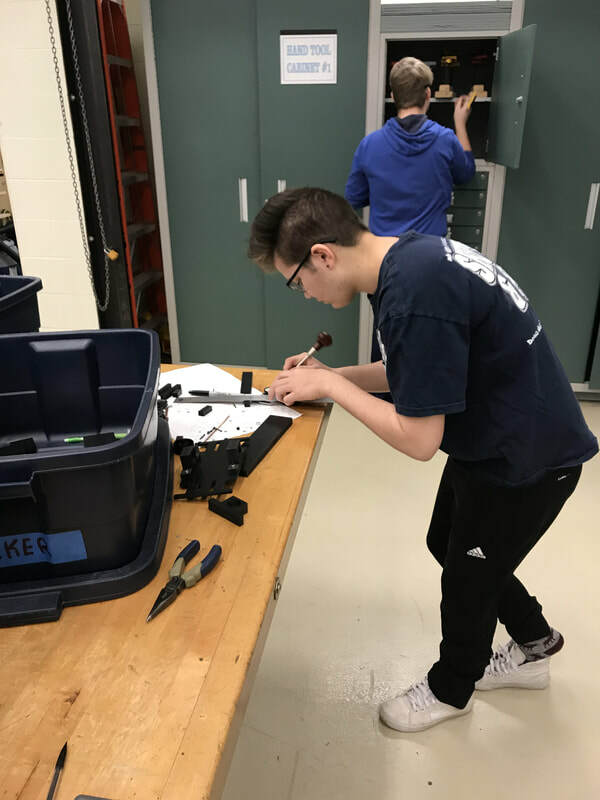 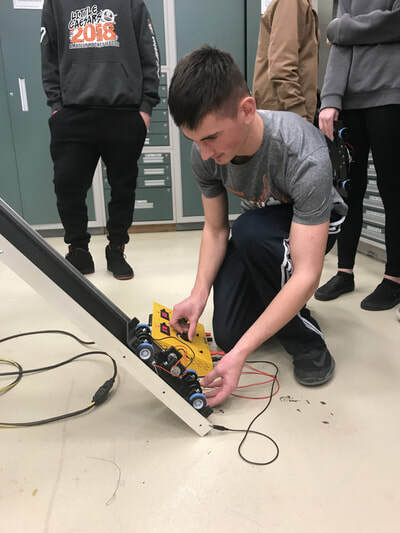 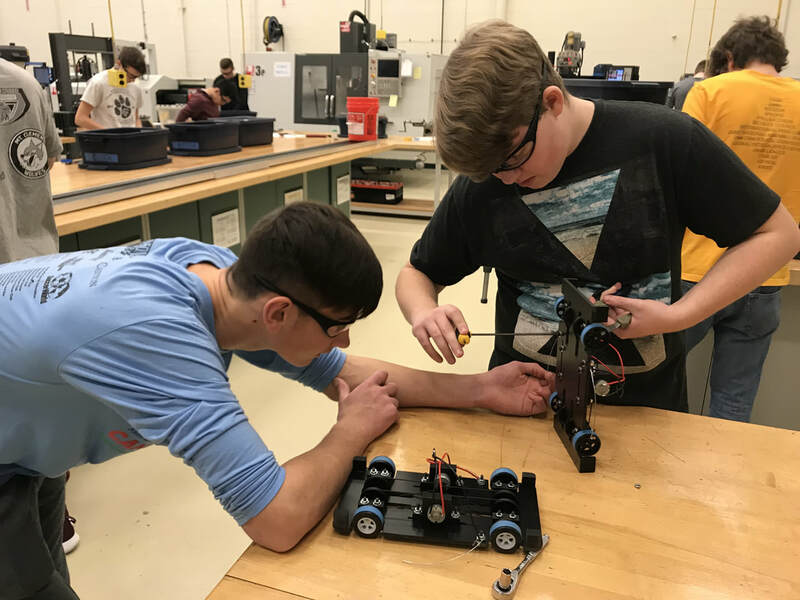 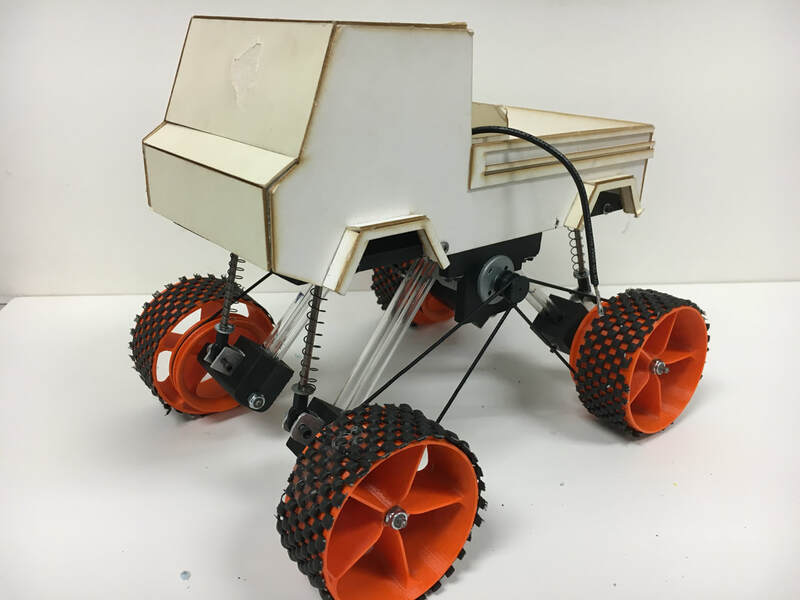 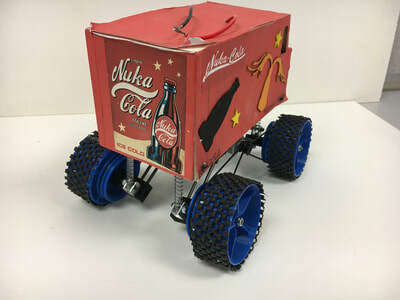 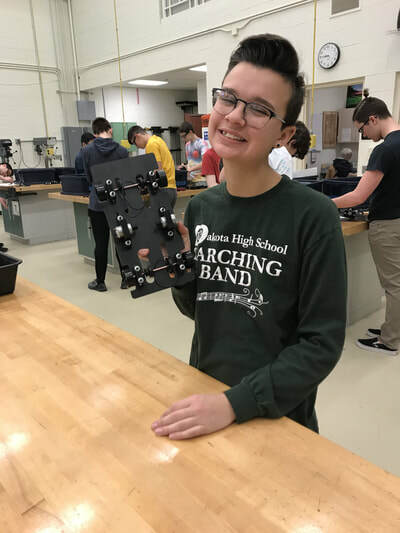 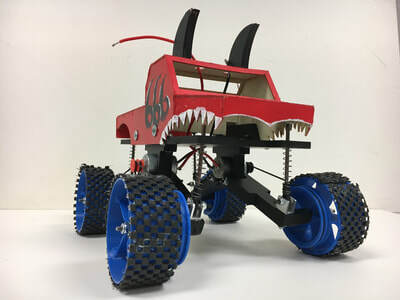 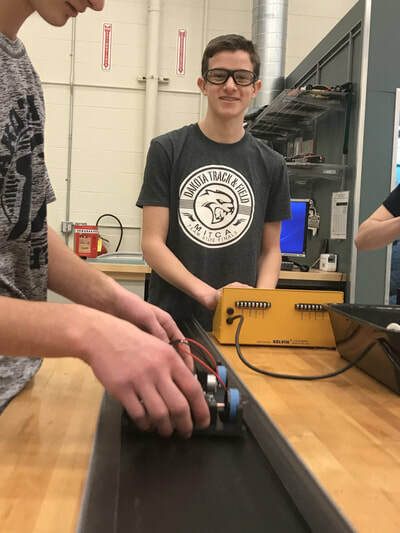 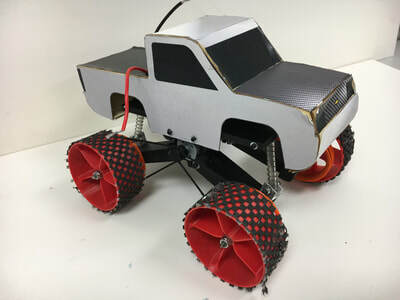 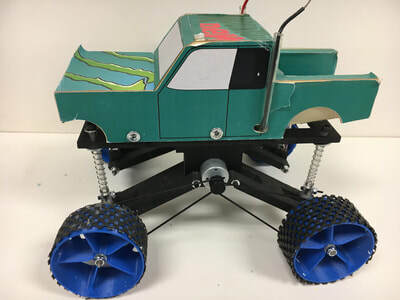 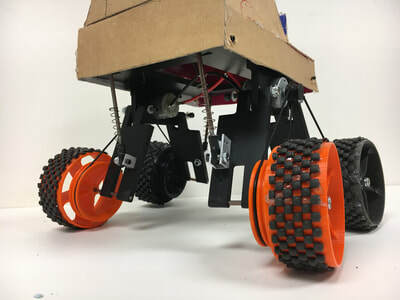 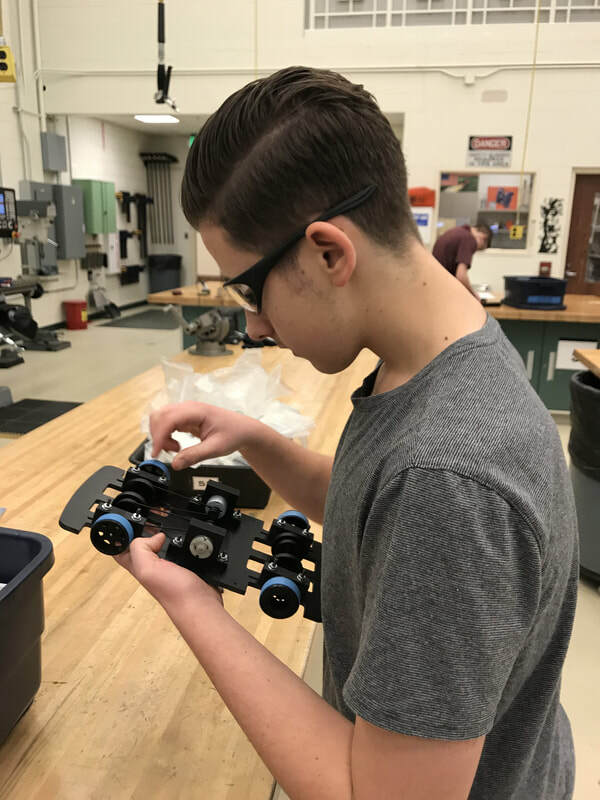 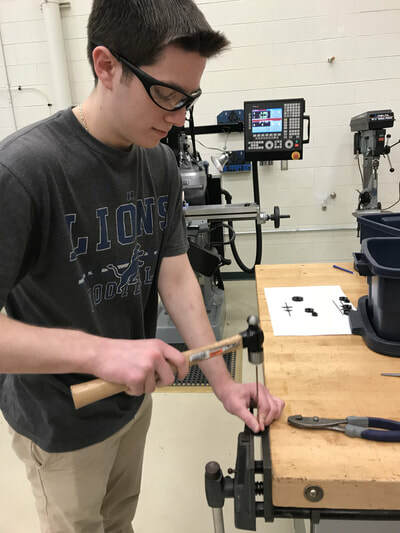 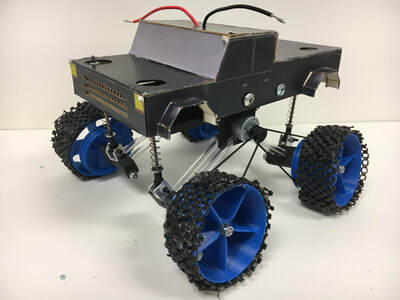 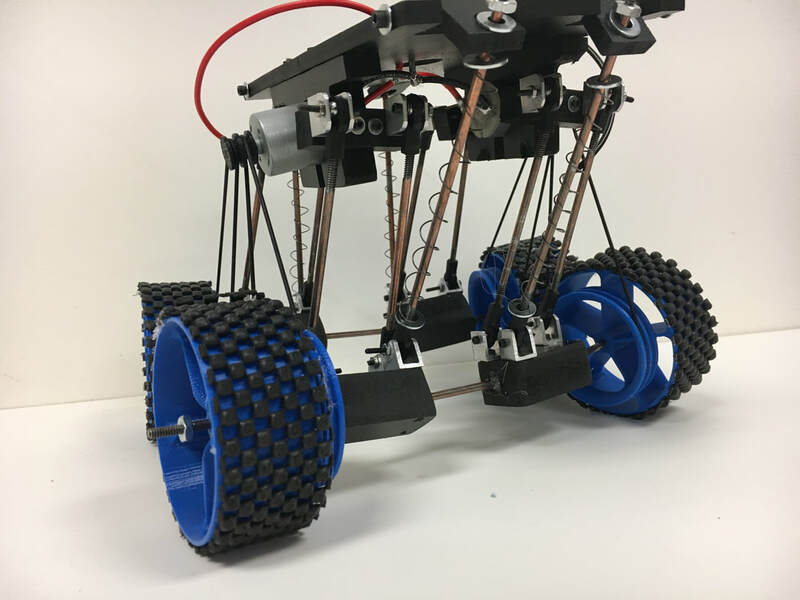 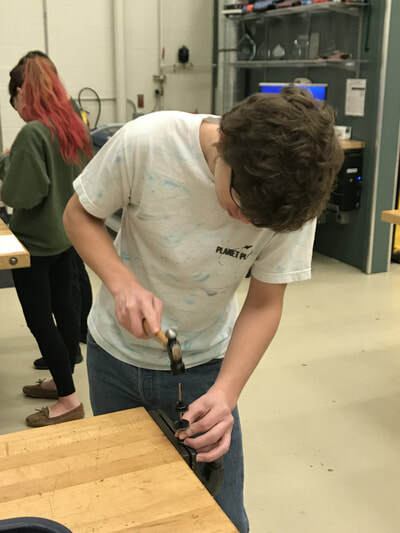 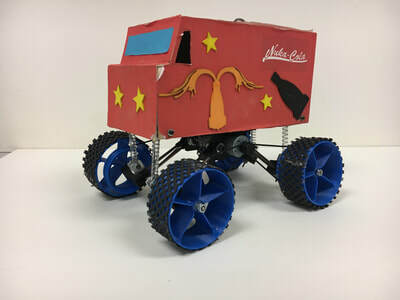 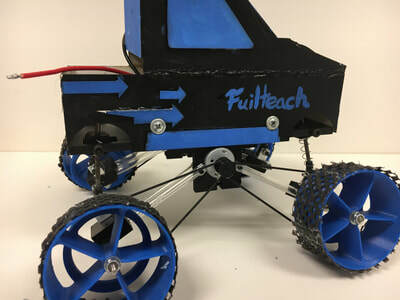 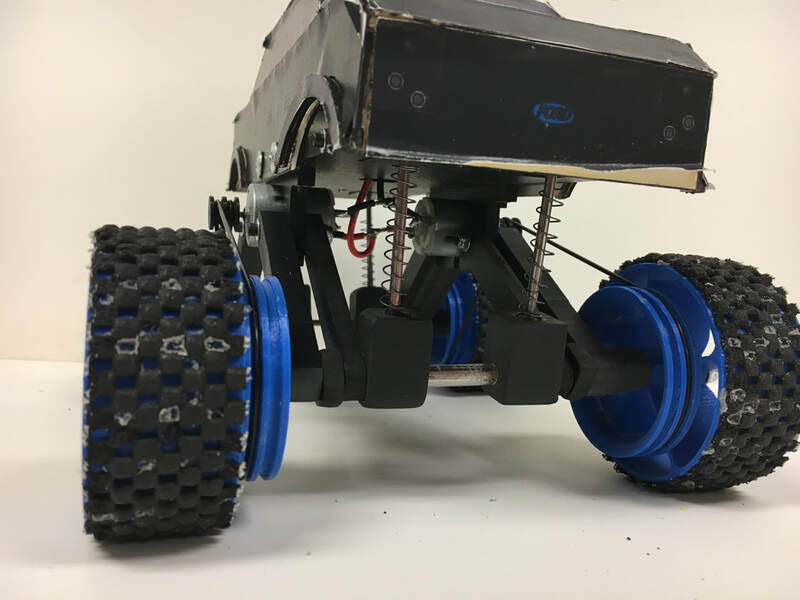 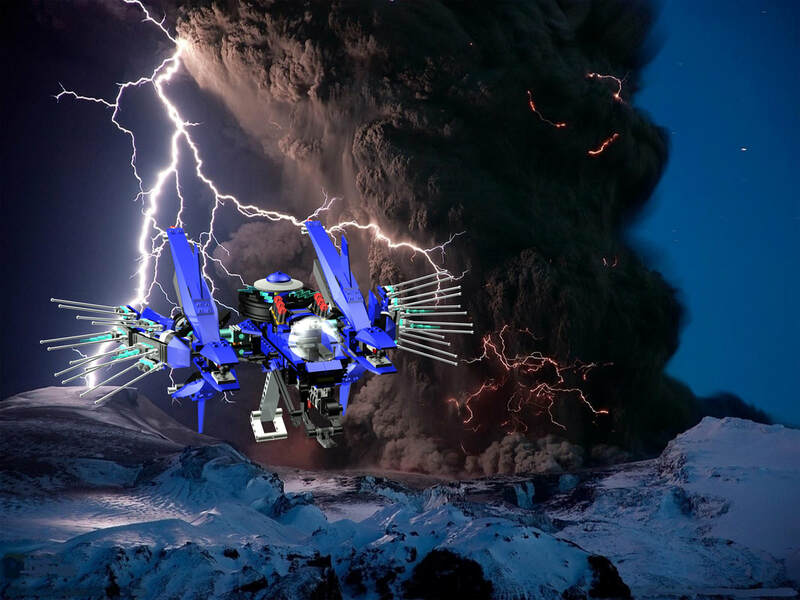 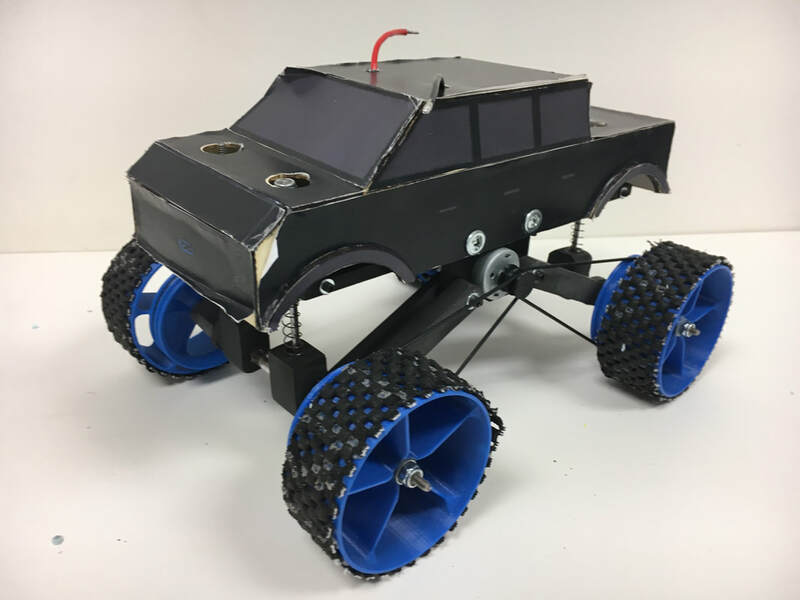 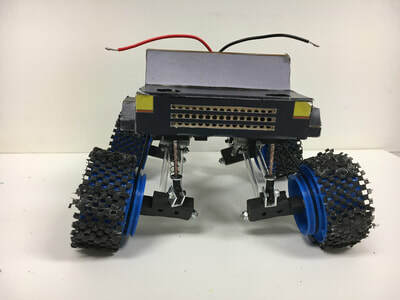 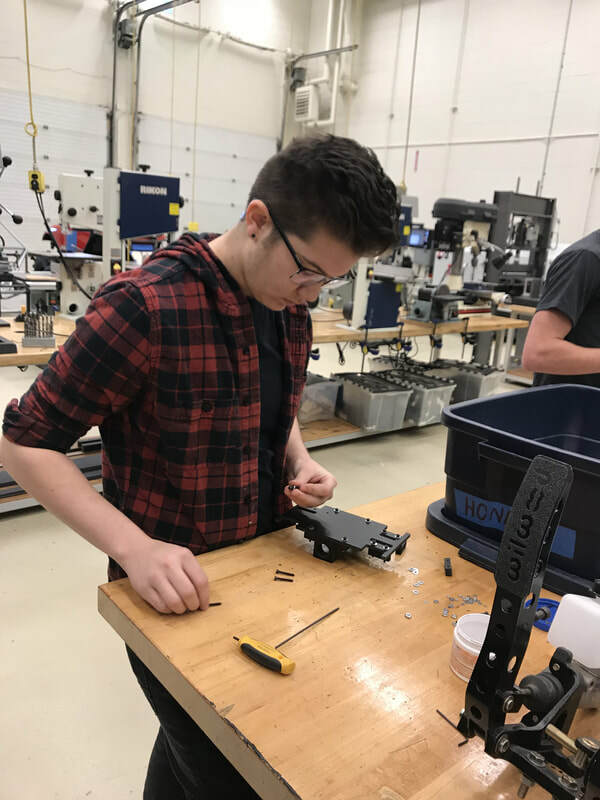 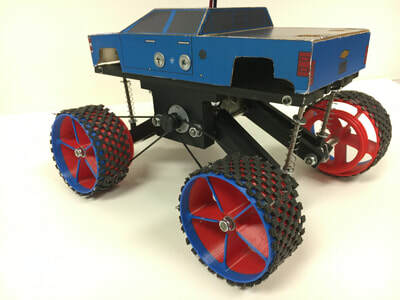 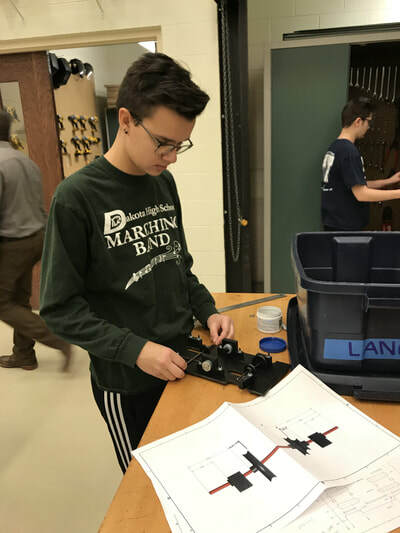 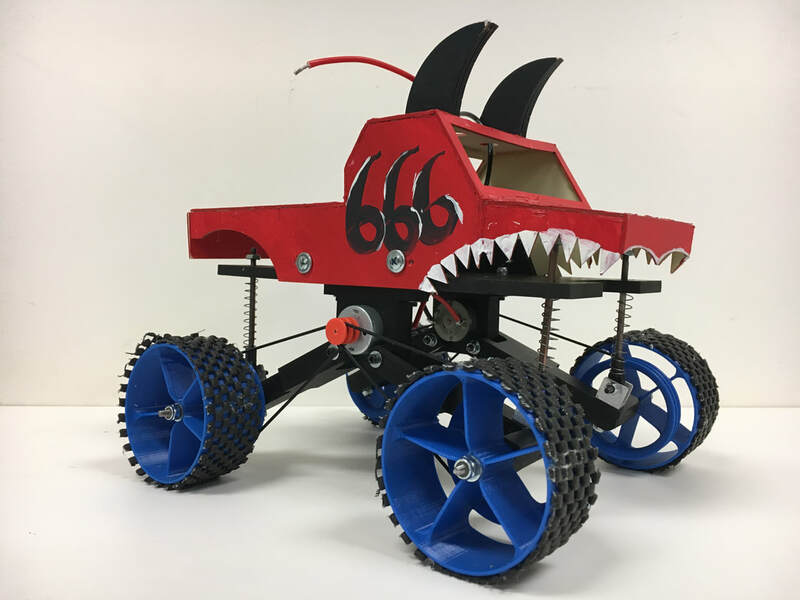 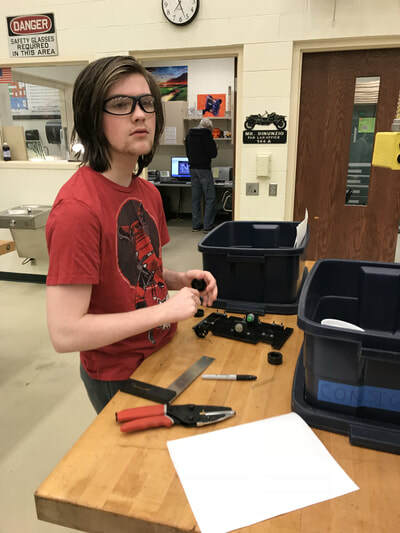 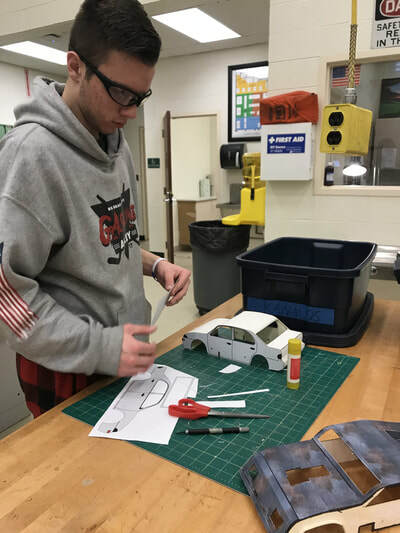 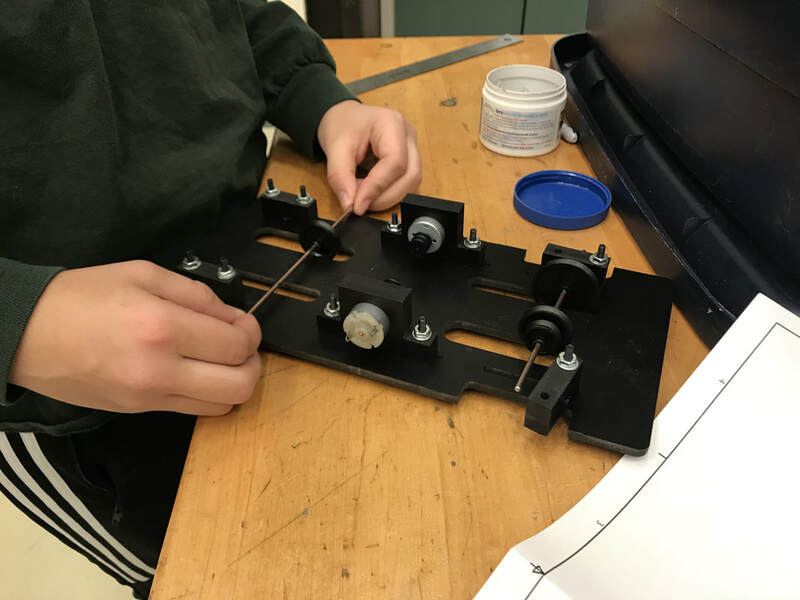 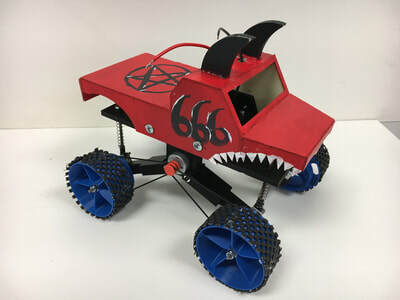 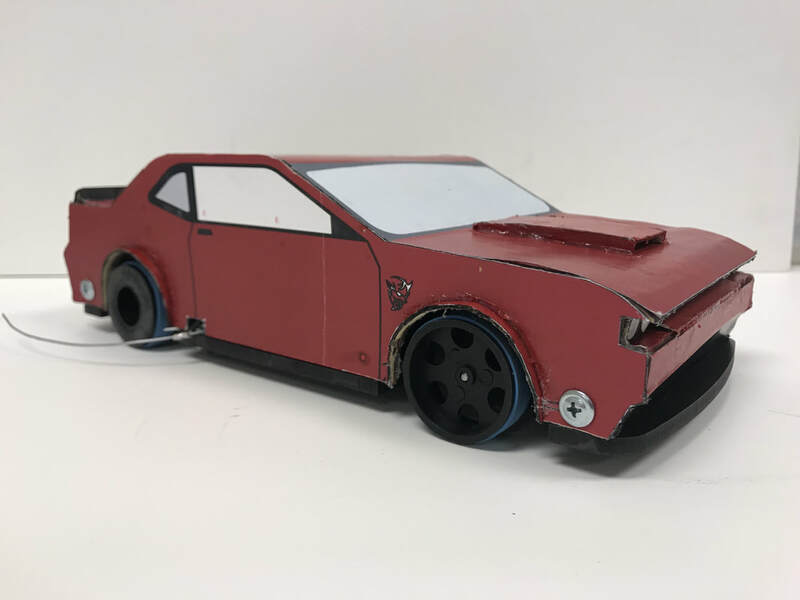 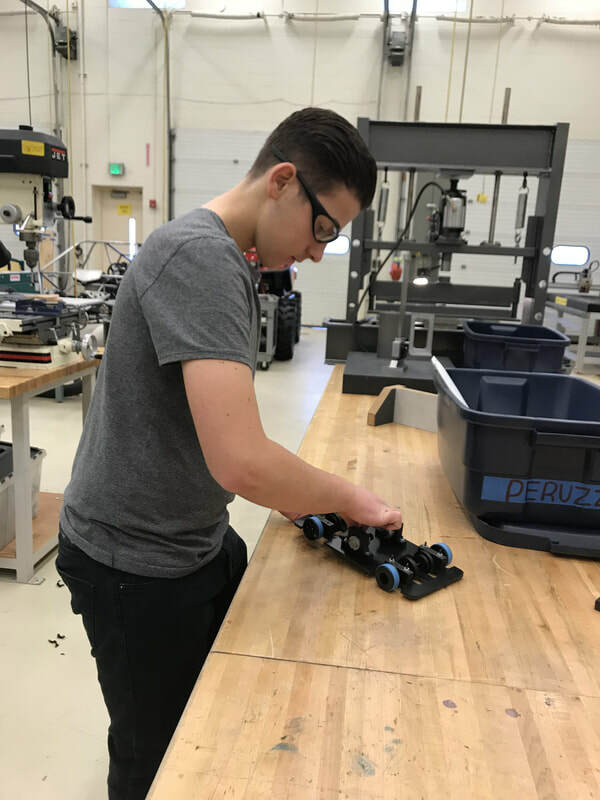 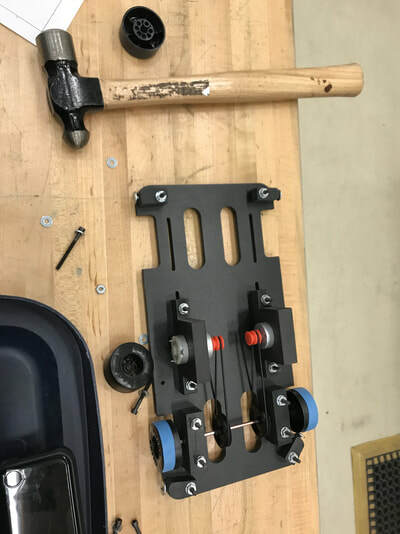 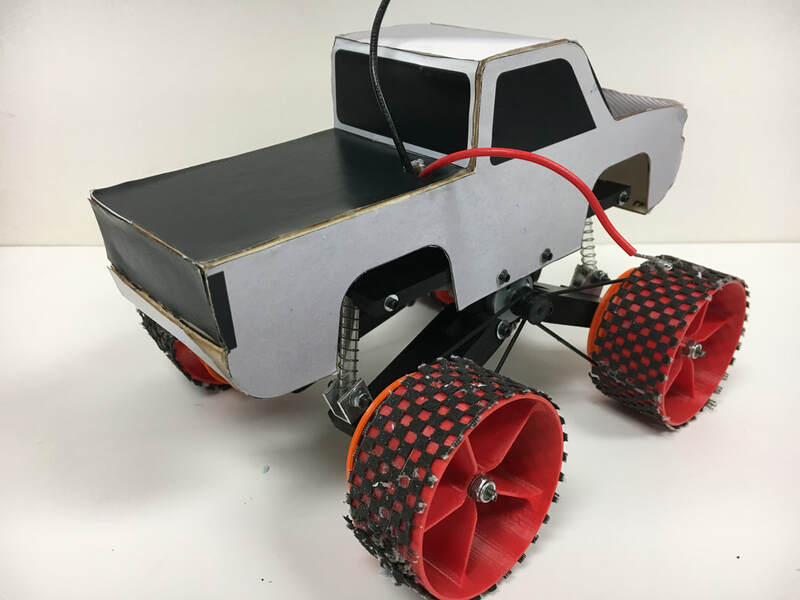 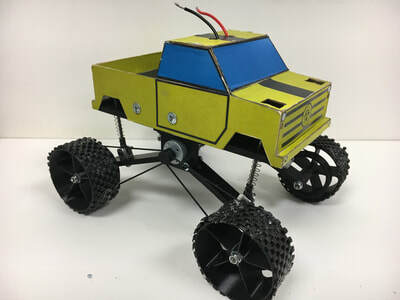 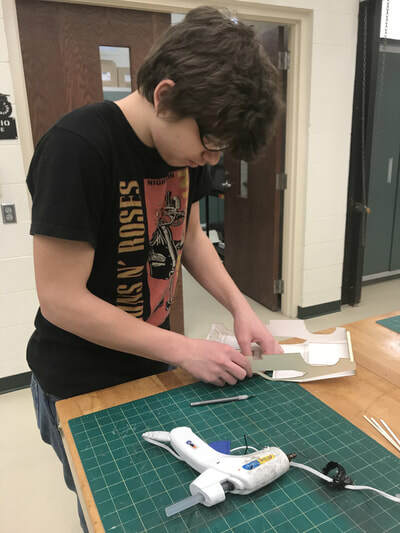 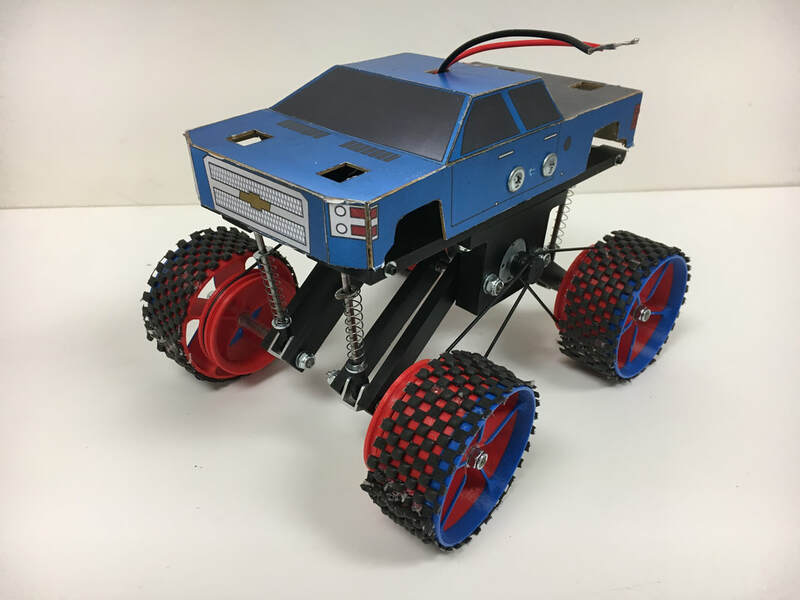 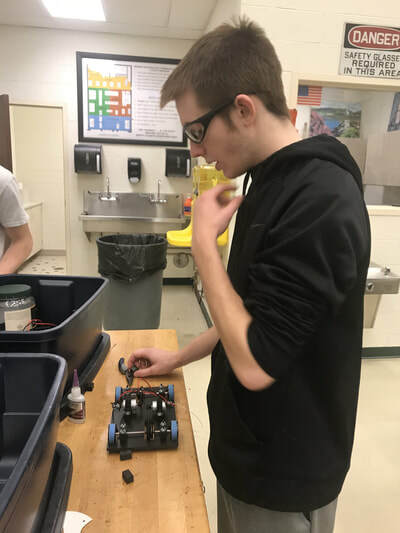 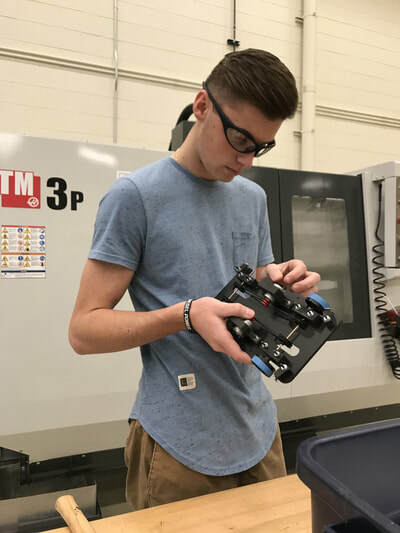 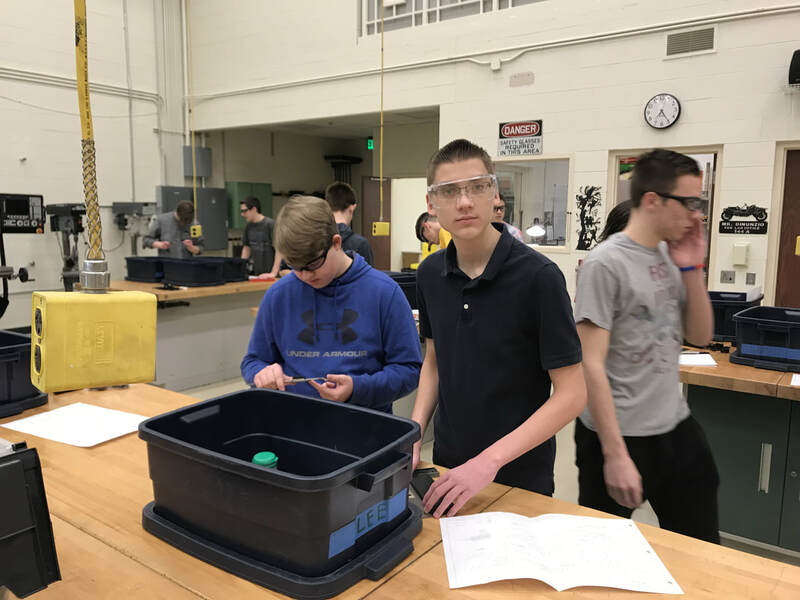 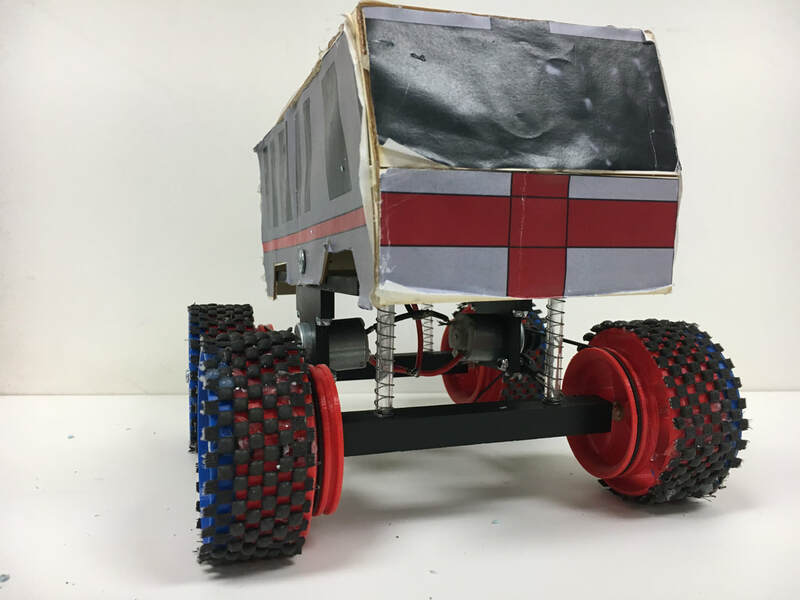 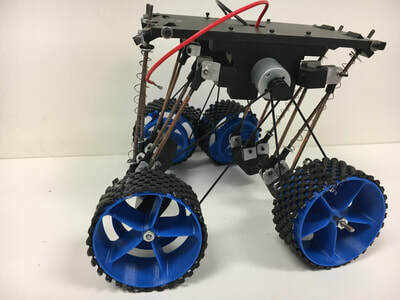 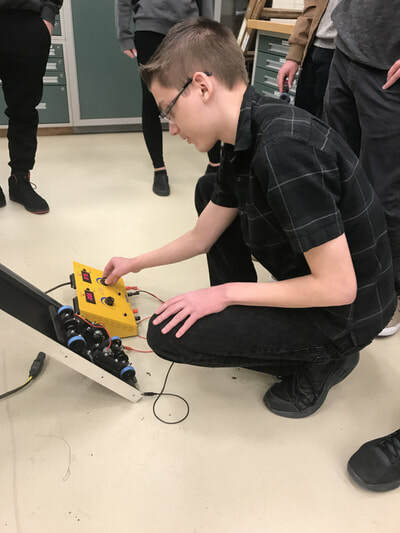 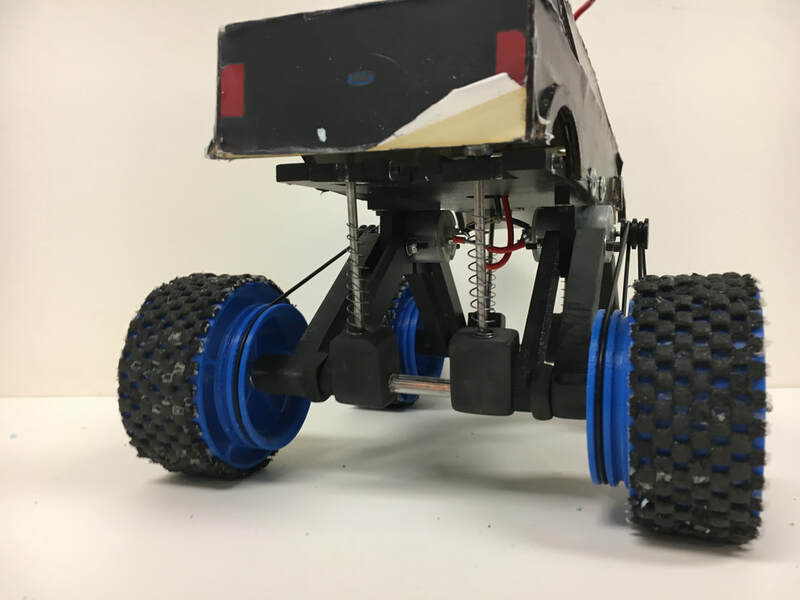 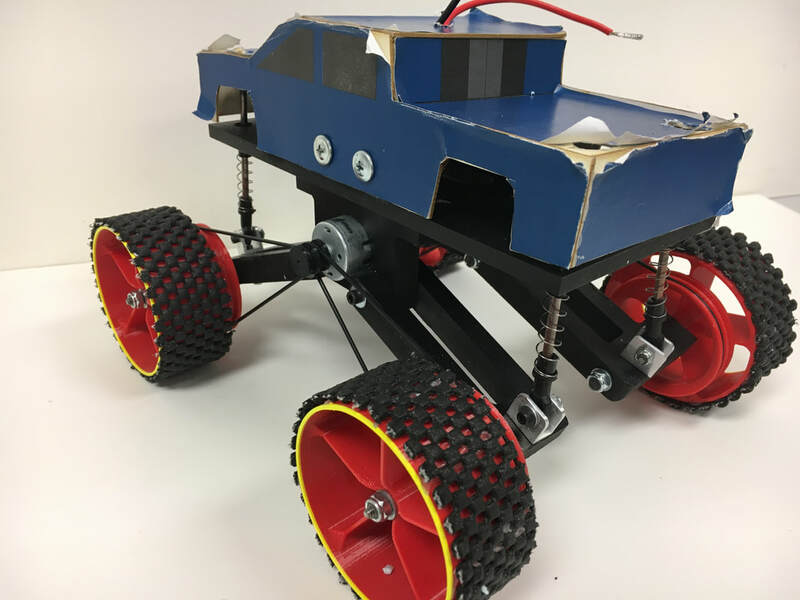 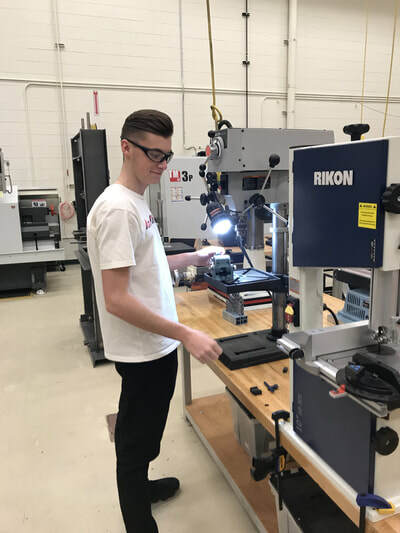 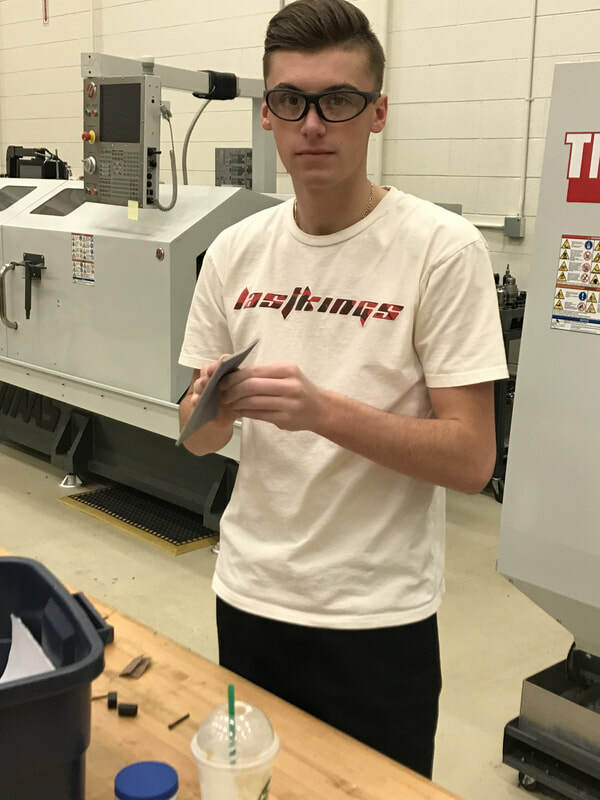 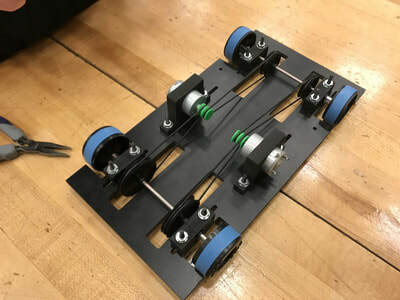 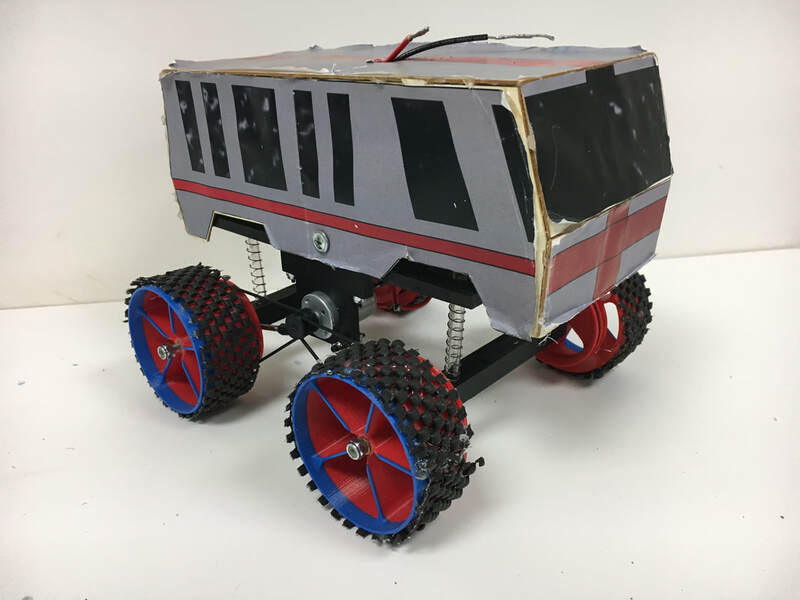 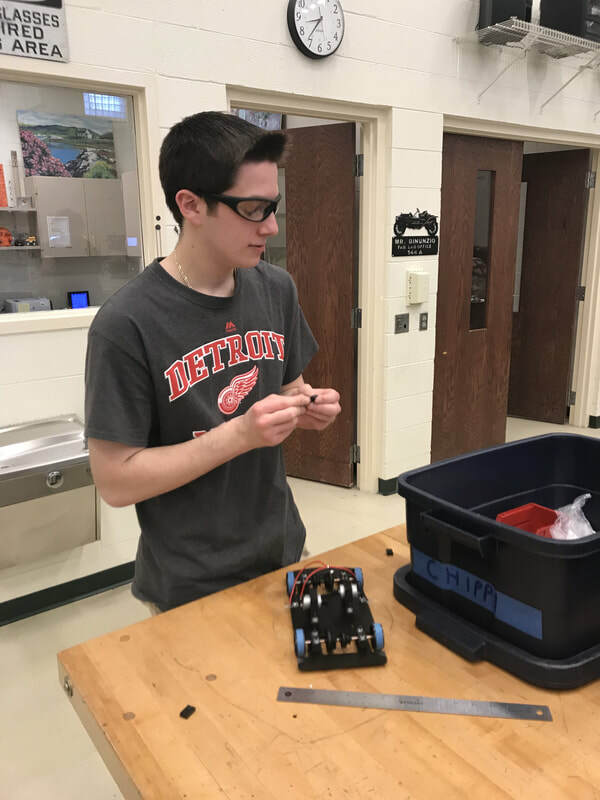 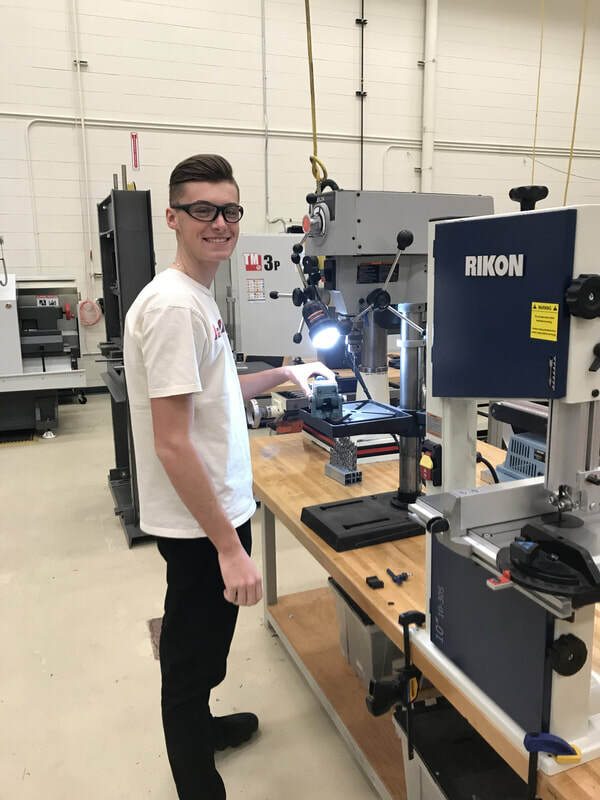 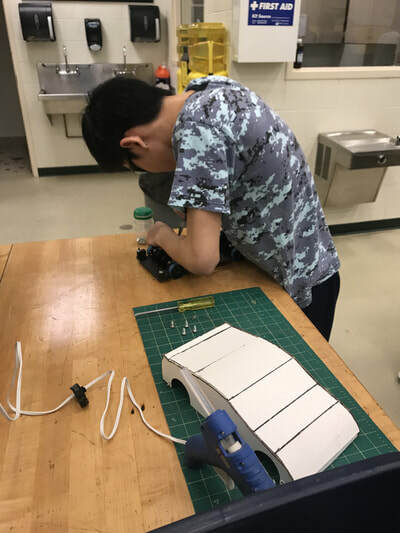 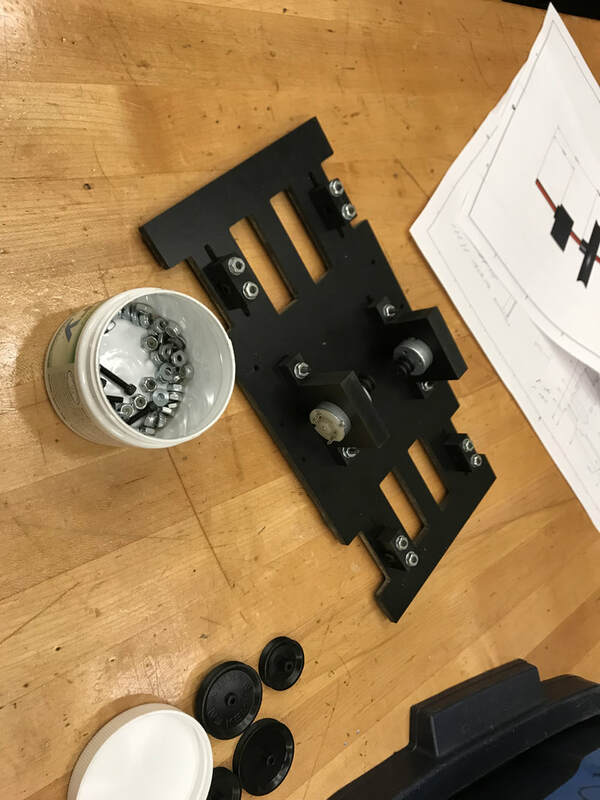 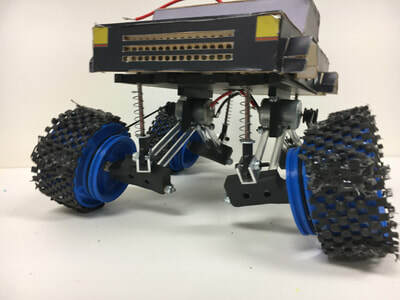 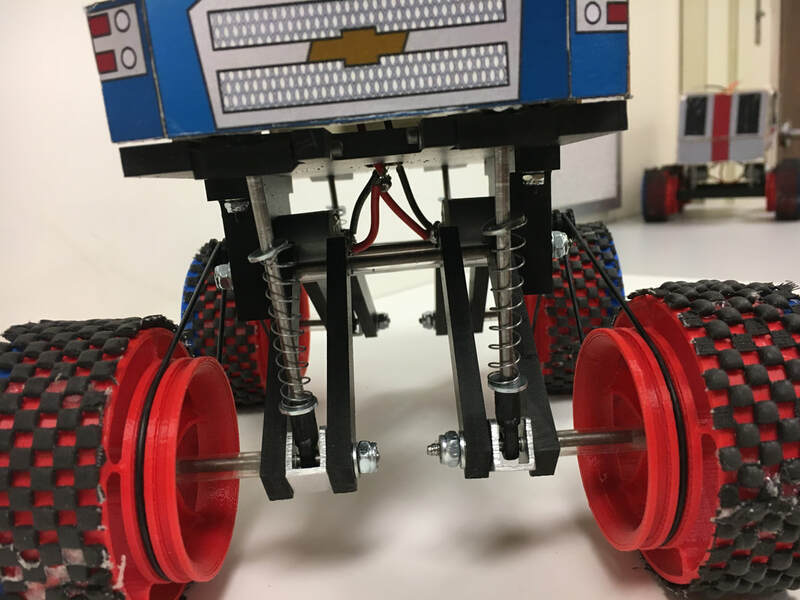 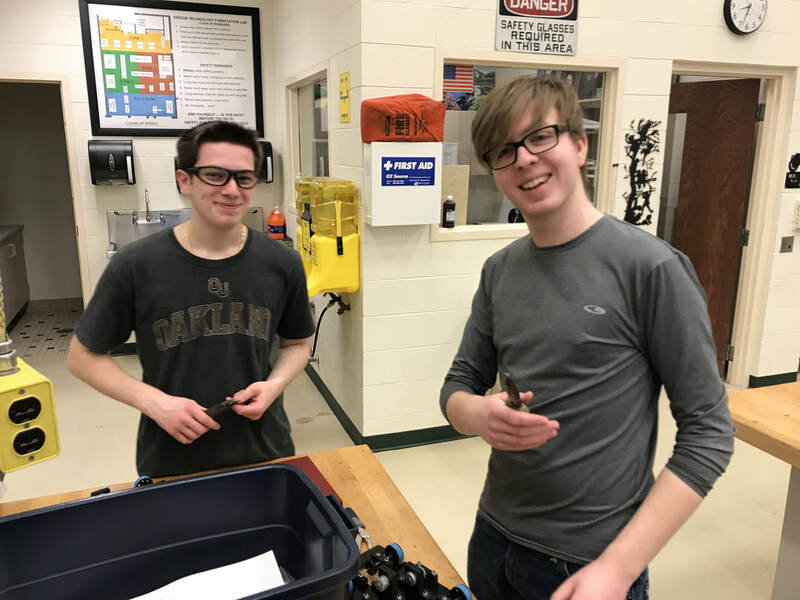 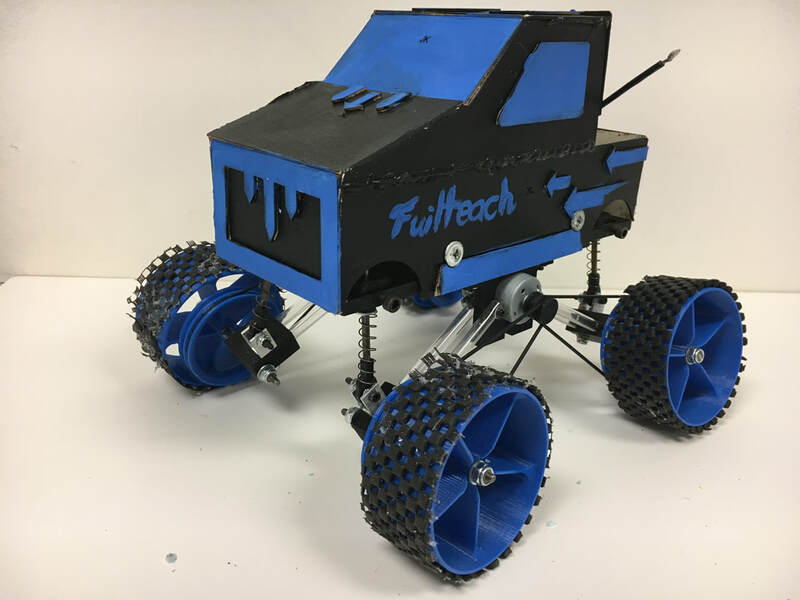 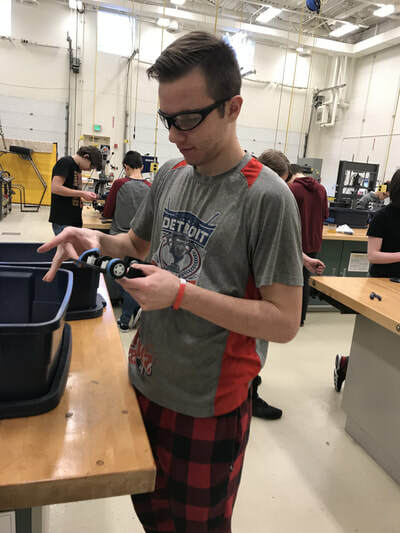 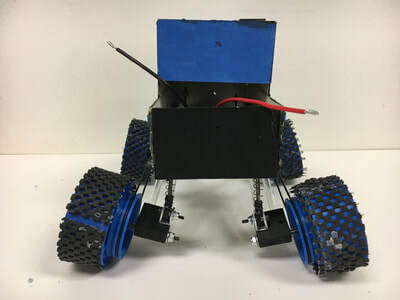 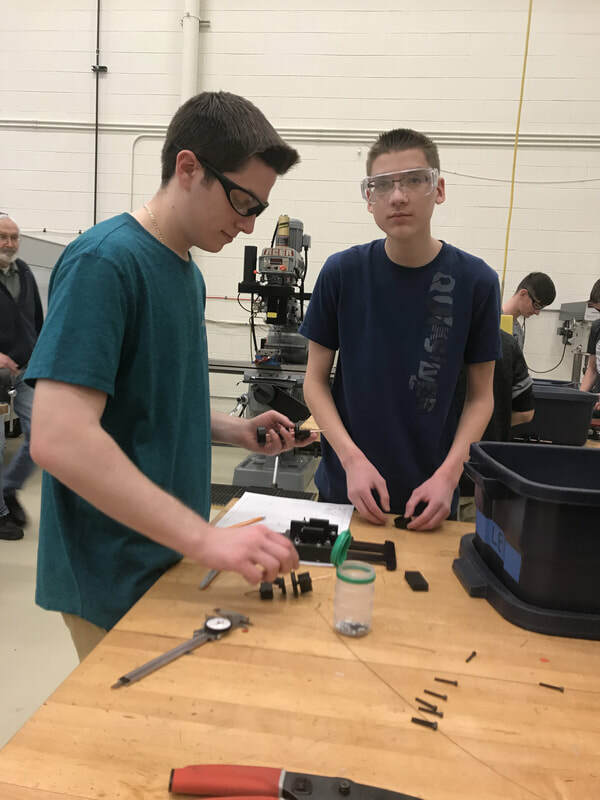 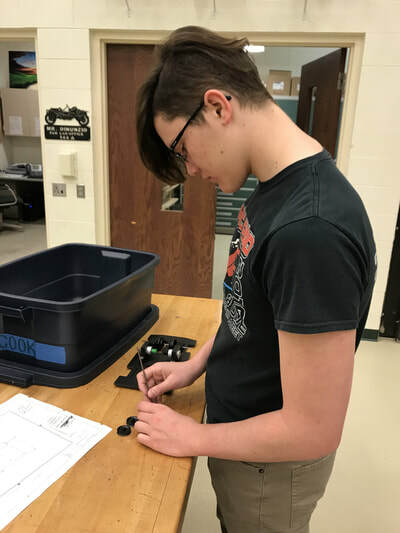 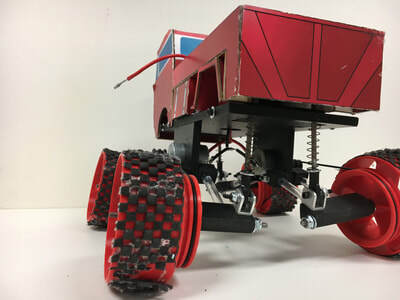 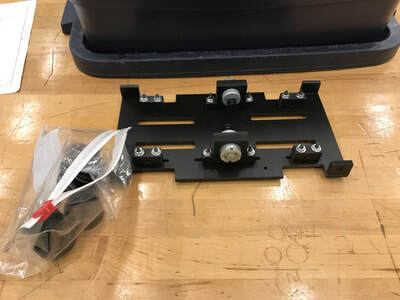 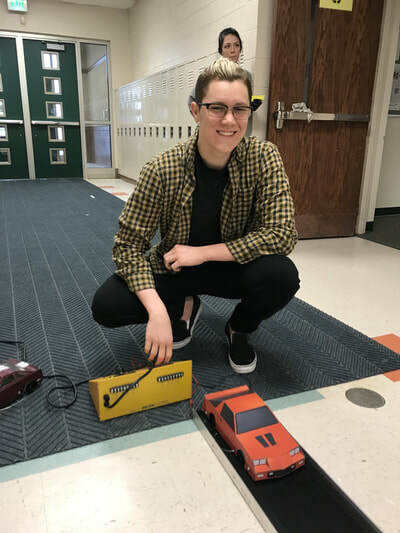 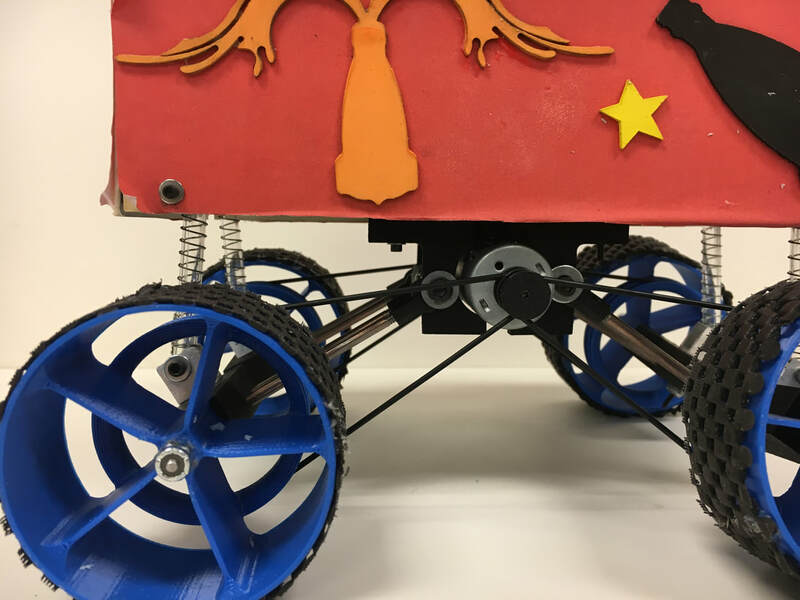 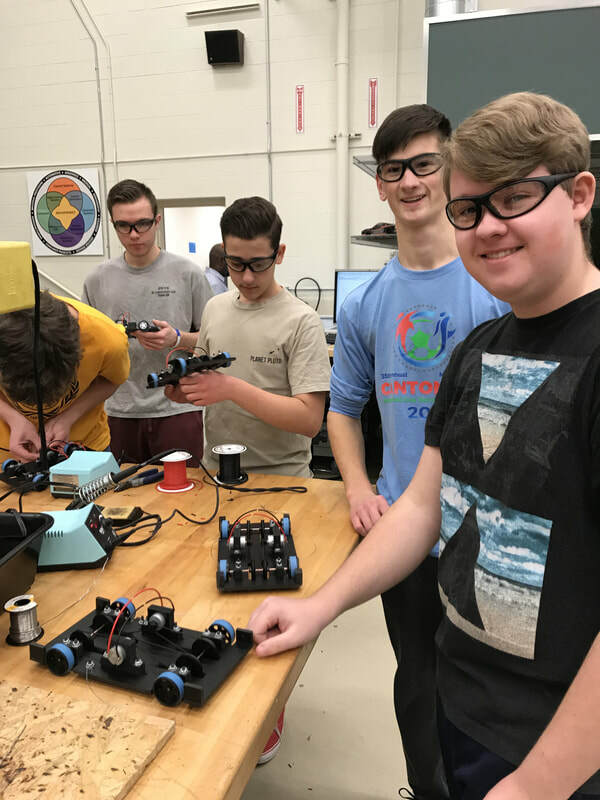 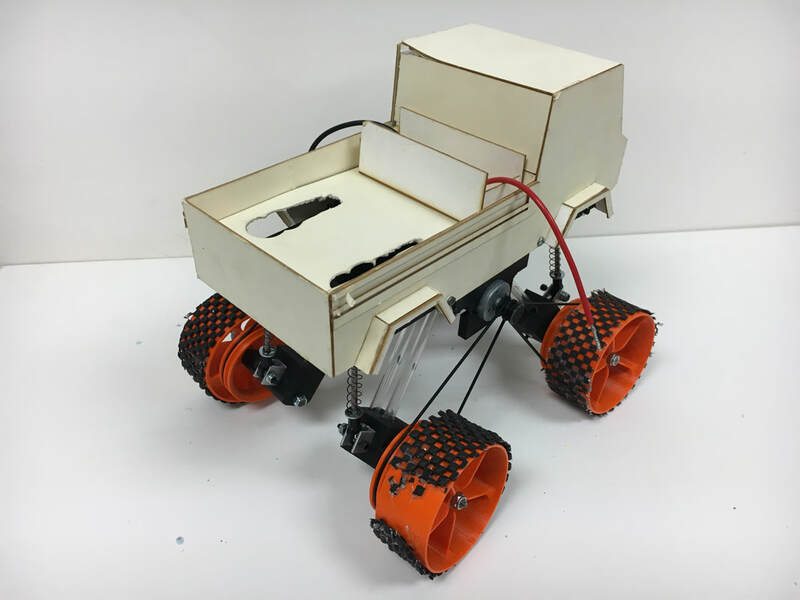 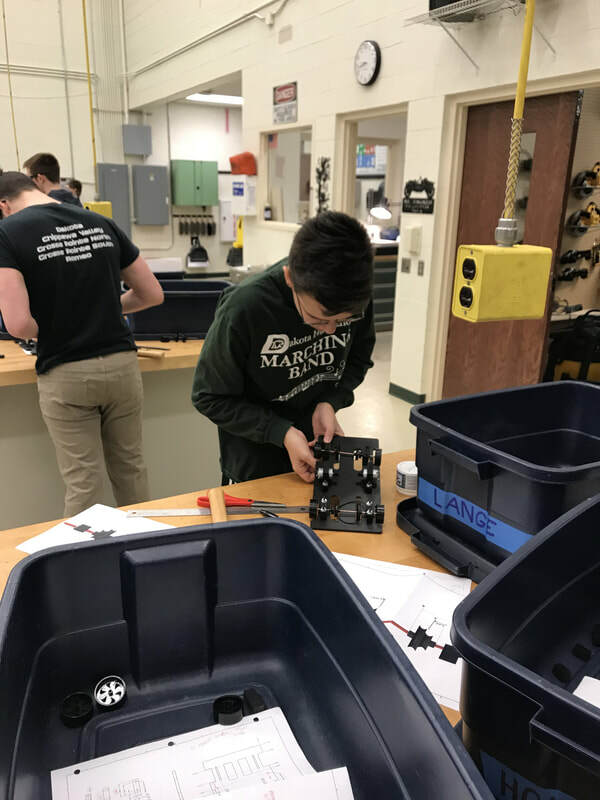 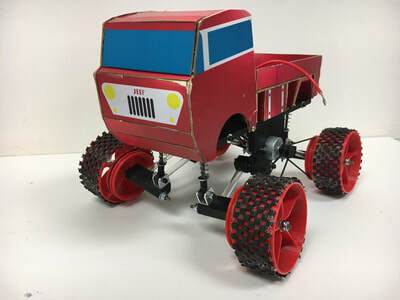 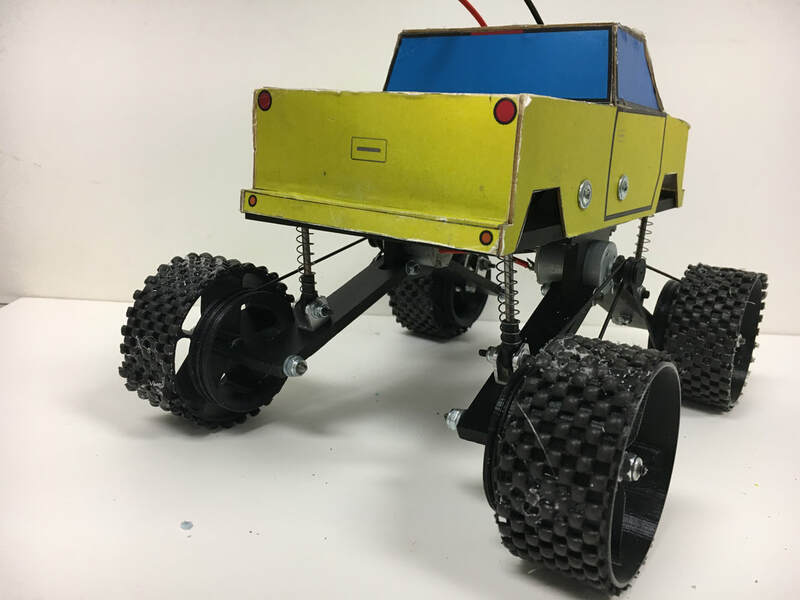 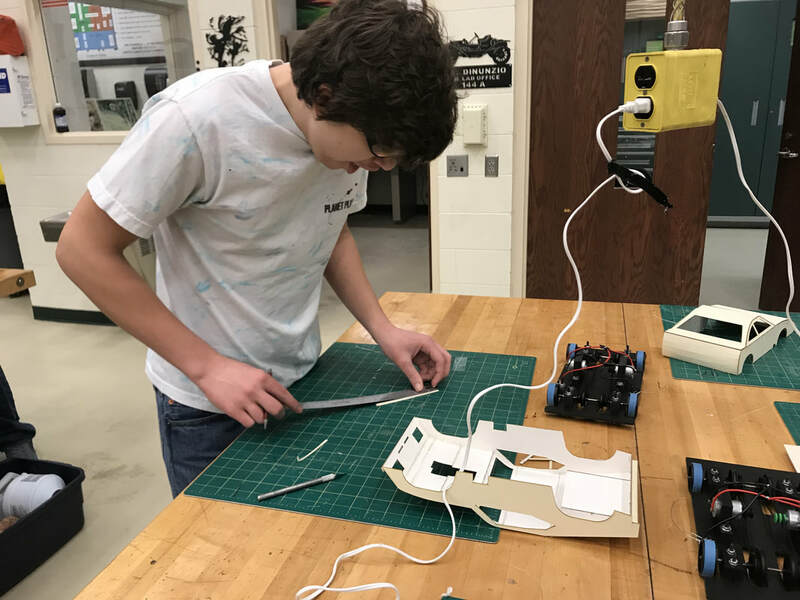 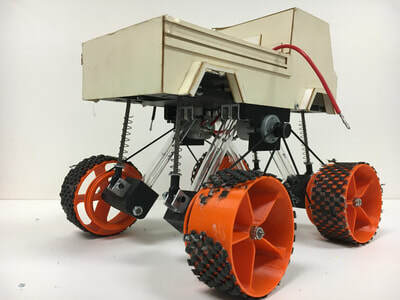 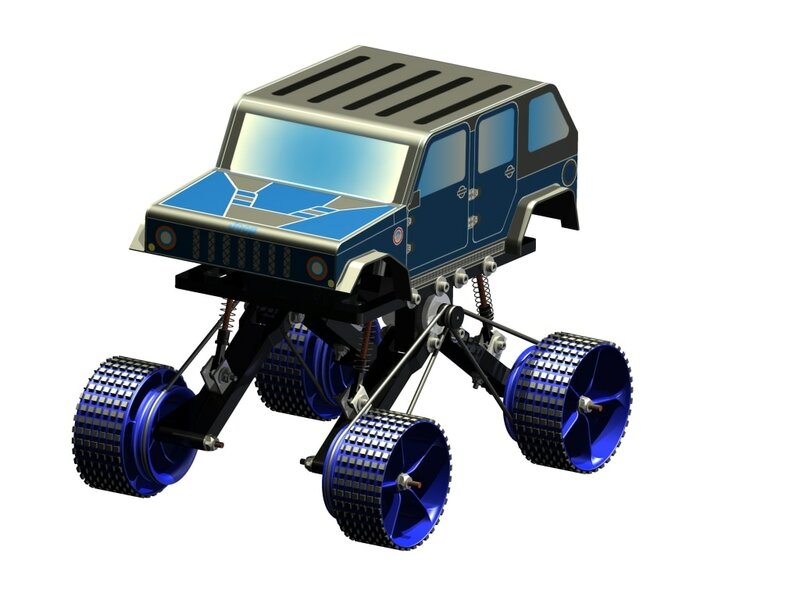 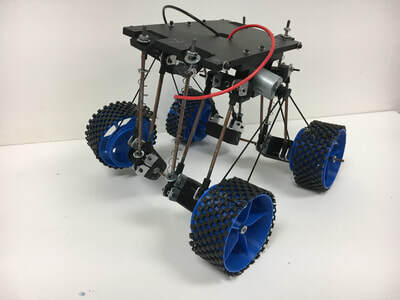 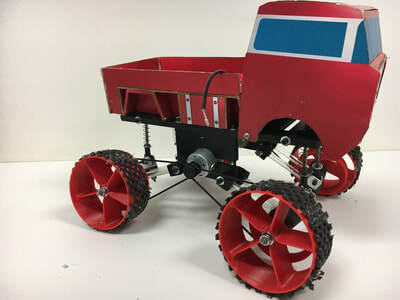 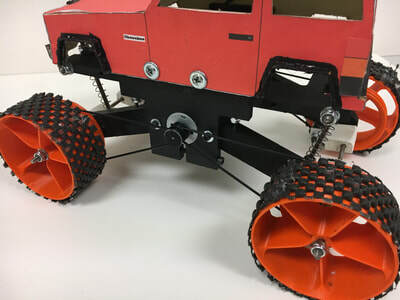 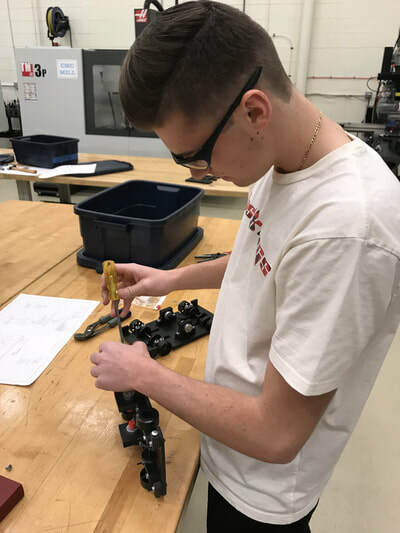 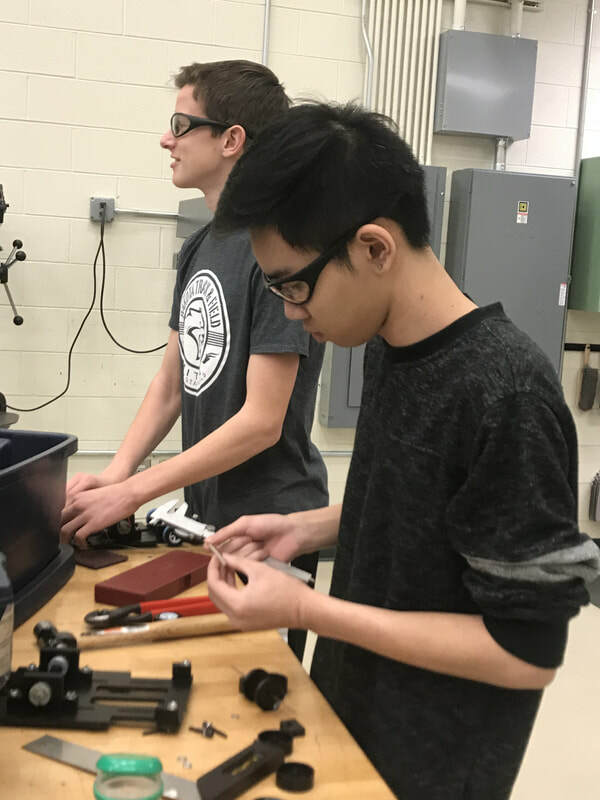 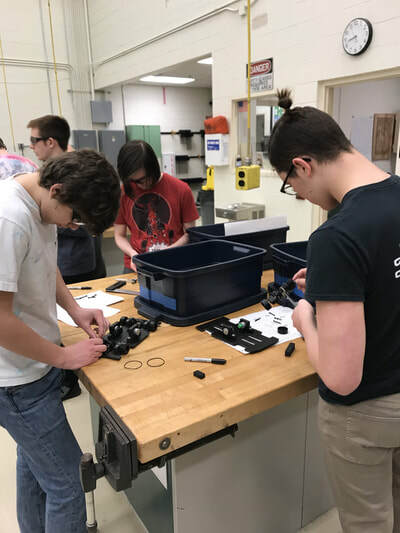 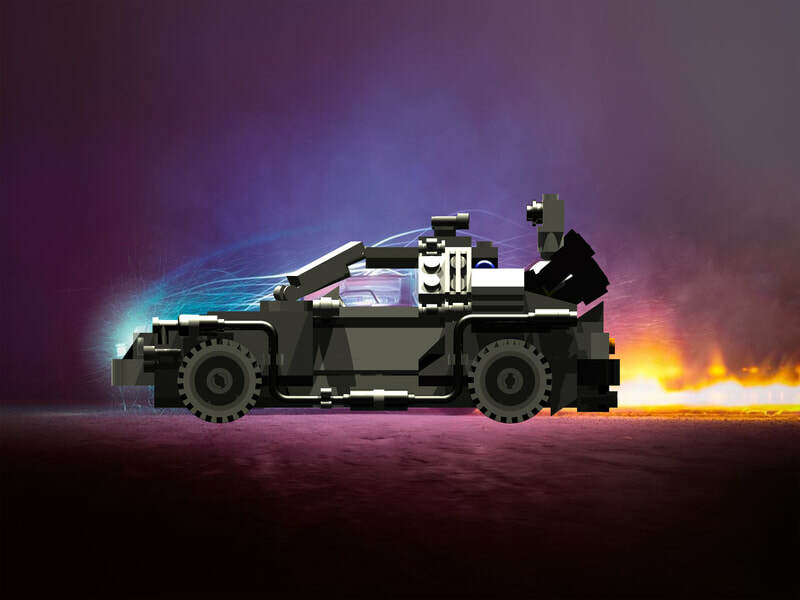 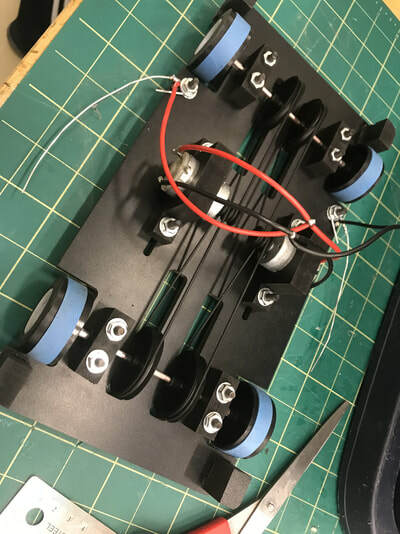 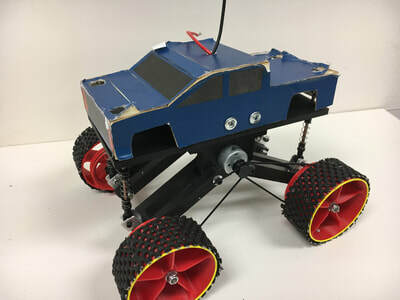 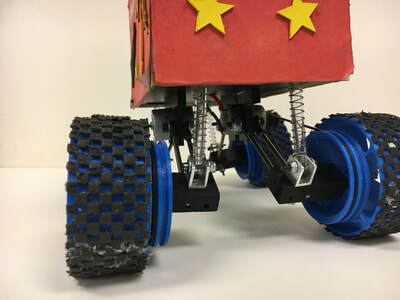 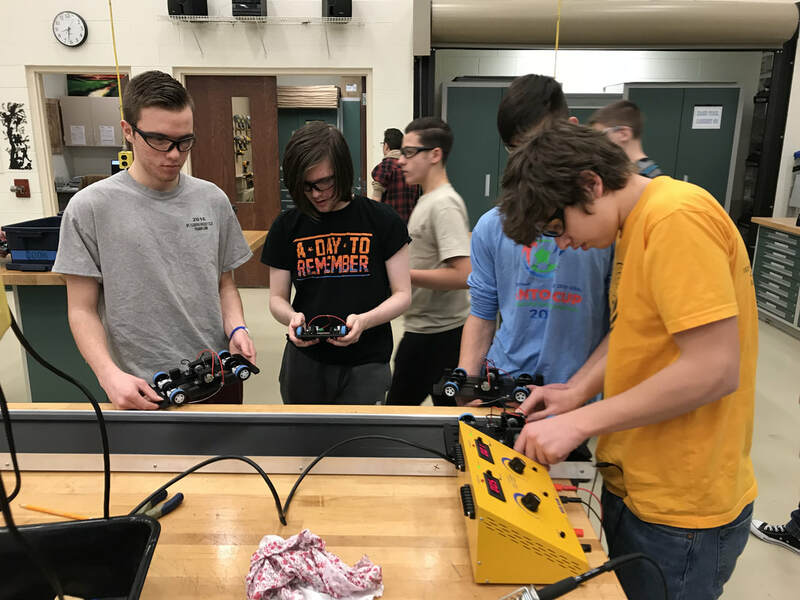 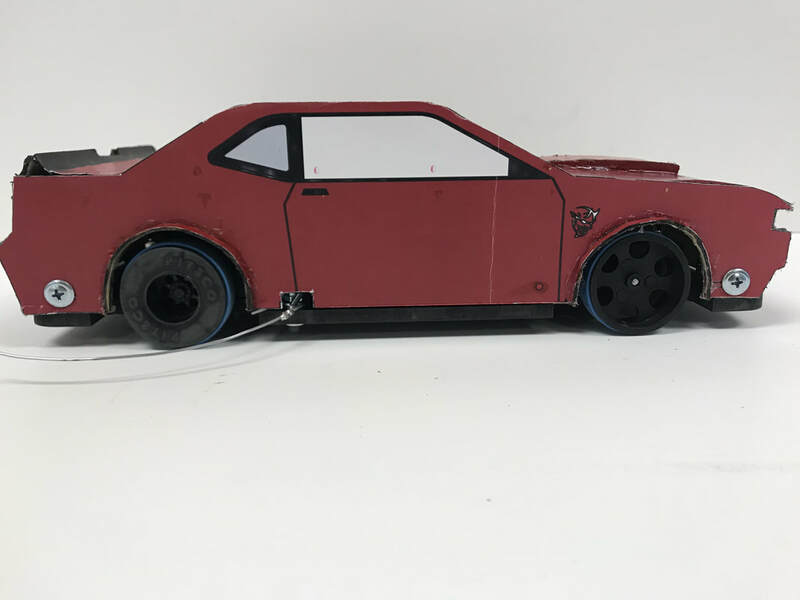 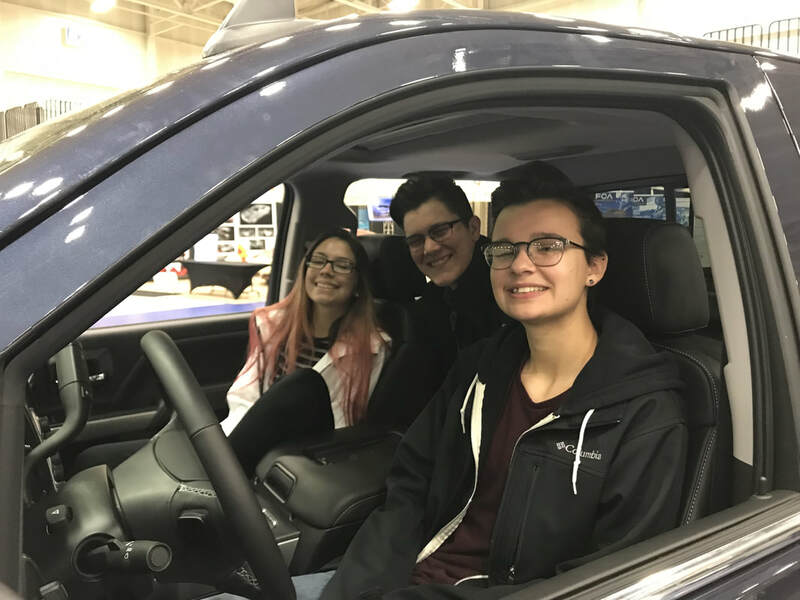 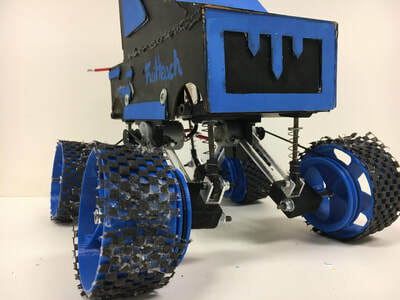 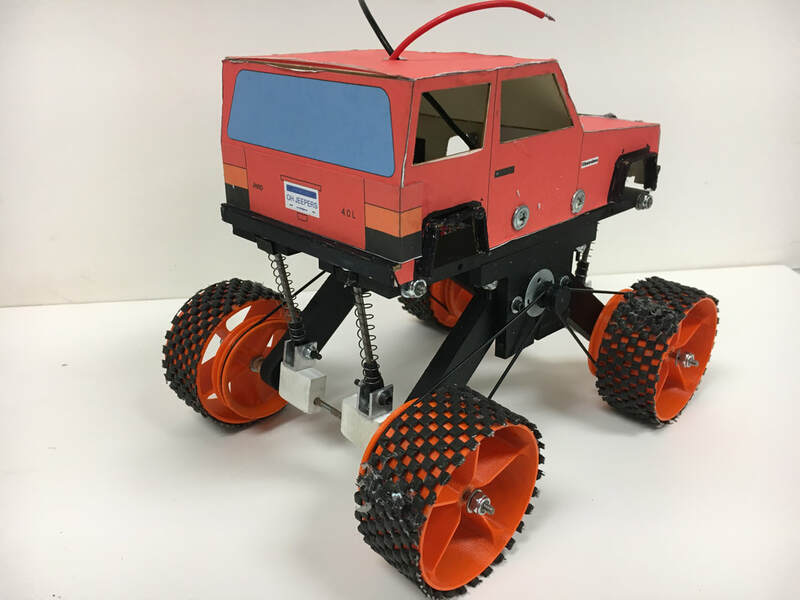 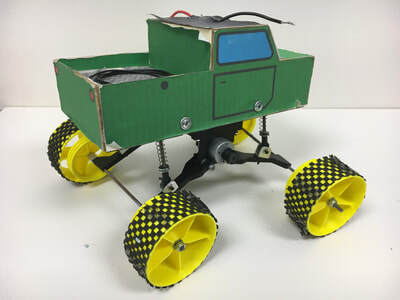 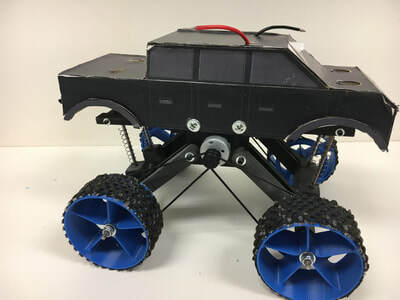 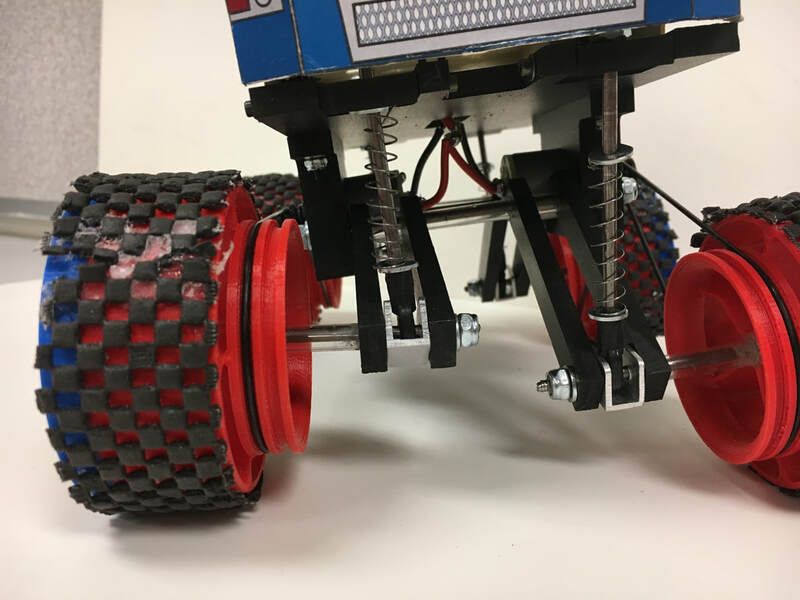 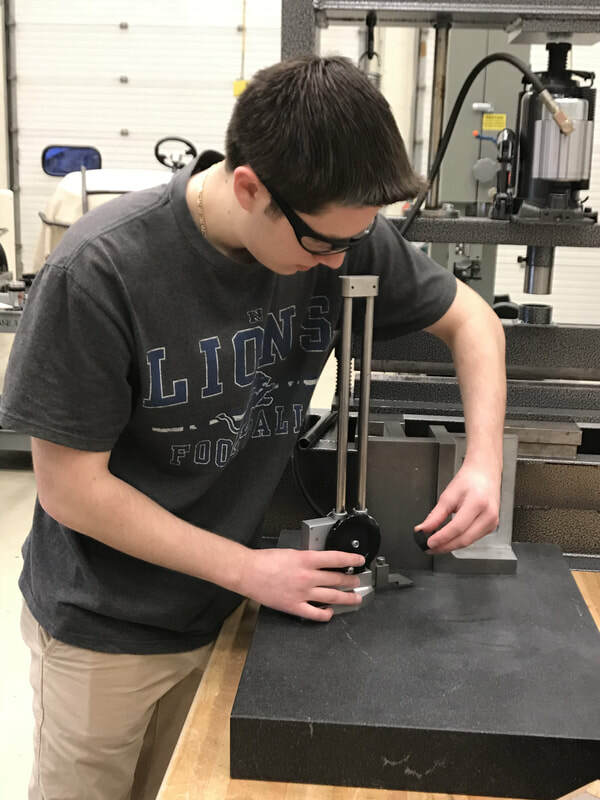 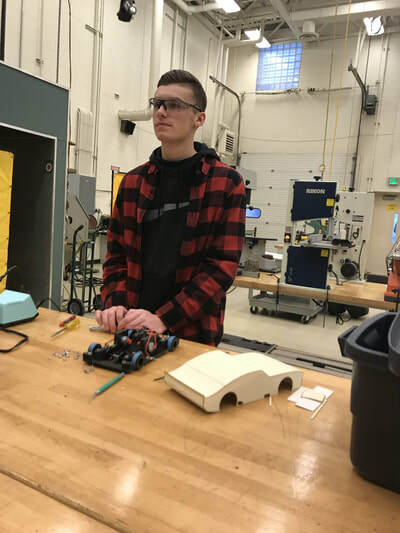 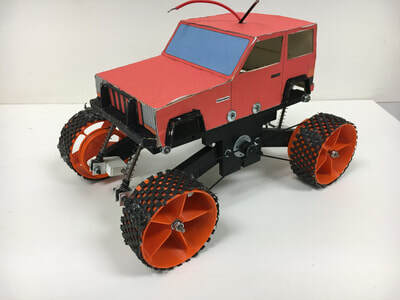 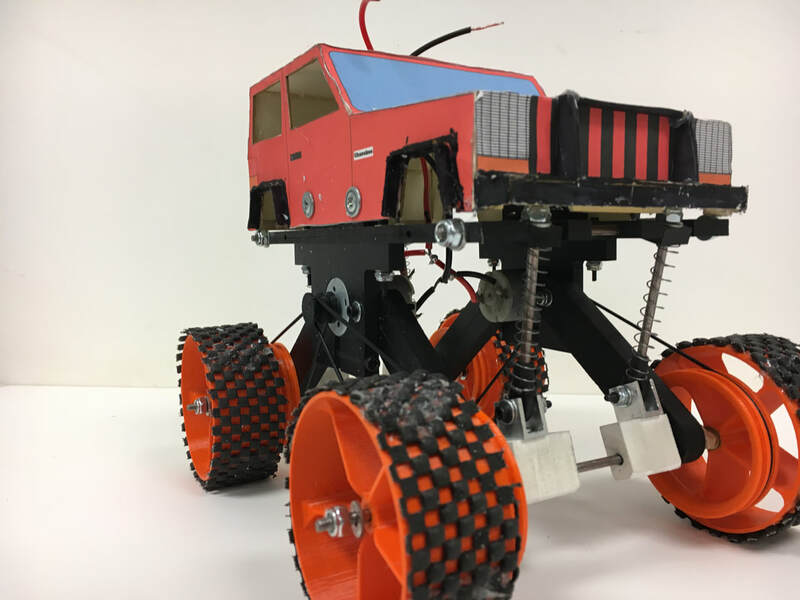 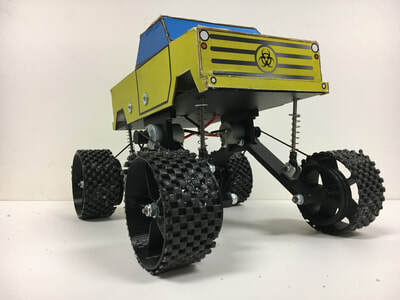 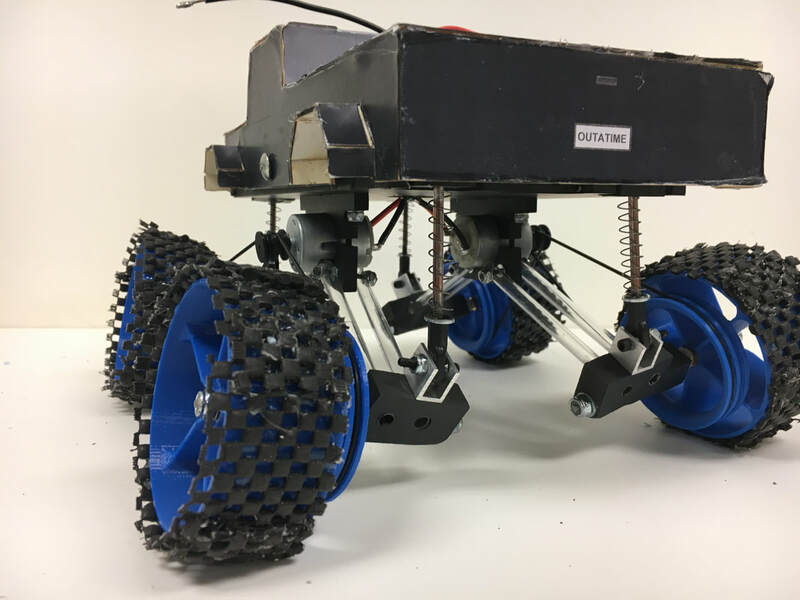 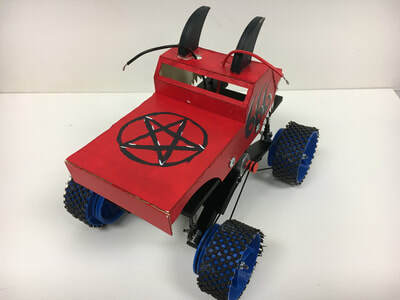 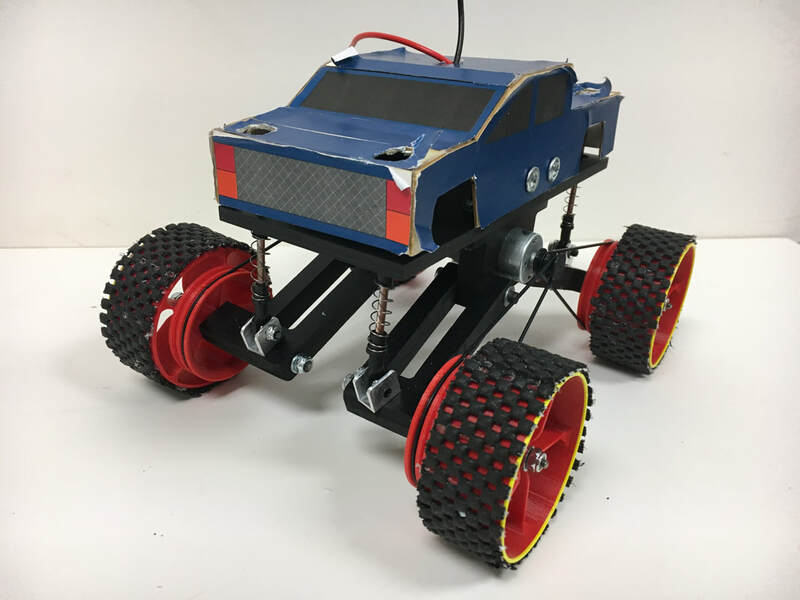 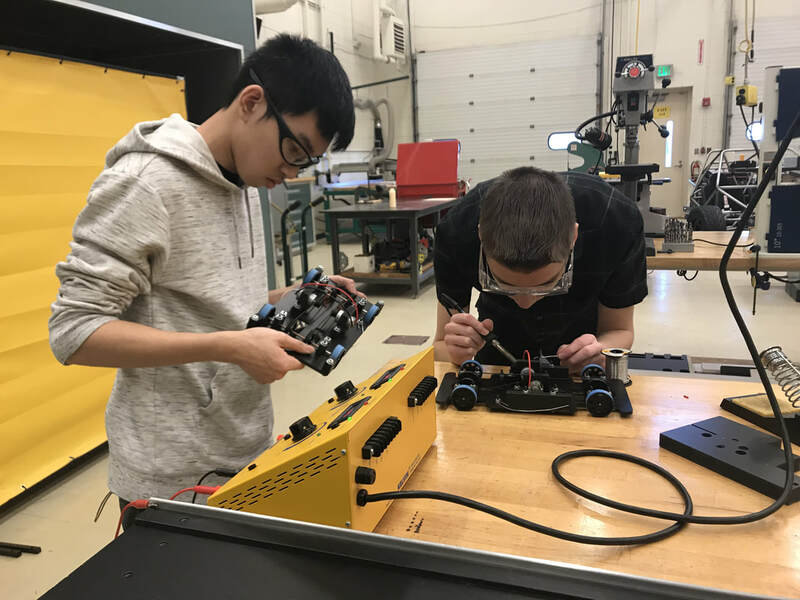 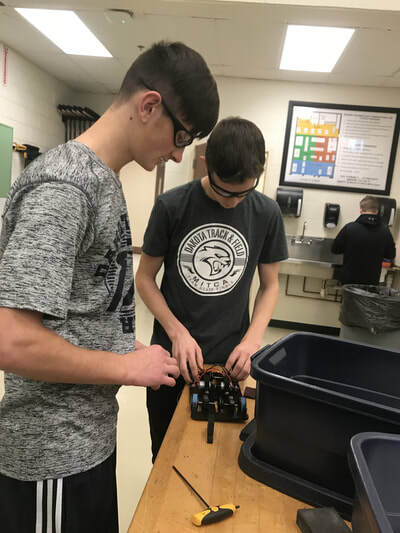 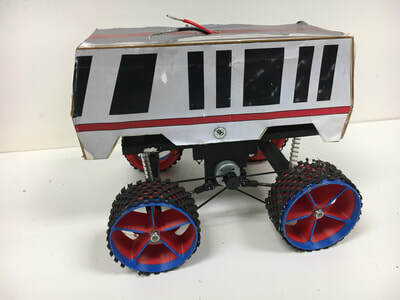 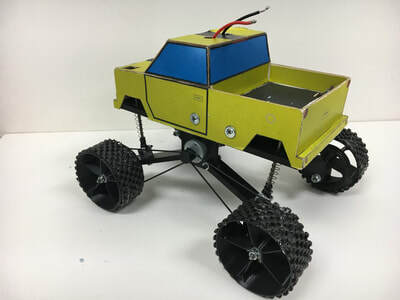 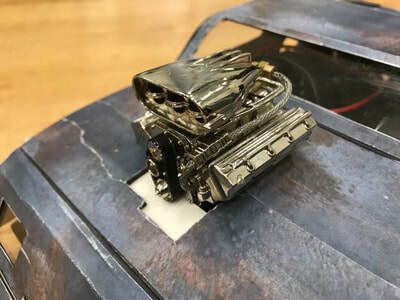 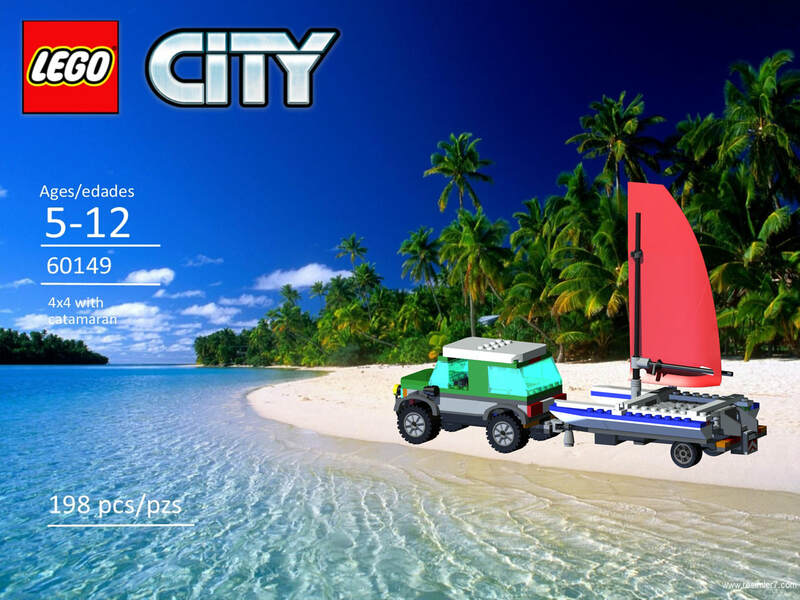 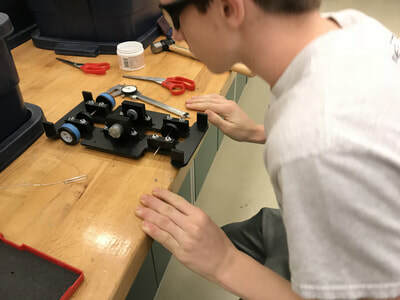 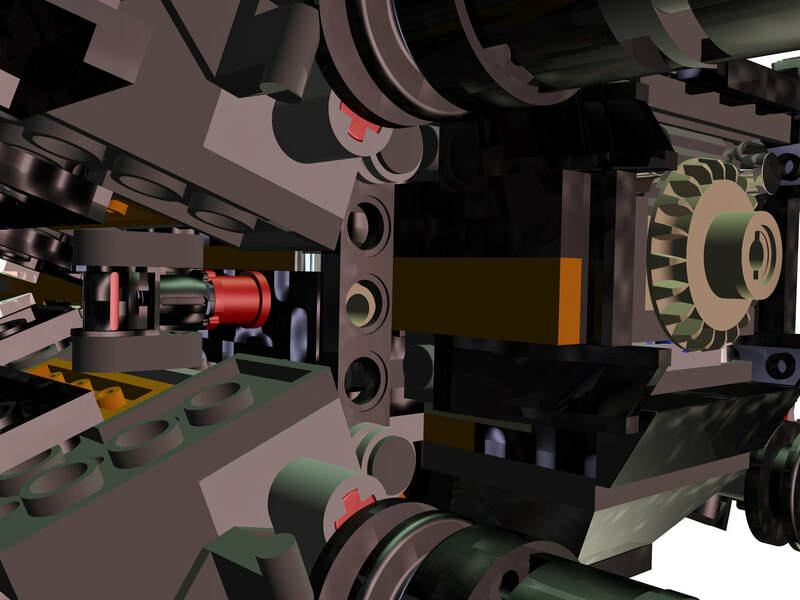 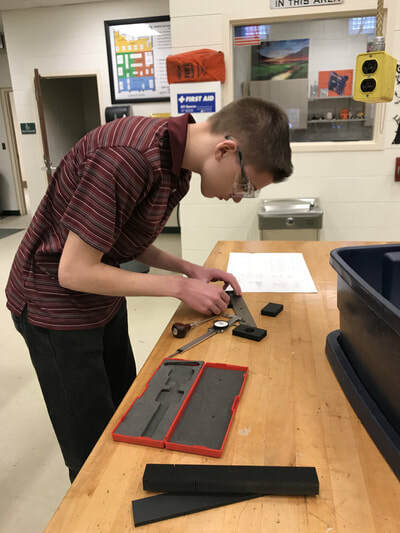 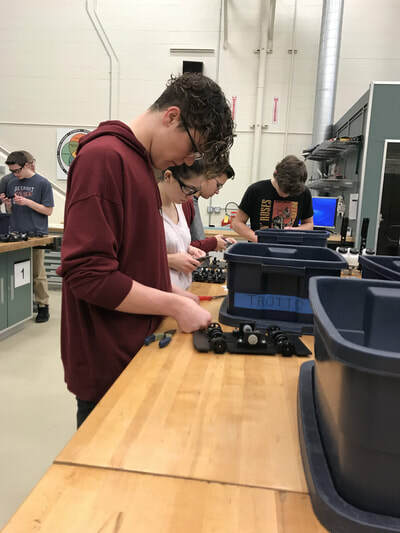 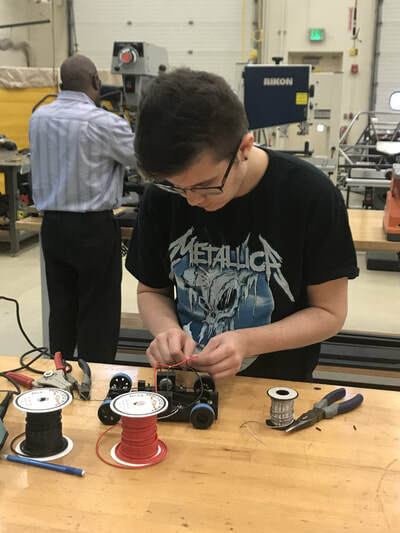 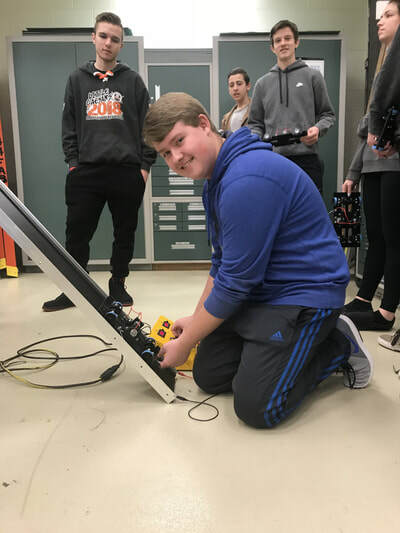 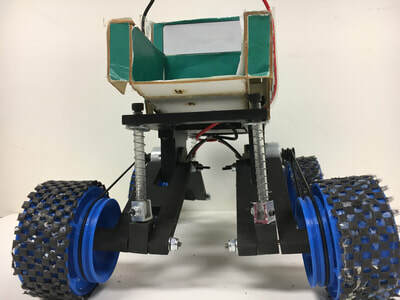 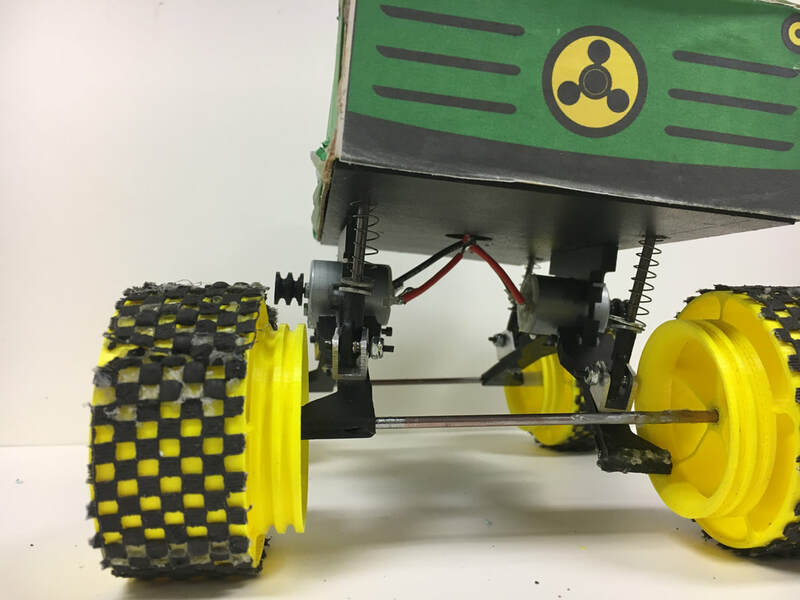 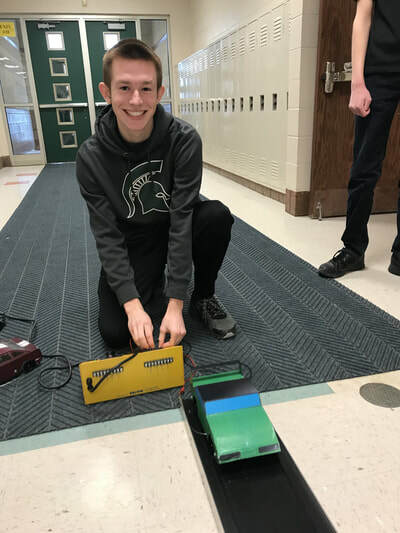 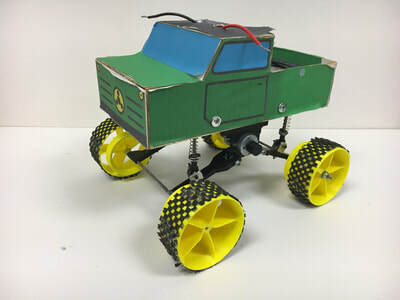 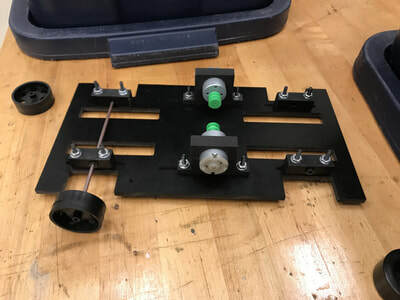 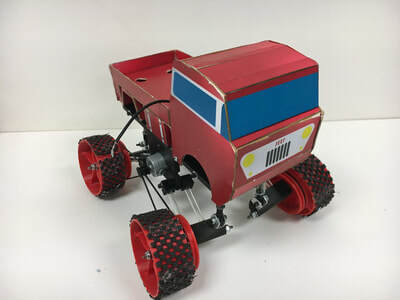 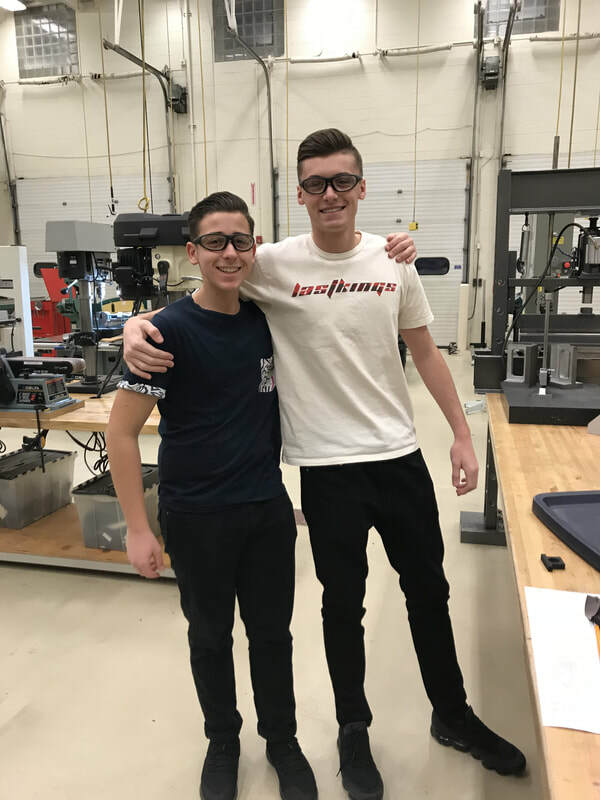 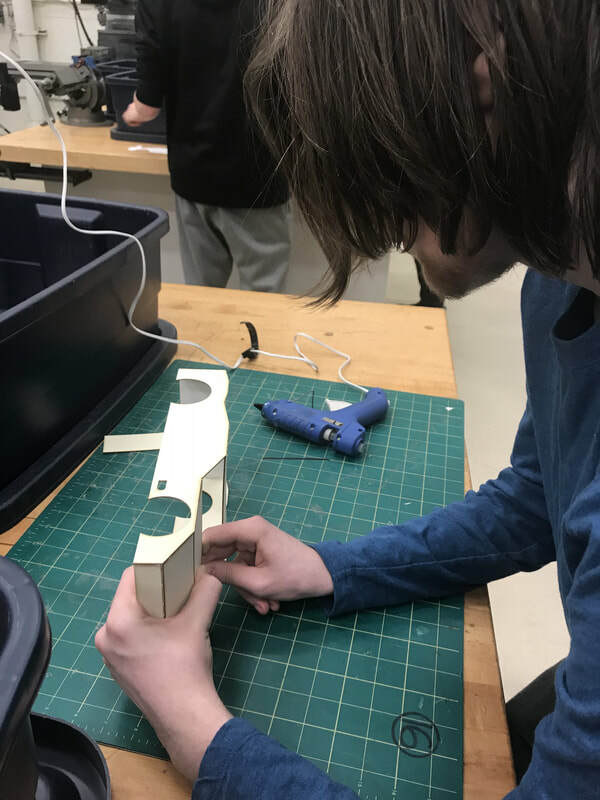 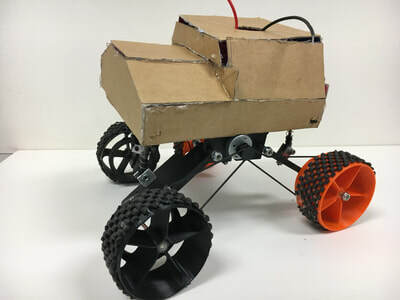 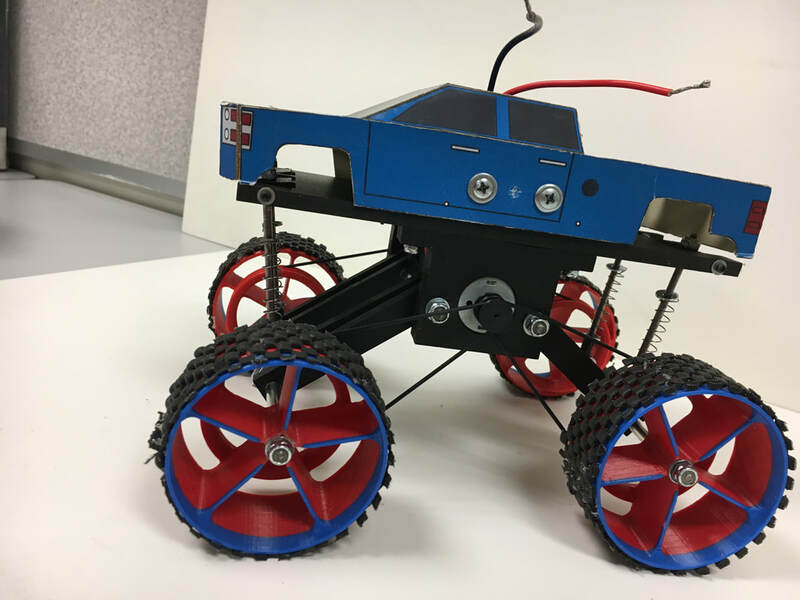 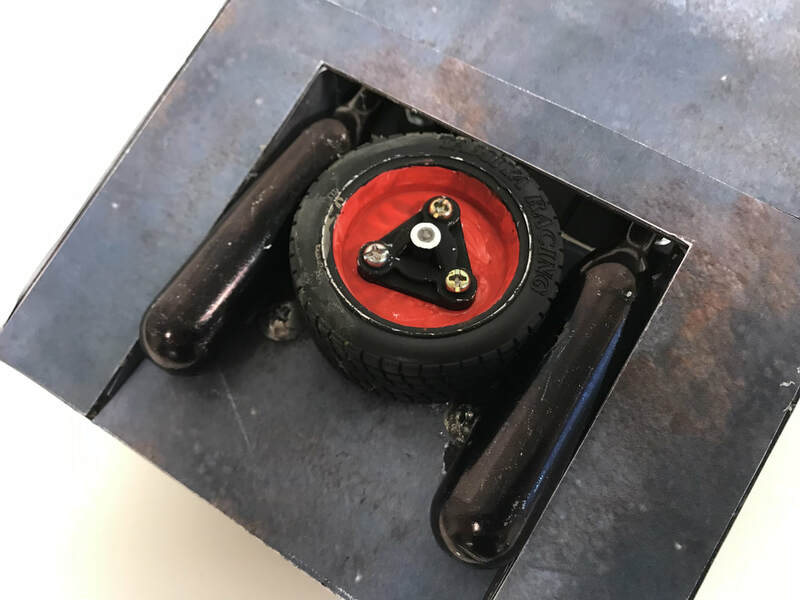 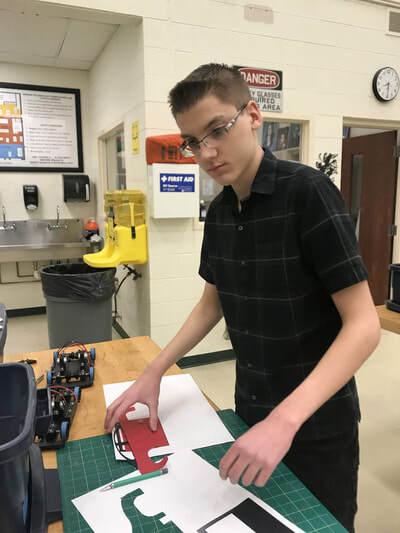 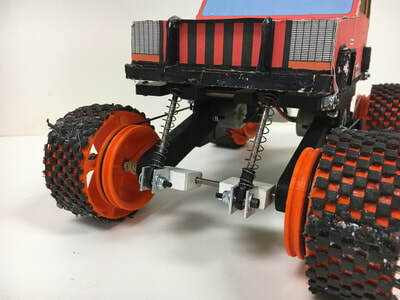 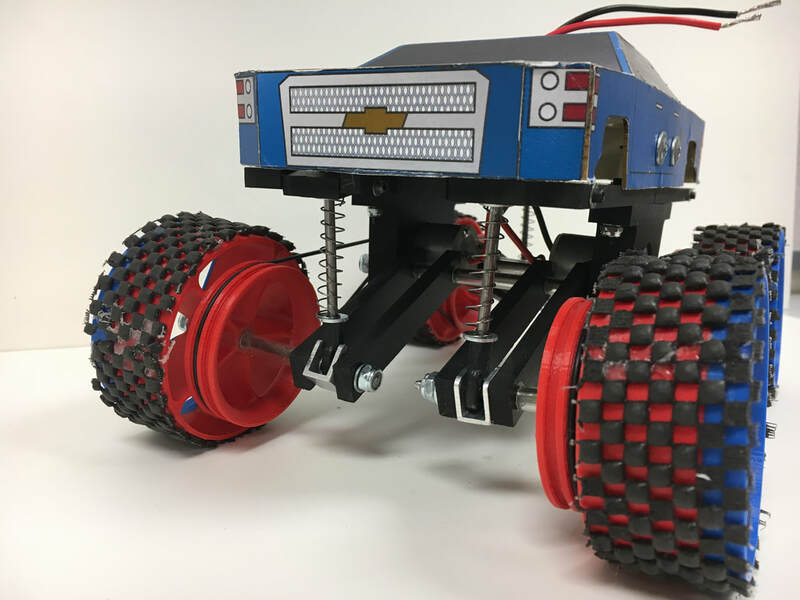 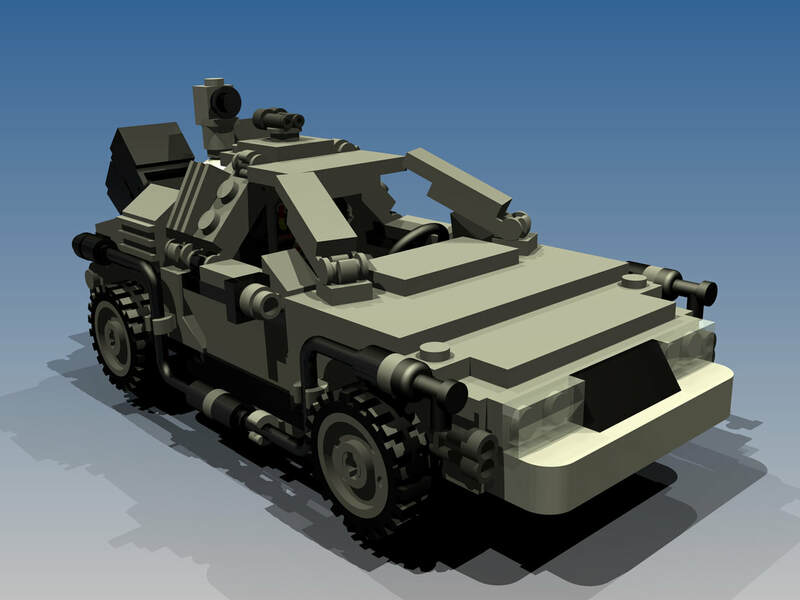 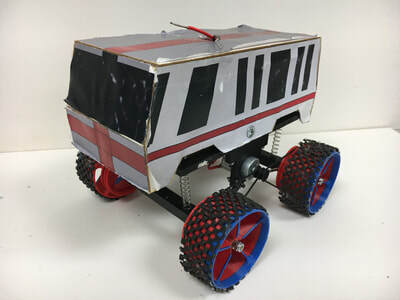 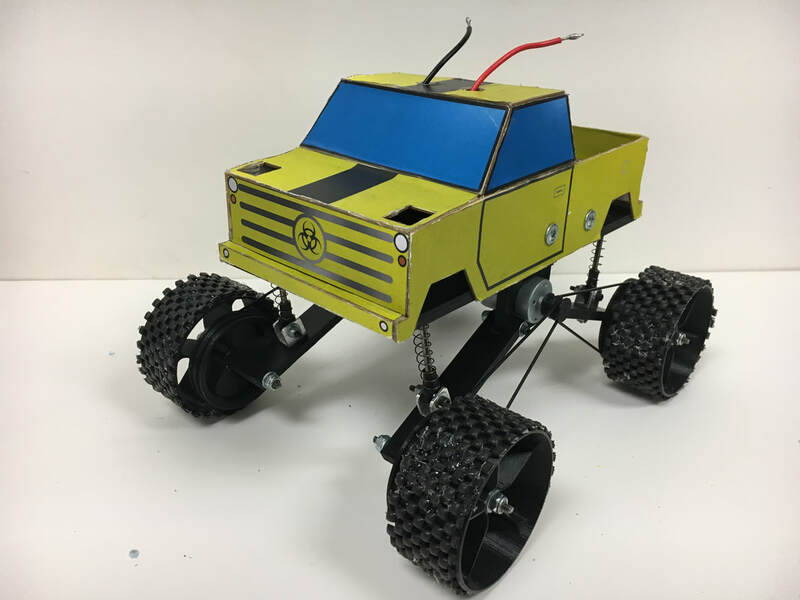 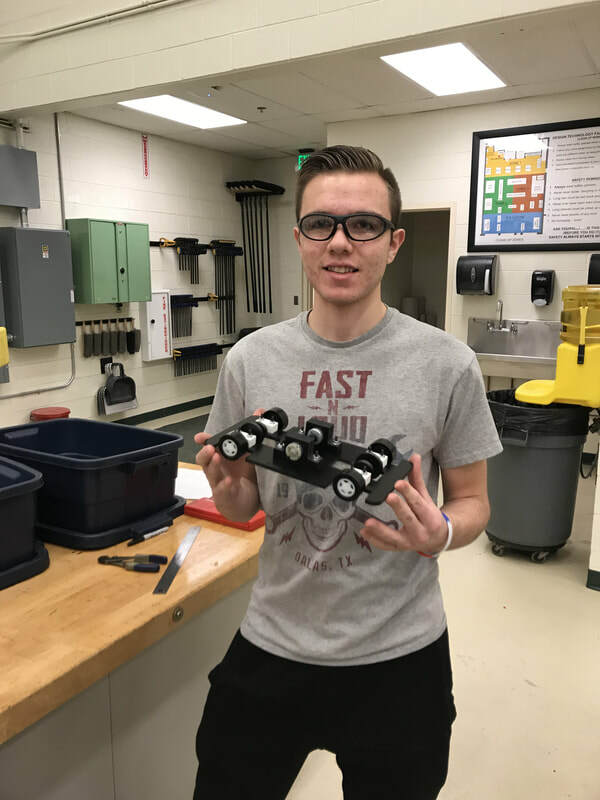 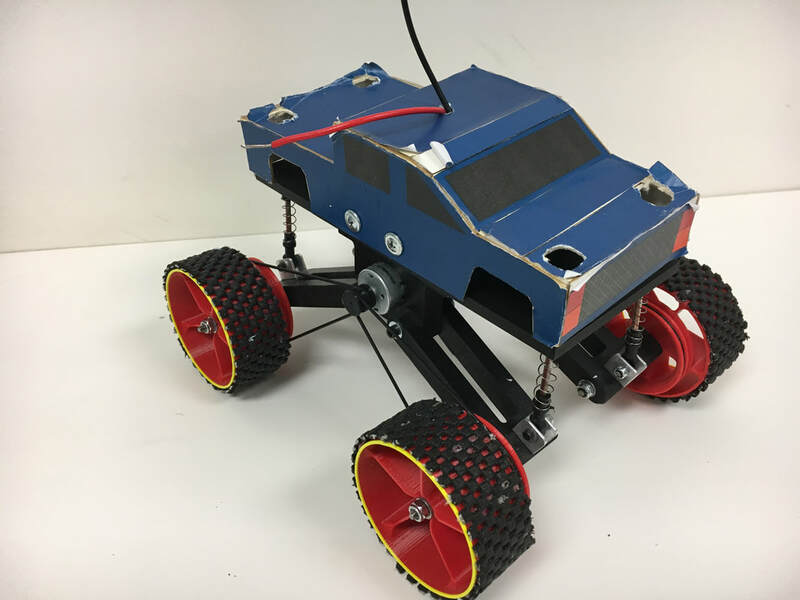 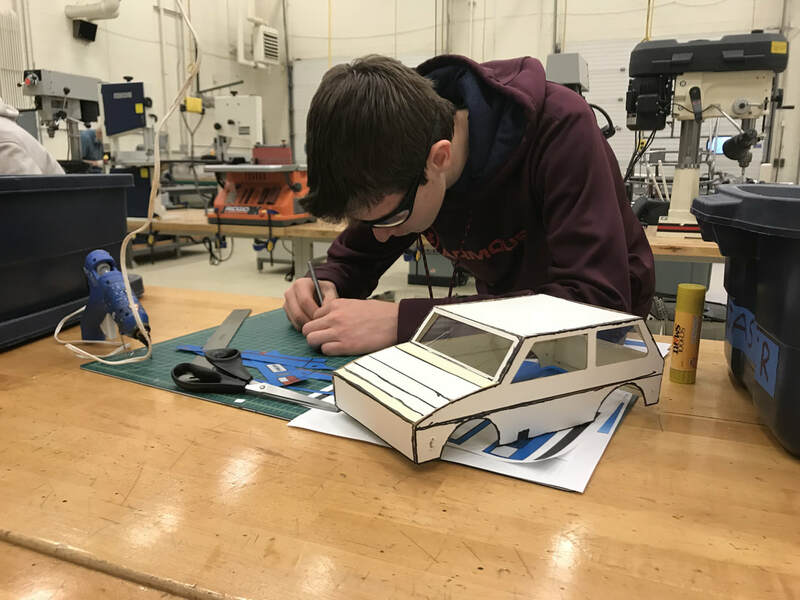 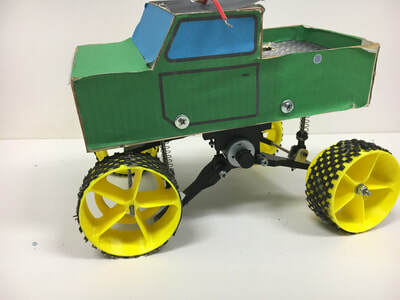 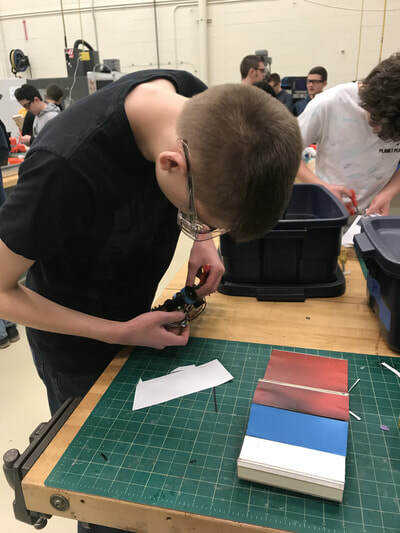 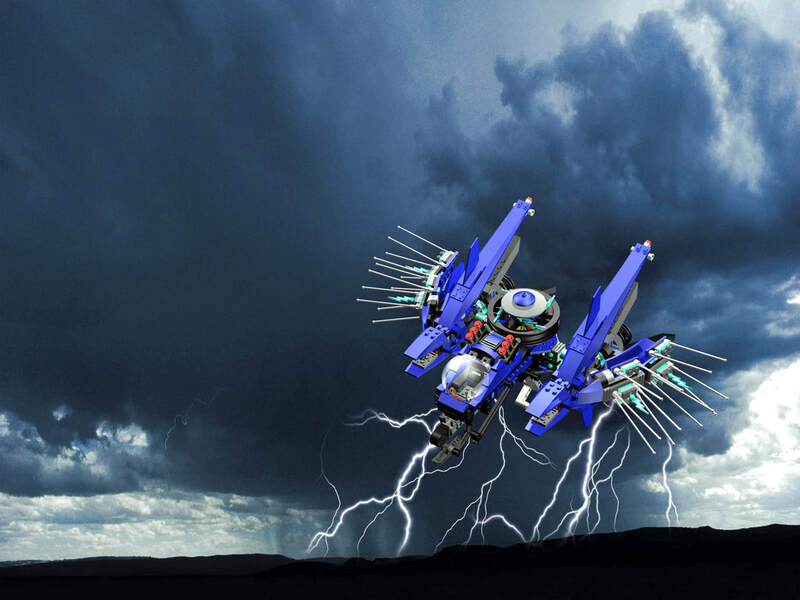 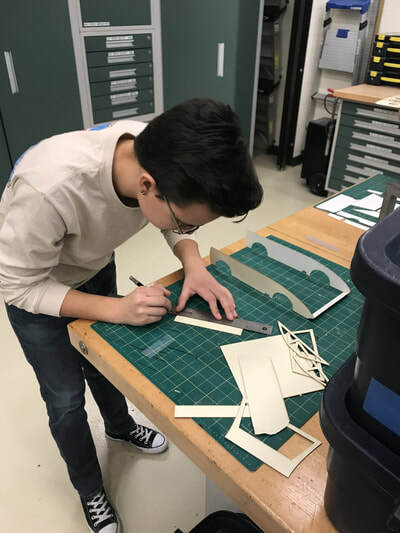 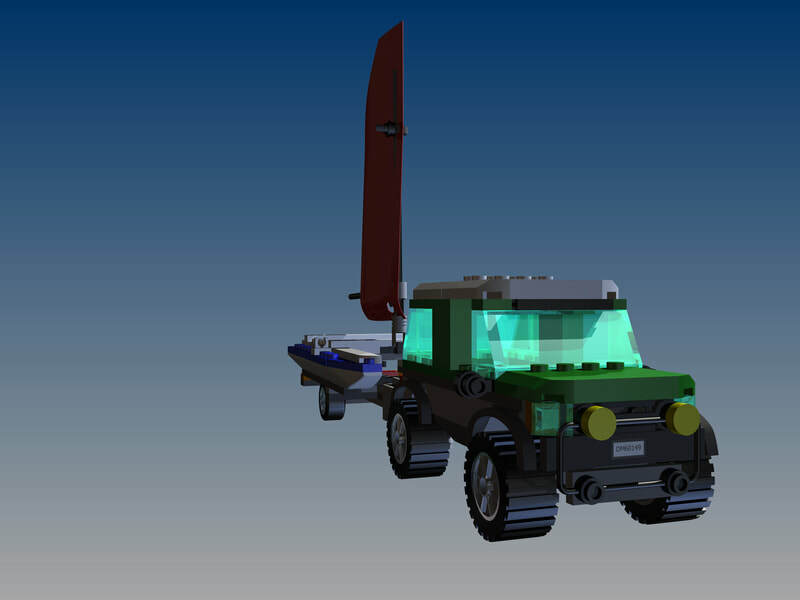 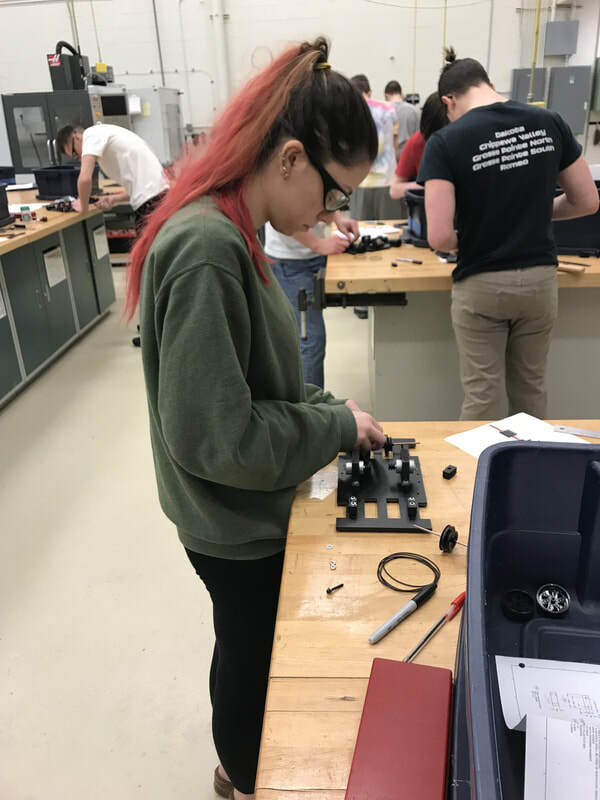 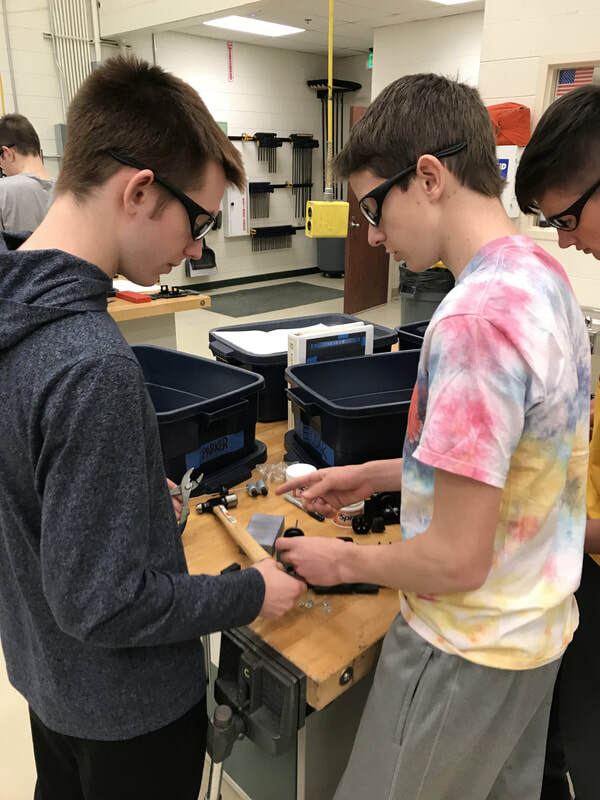 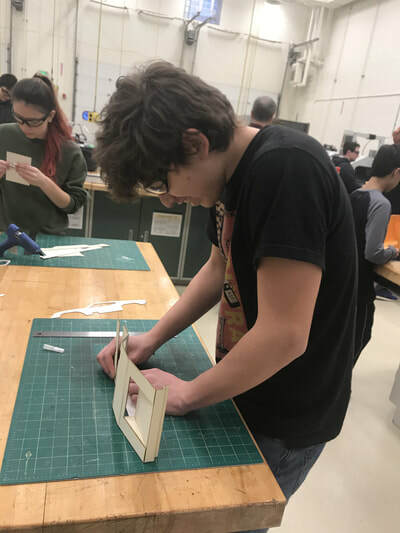 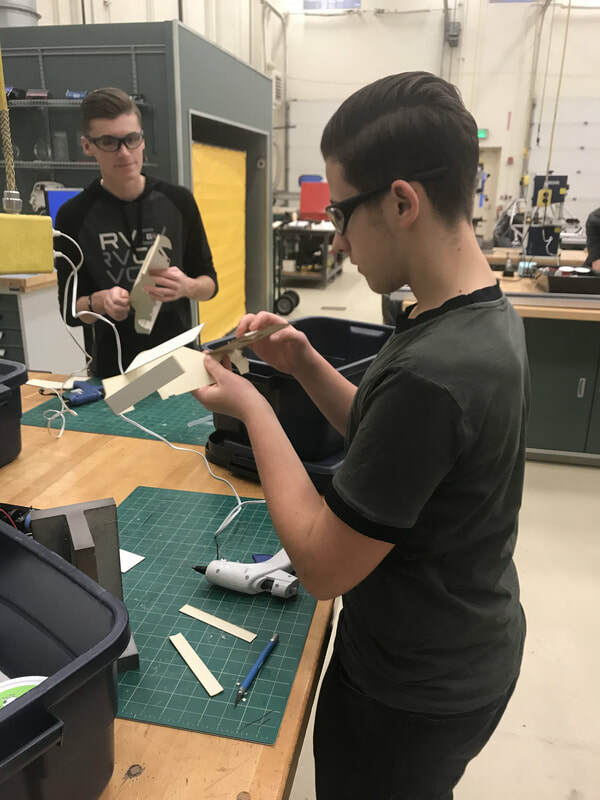 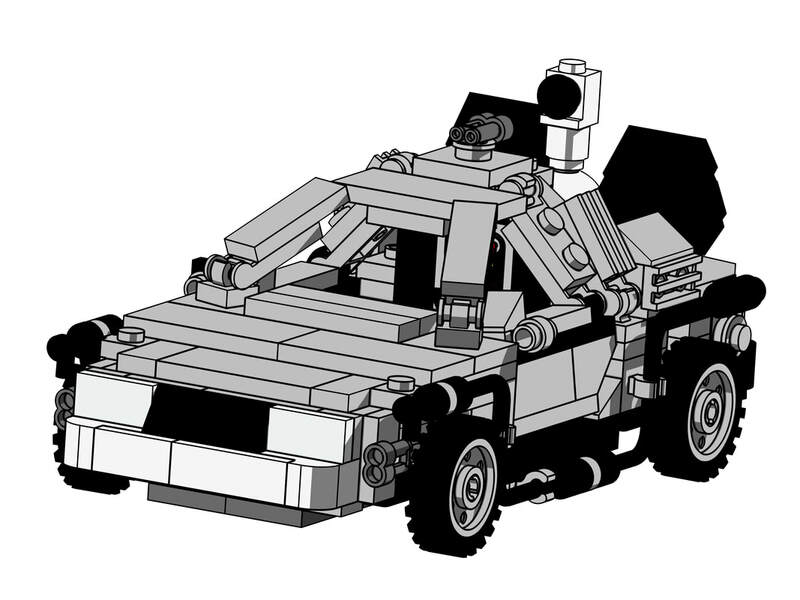 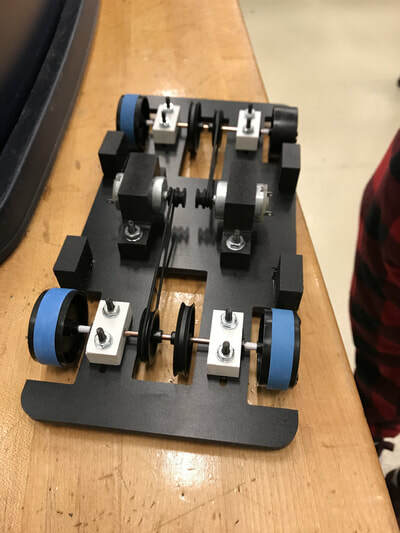 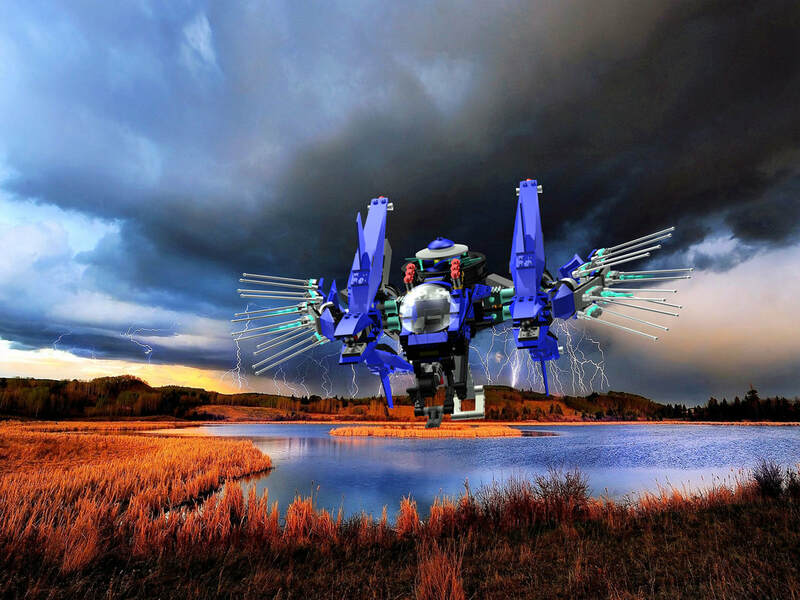 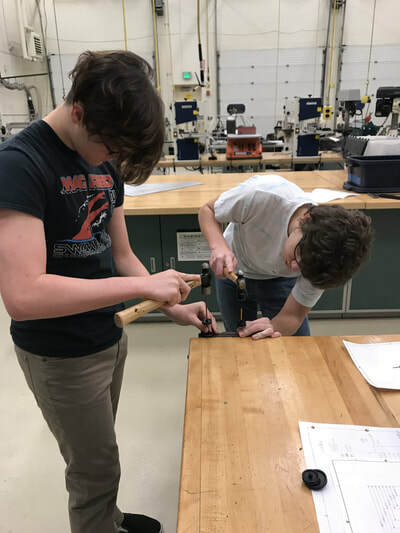 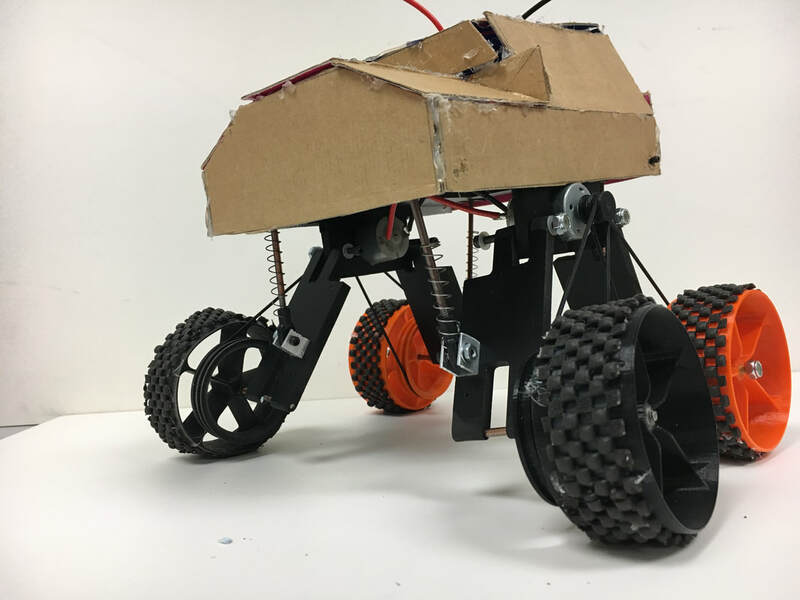 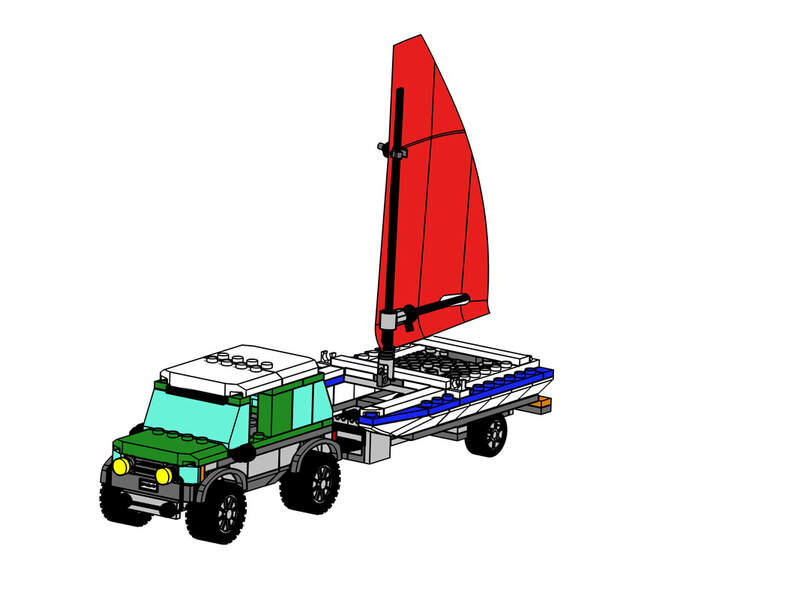 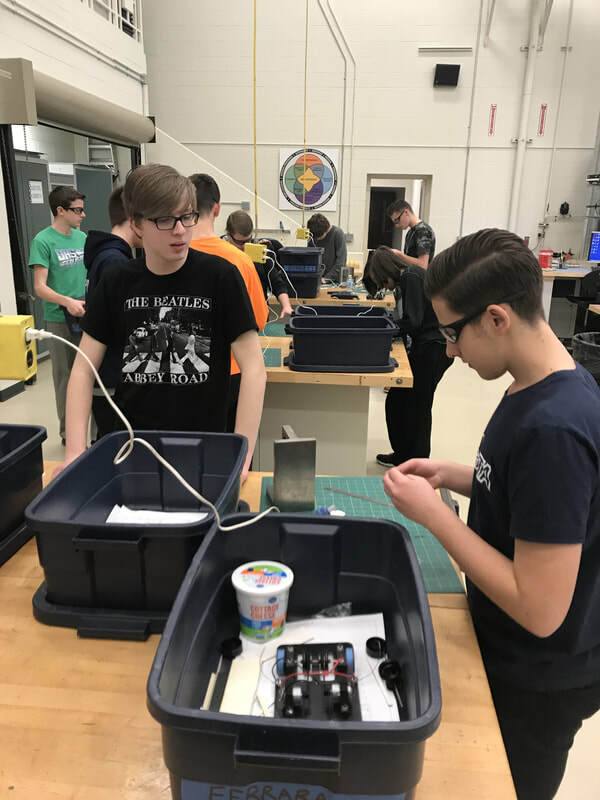 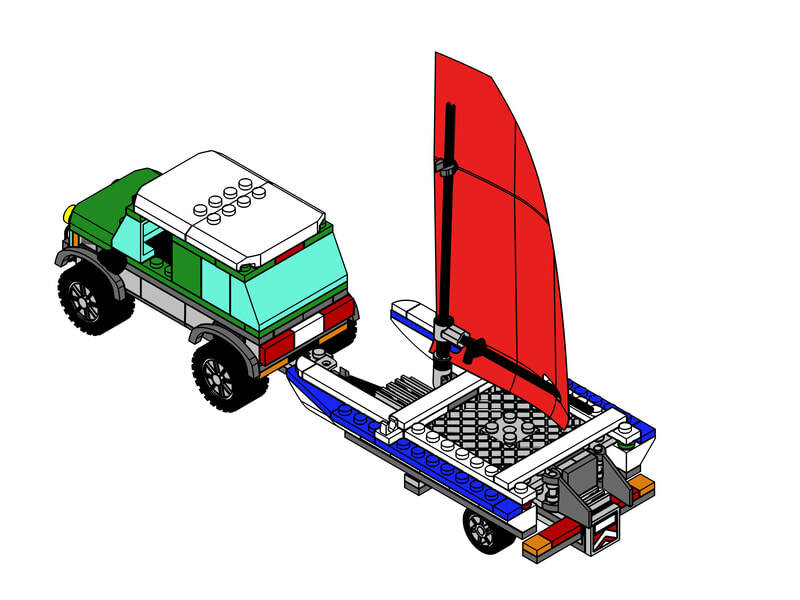 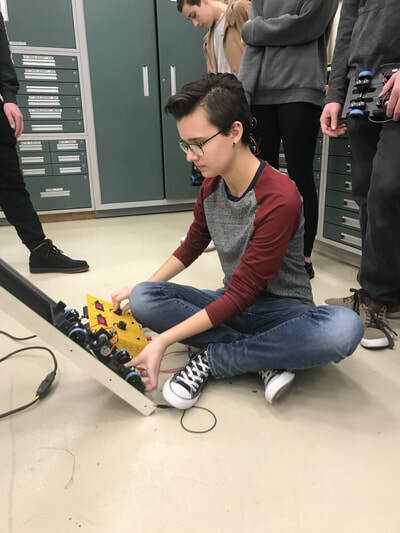 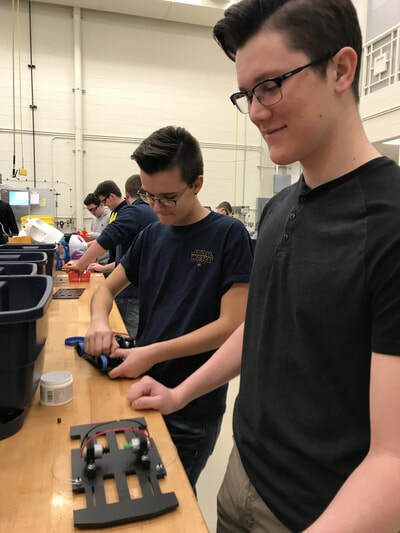 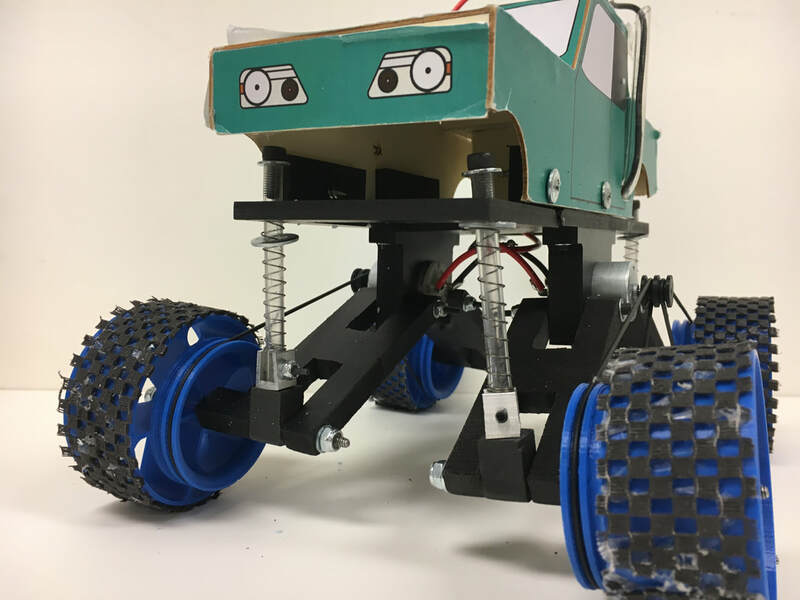 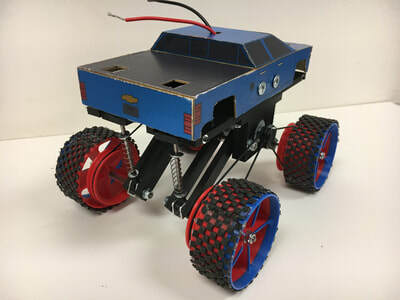 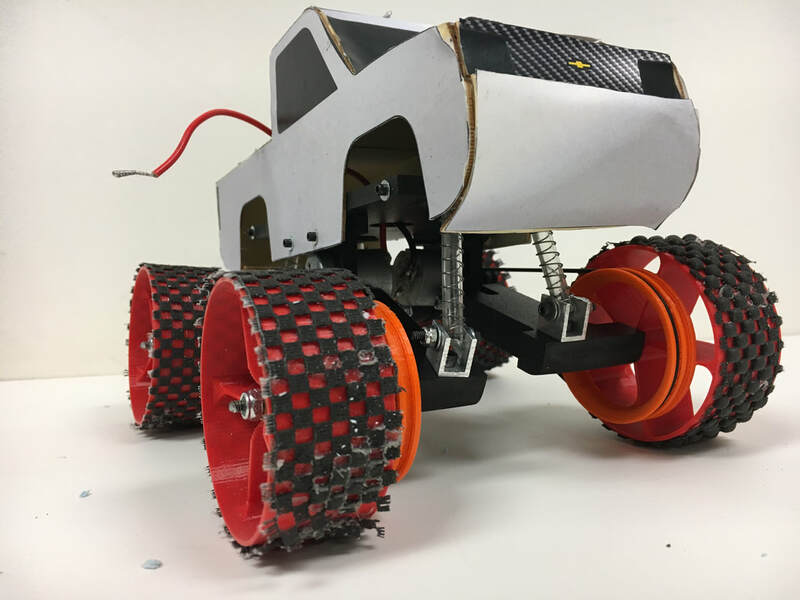 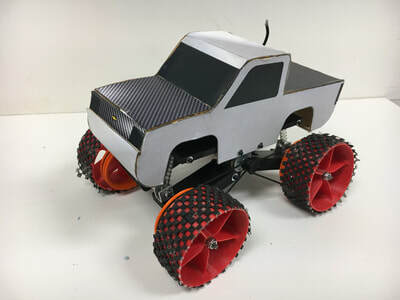 Student will design and build a Monster Truck with full articulating suspension and drive train for an all wheel drive vehicle that is able to overcome various terrain obstacles. 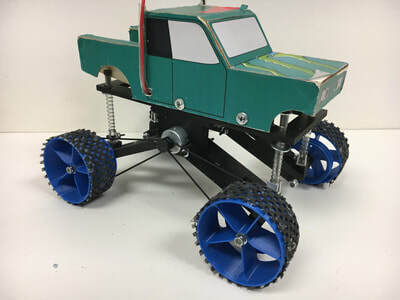 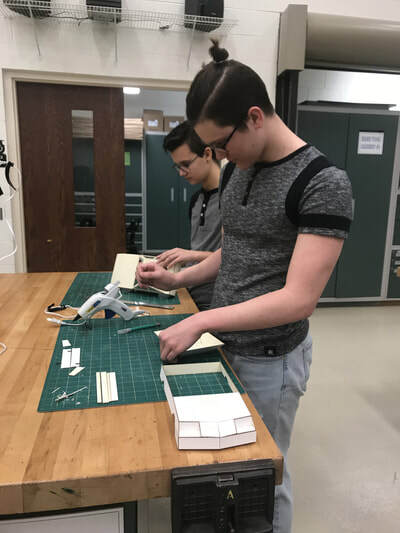 During their participation and the development of this project students work with tools to process materials and assemble a product while incorporating design and engineering techniques. 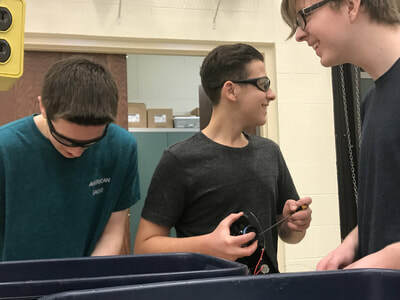 Students learn problem solving techniques, better understand Newton's Law of Motion and the characteristics of electrical circuits. 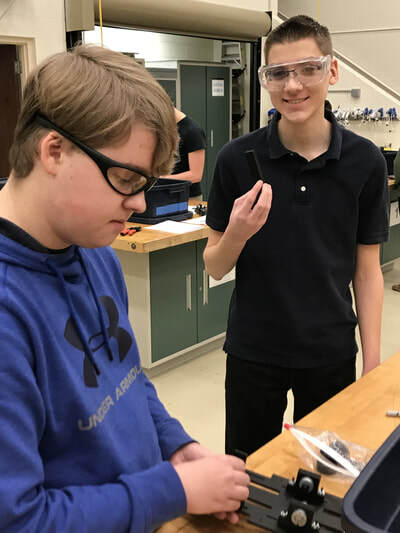 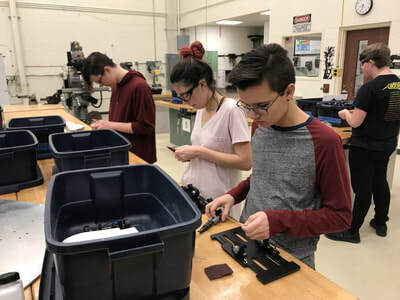 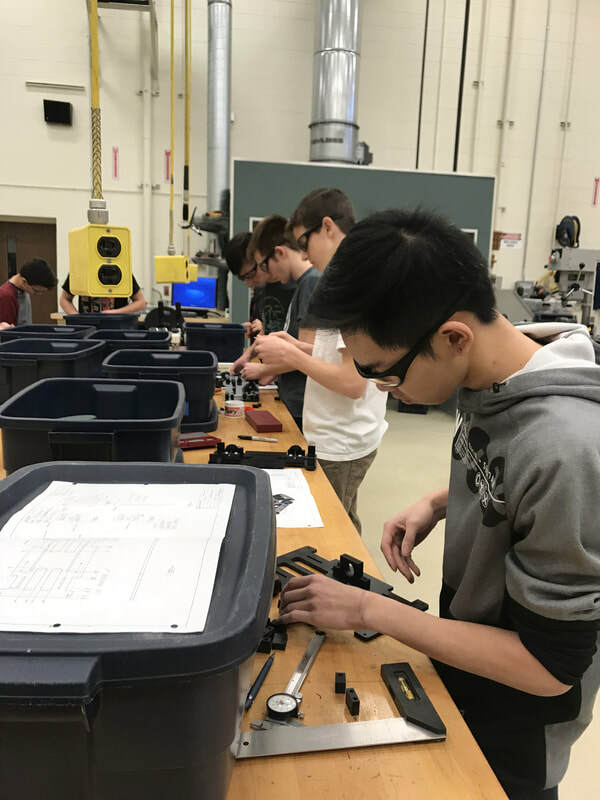 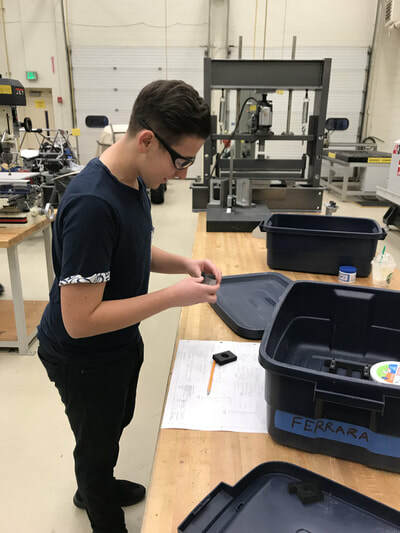 During the research process students develop plans and understand the concepts of a Monster Truck Suspension while applying the mathematical calculations and measurements to build their truck. 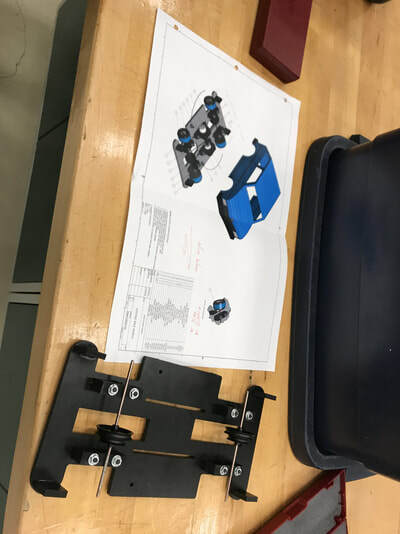 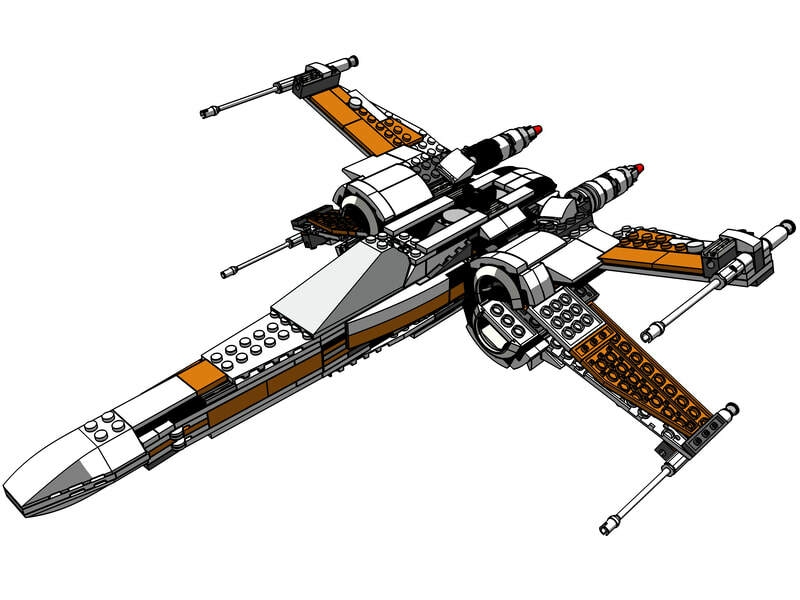 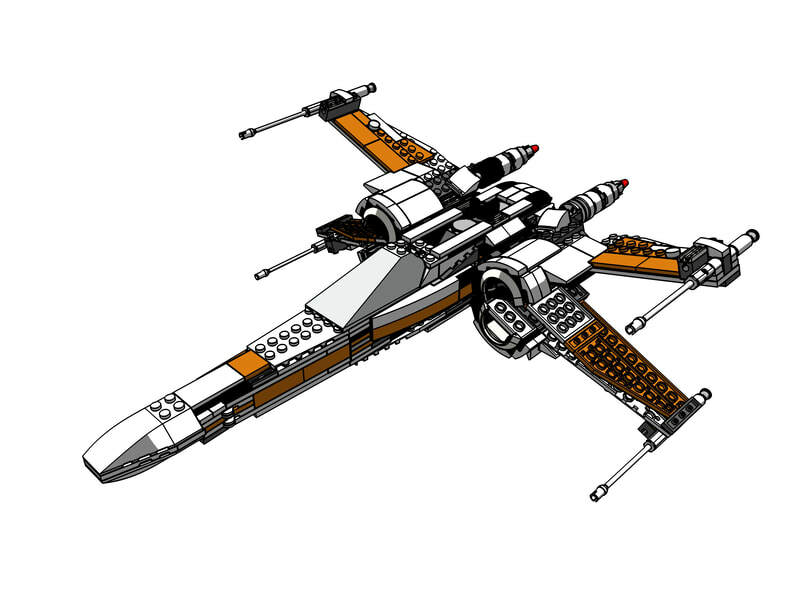 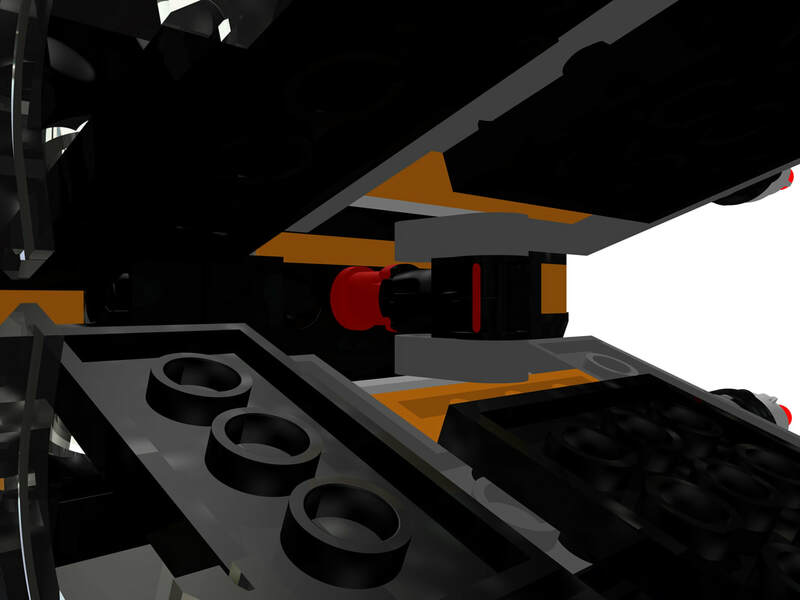 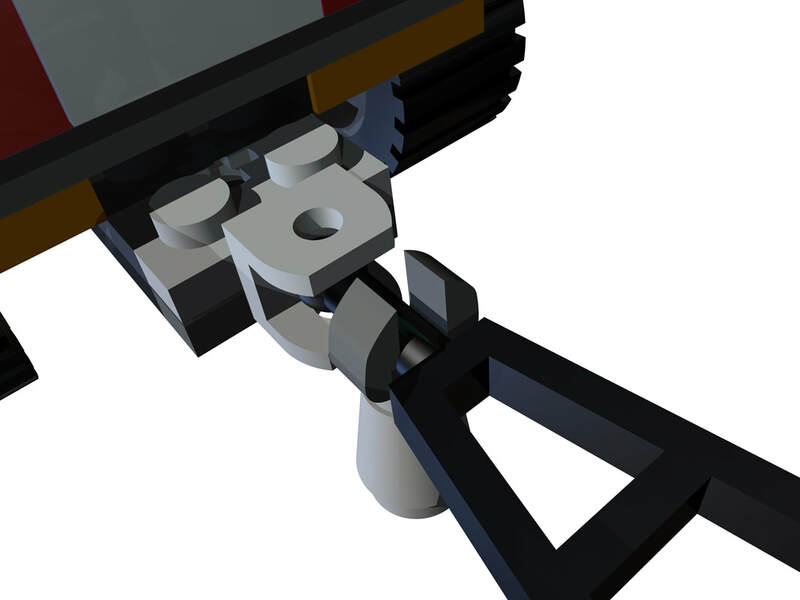 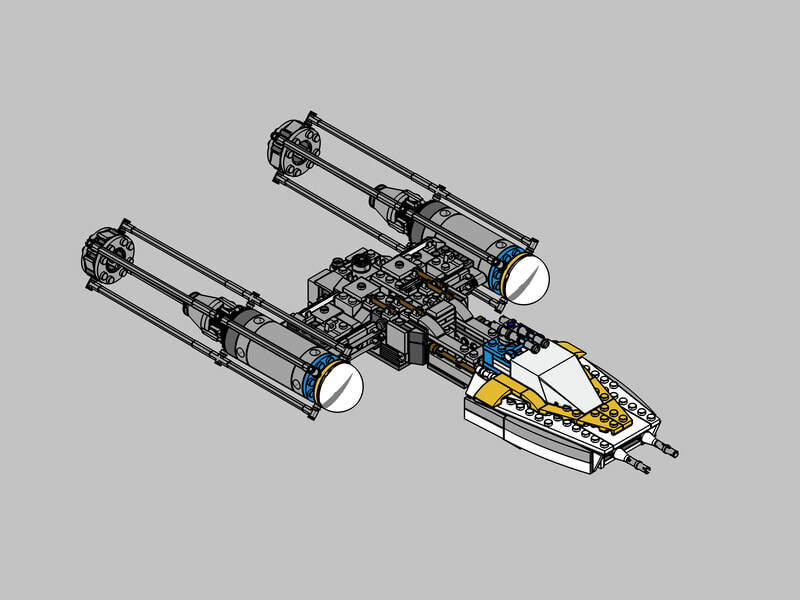 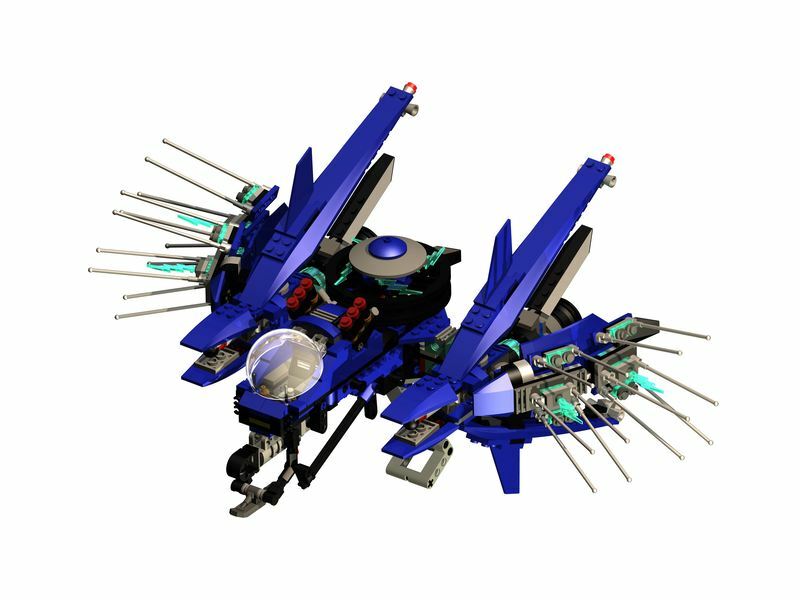 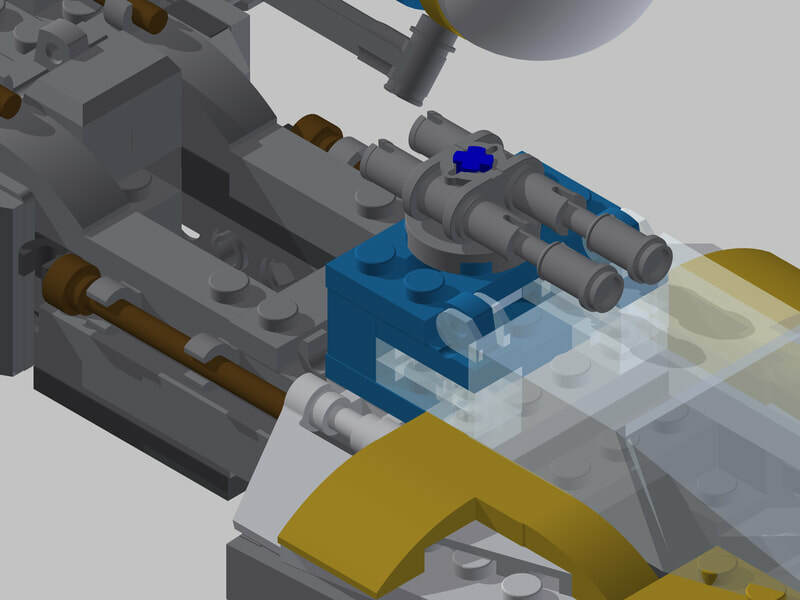 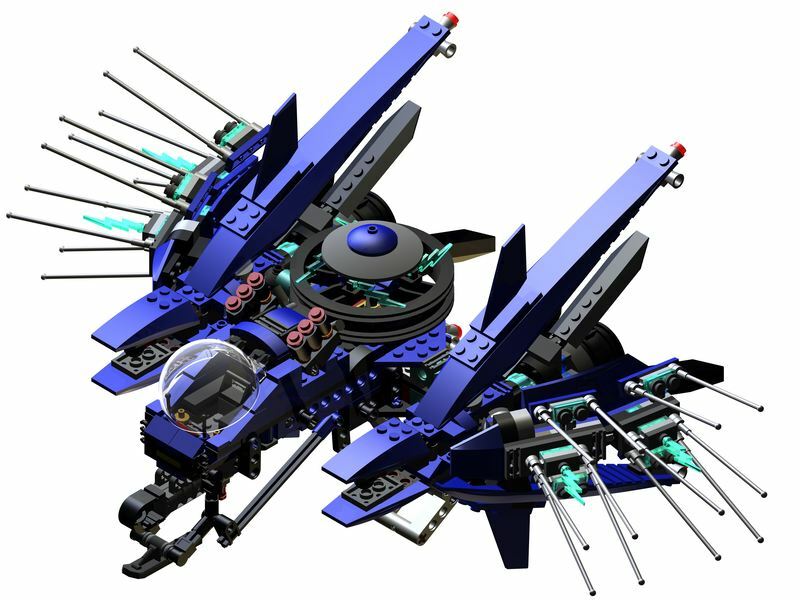 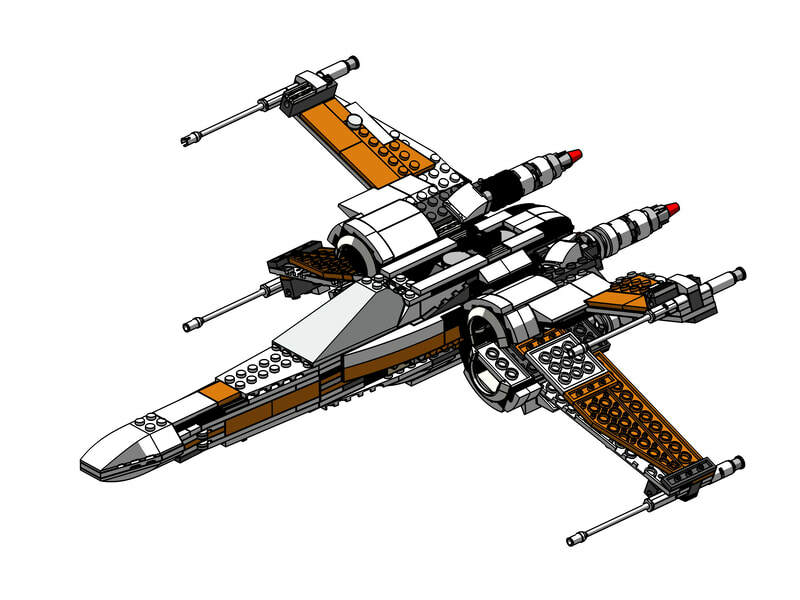 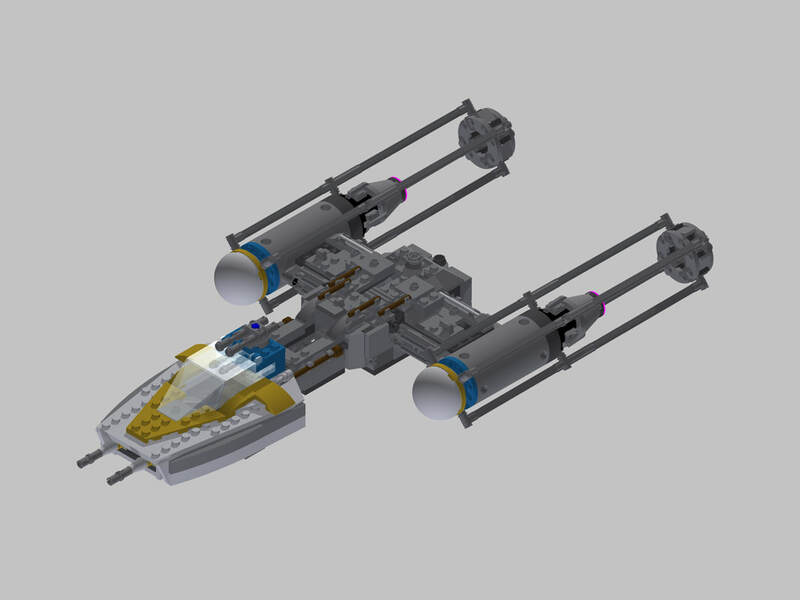 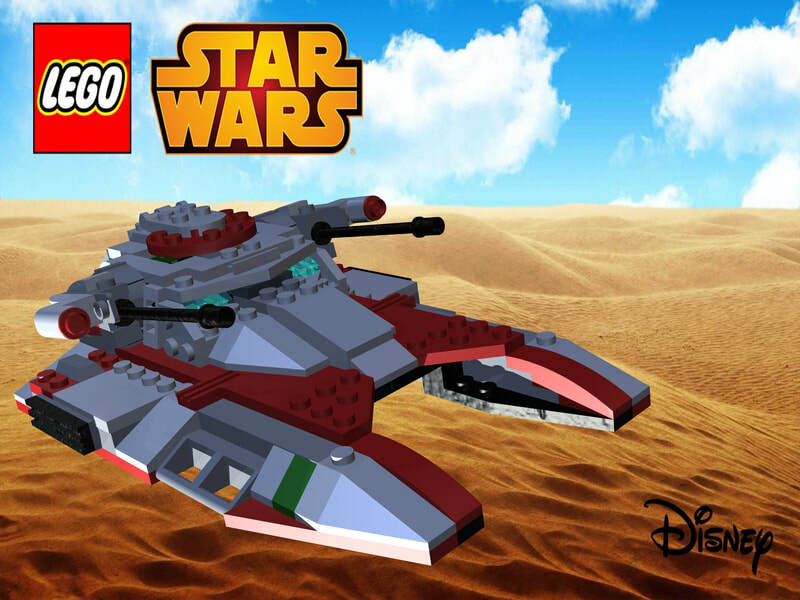 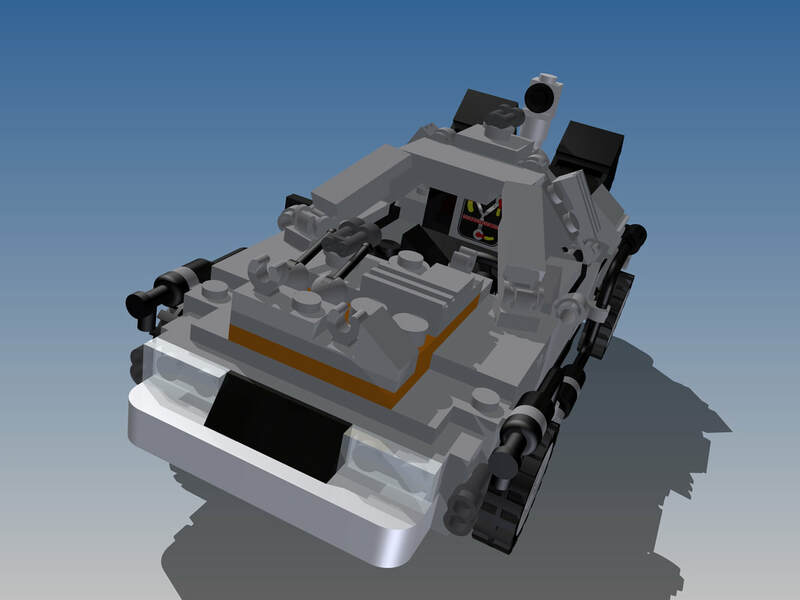 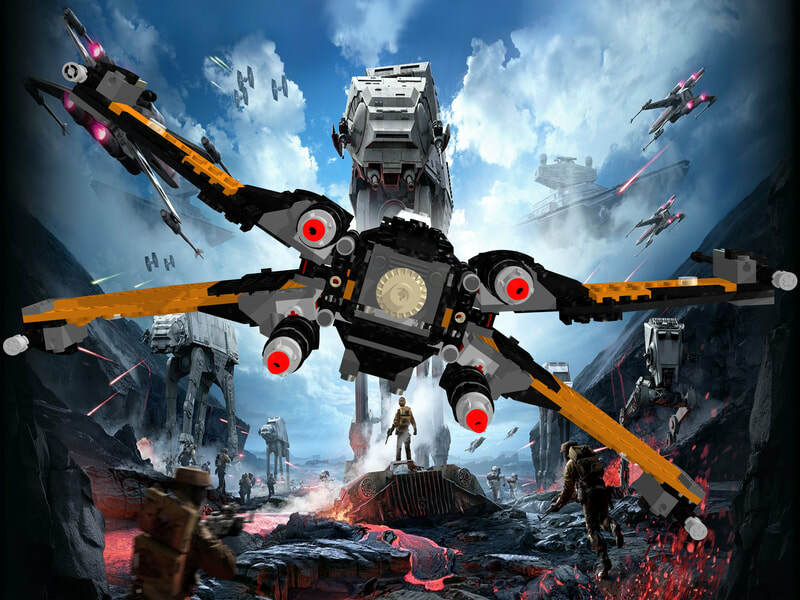 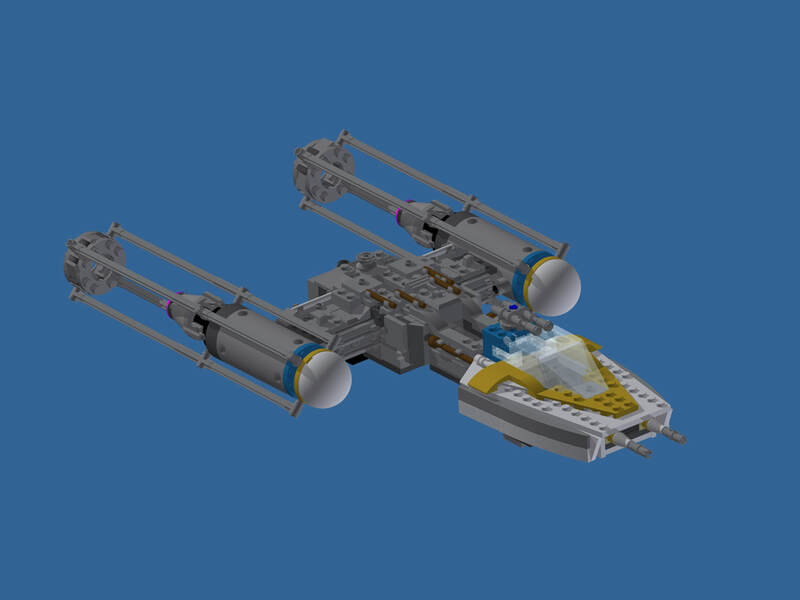 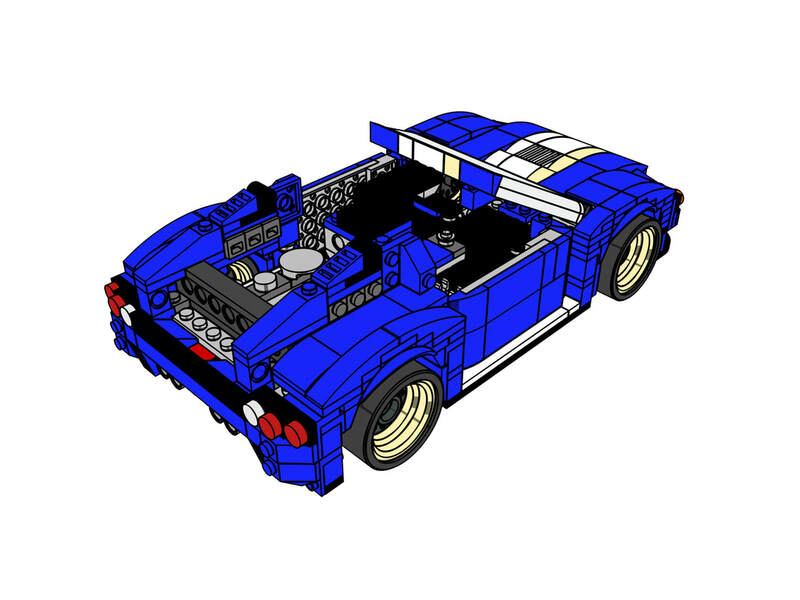 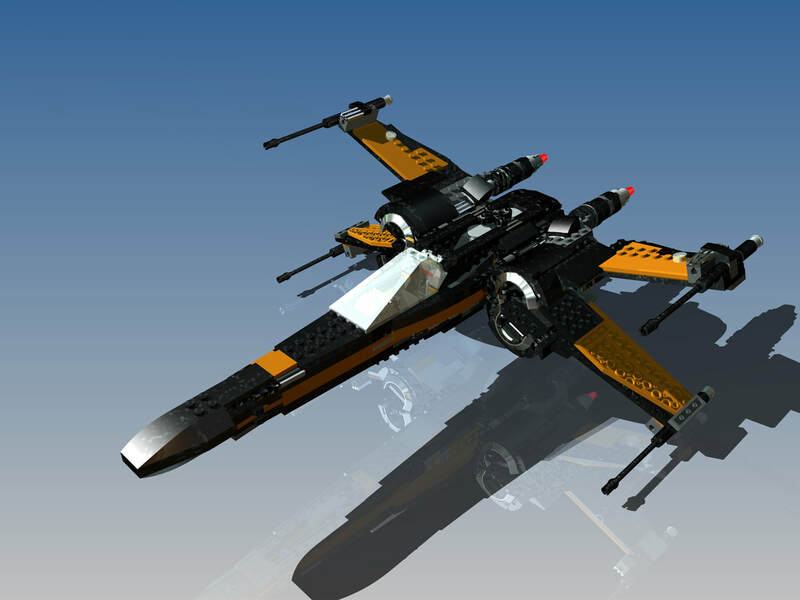 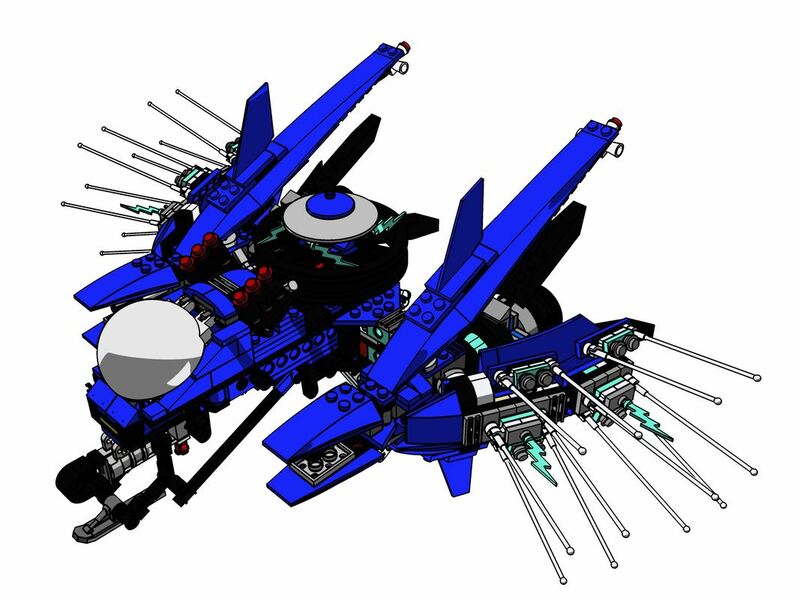 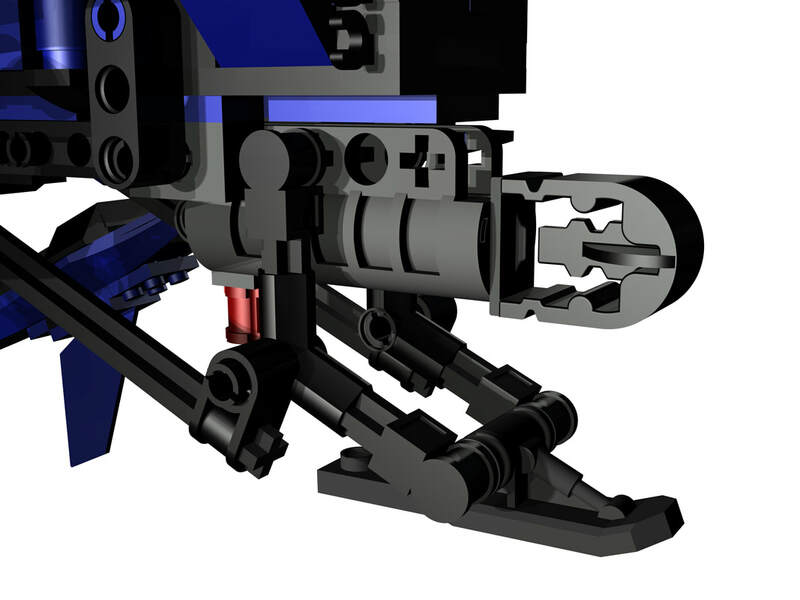 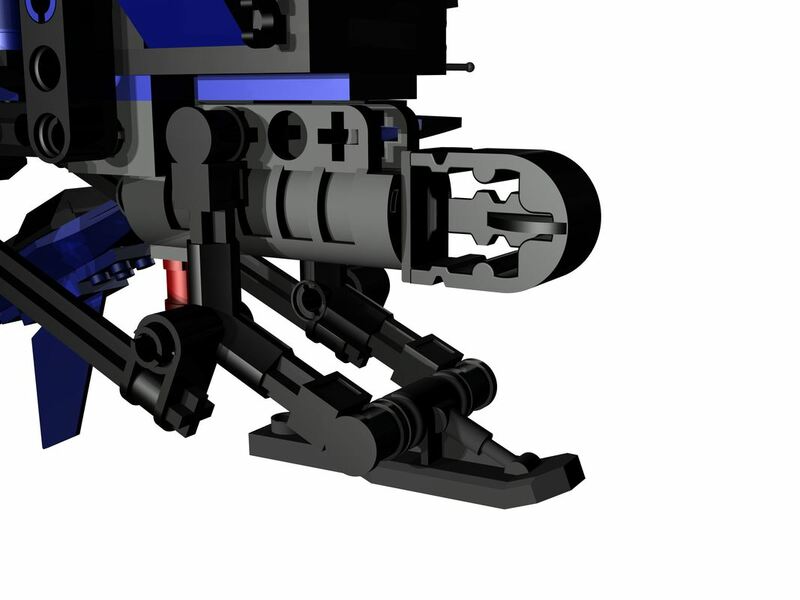 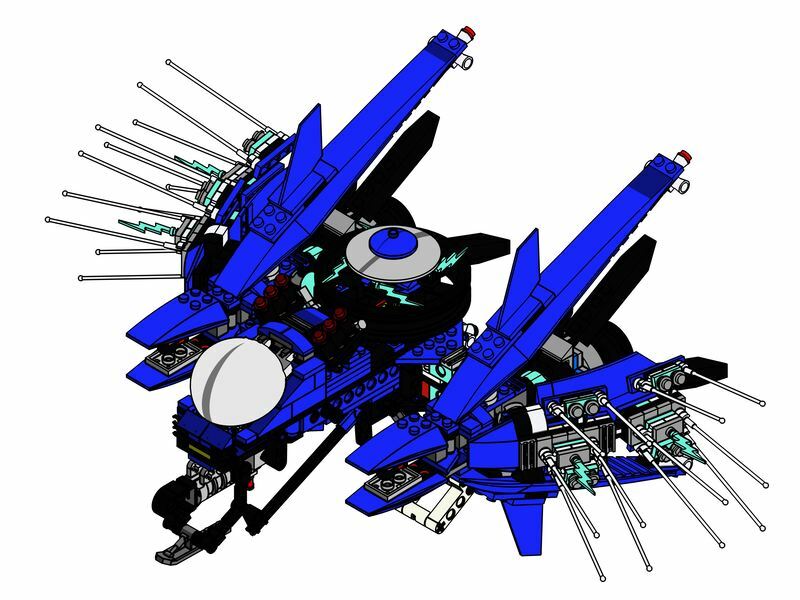 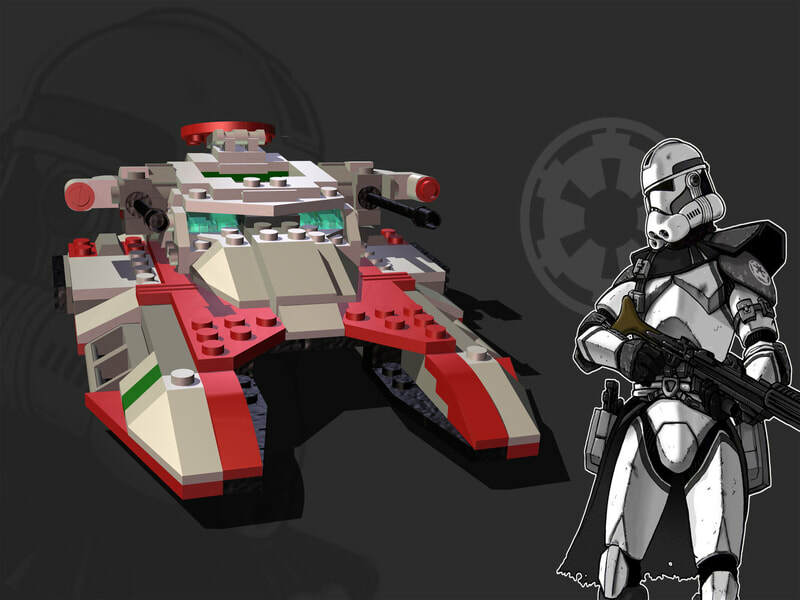 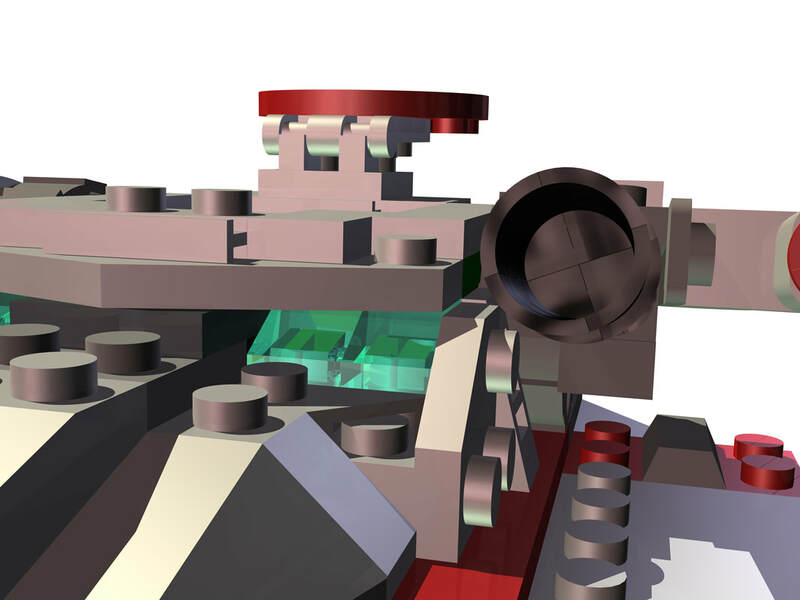 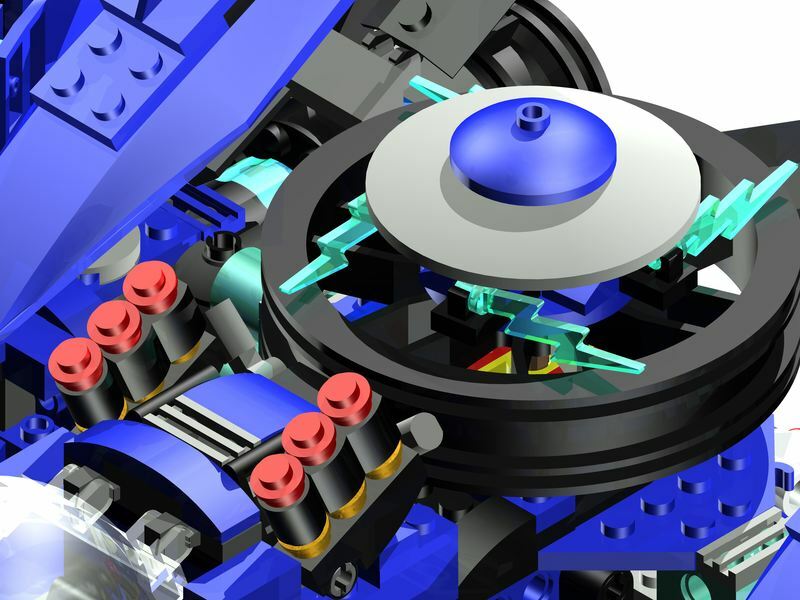 Students will reverse engineer a LEGO project of their choice using calipers to precision measure while drawing their product in 3D Inventor. 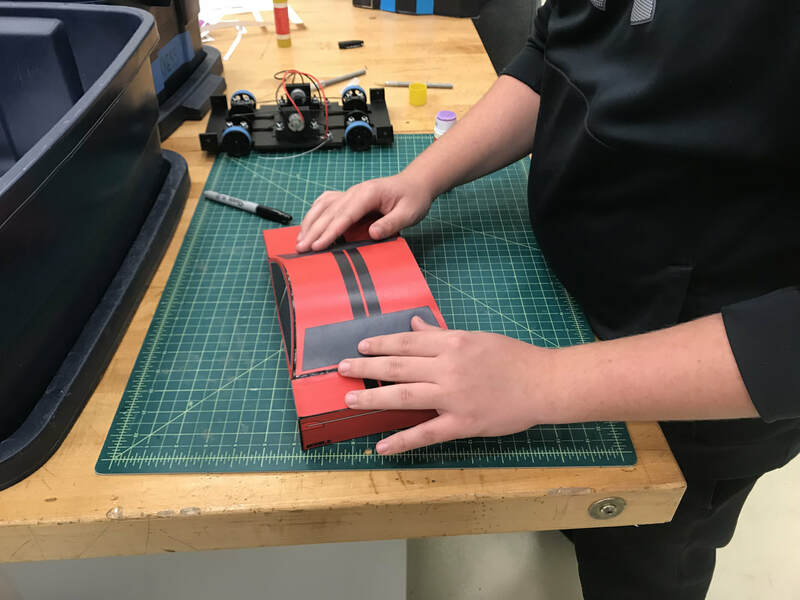 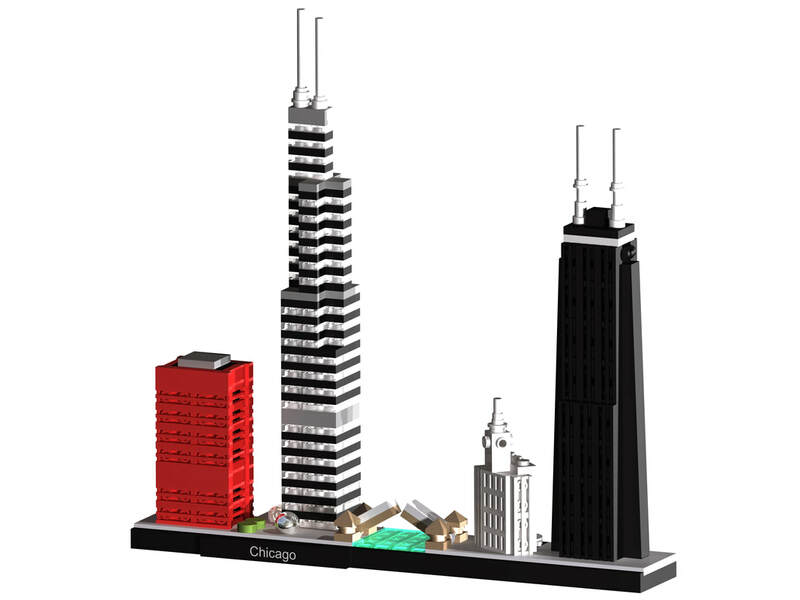 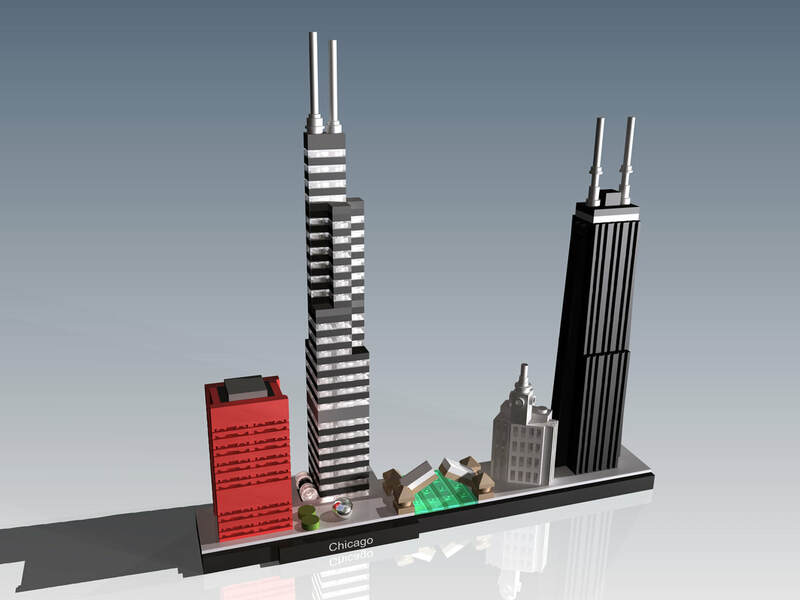 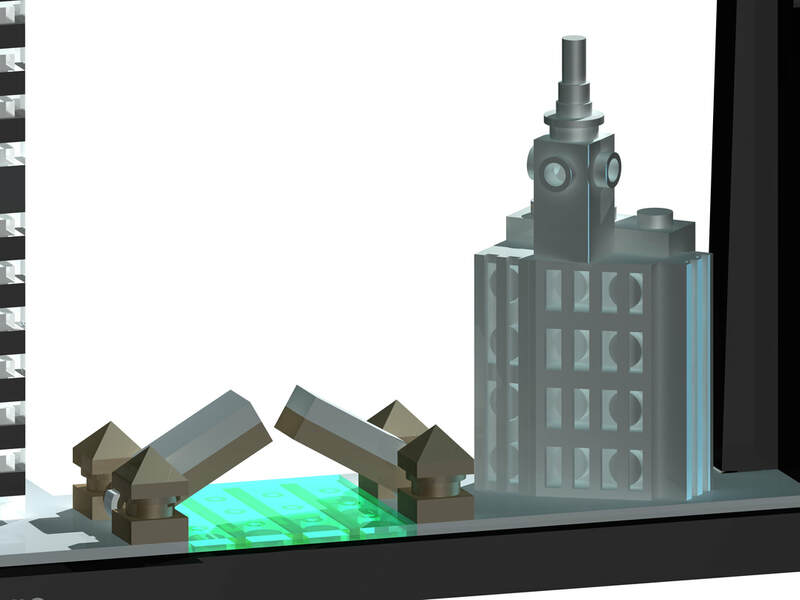 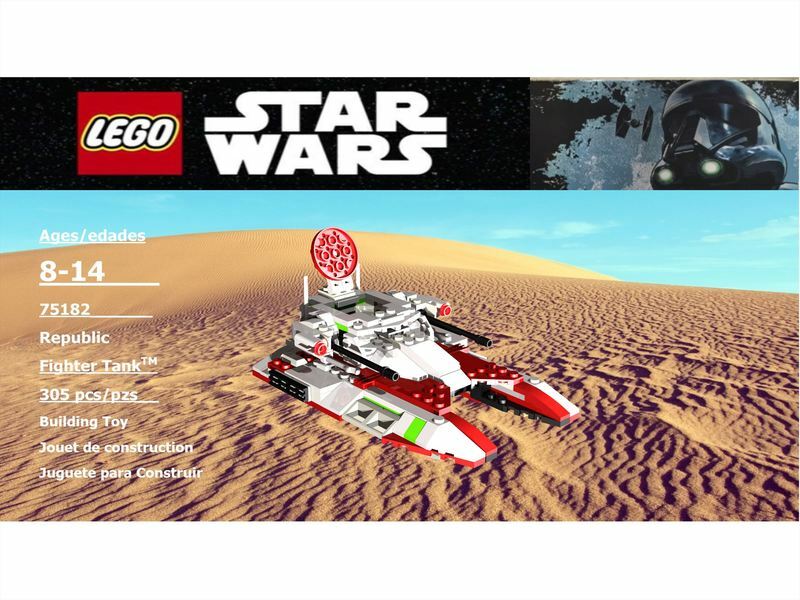 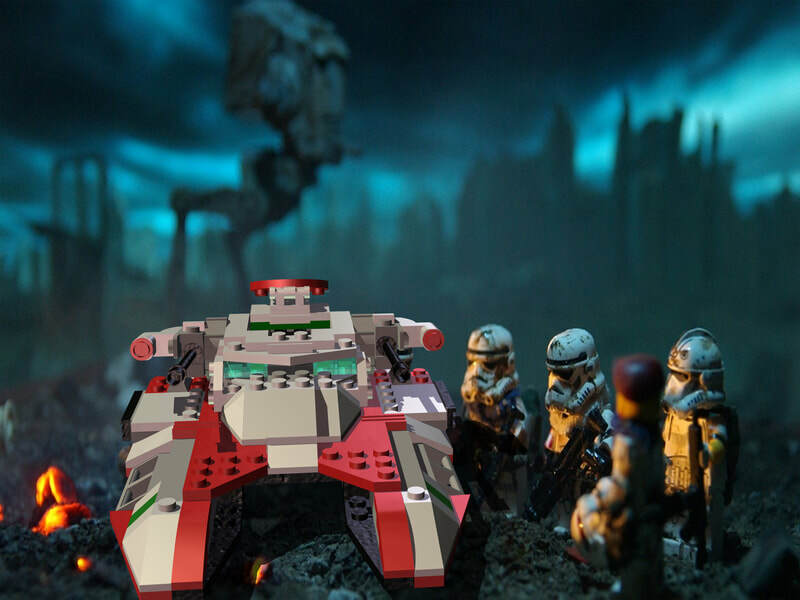 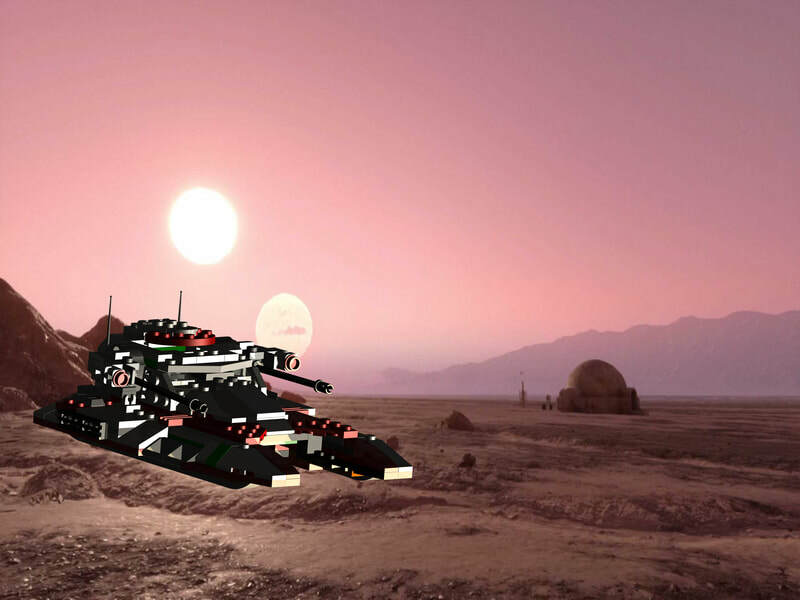 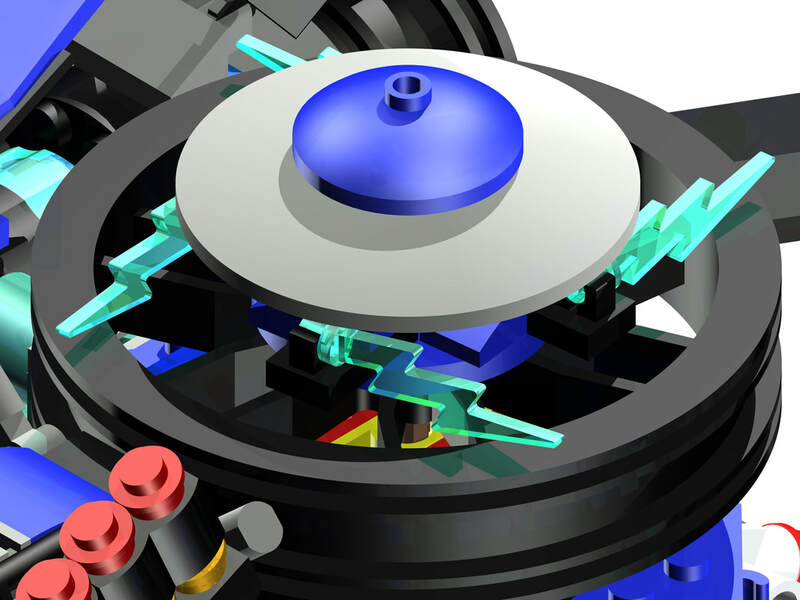 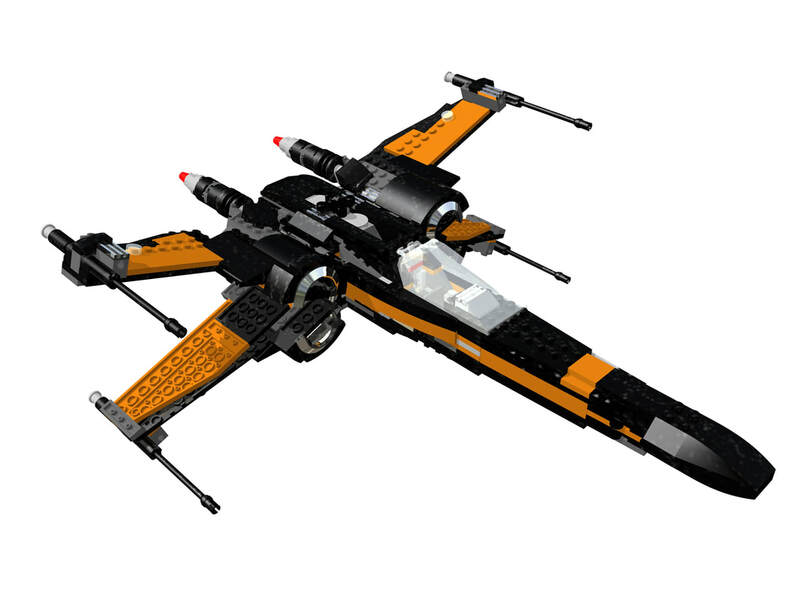 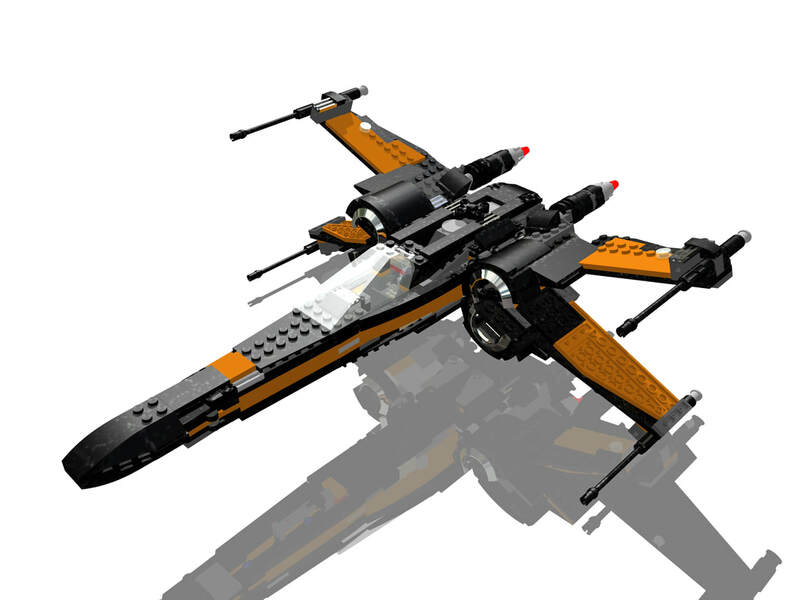 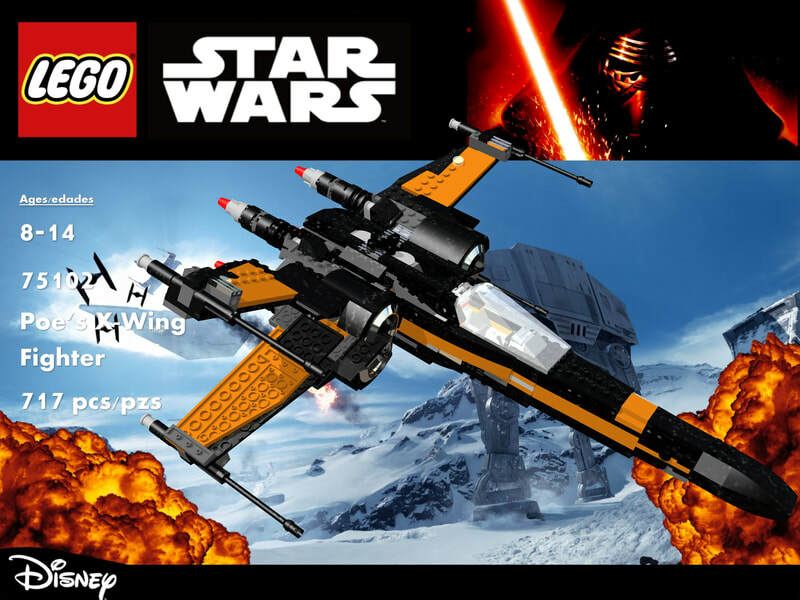 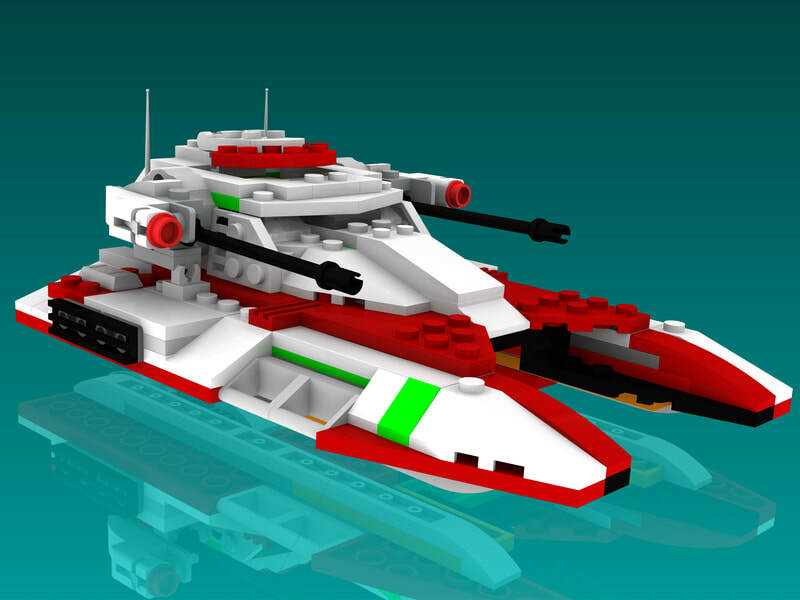 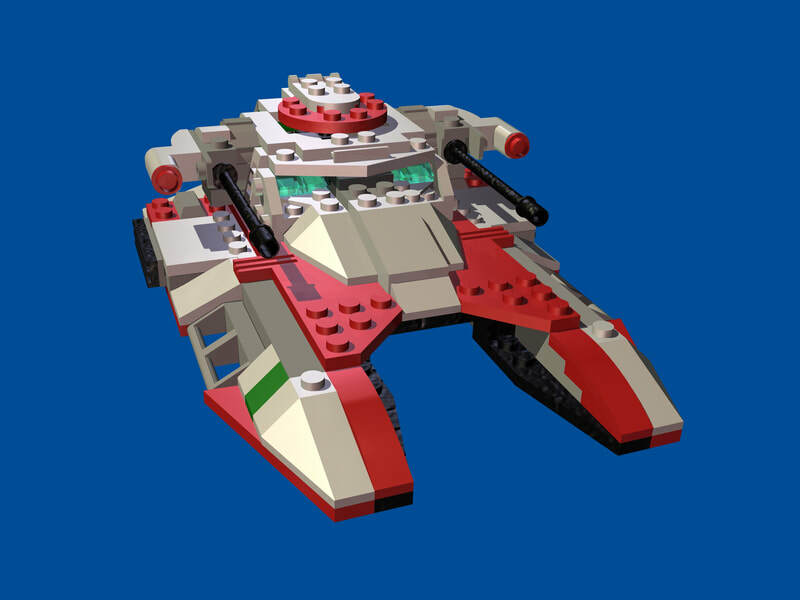 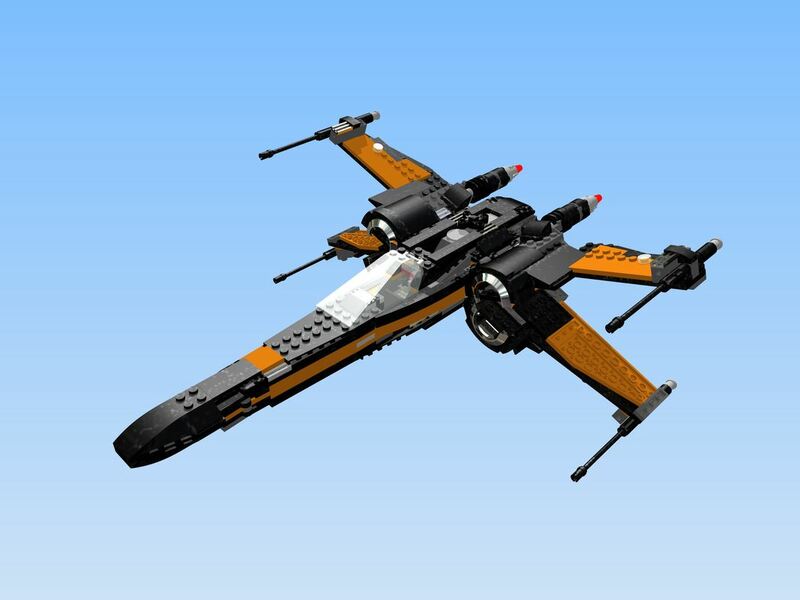 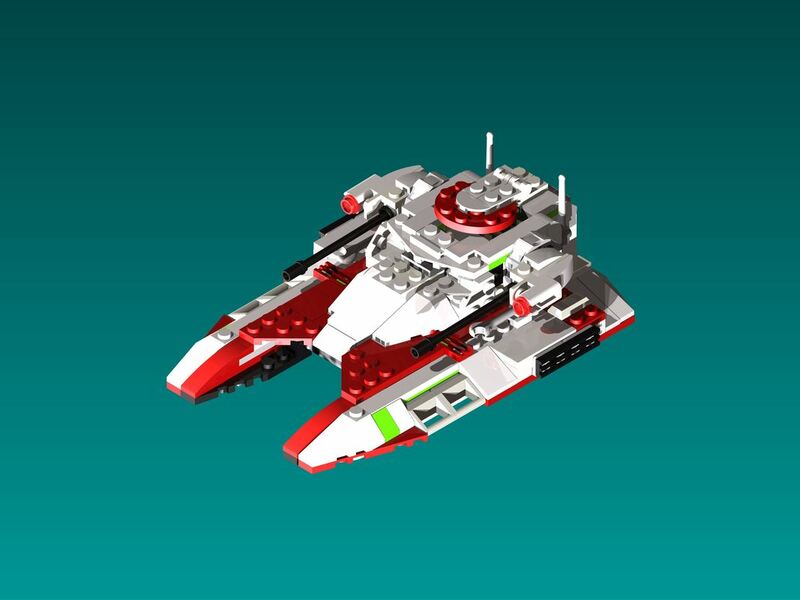 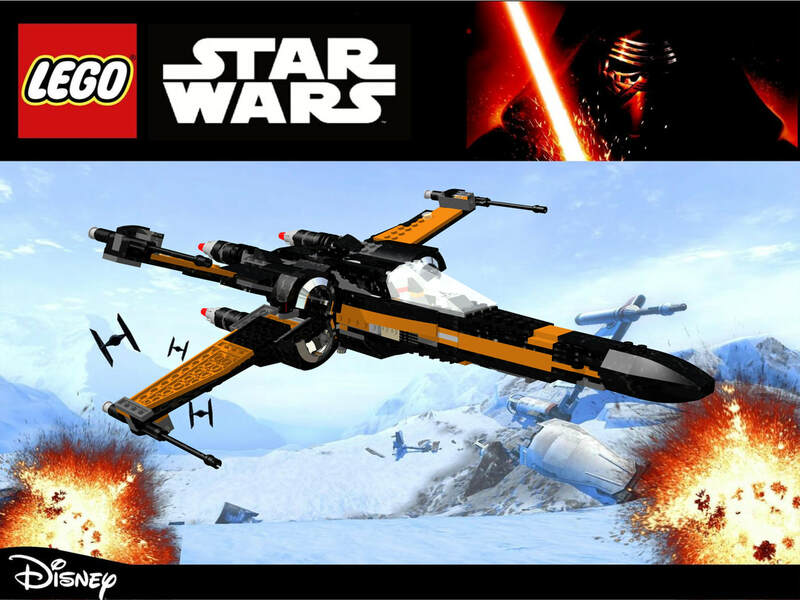 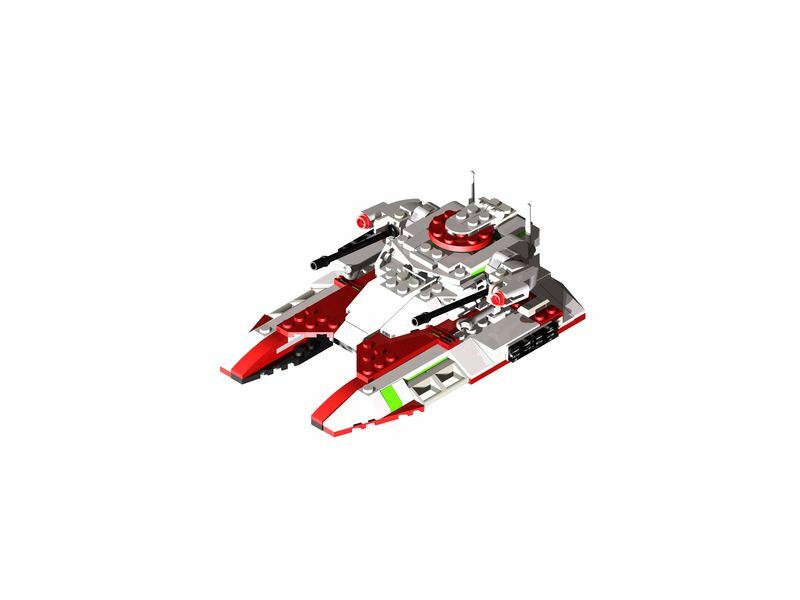 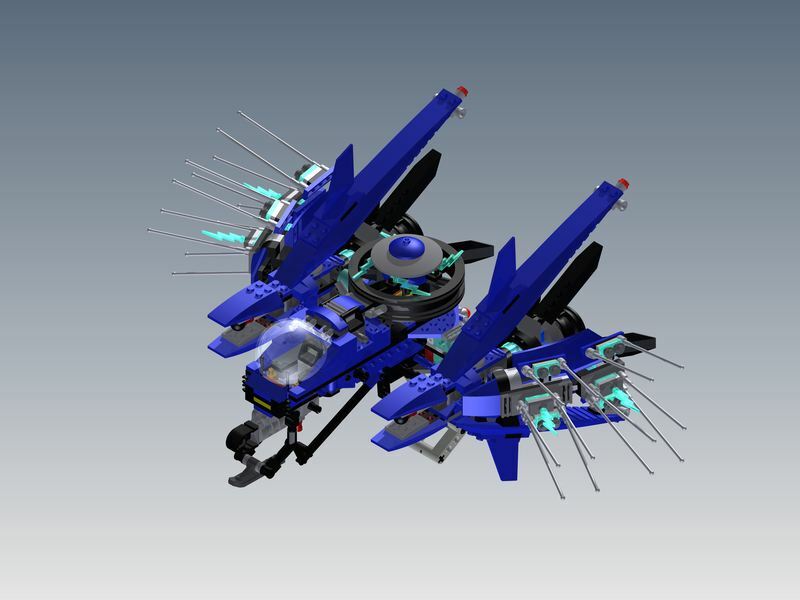 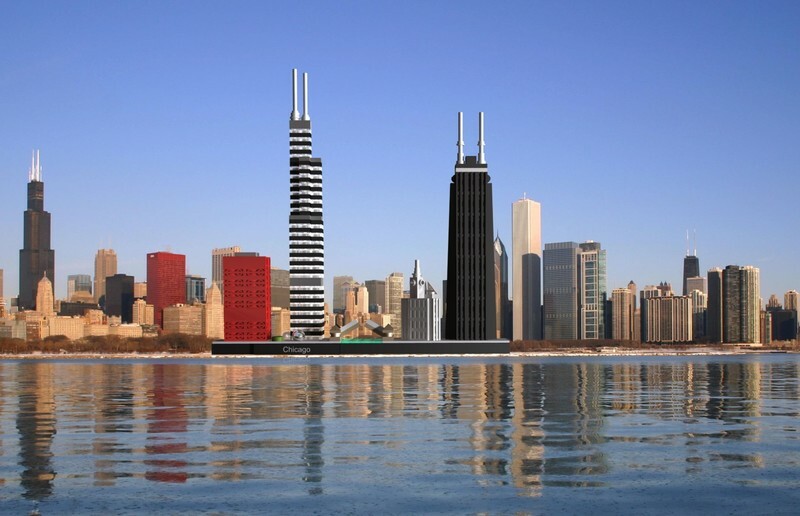 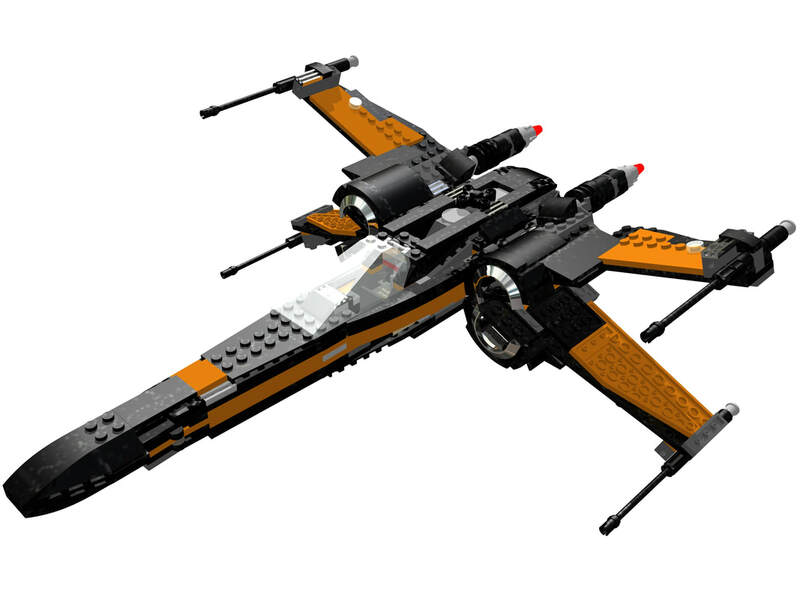 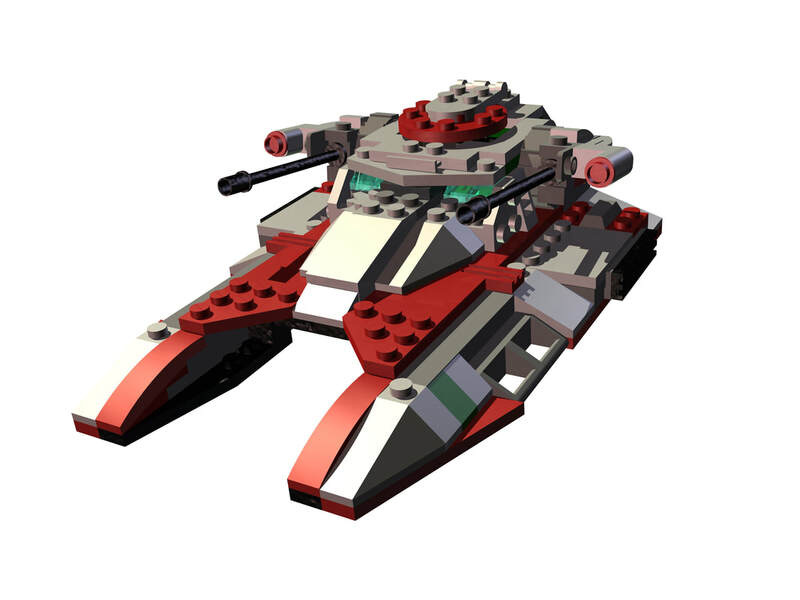 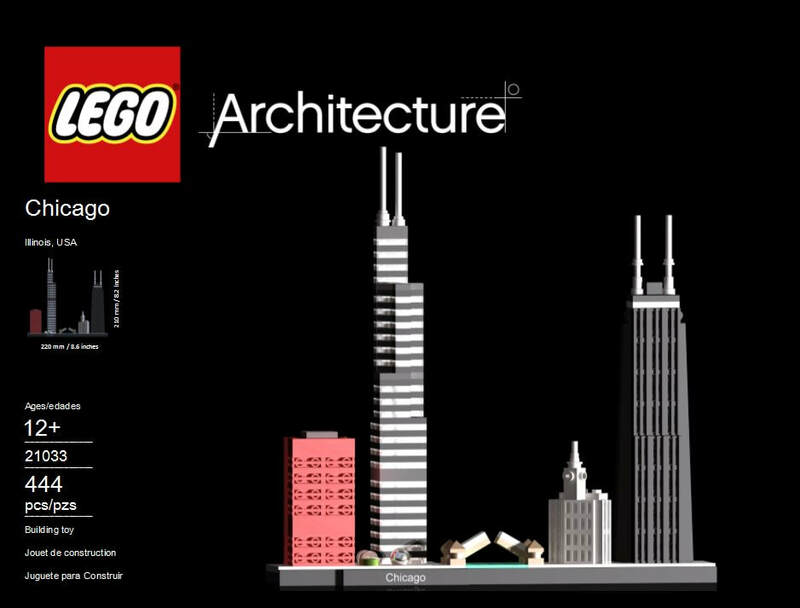 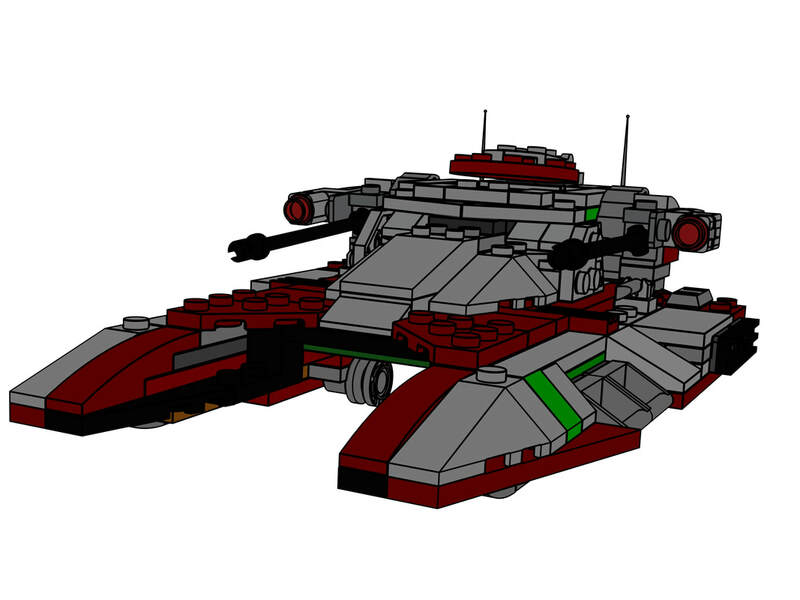 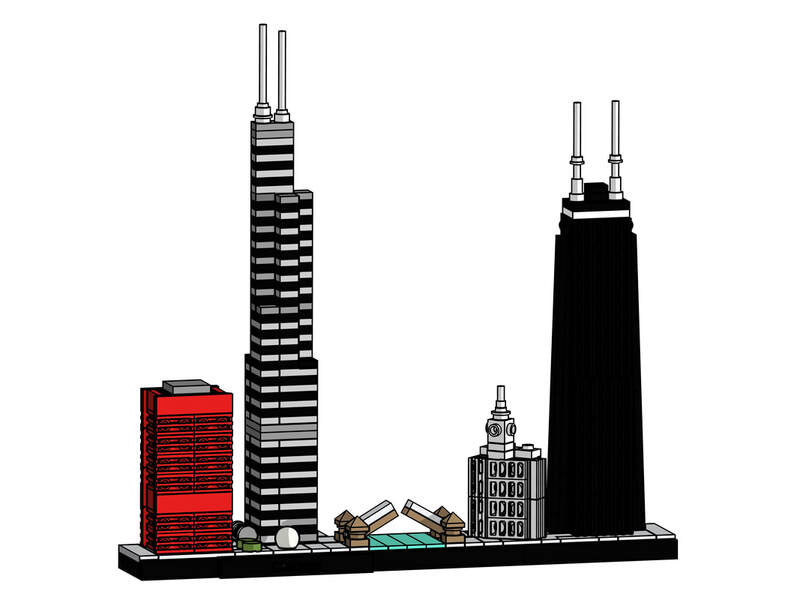 Students will print out multiple versions of their product in a presentation style format.